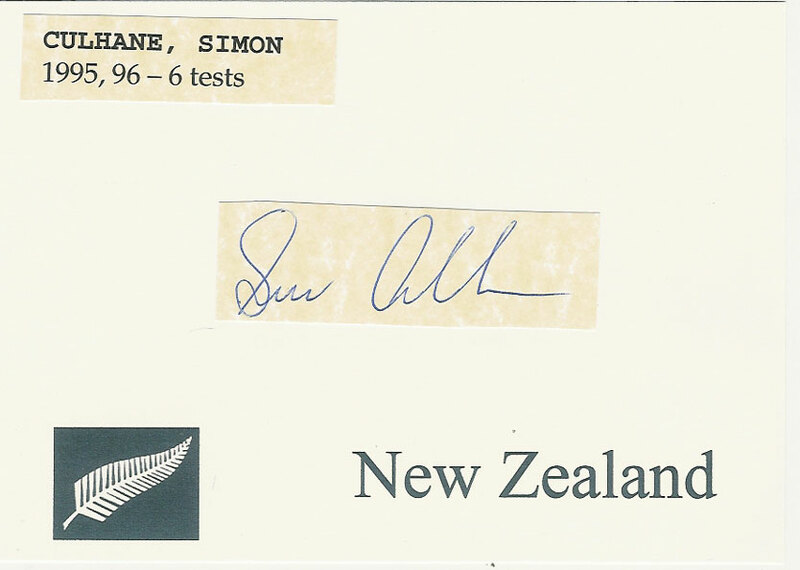 Printing error - This is where the card has been printed offline. 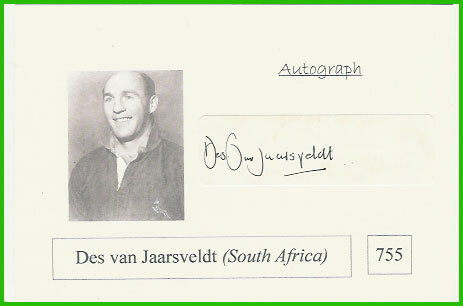 Card error - Where the player's name, country or other card detail is incorrect. 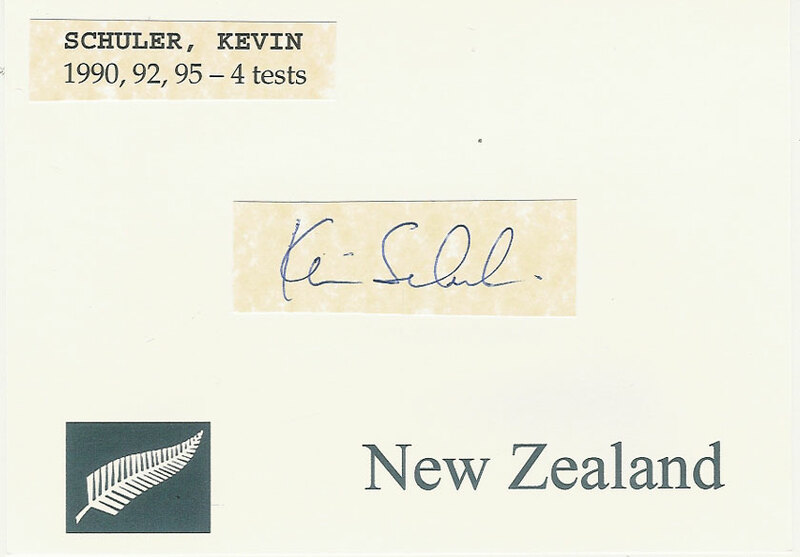 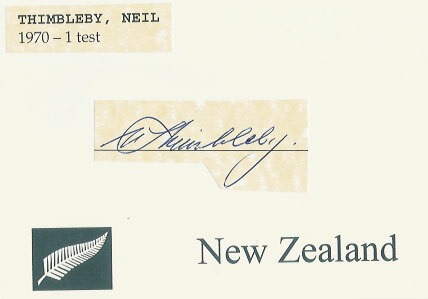 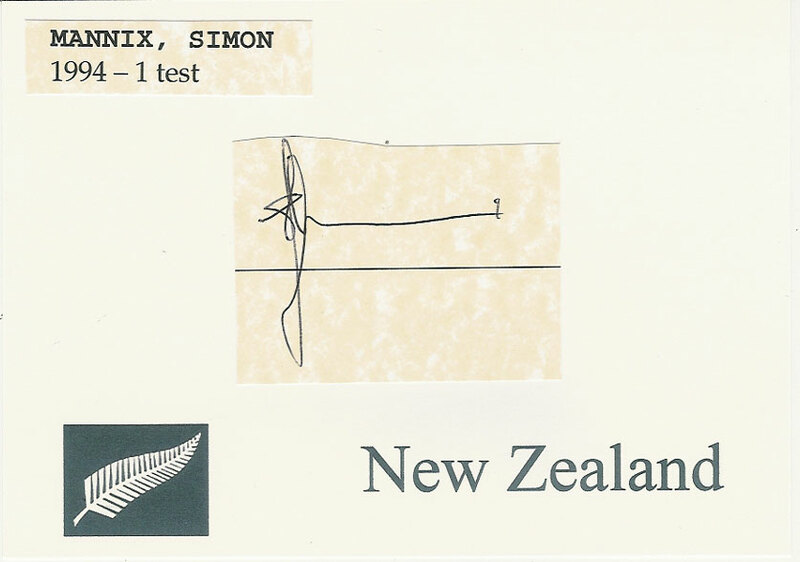 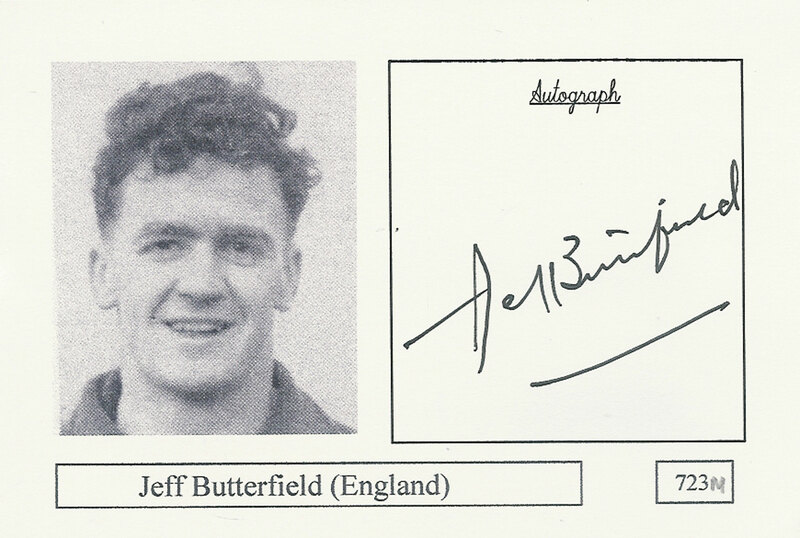 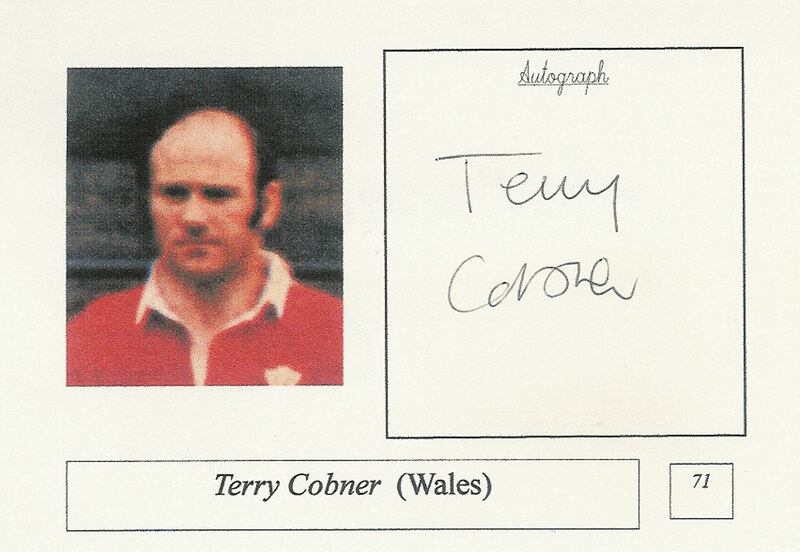 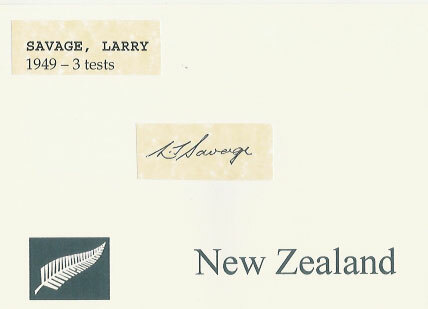 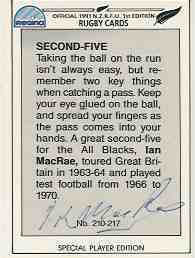 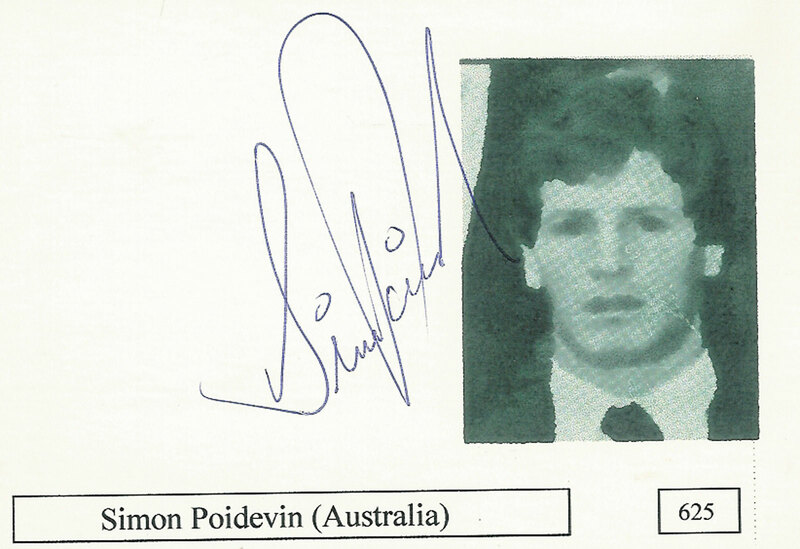 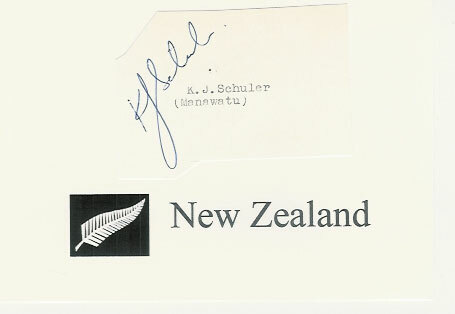 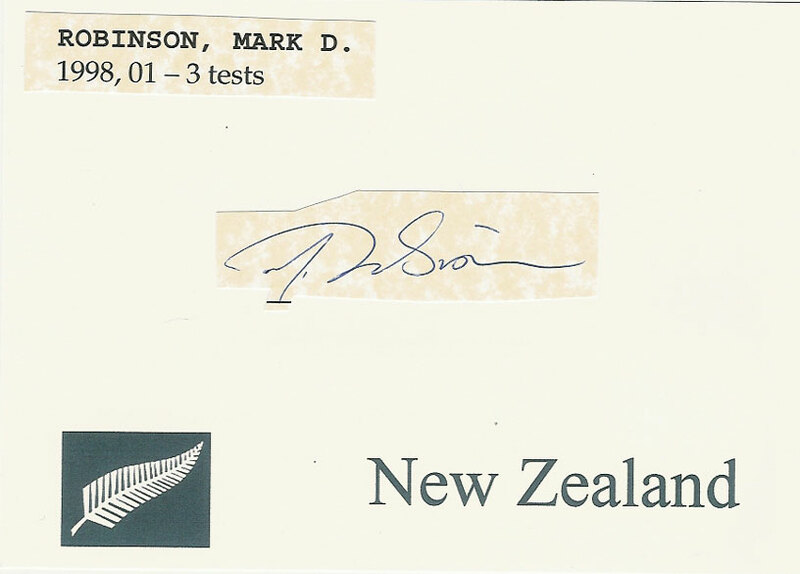 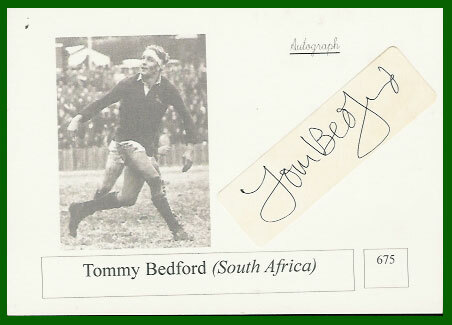 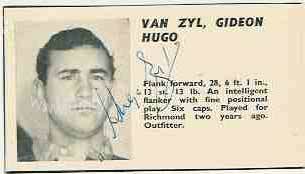 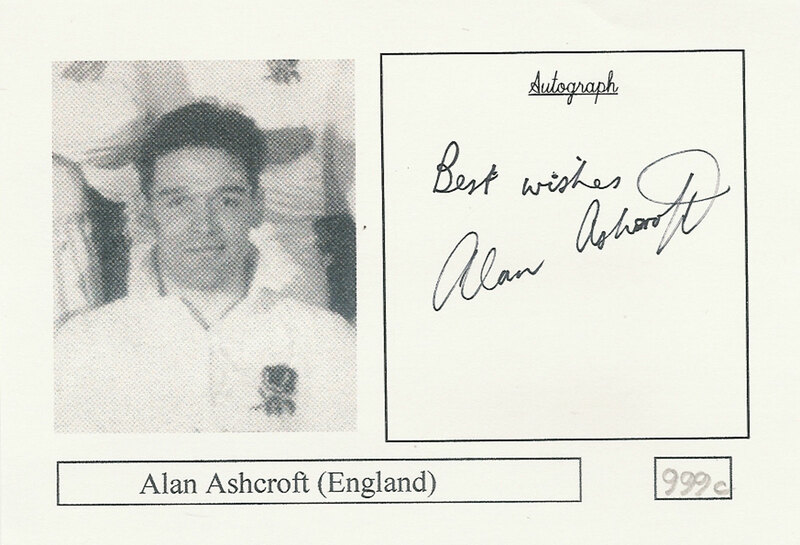 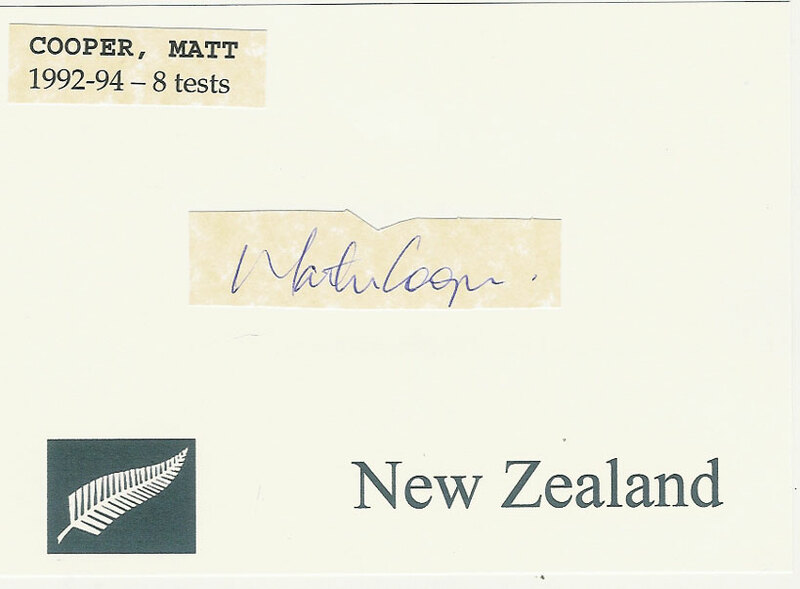 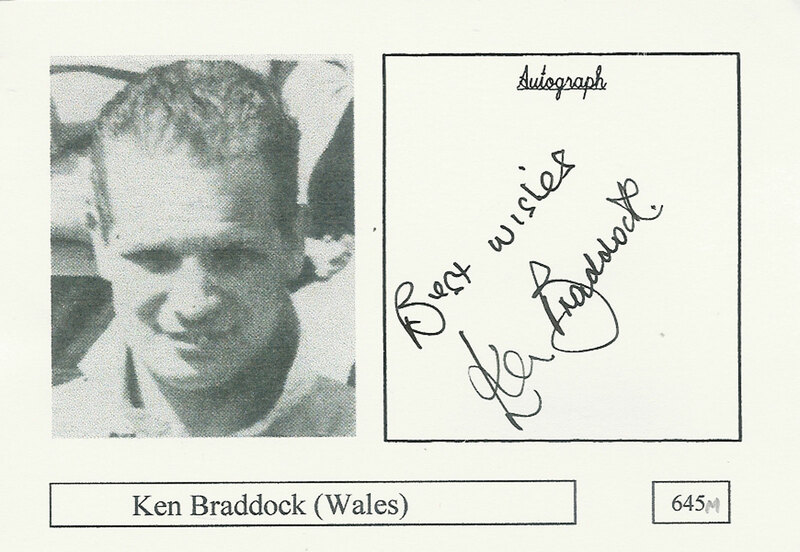 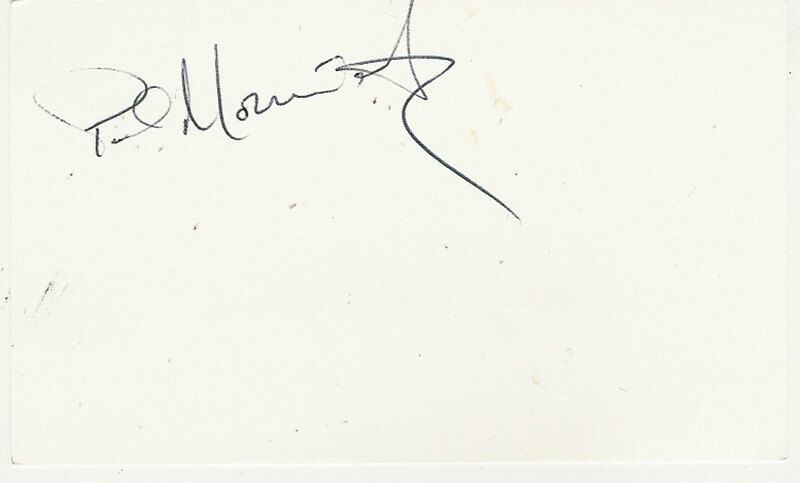 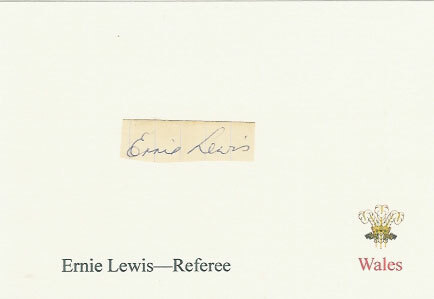 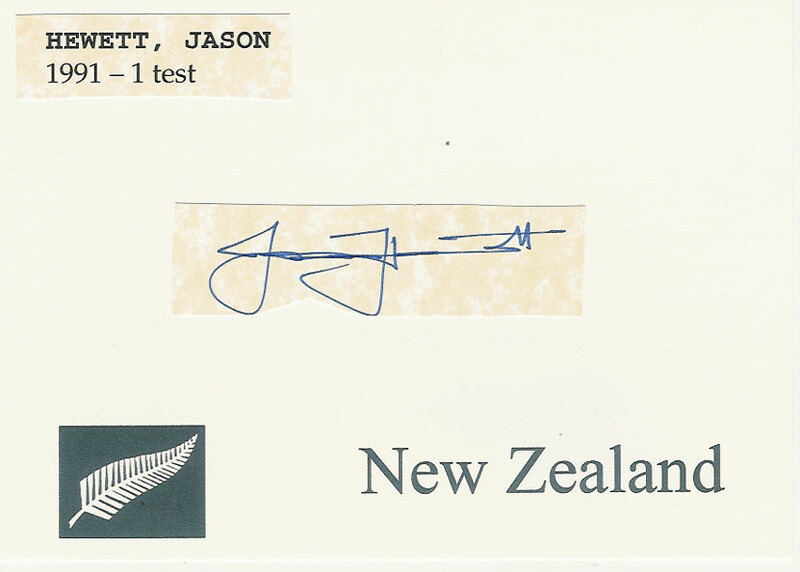 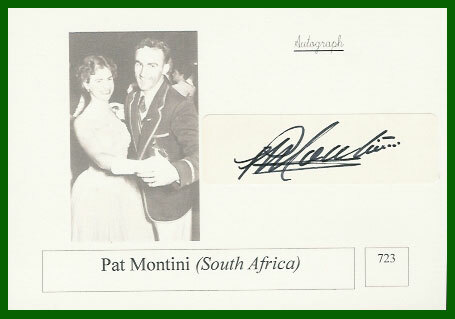 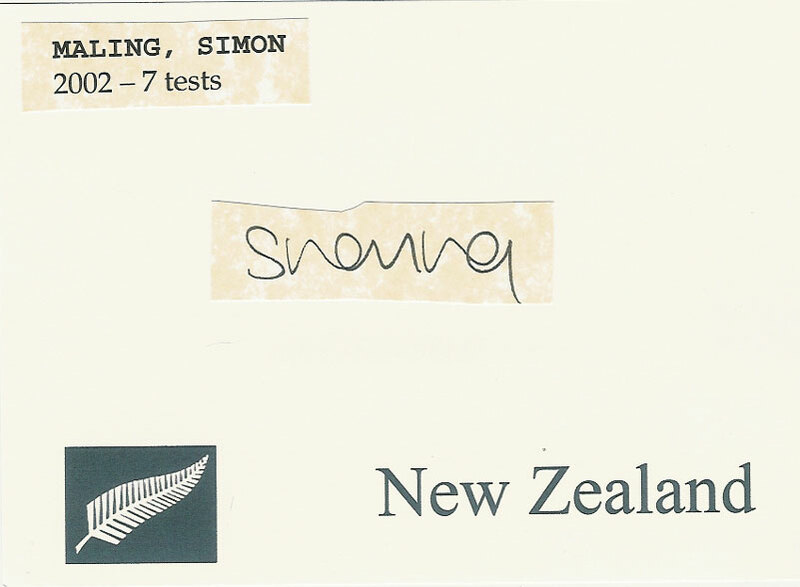 clipped - Where the autograph has been clipped from another source and added to the card. 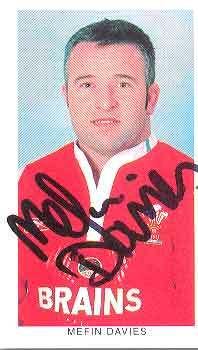 Mefin Davies, Wales Grand Slam 2005. 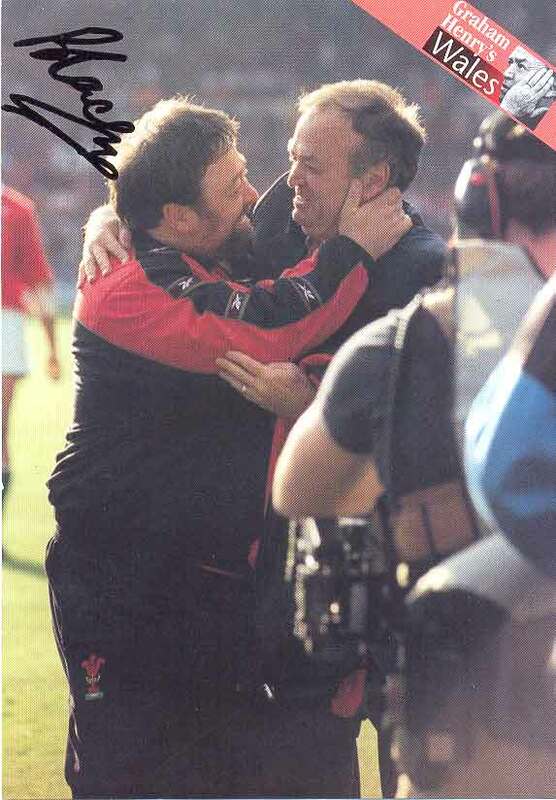 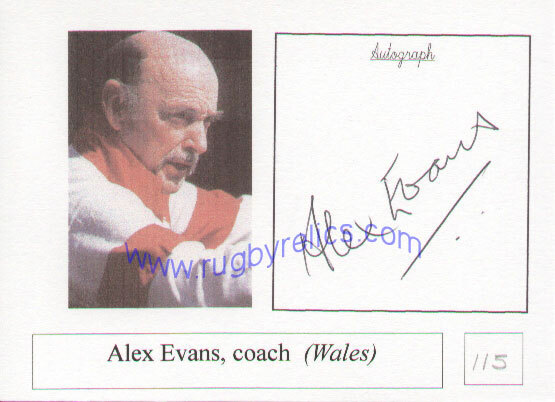 Steve Black - GRAHAM HENRY'S WALES - No 4 of a series of 12 (A partnership of opposites) with autograph of Wales fitness coach Steve Black. 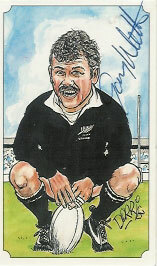 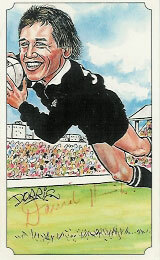 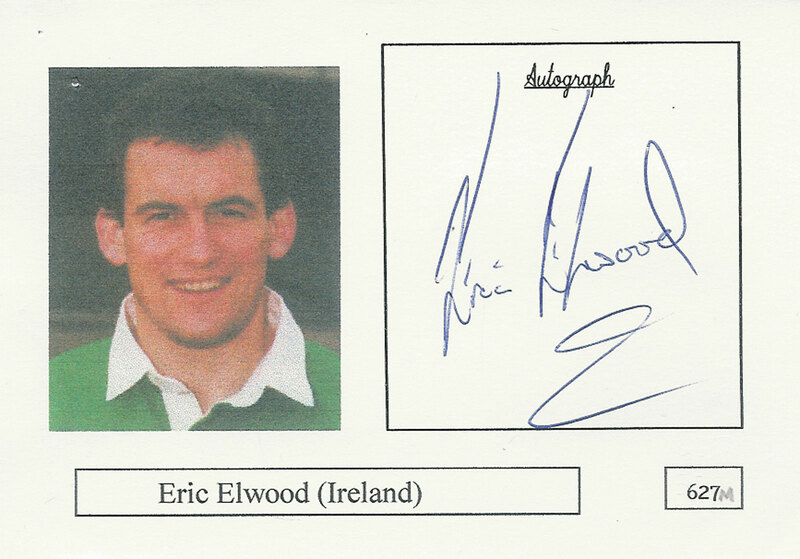 Gordon Hamilton - Wales on Sunday - "World Cup Heroes"
Earle Kirton (87/90), Sports Deck Cards, New Zealand Coach (and former player). 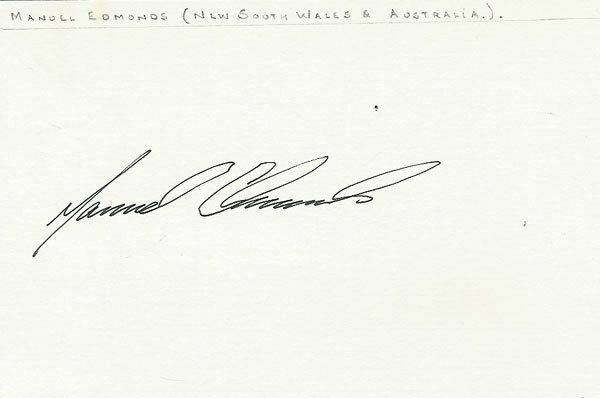 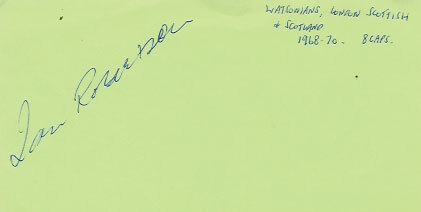 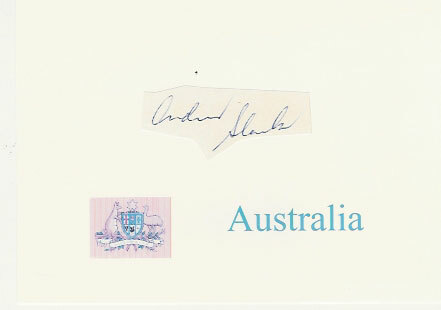 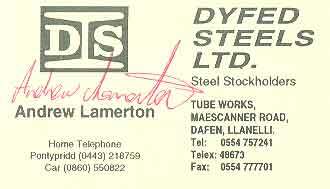 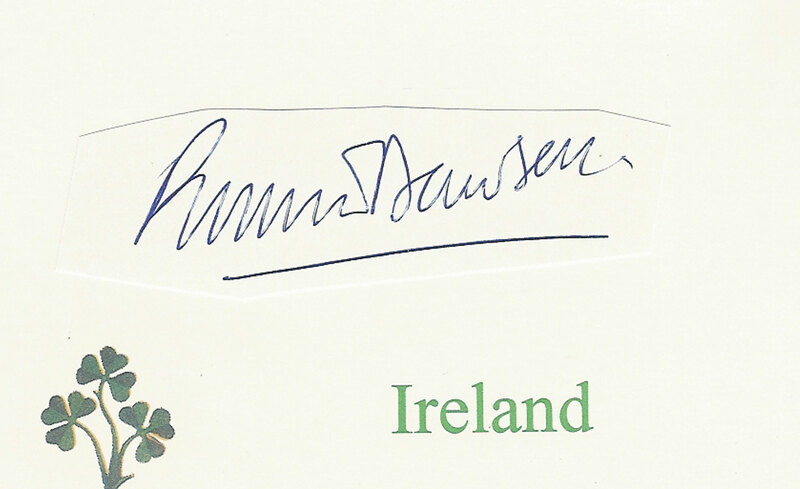 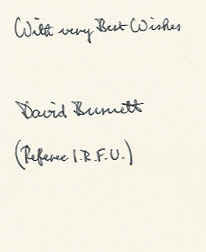 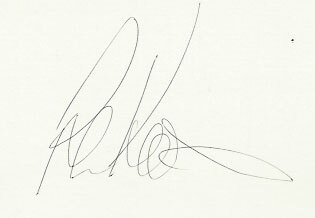 Andrew Lamerton, autograph on business card. 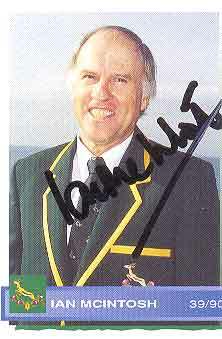 Ian McIntosh (39/90), Sports Deck Cards, South African Coach. 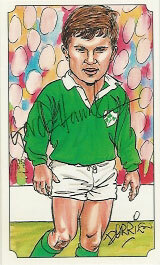 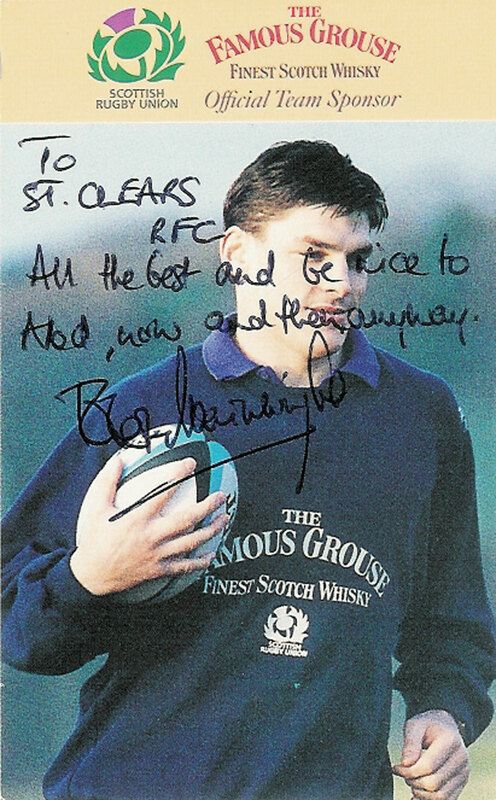 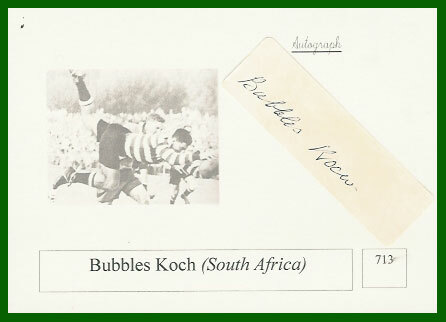 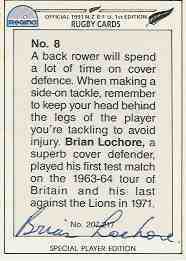 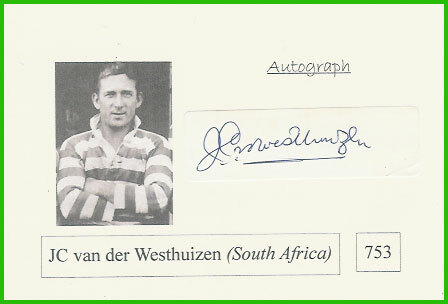 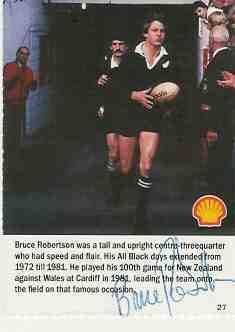 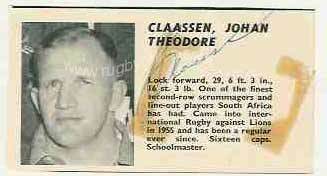 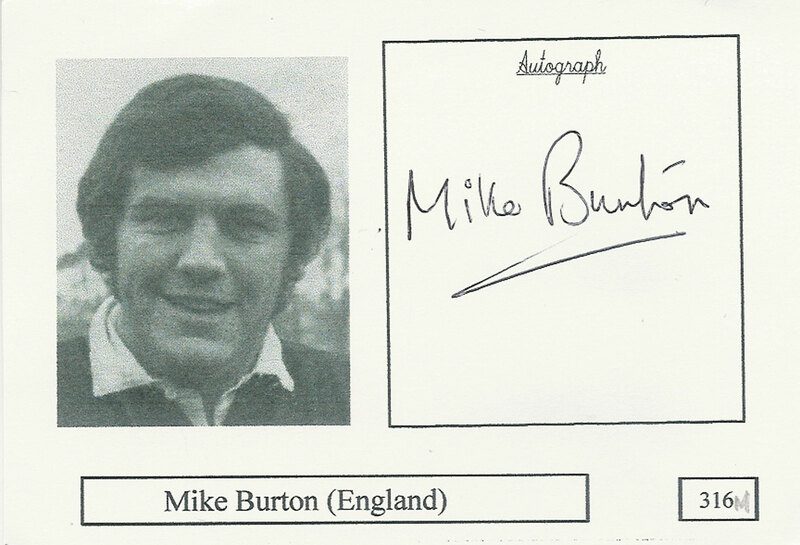 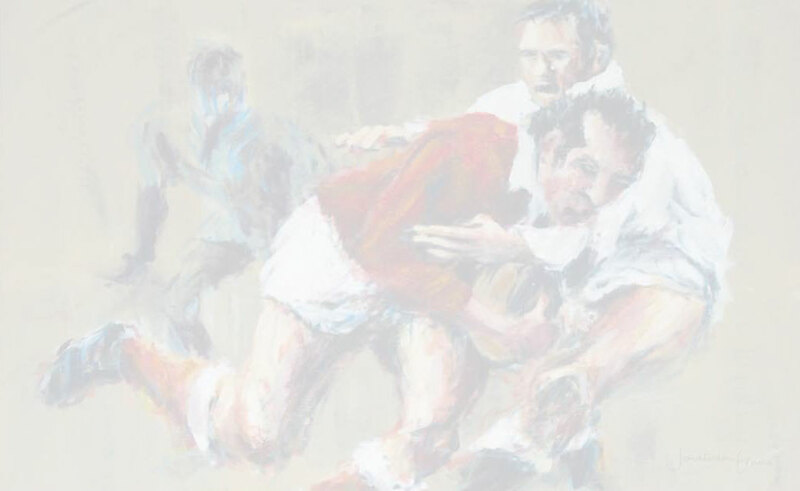 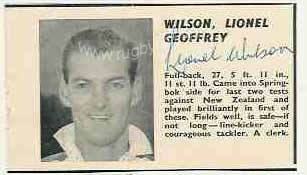 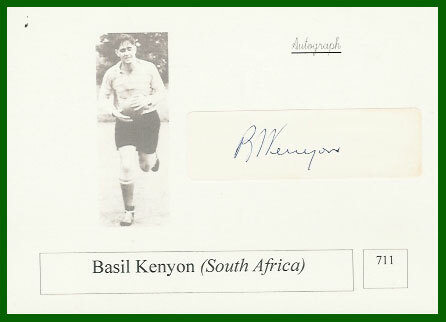 Bruce Roberston, Shell Rugby Greats, card no 27. 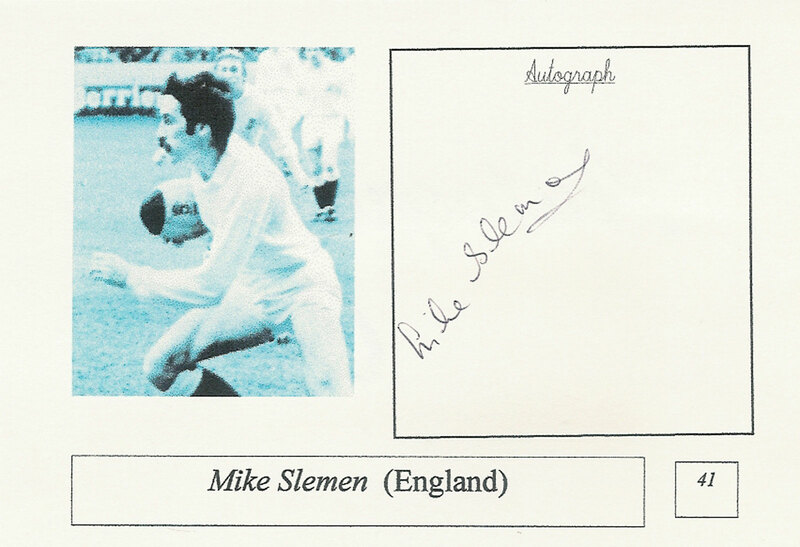 Mike Slemen, English Internationals 1980-1991 No 42 of 50. 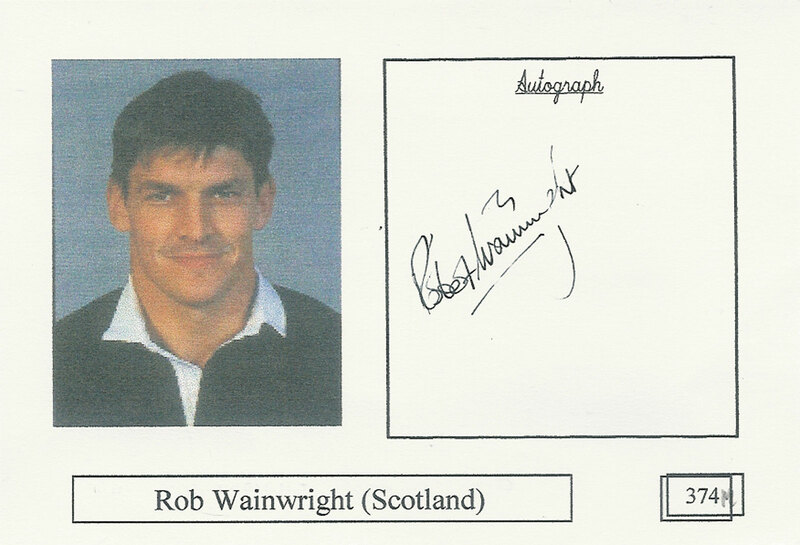 Rob Wainwright, Famous Grouse, with dedication. 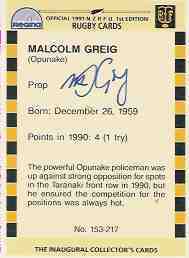 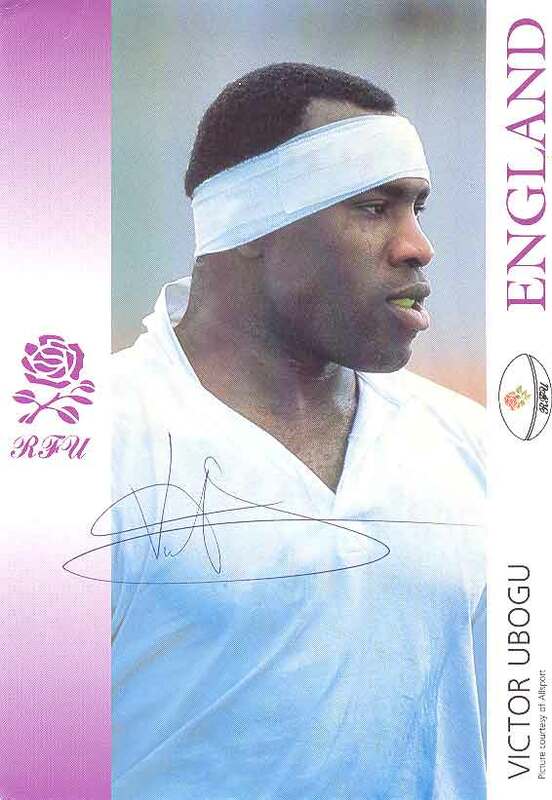 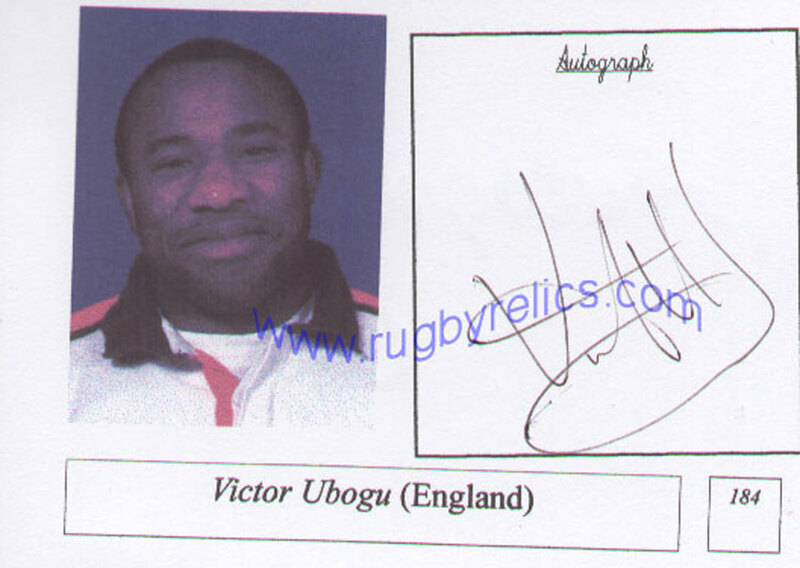 Victor Ubogu, RFU player card, The Prop Forward. 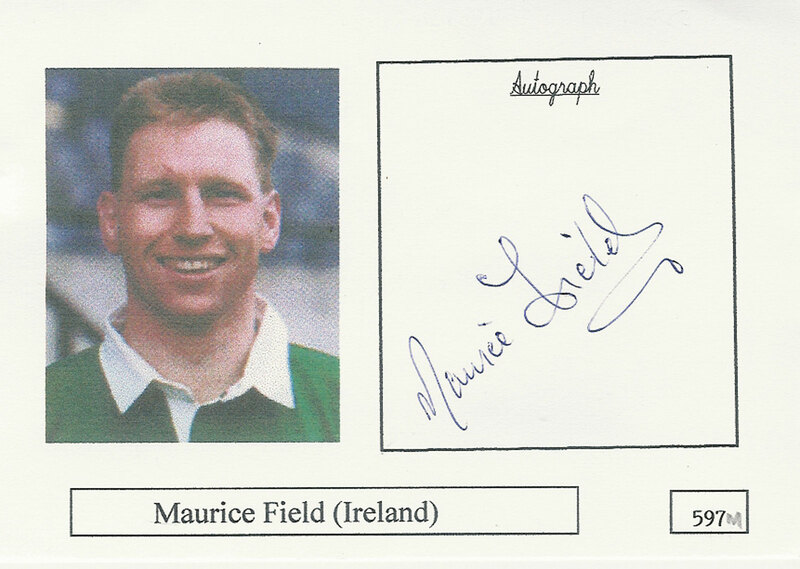 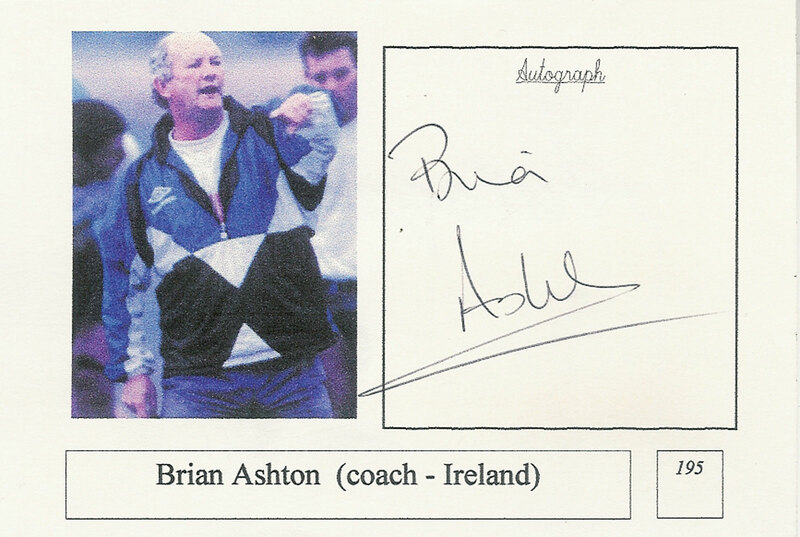 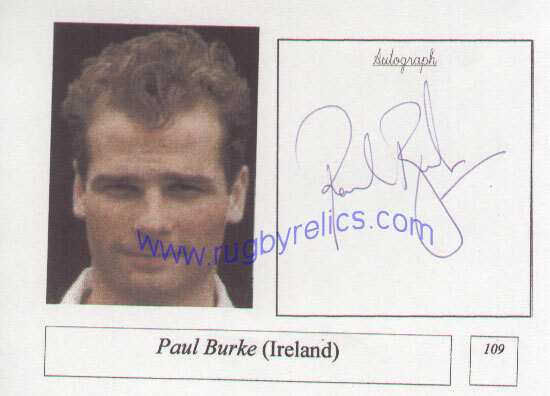 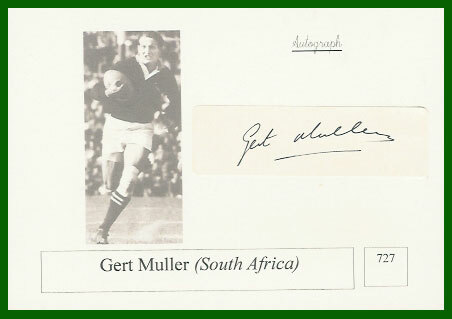 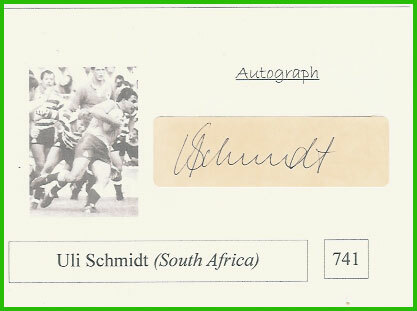 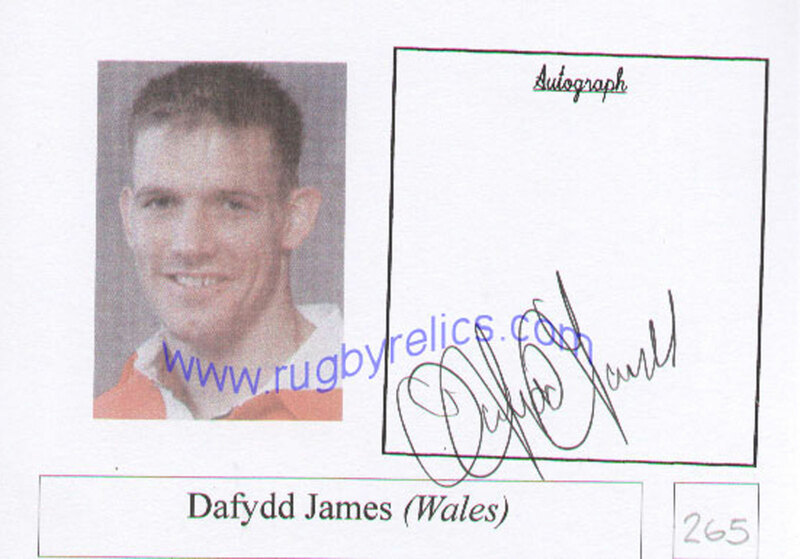 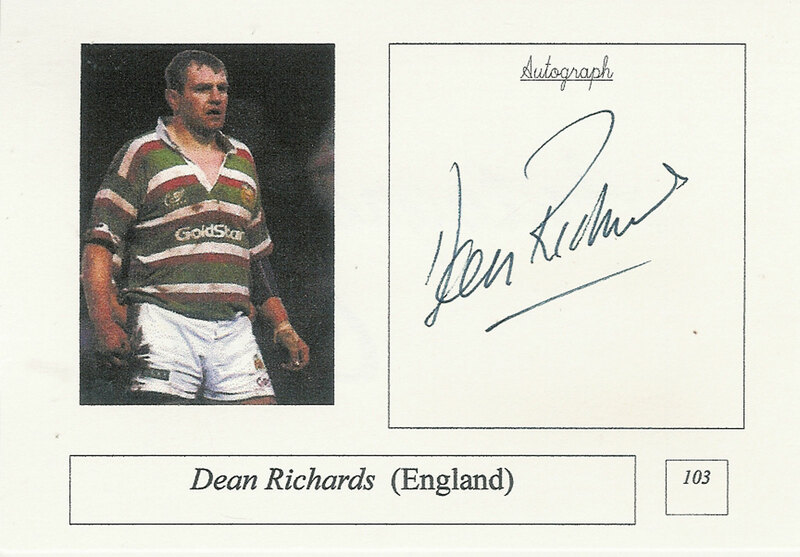 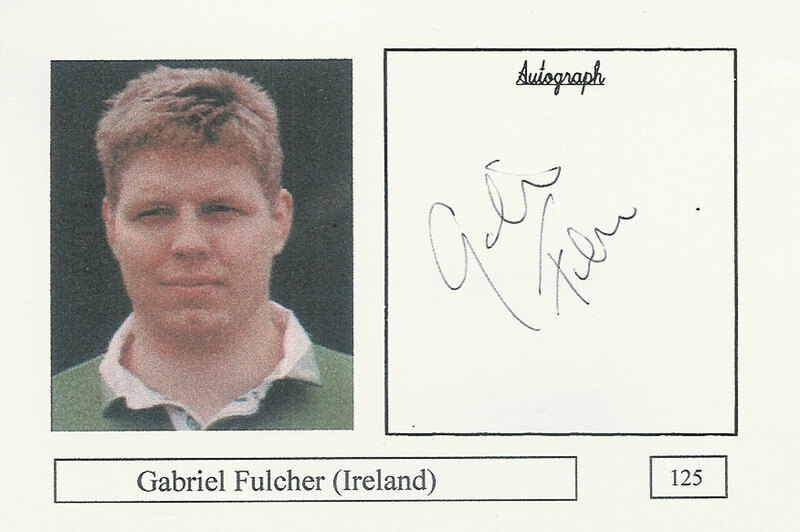 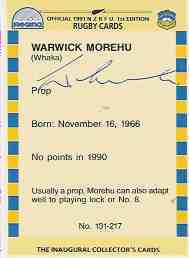 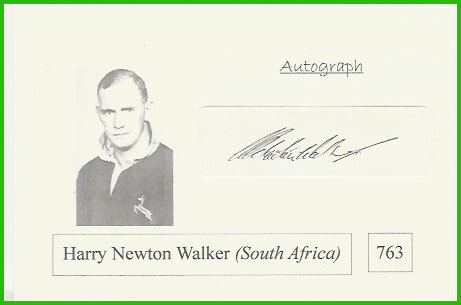 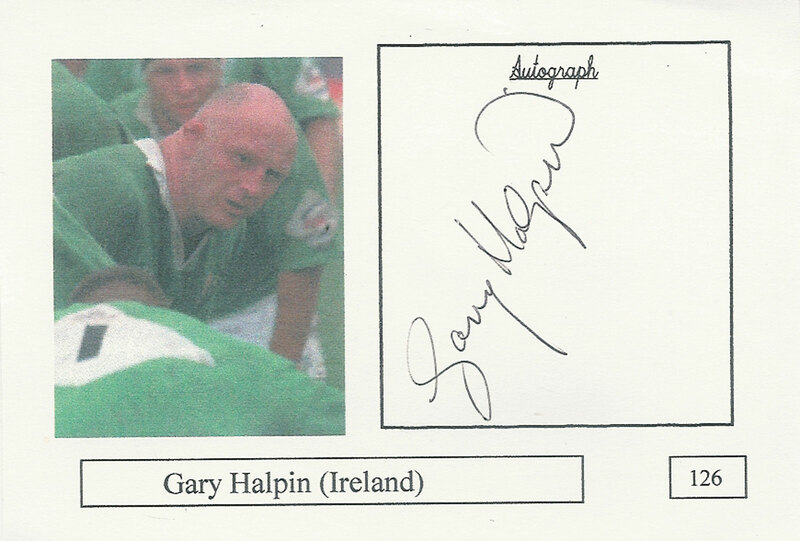 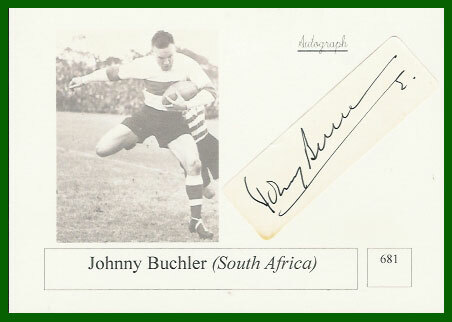 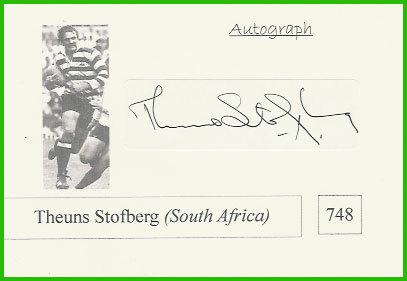 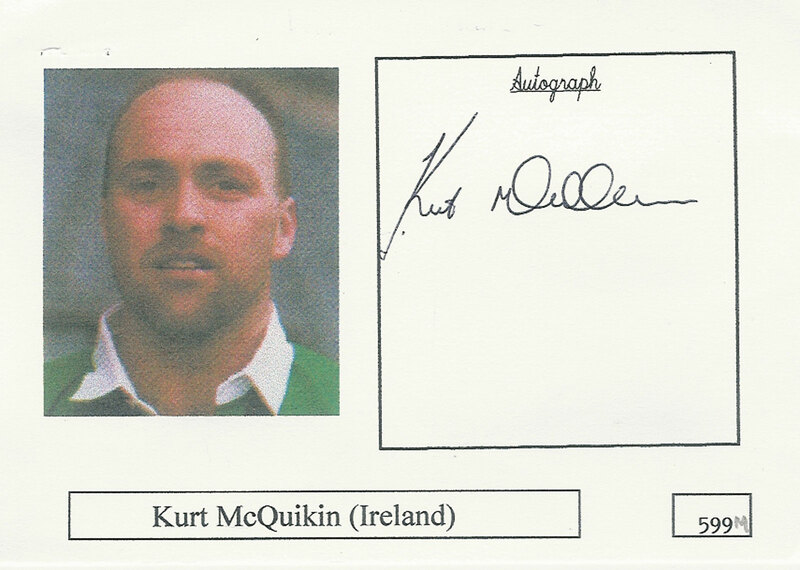 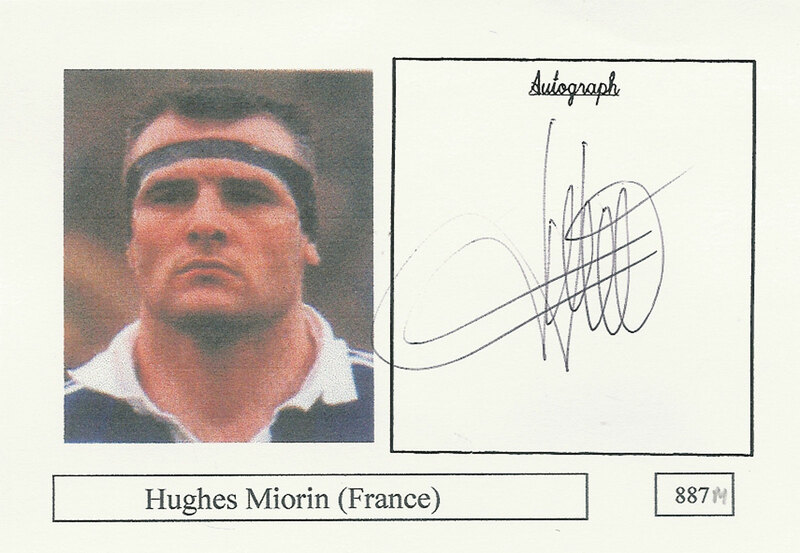 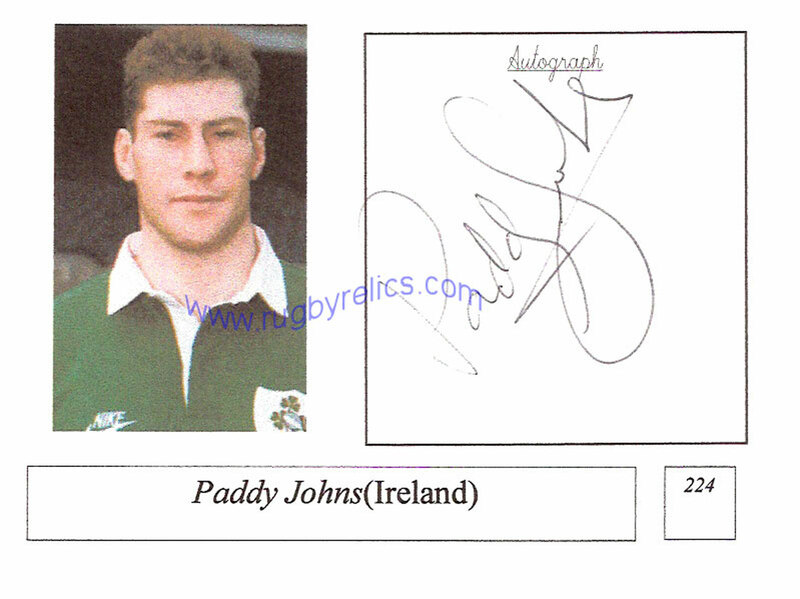 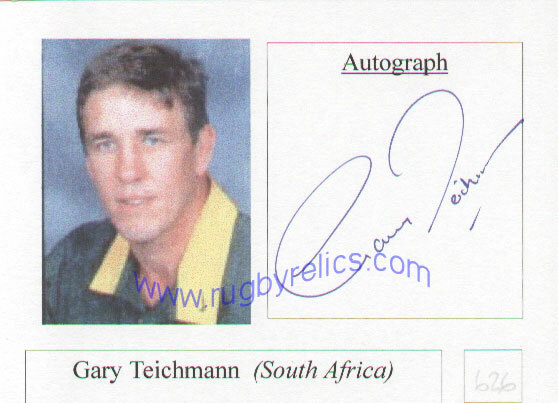 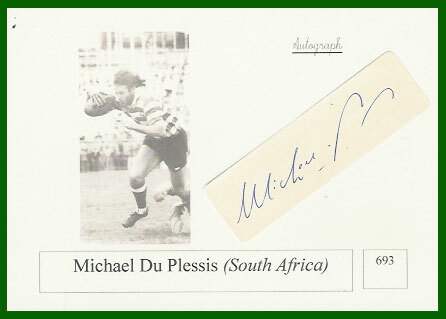 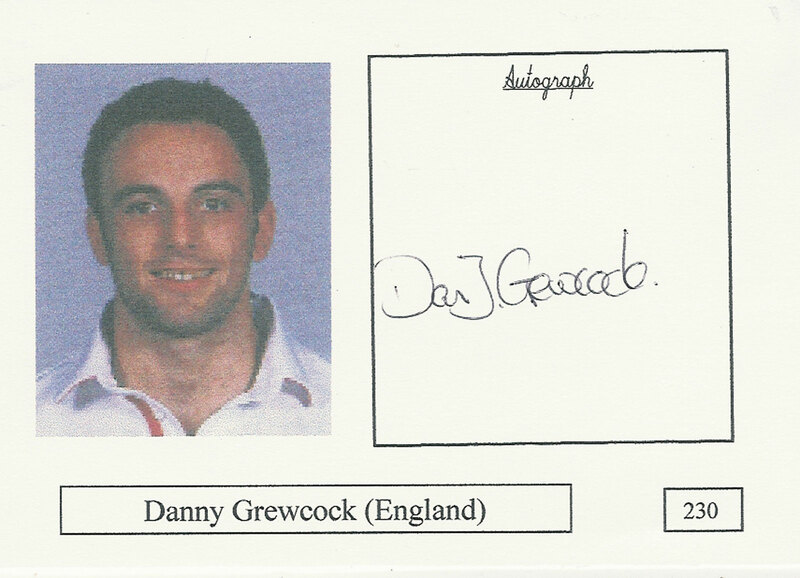 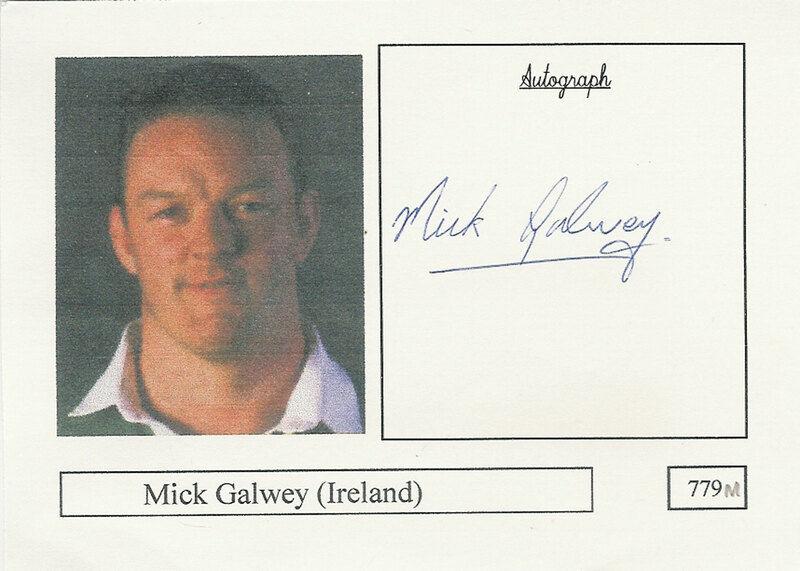 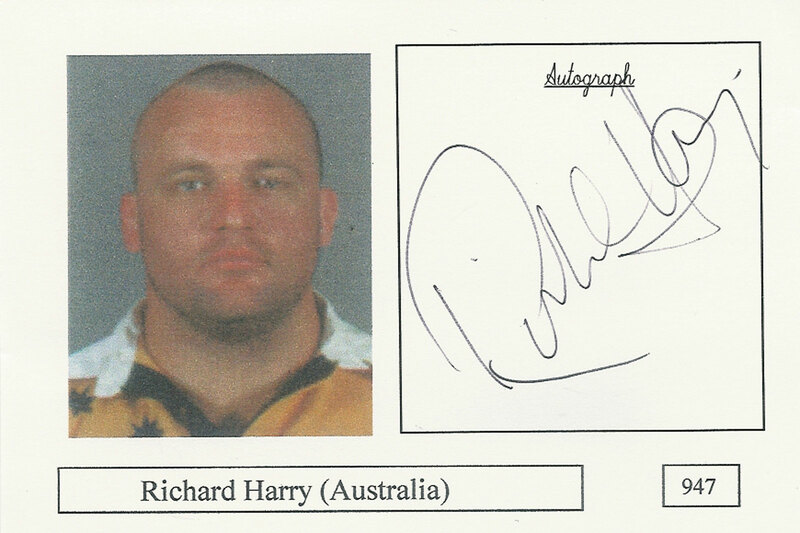 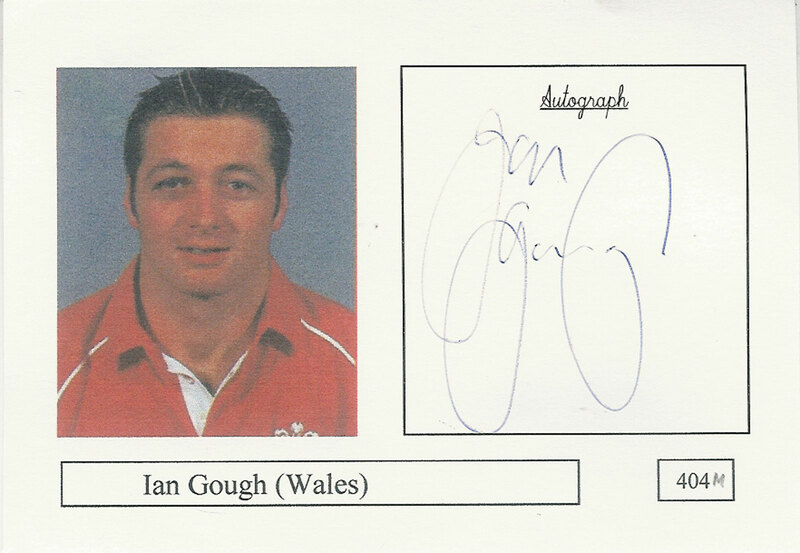 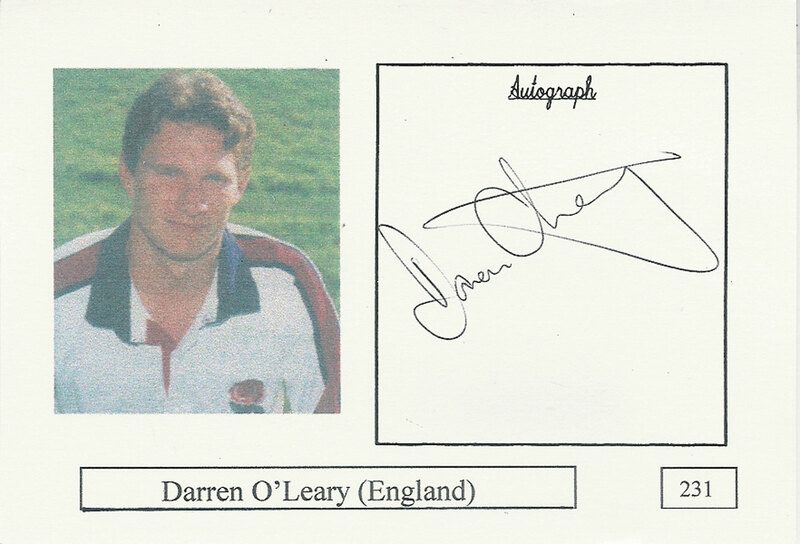 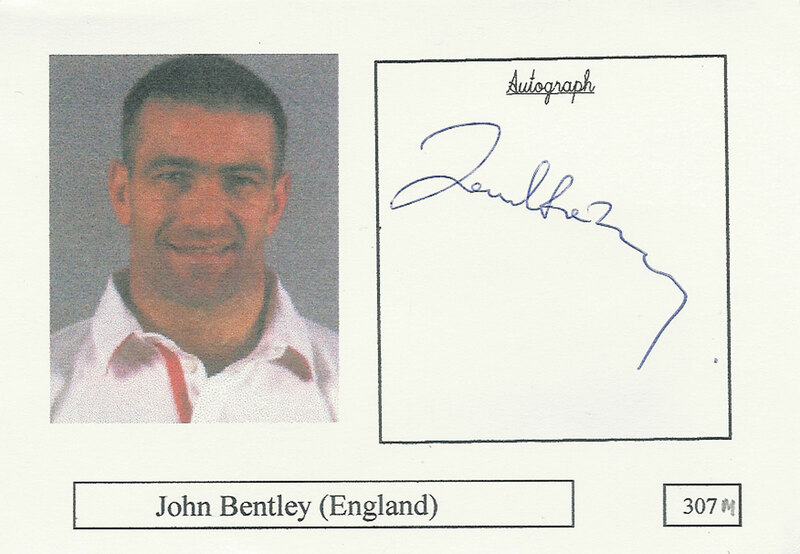 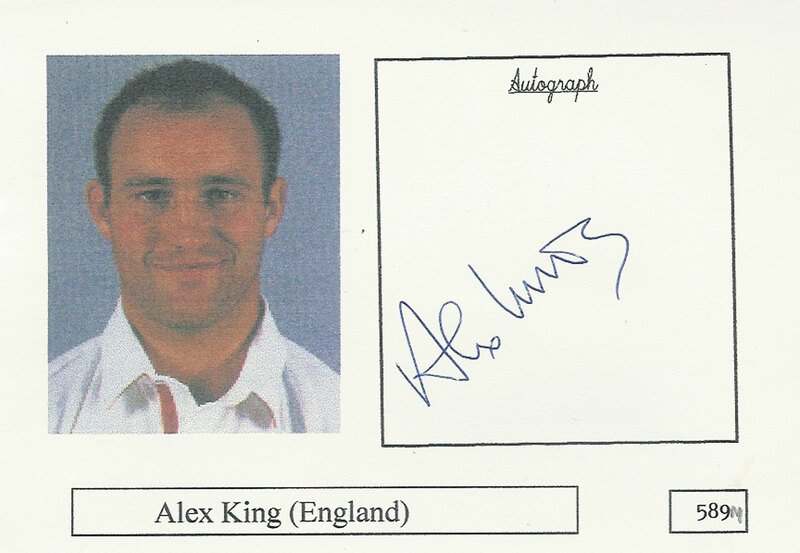 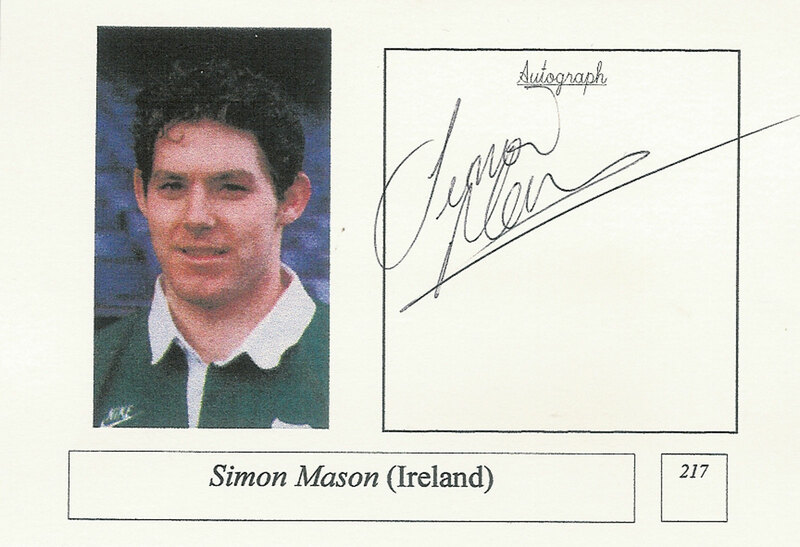 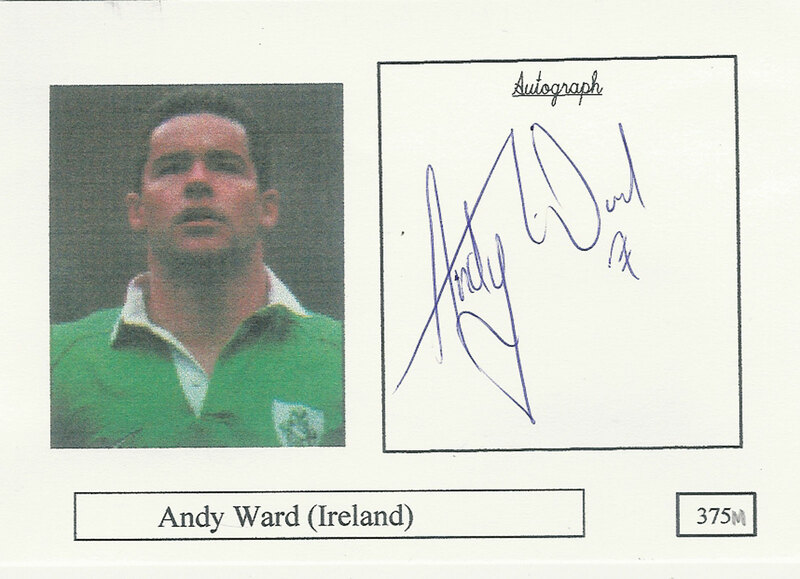 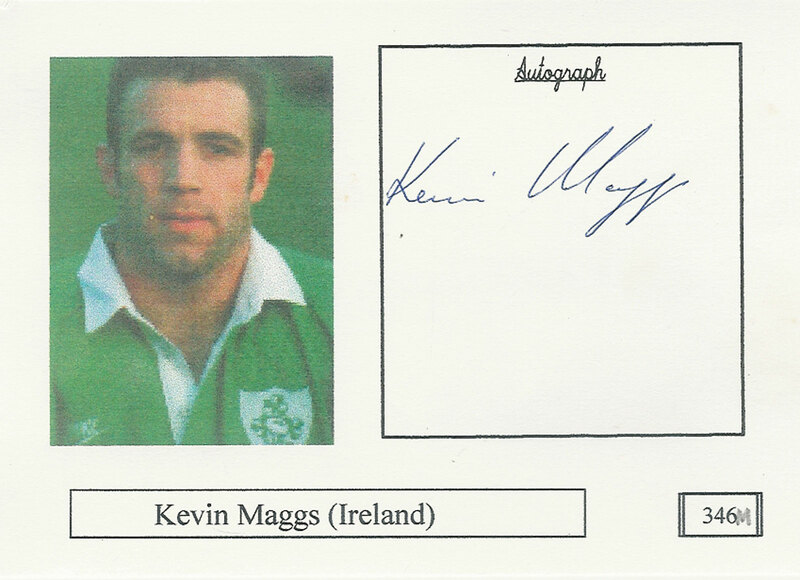 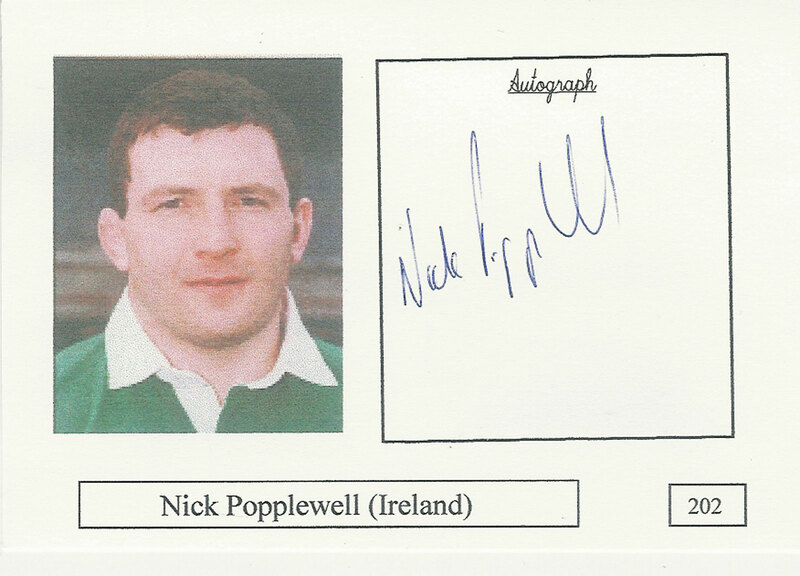 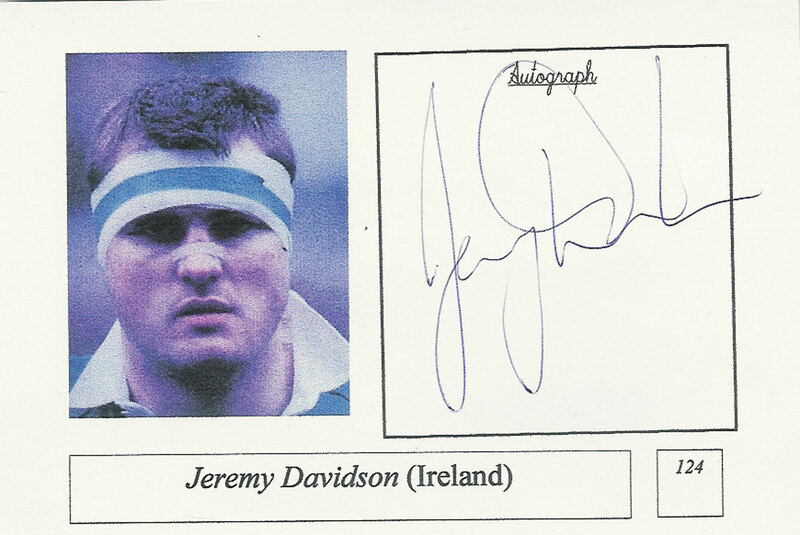 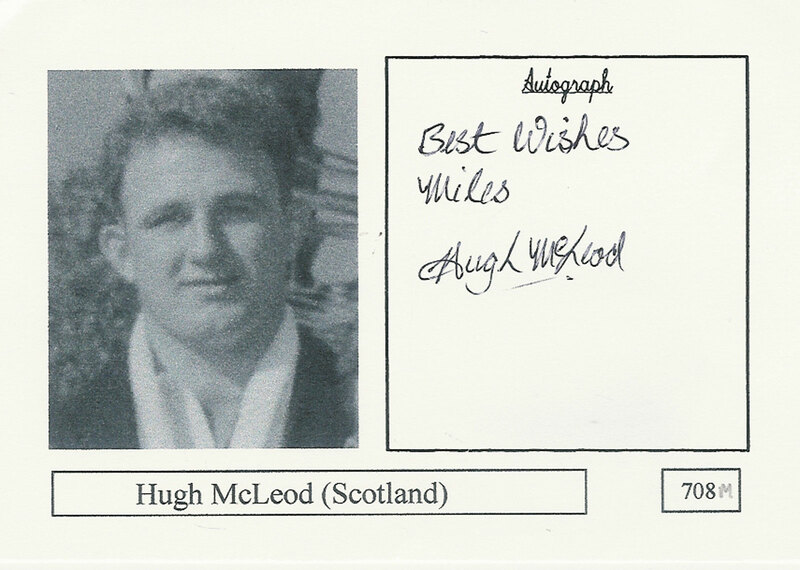 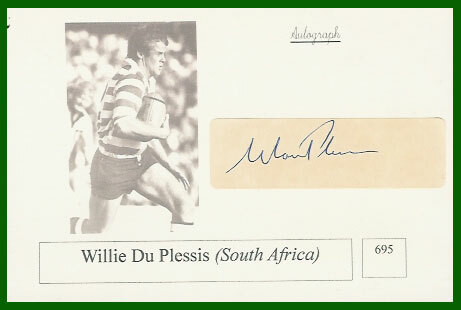 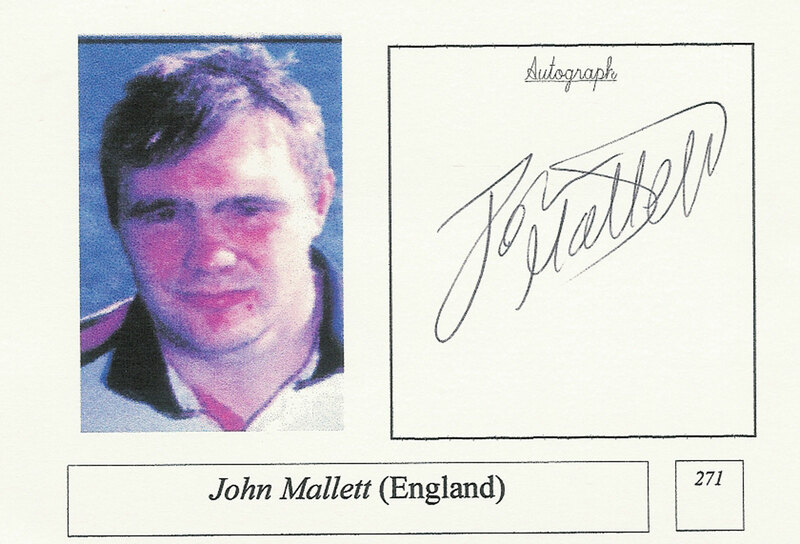 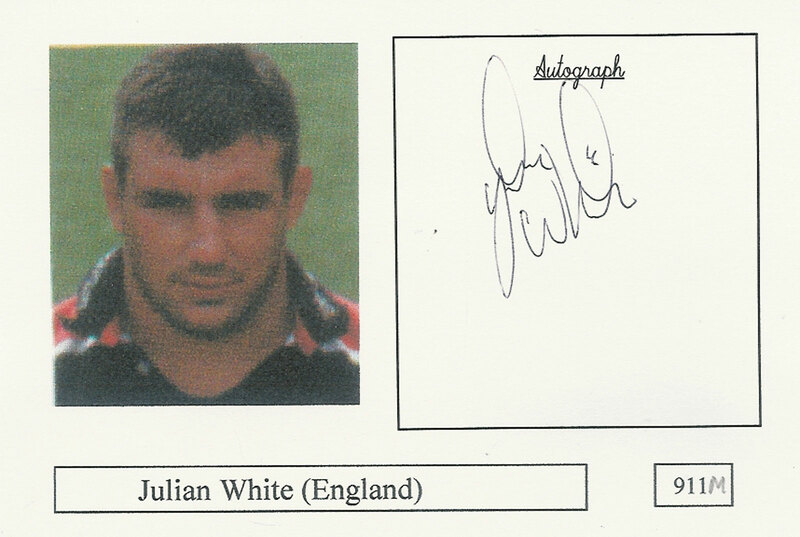 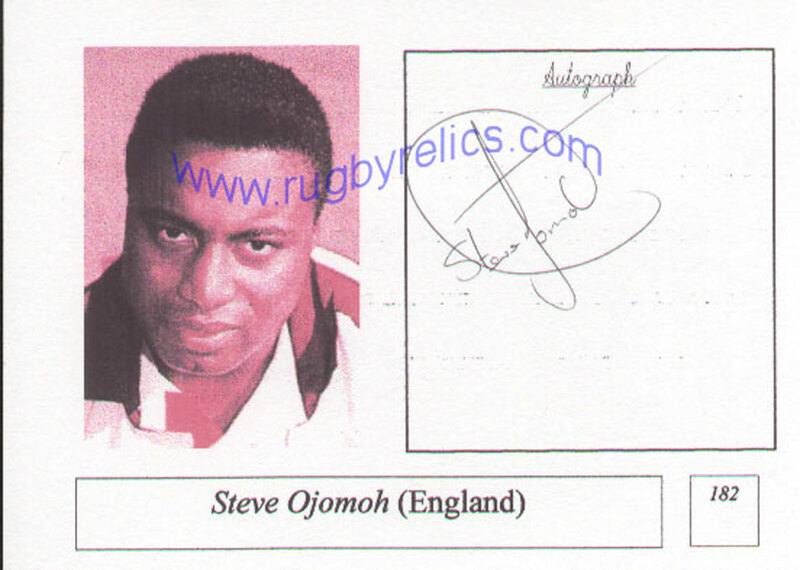 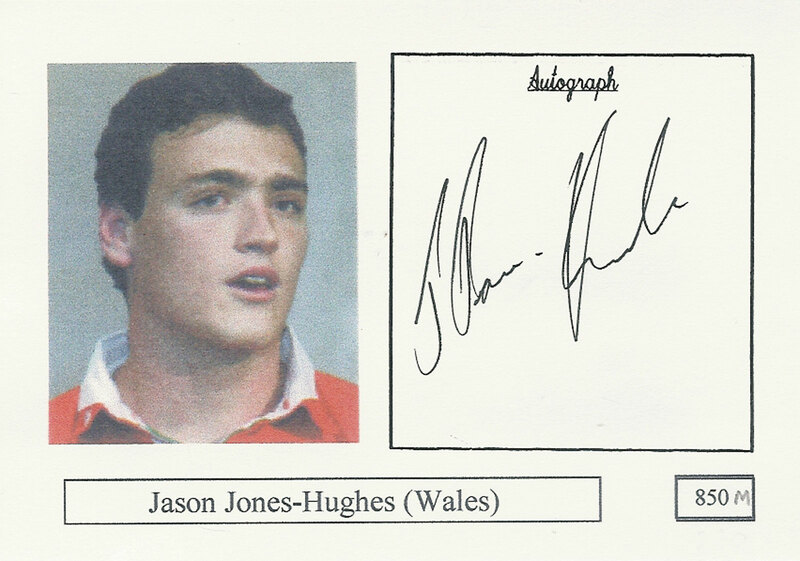 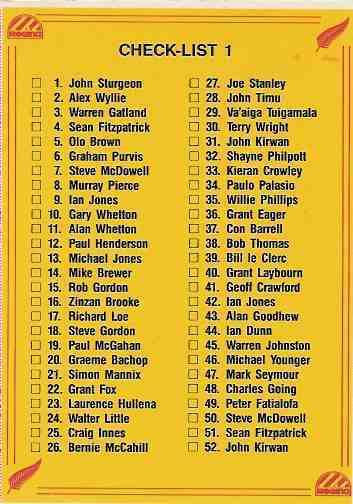 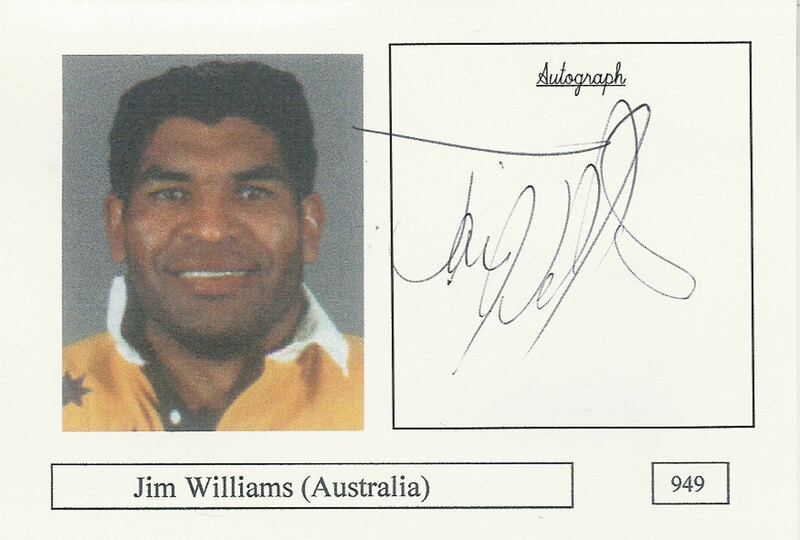 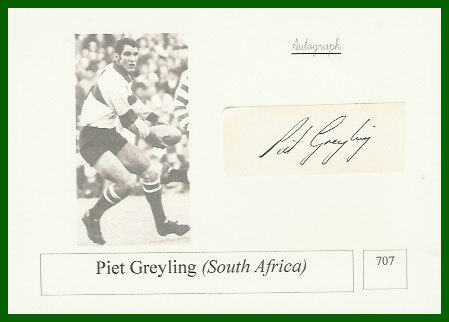 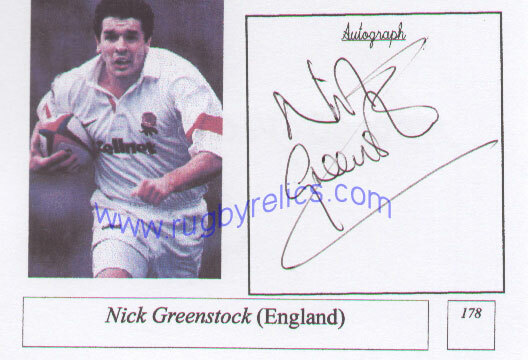 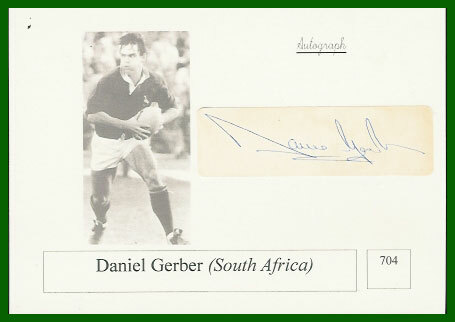 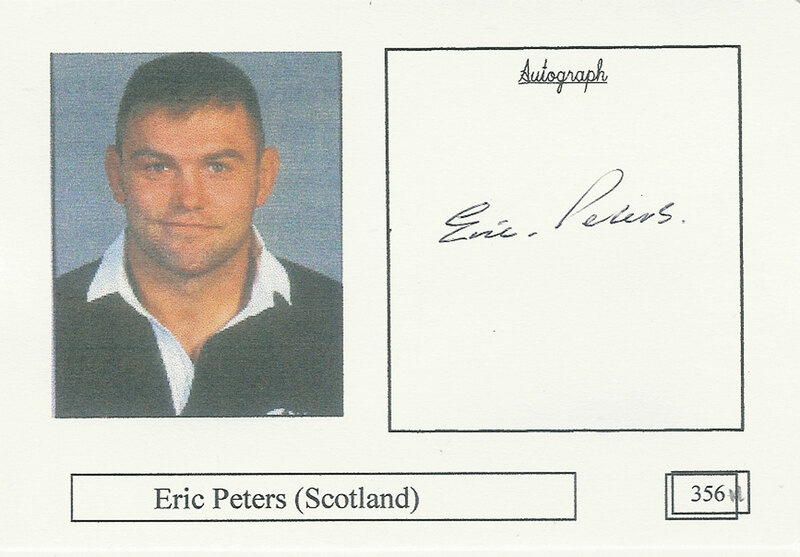 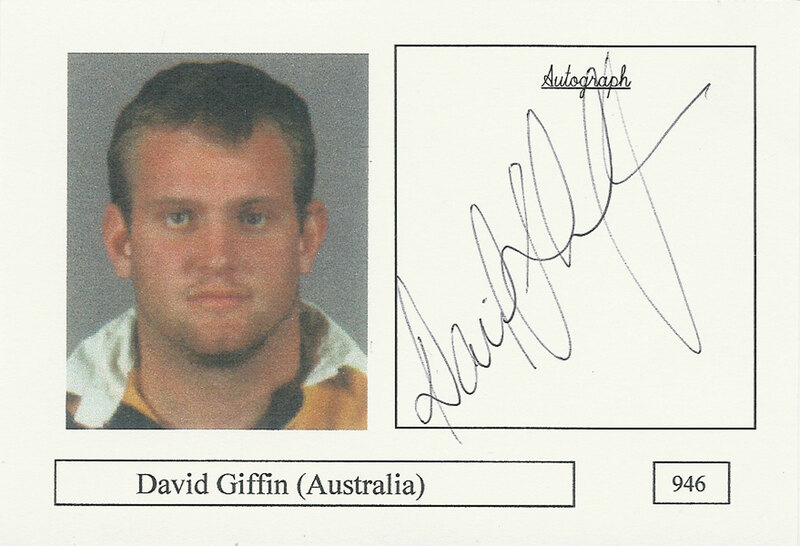 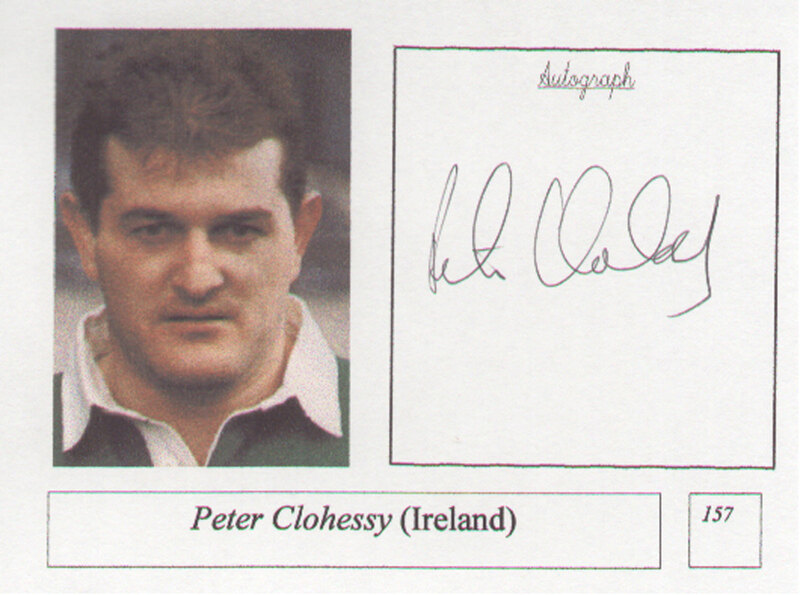 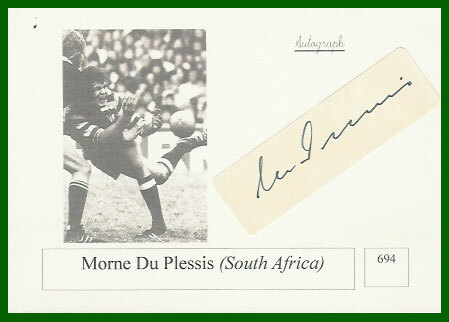 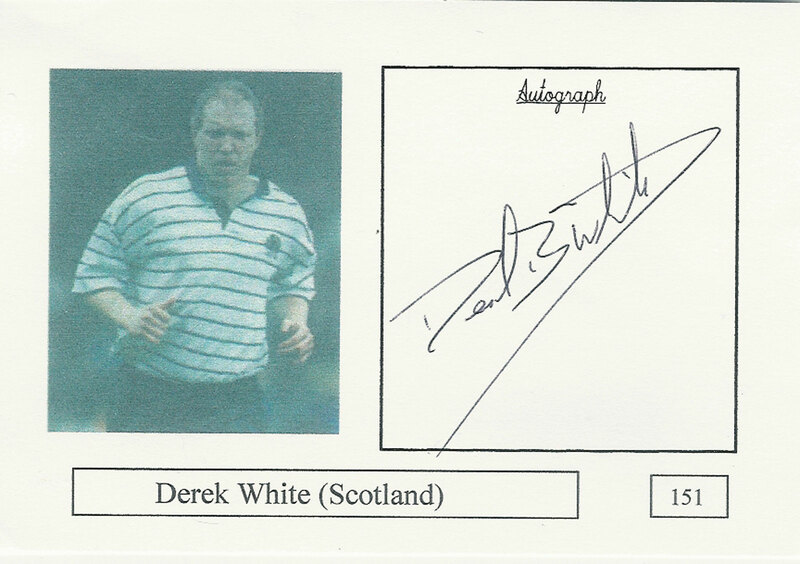 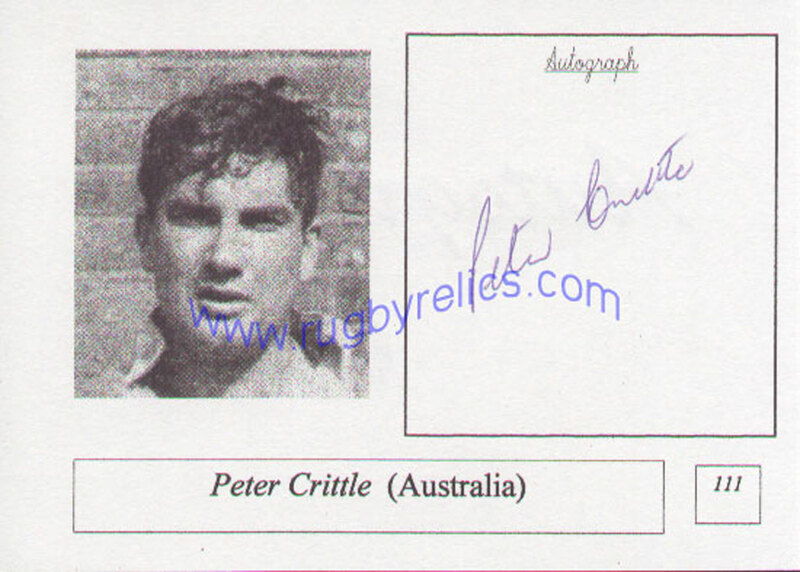 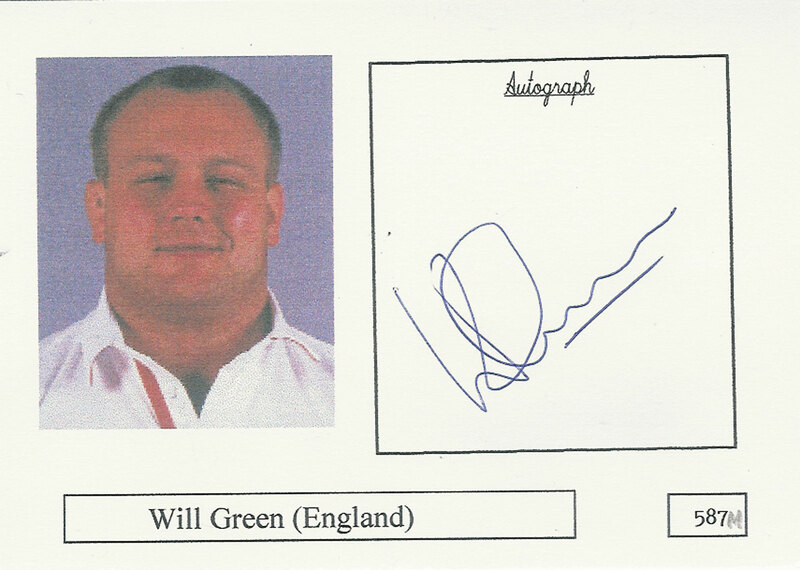 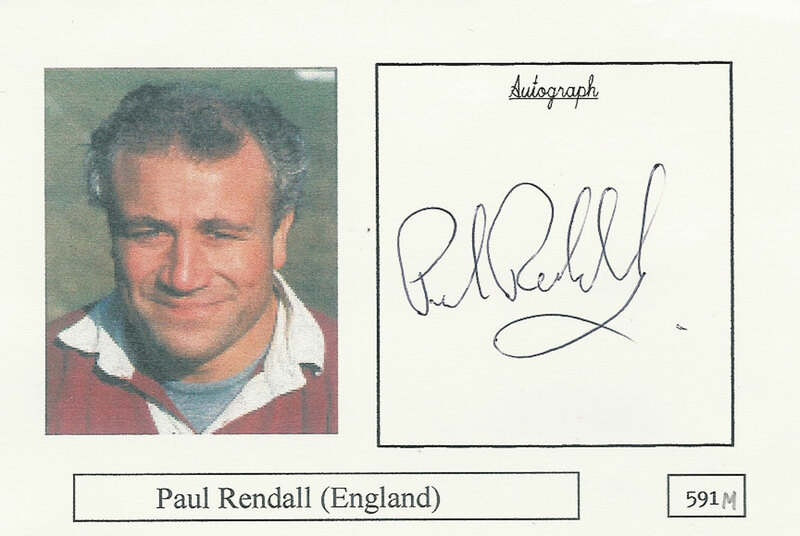 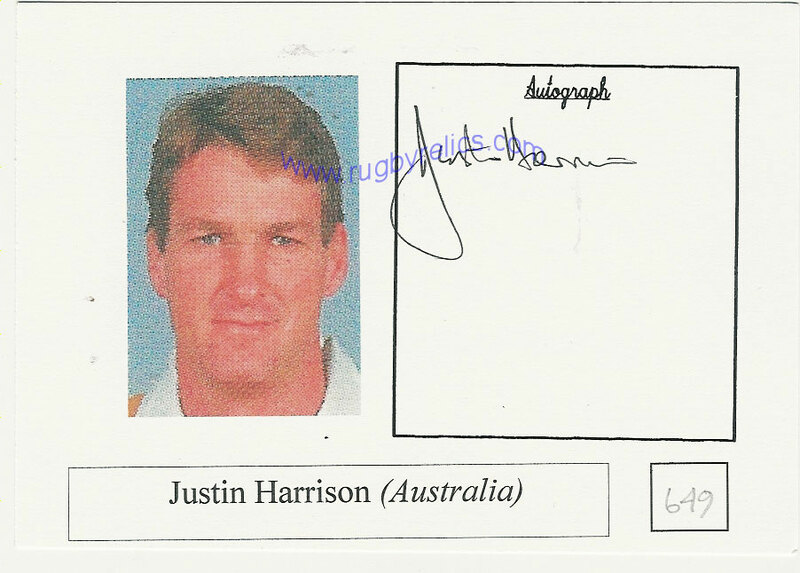 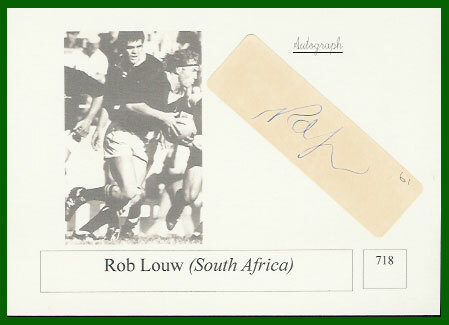 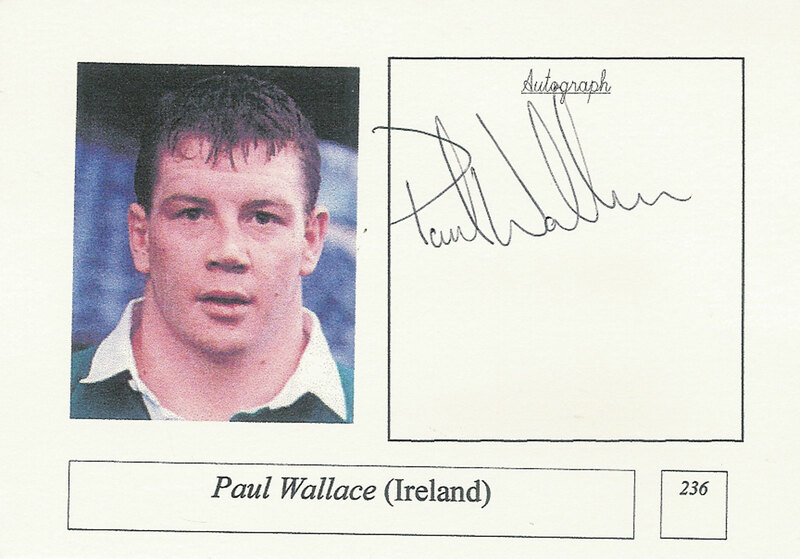 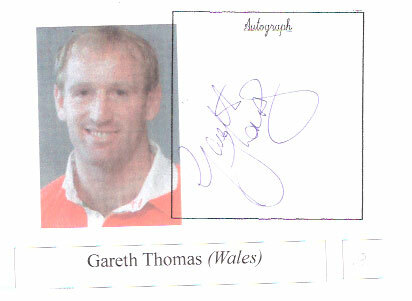 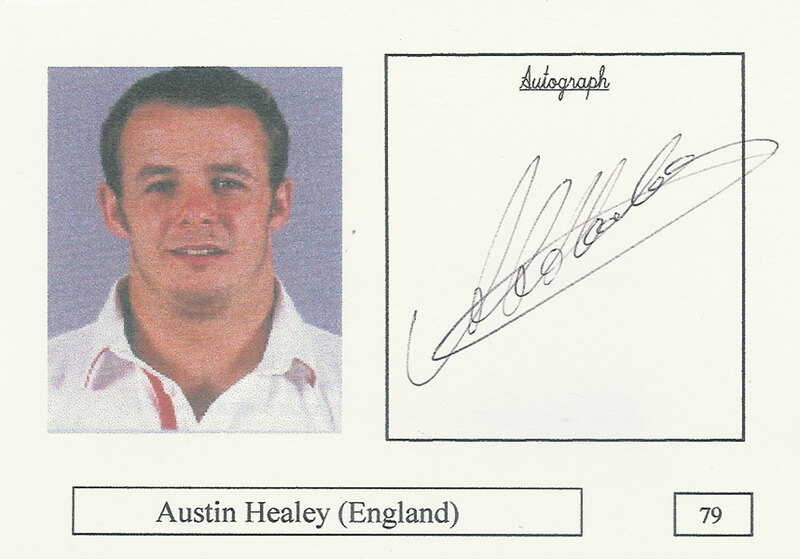 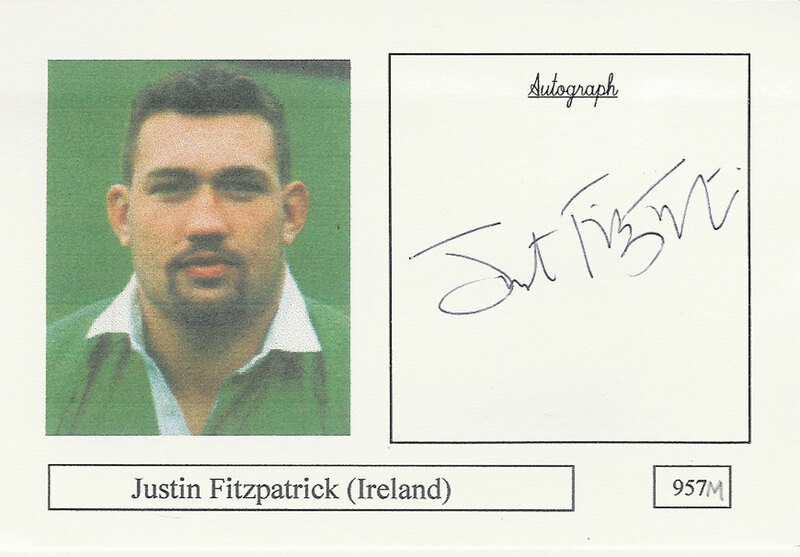 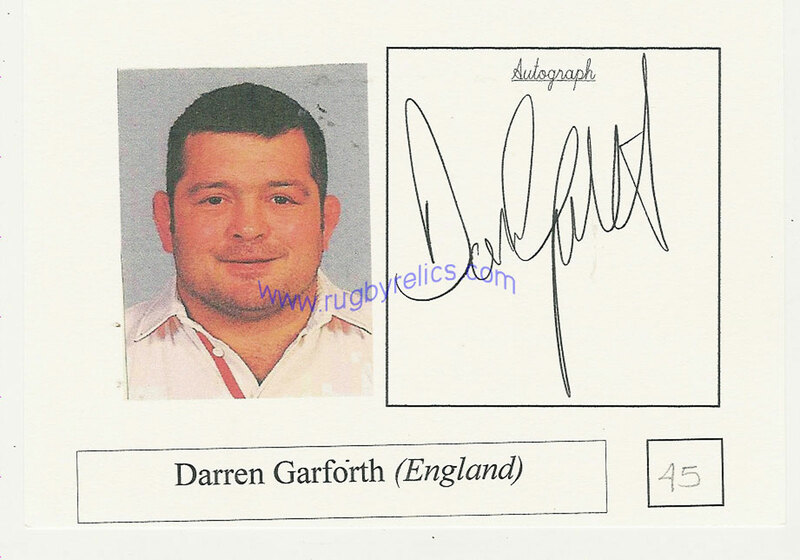 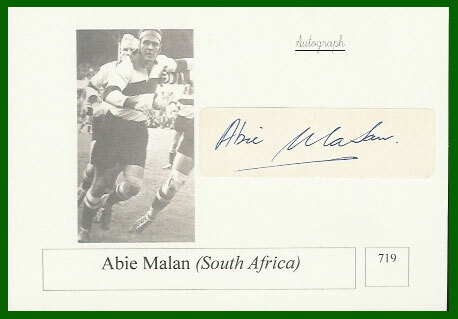 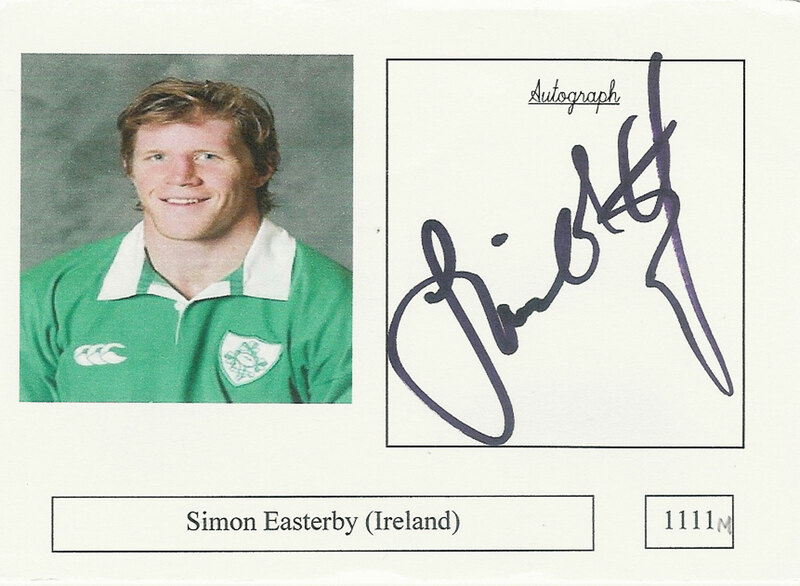 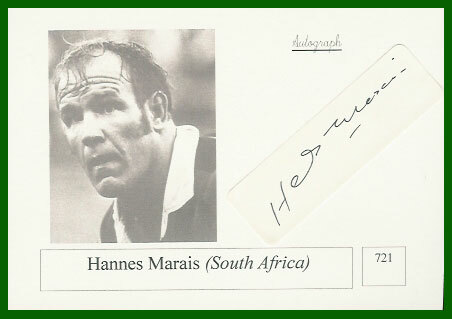 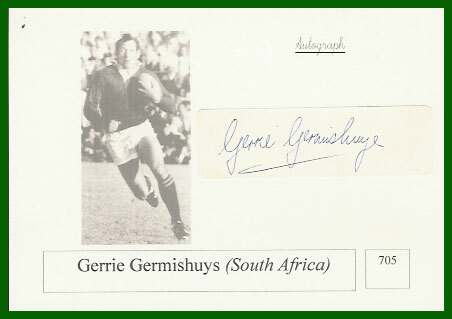 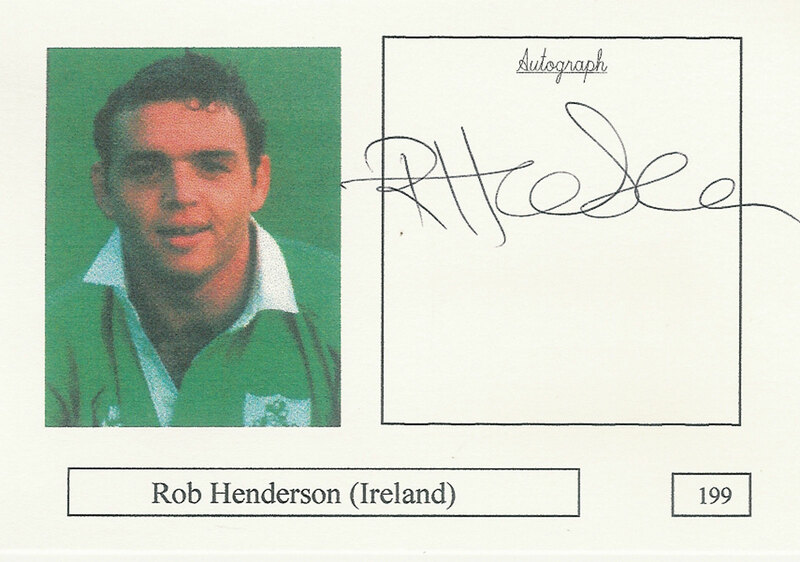 Rugby World Cup Legends 1999 signed card group. 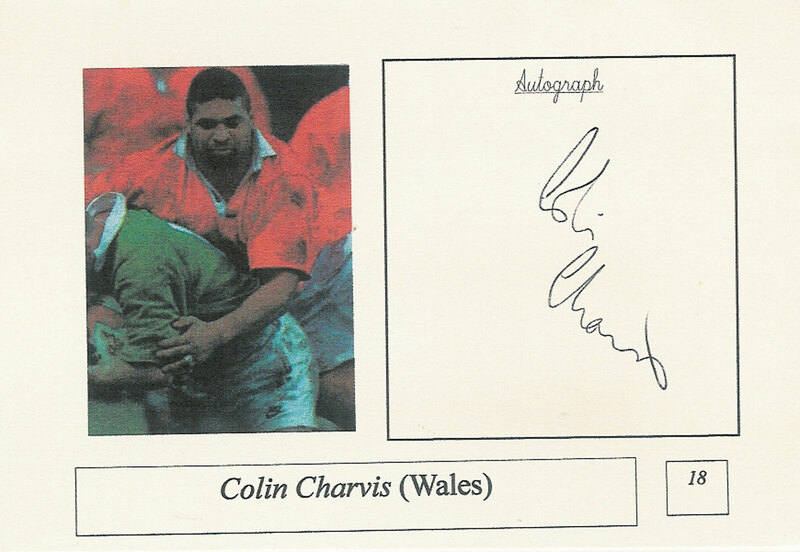 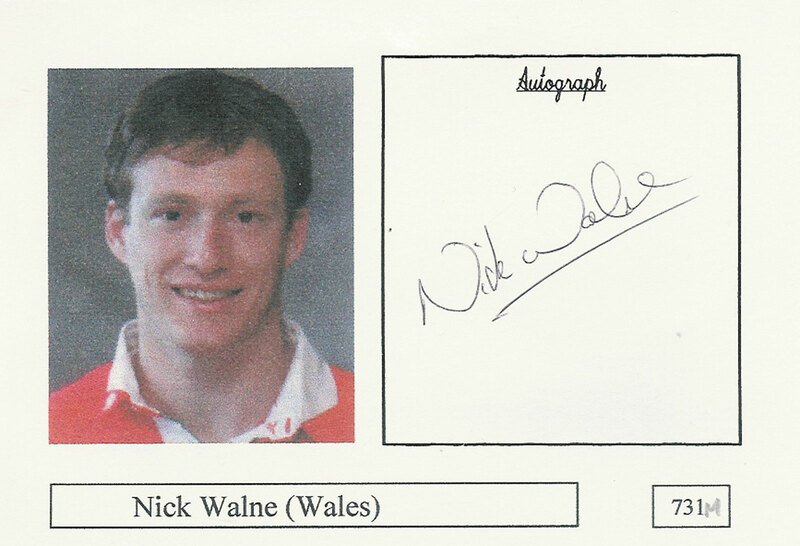 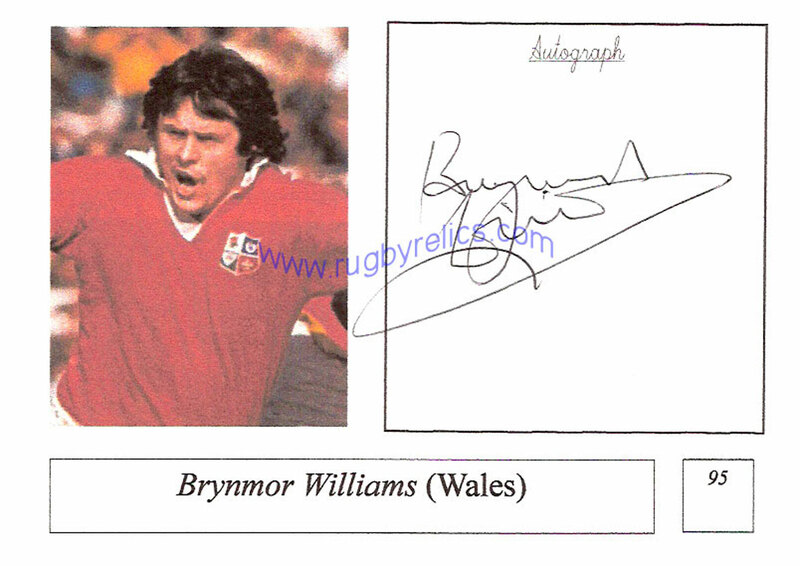 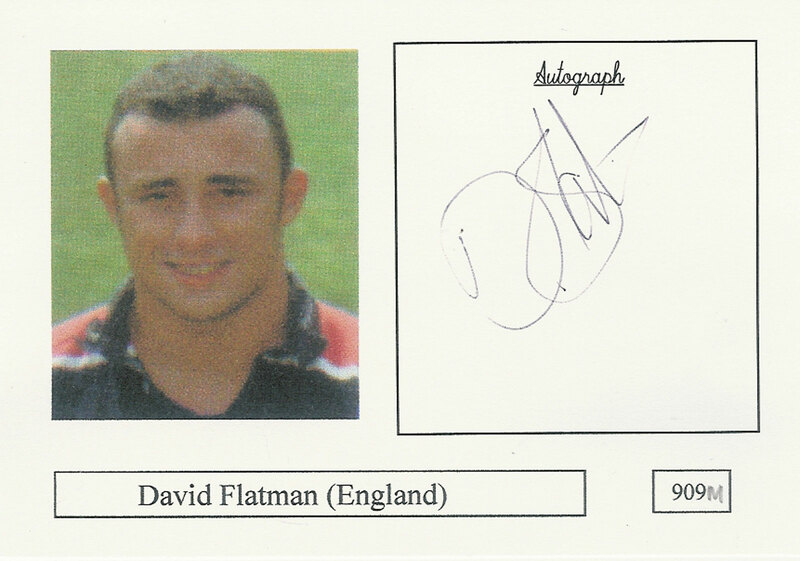 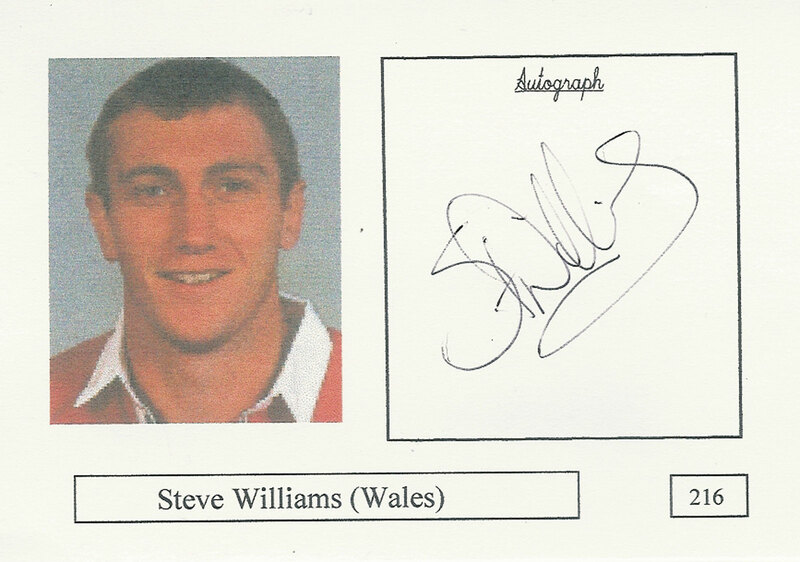 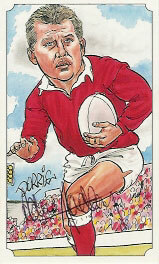 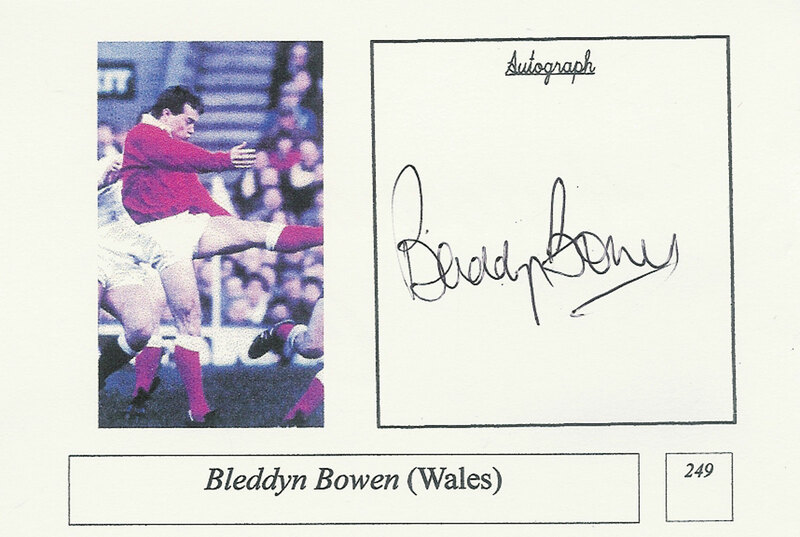 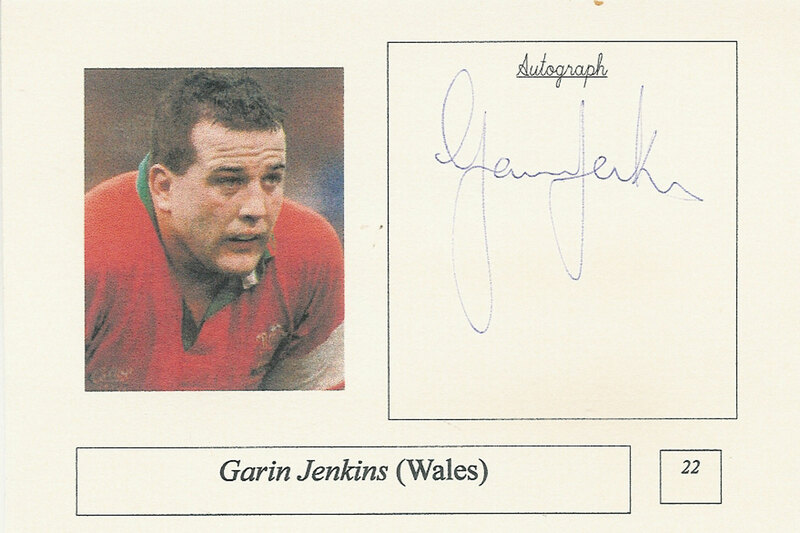 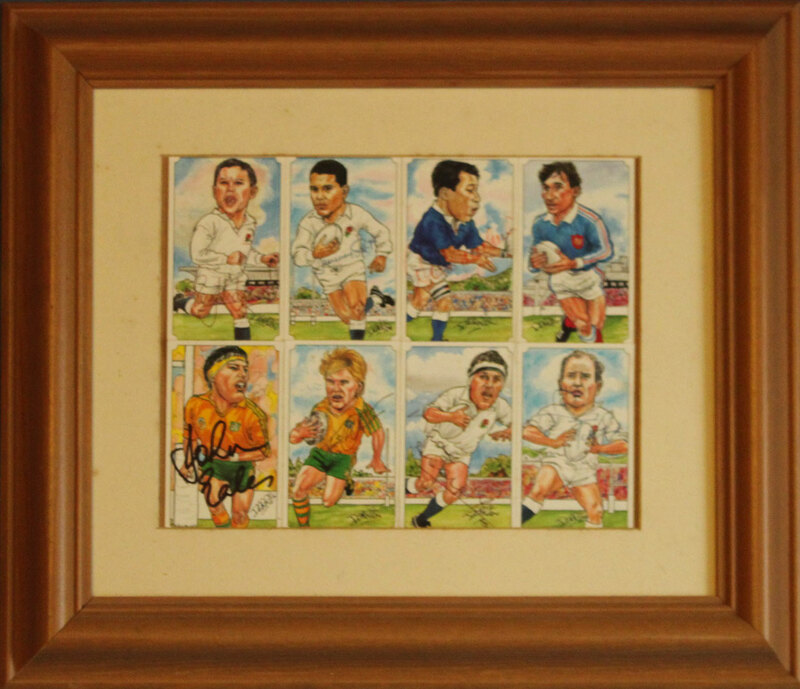 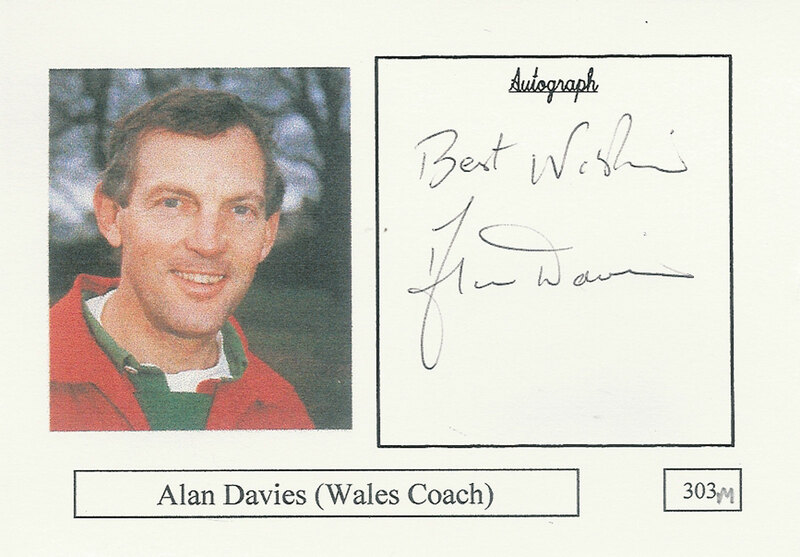 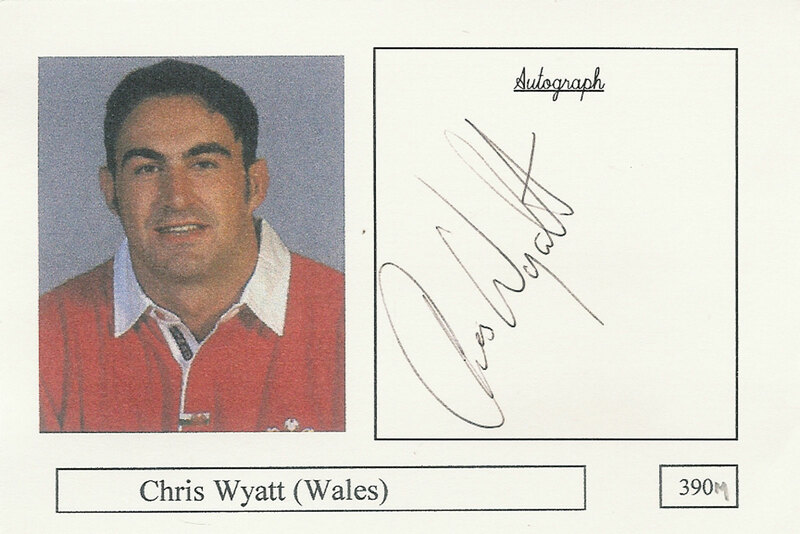 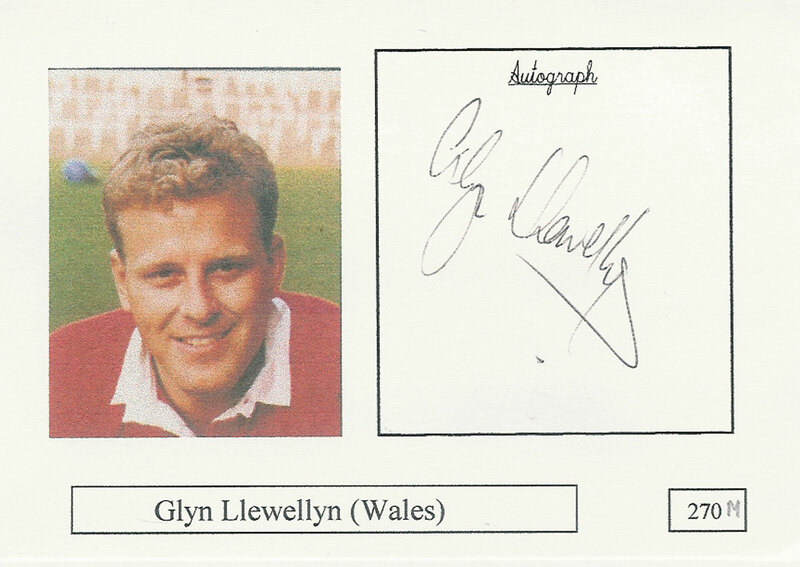 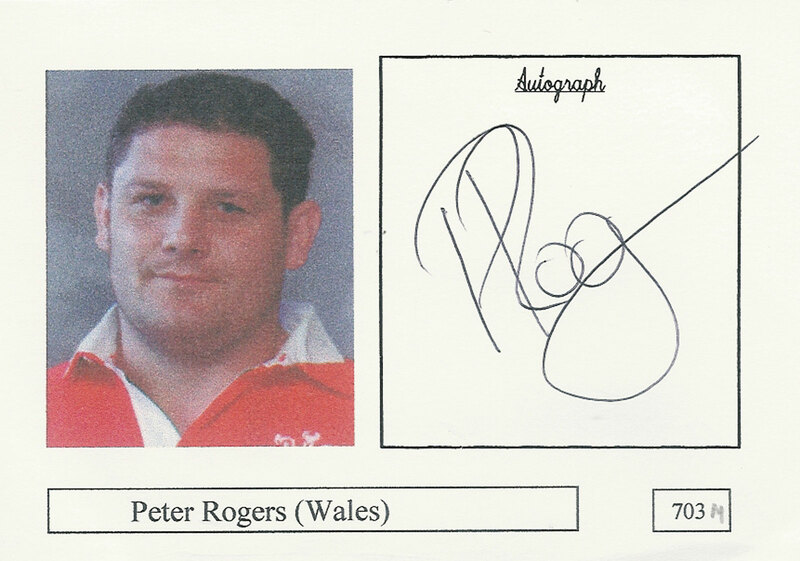 8 cards from the 1999 Wales on Sunday card set illustrated by Dorien signed by the players illustrated. 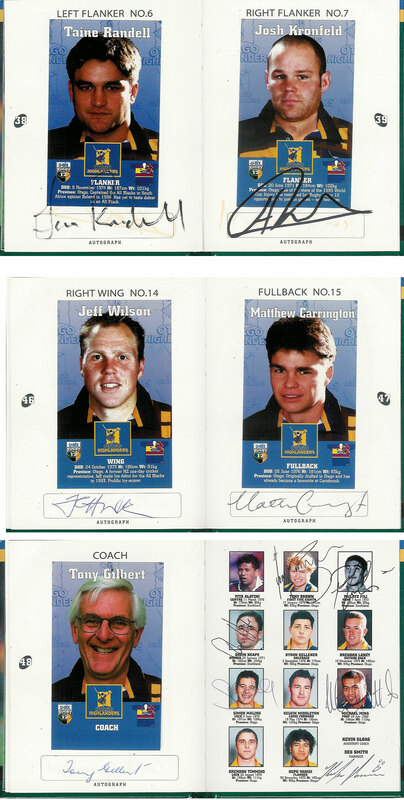 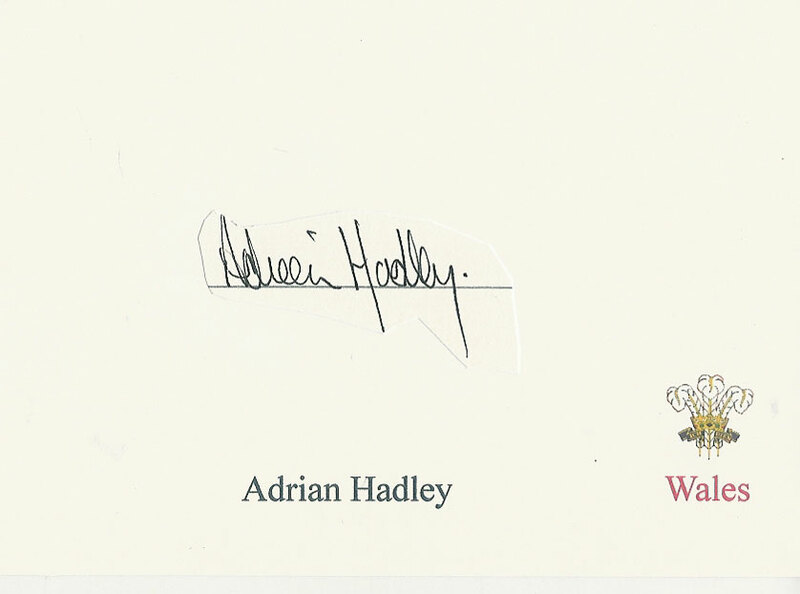 Signatures include Wade Dooley, paul Ackford, Apollo Perellini, Jeremy Guscott, Rory Underwood, Tim Horan & world cup winning captain John Eales. 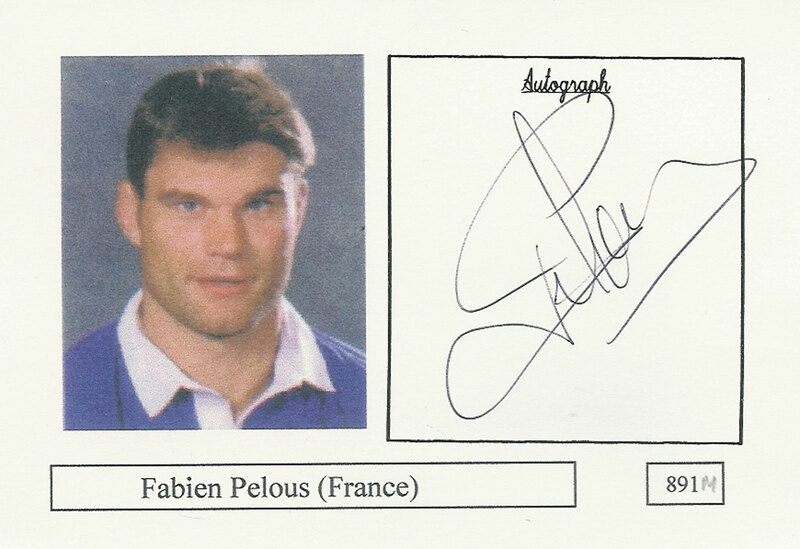 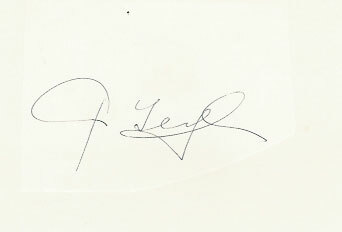 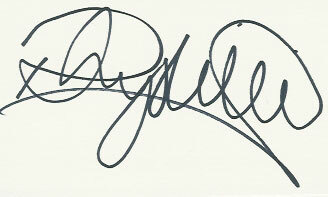 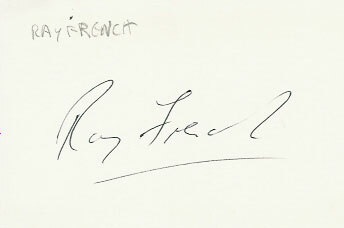 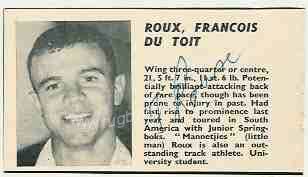 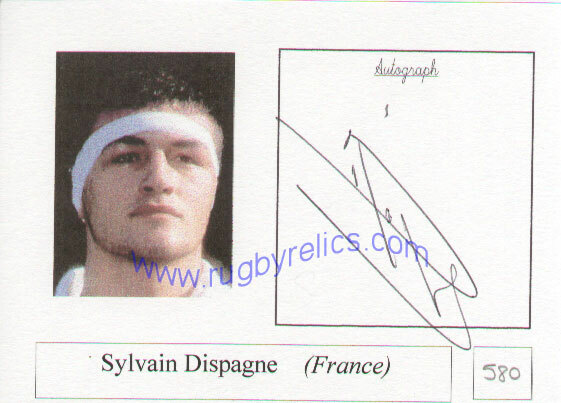 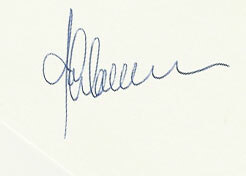 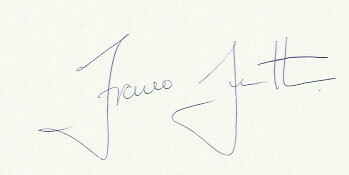 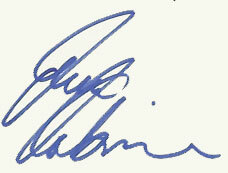 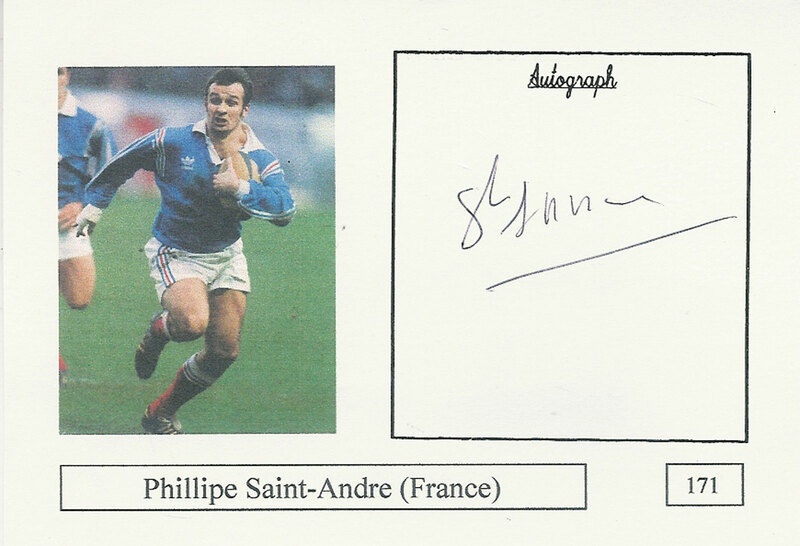 The signature of the French player in the group (Patrick Lagisquet) has faded significantly. 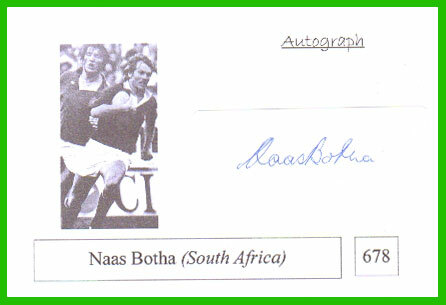 Sold with a COA guaranteeing that the autographs are authentic. 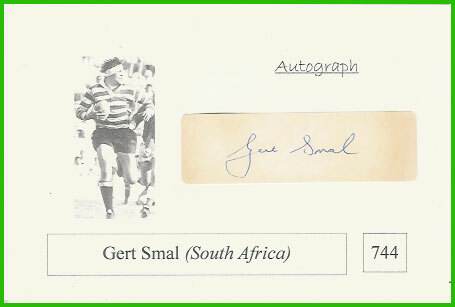 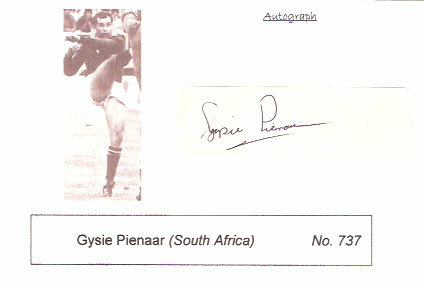 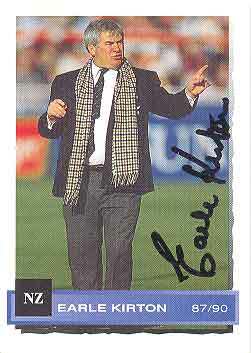 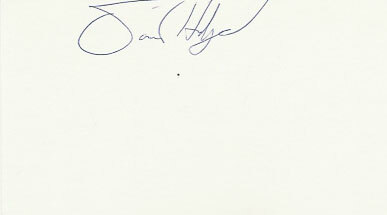 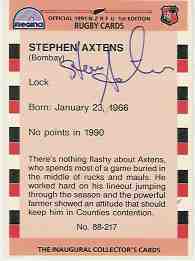 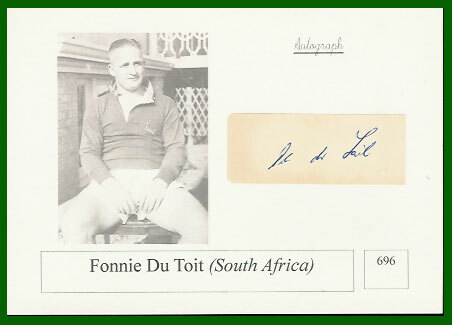 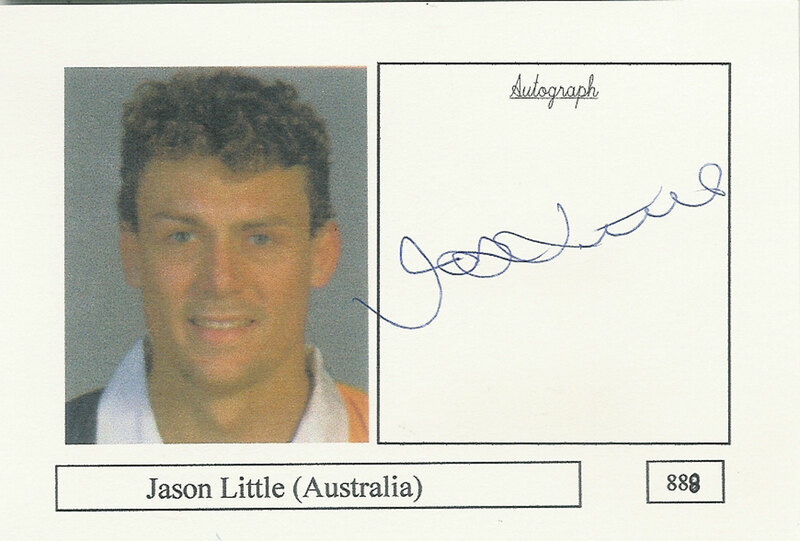 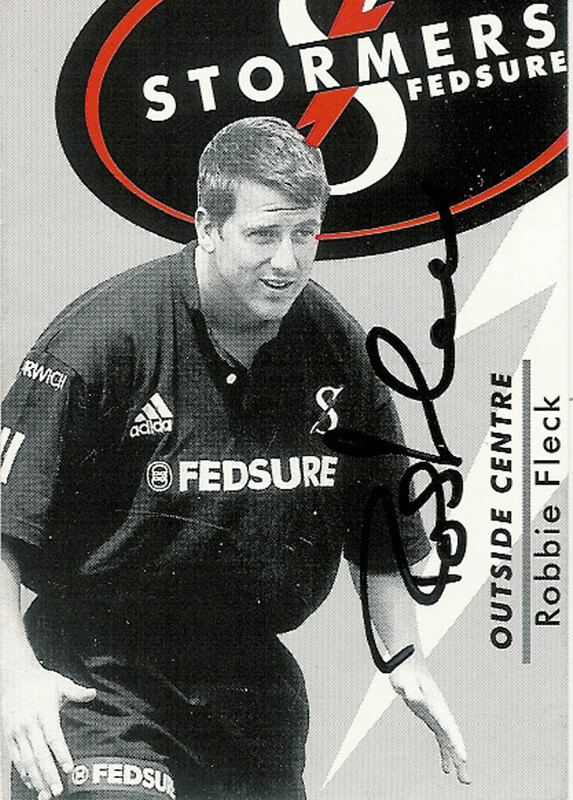 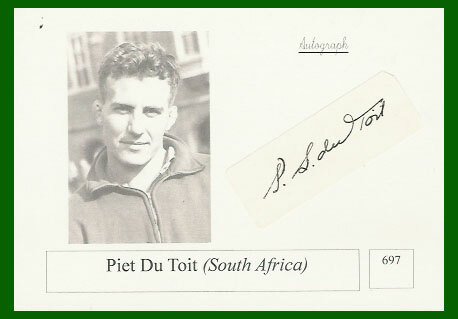 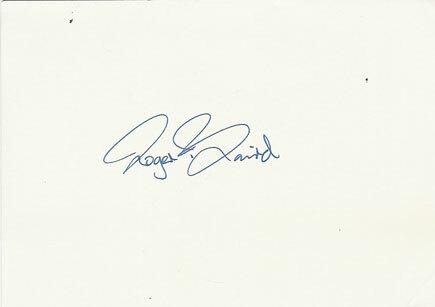 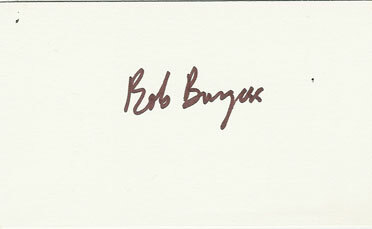 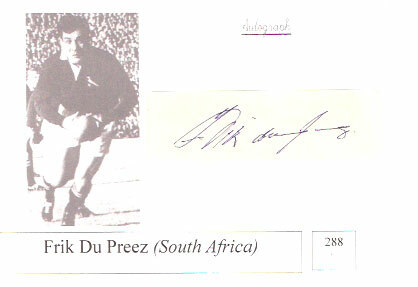 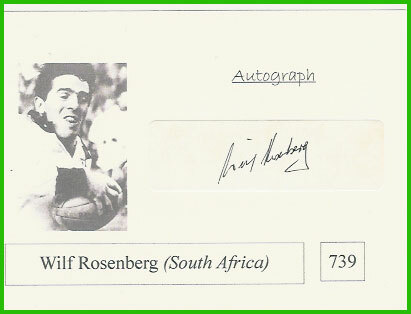 A set of 217 cards, the majority of which are autographed by the player depicted on the card. 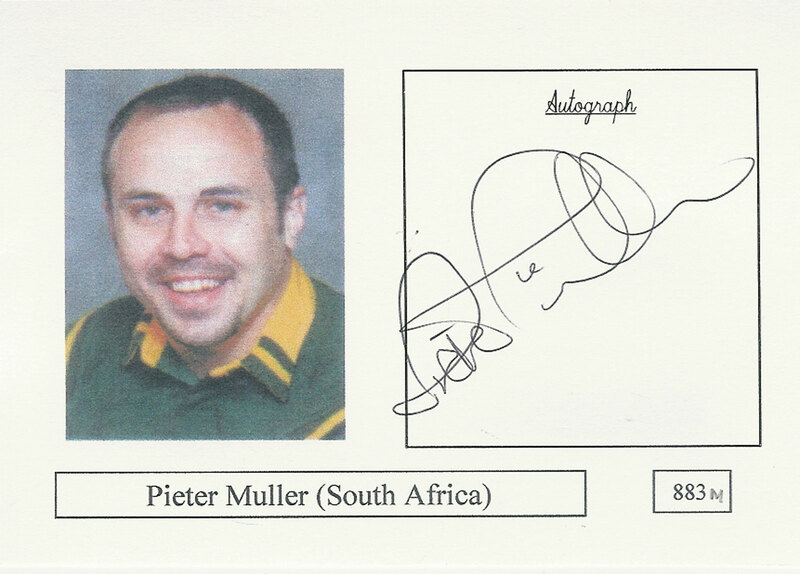 187 out of the 214 player cards have been signed, mostly on the backs. 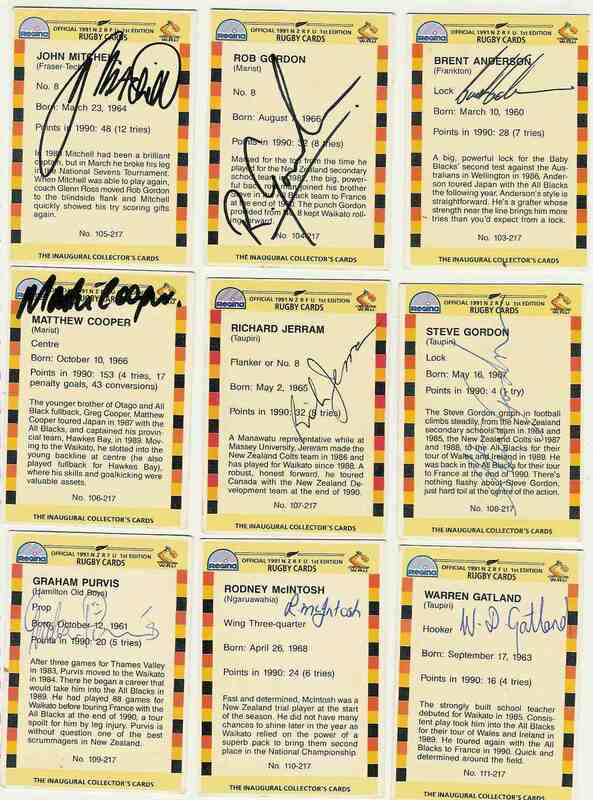 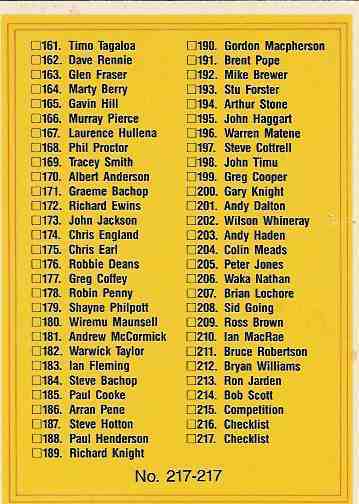 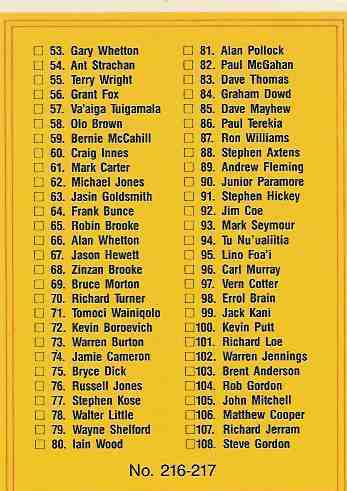 The 27 cards not signed are Nos 38, 39, 40, 67, 70, 71,86 93, 102, 112, 113, 116, 120, 122, 136, 137, 147, 160, 165, 169, 173, 180, 189, 190, 196, 205 & 213. 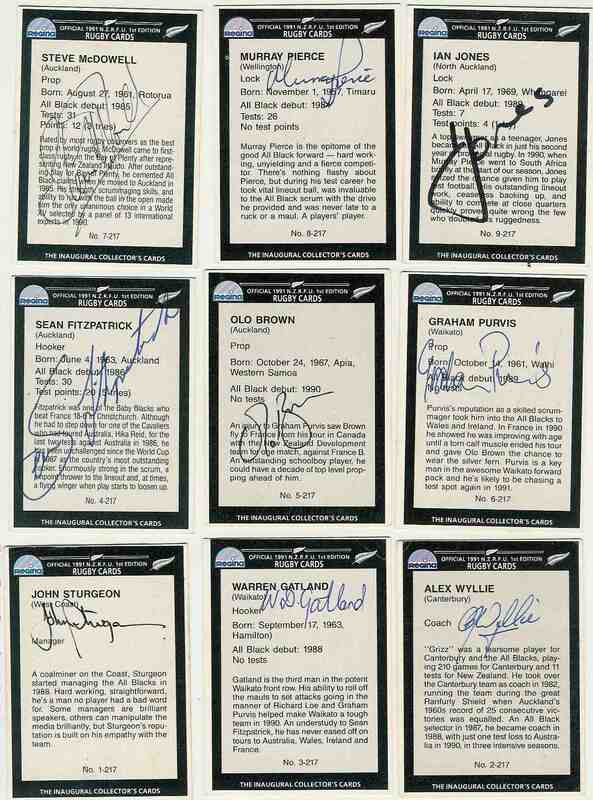 This is truly a wonderful opportunity to purchase the autographs of some of the great All Blacks, Sean Fitzpatrick, the Whetton brothers, Michael Jones, Zinzan Brooke, Bob Scott, Andy Dalton, Wilson Whineray, Colin Meads, Waka Nathan, Brian Lochore + many many more All Blacks and NZ provincial players. 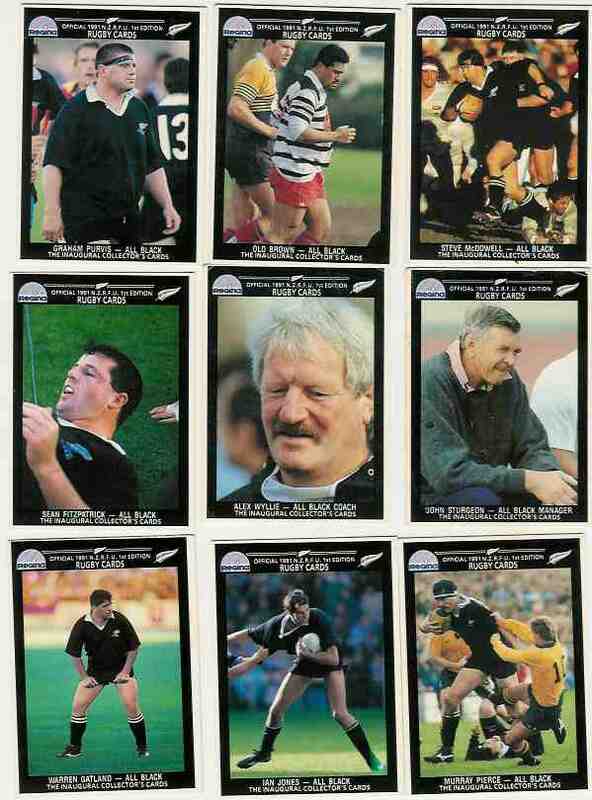 A set of 80 stickers with 5 pocket size hardback booklets. 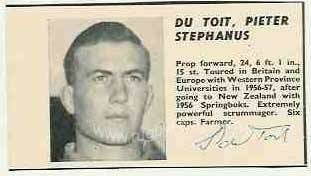 Each Super 12 booklet player has a space underneath his sticker for an autograph. 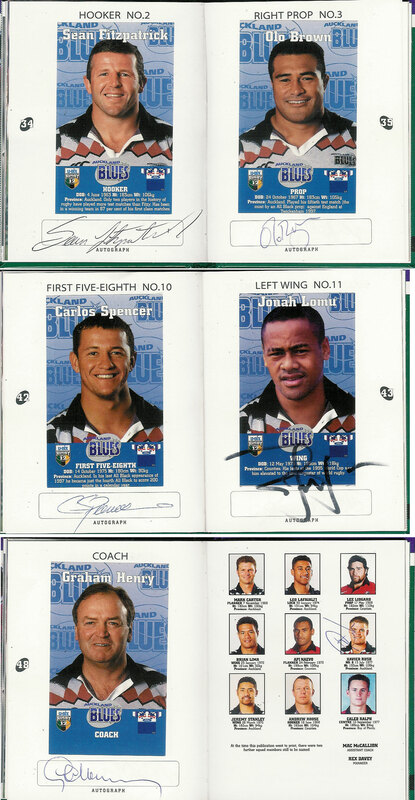 AUTOGRAPHED SET - A full set of stickers applied to handbooks. 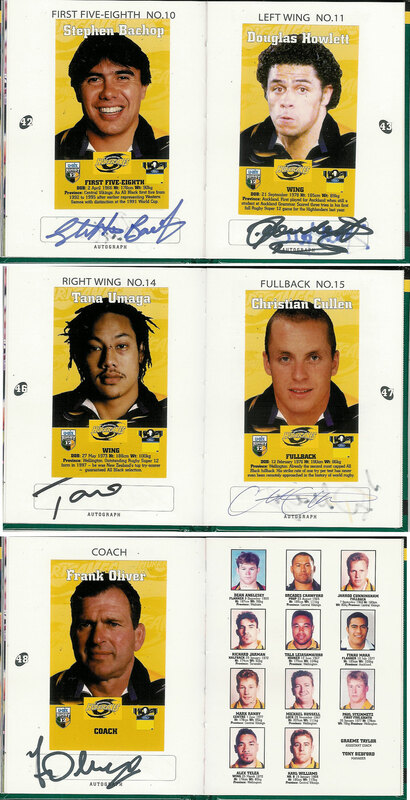 The books have been autographed by almost all of the 80 players pictured on the stickers plus a further 18 players from the teams have added their autographs to individual pictures (12) and the front inside covers (6). 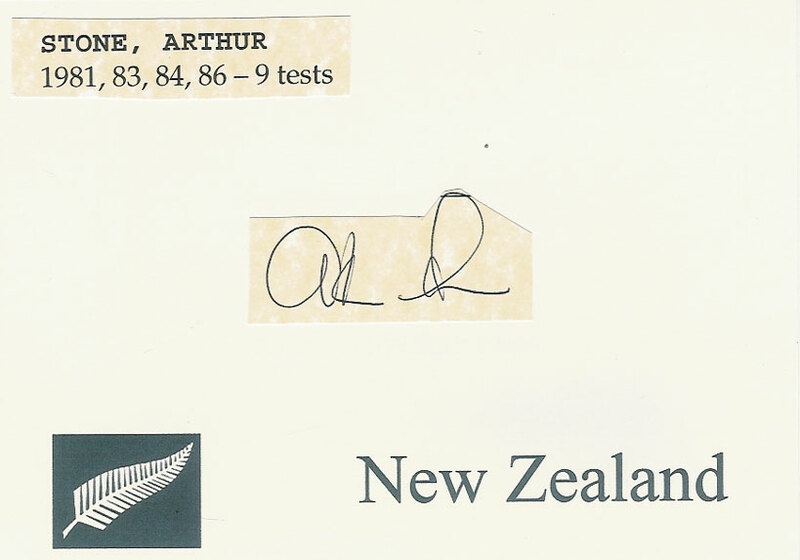 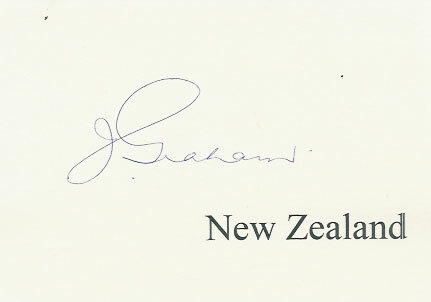 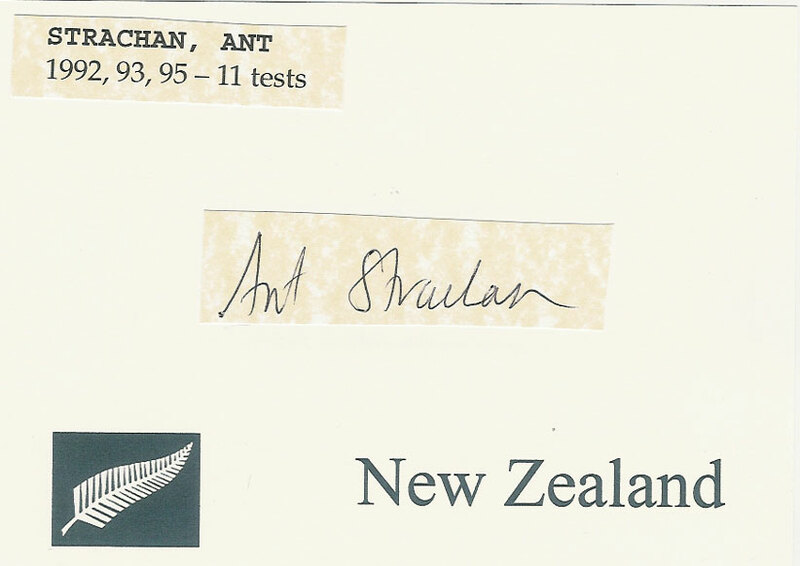 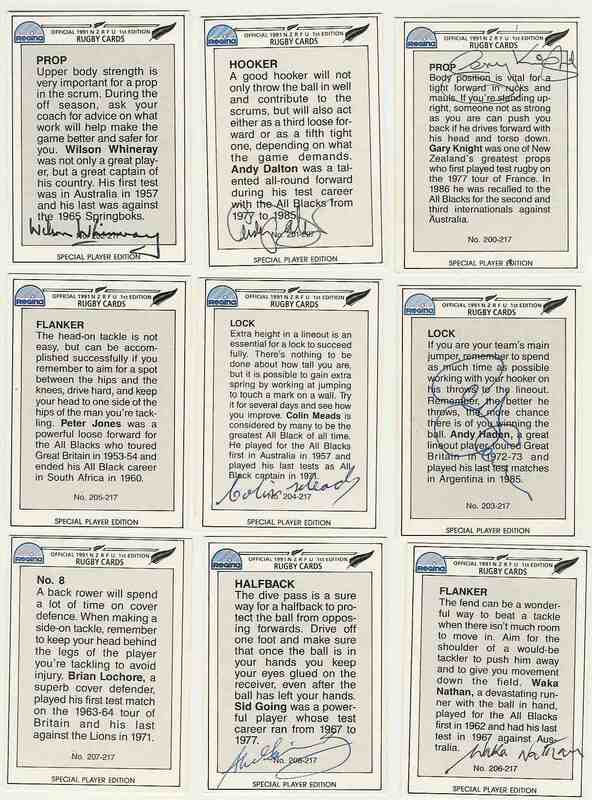 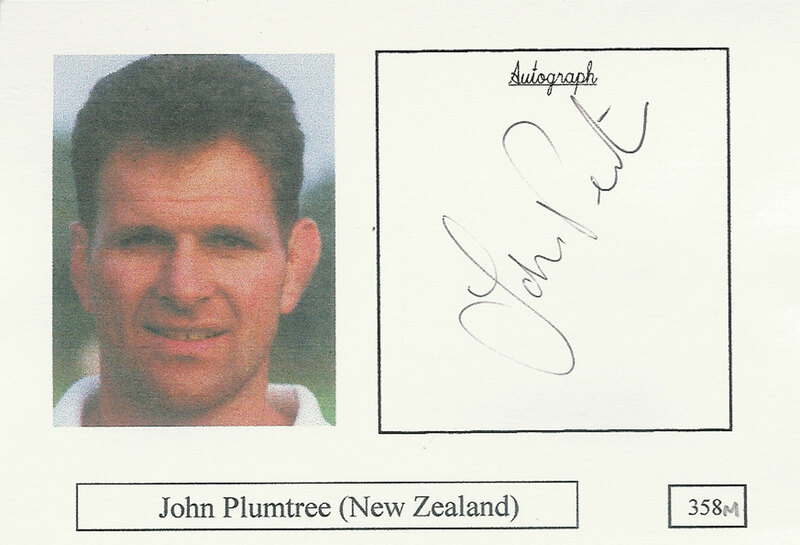 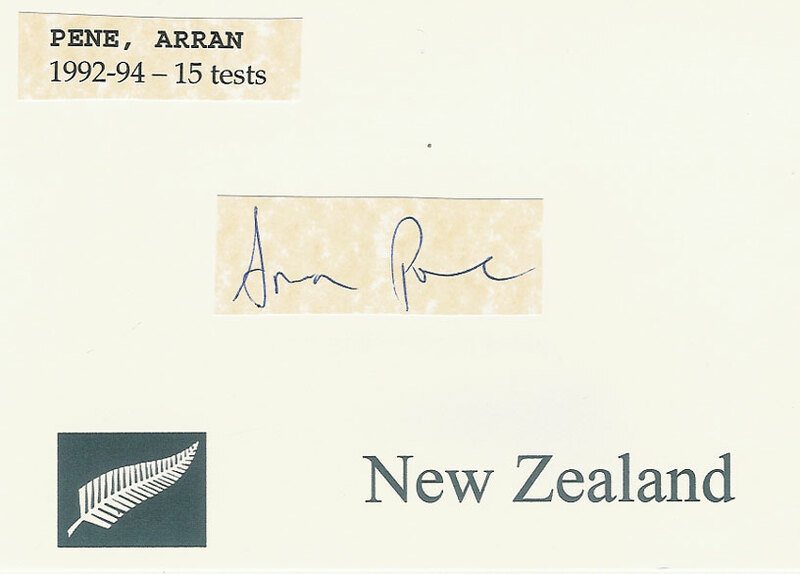 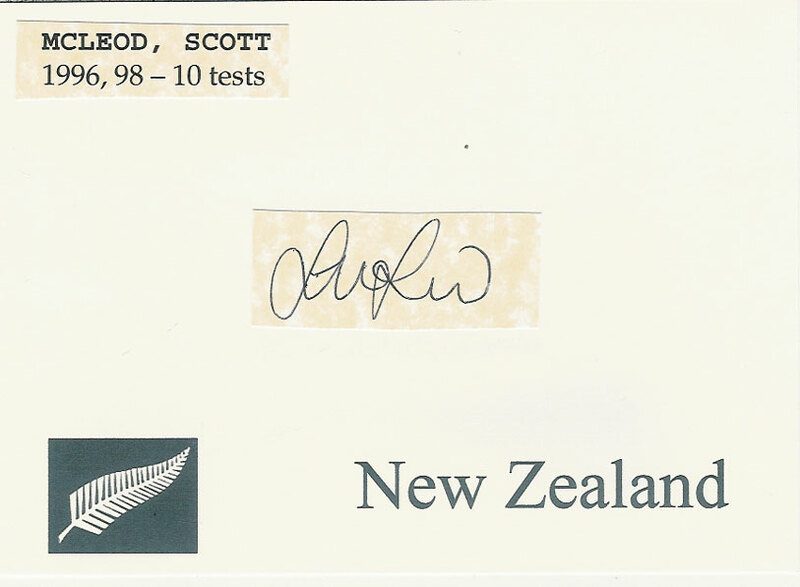 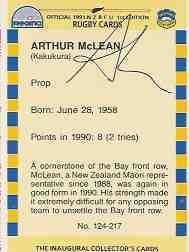 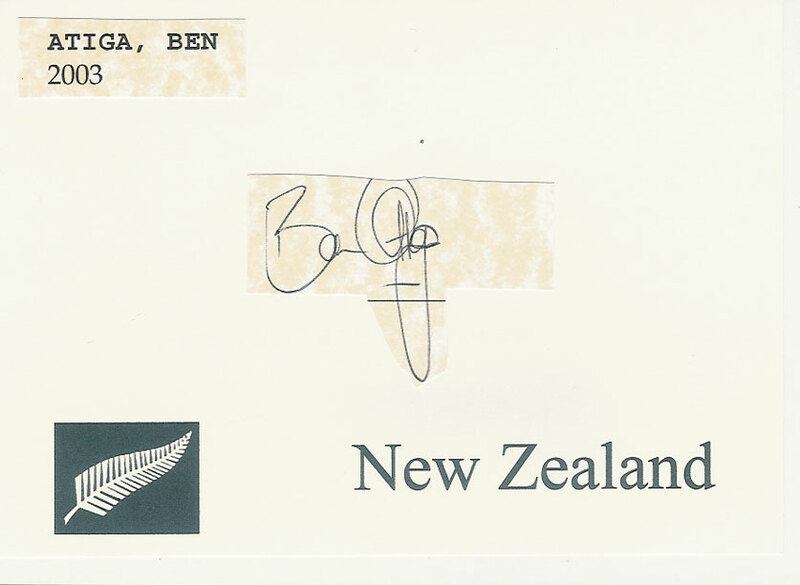 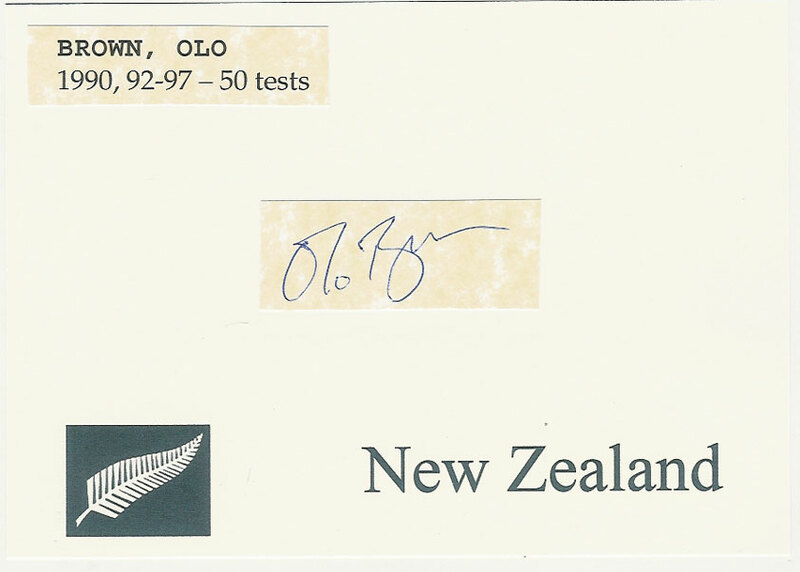 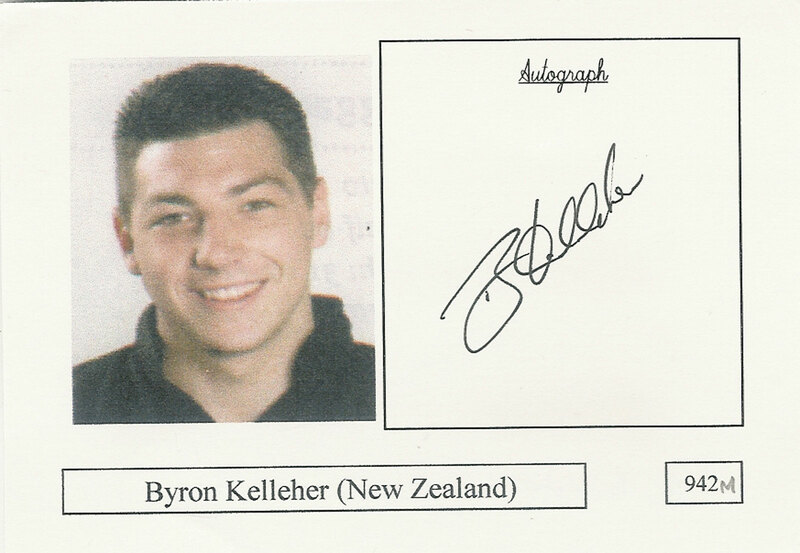 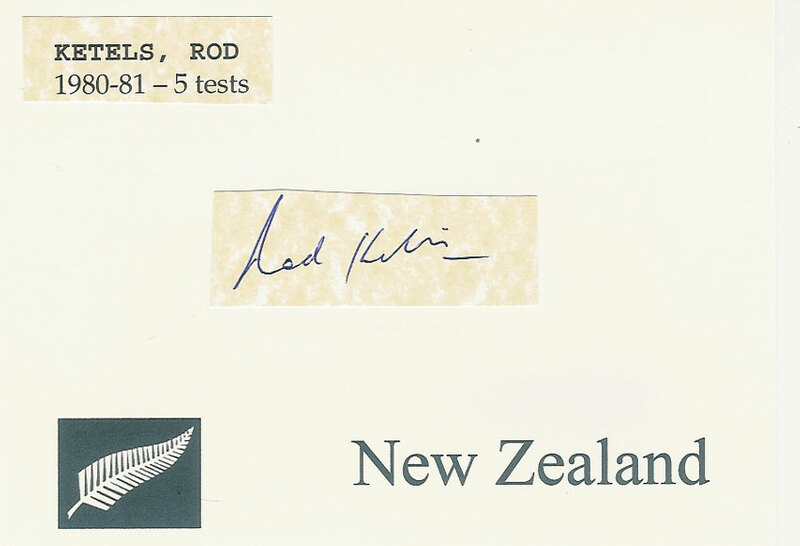 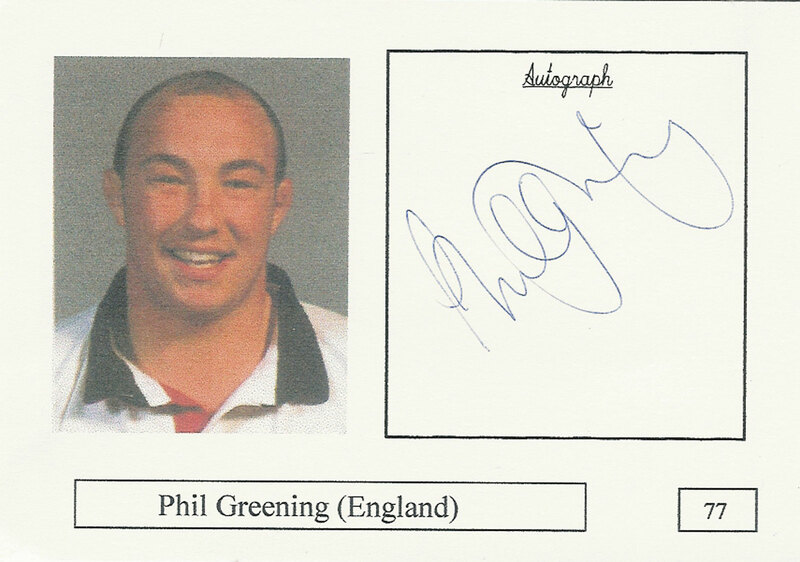 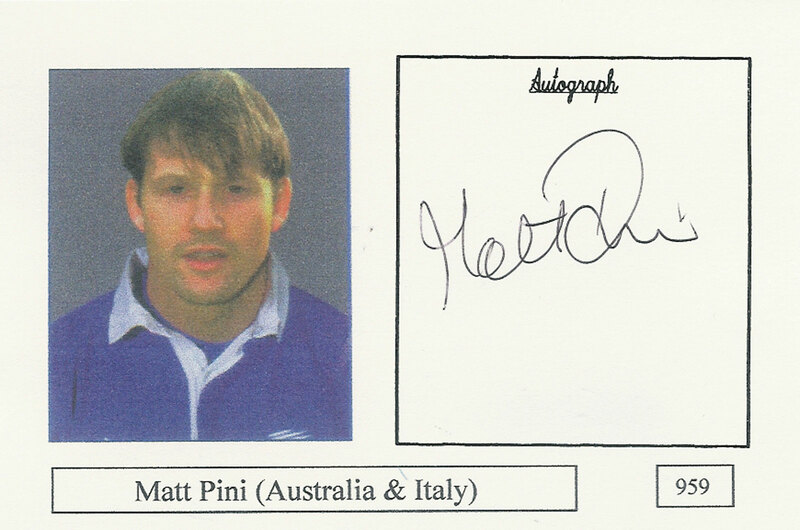 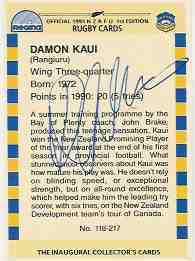 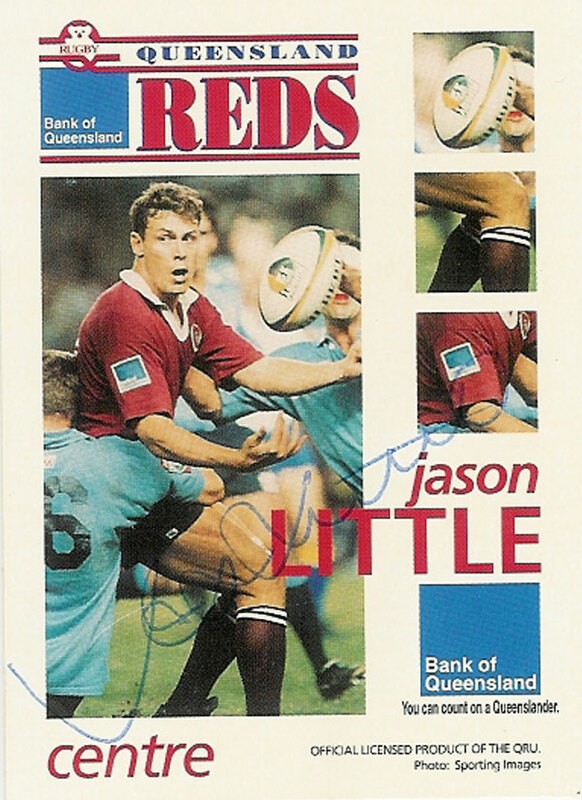 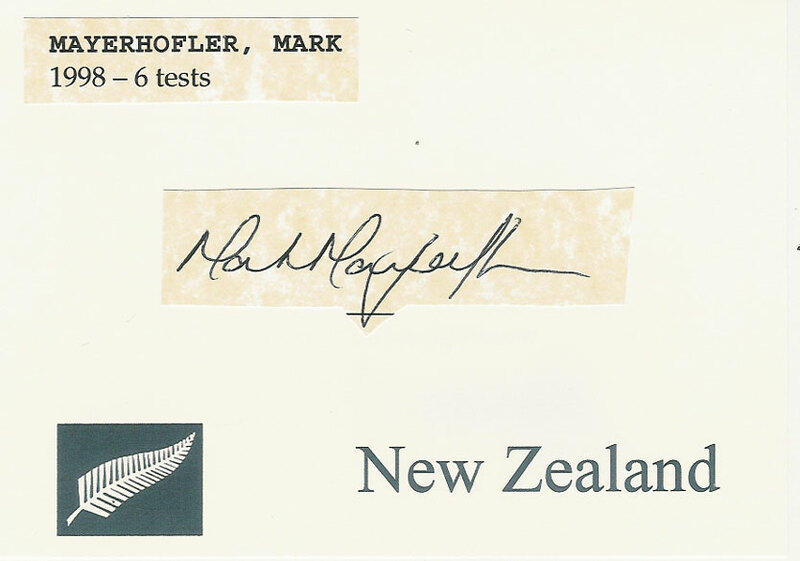 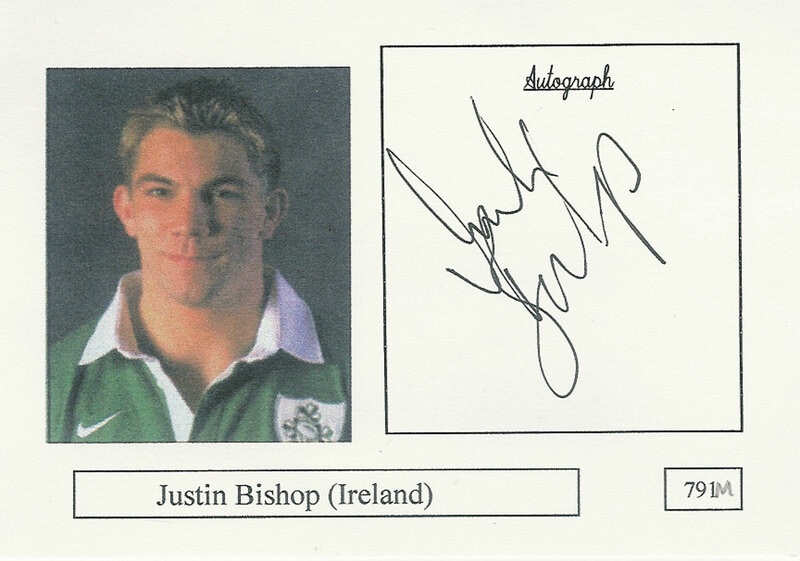 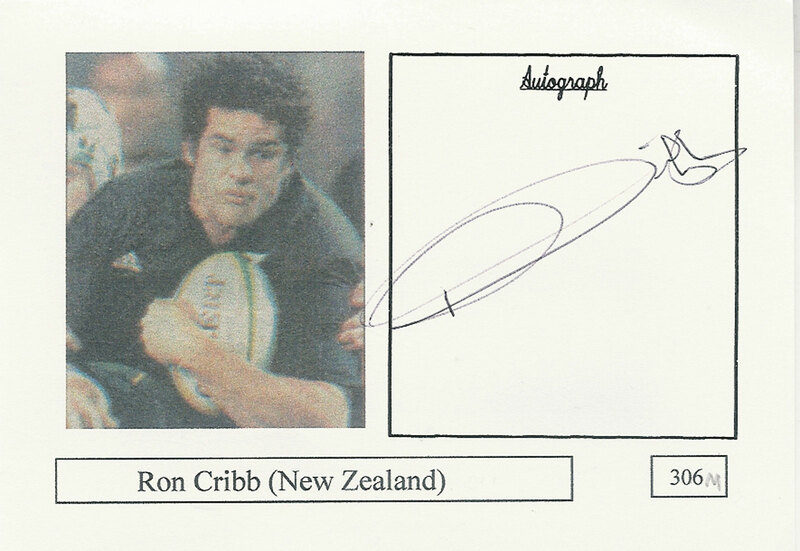 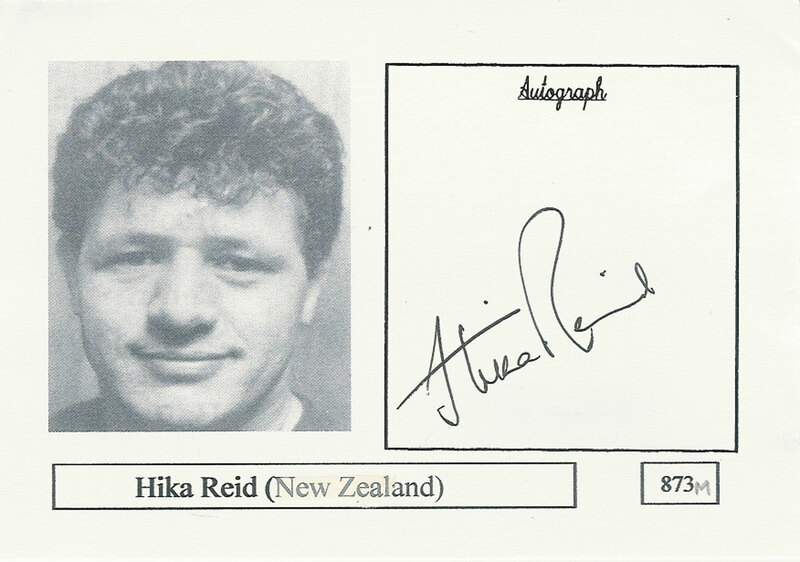 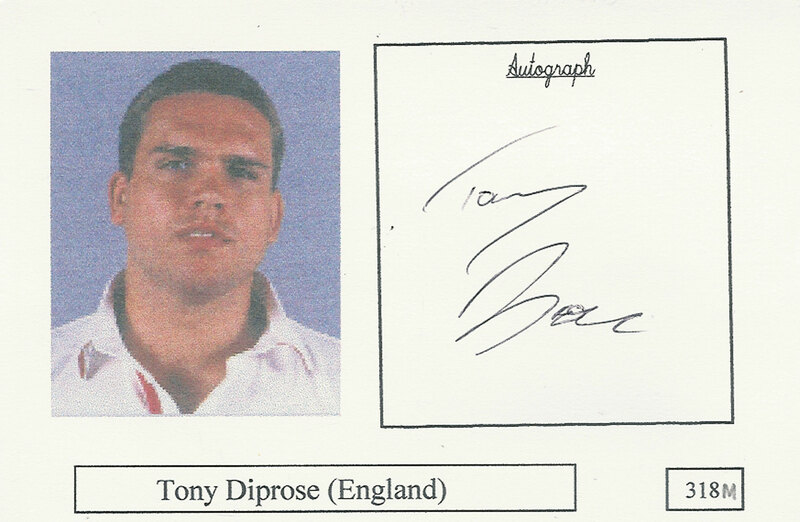 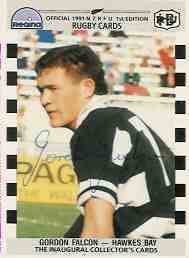 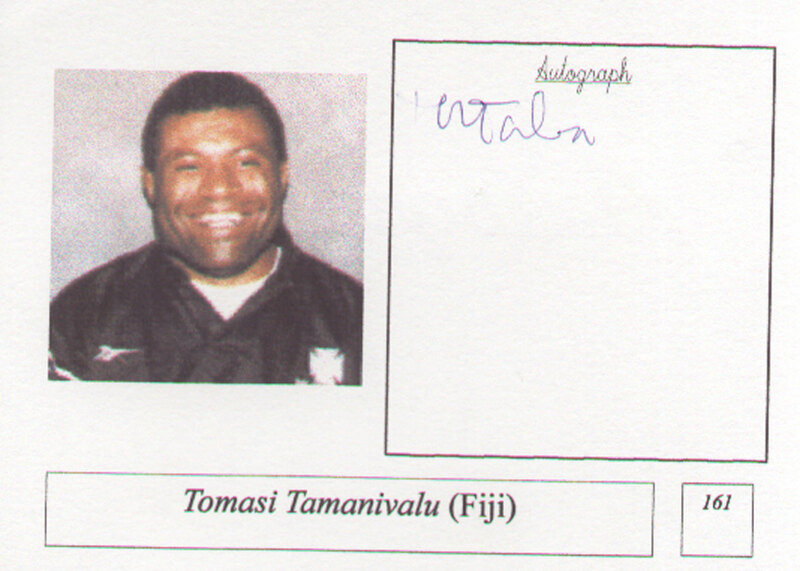 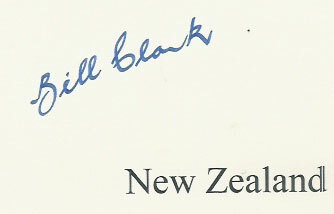 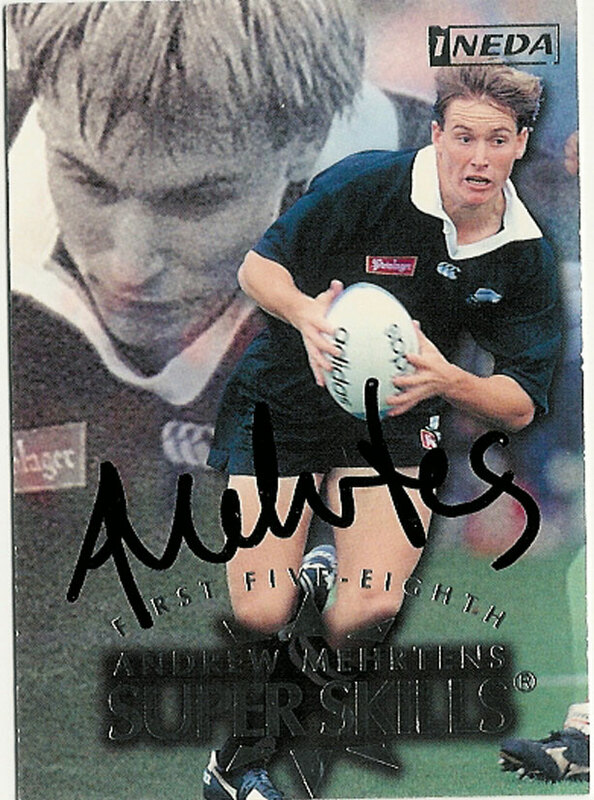 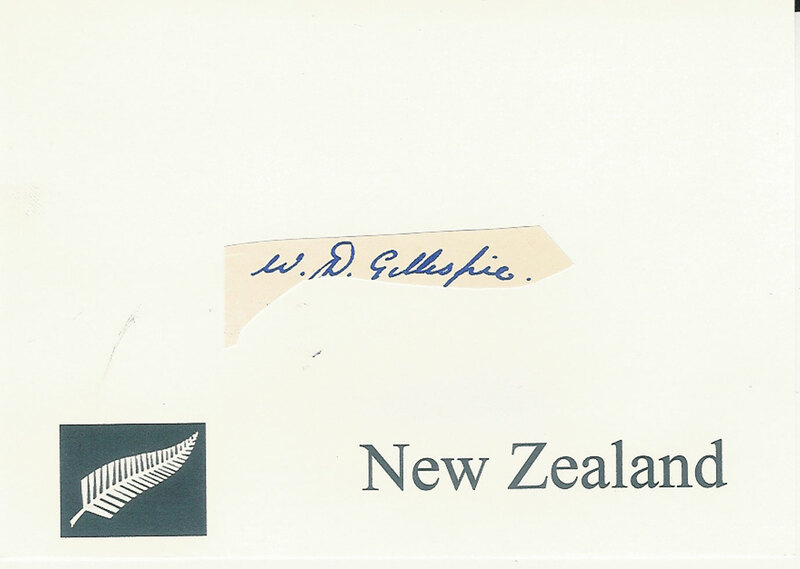 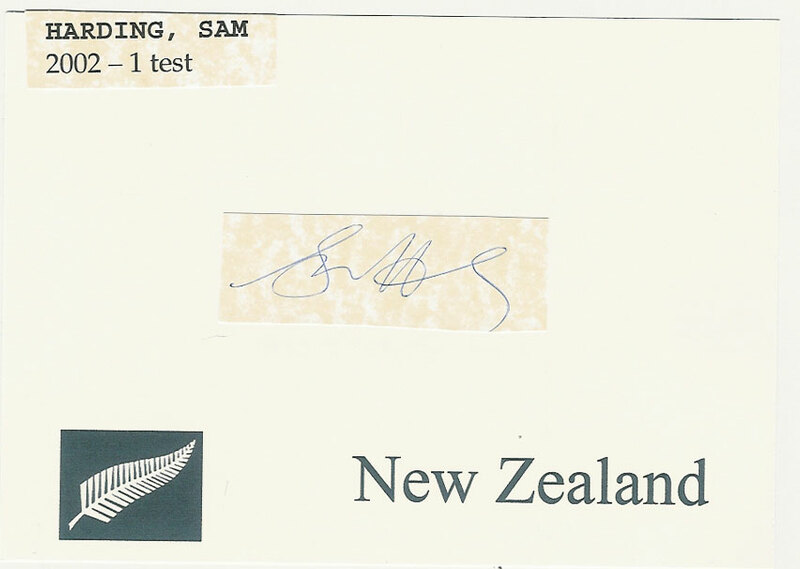 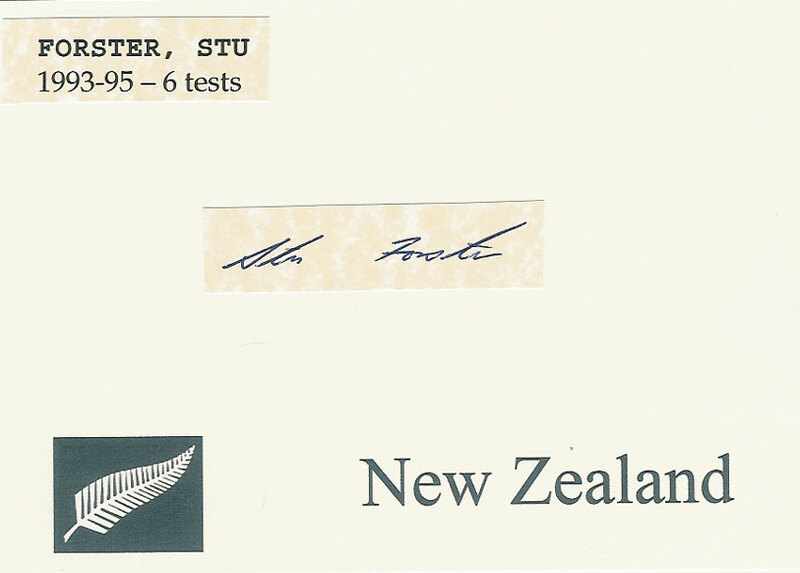 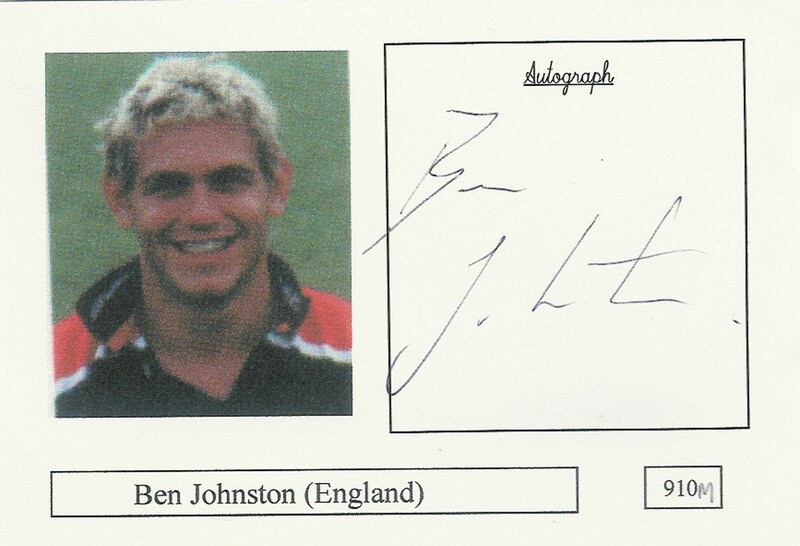 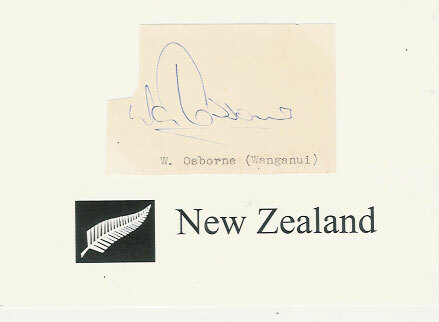 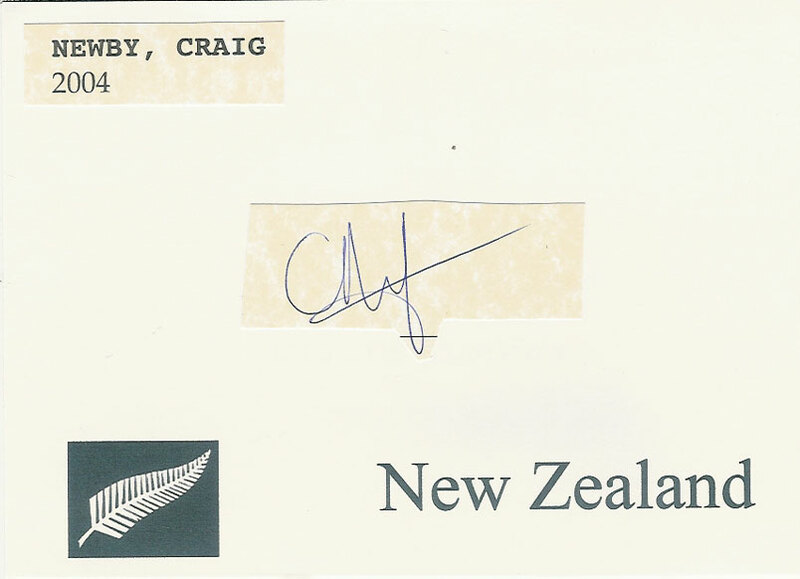 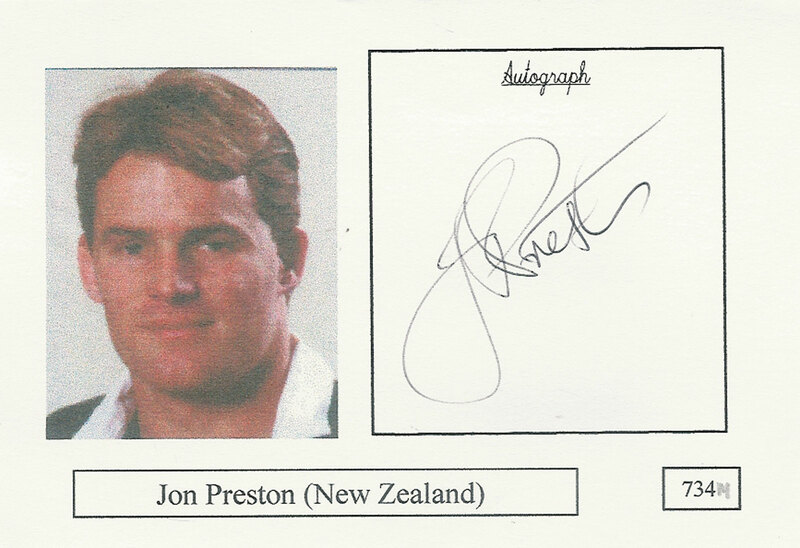 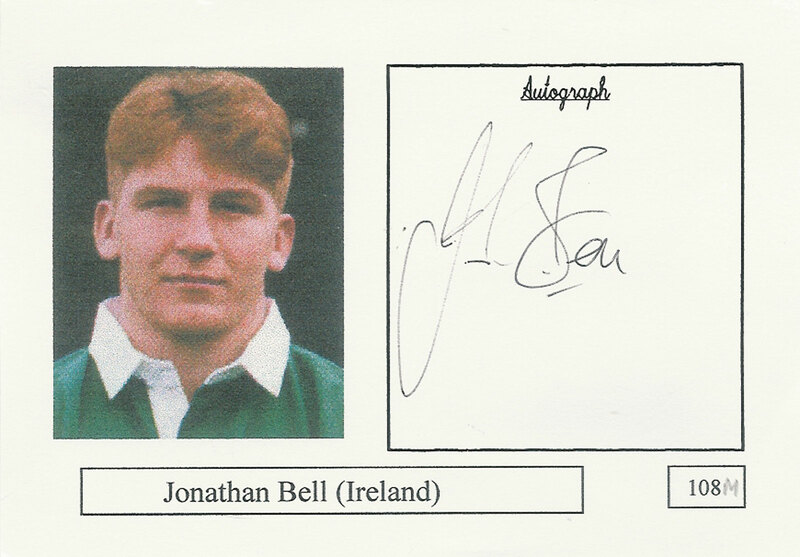 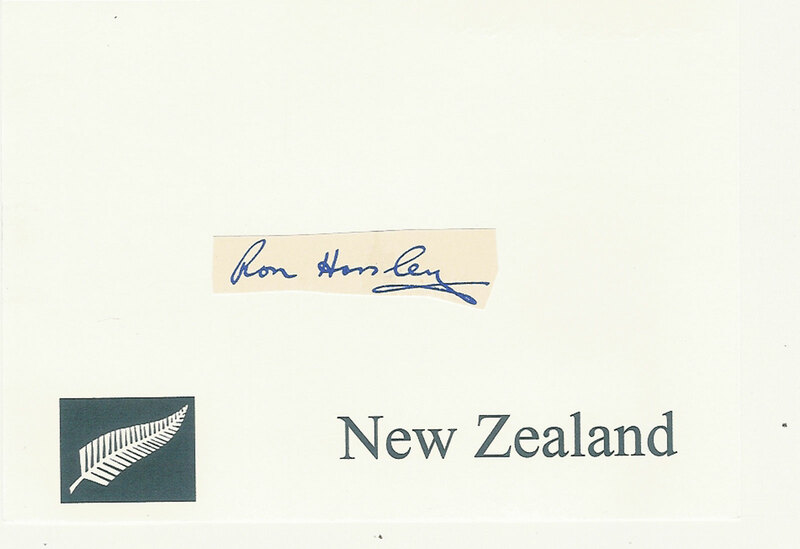 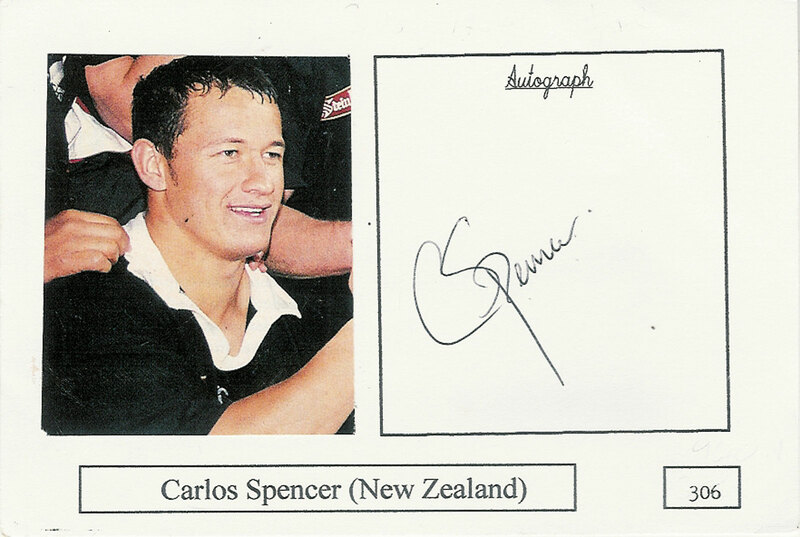 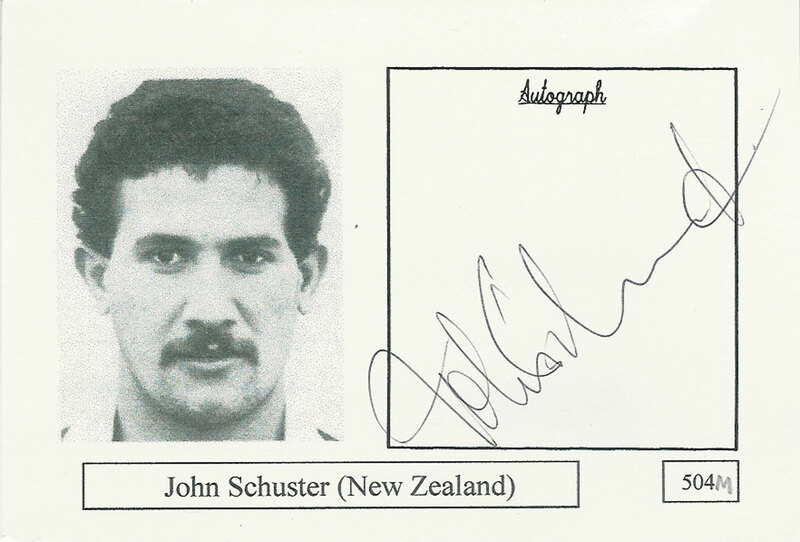 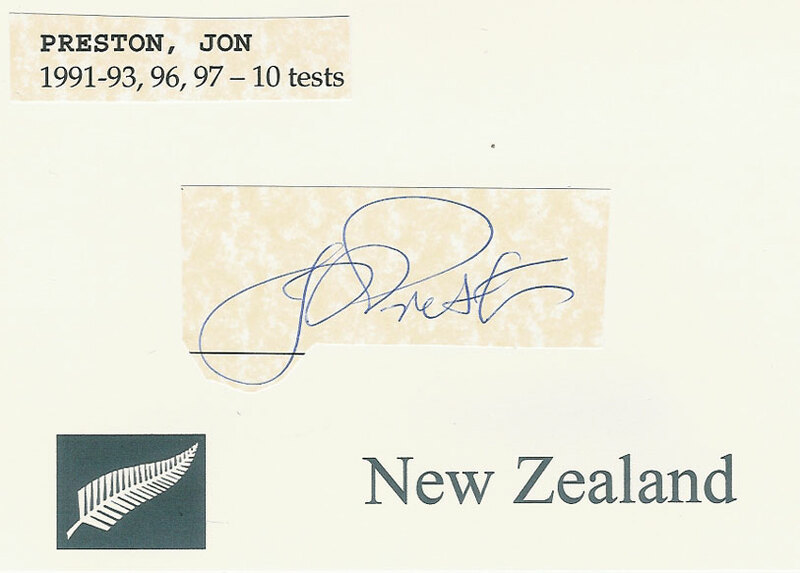 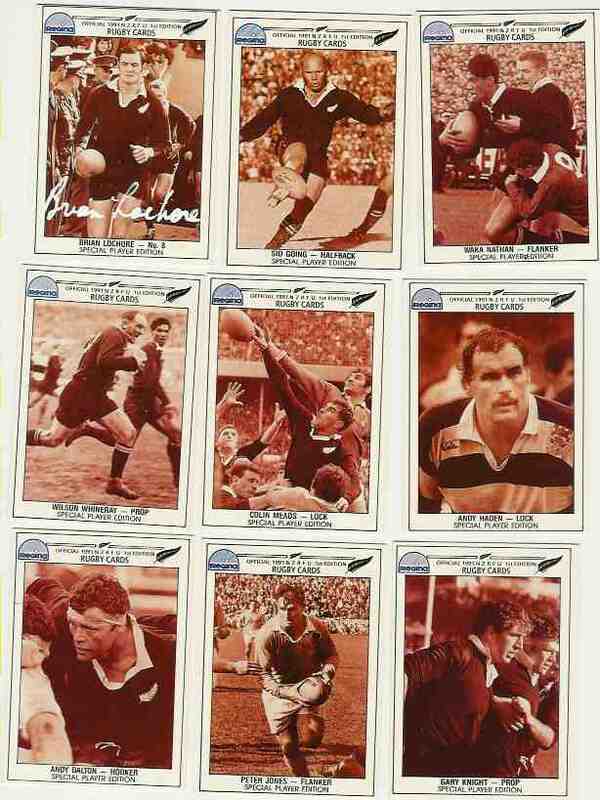 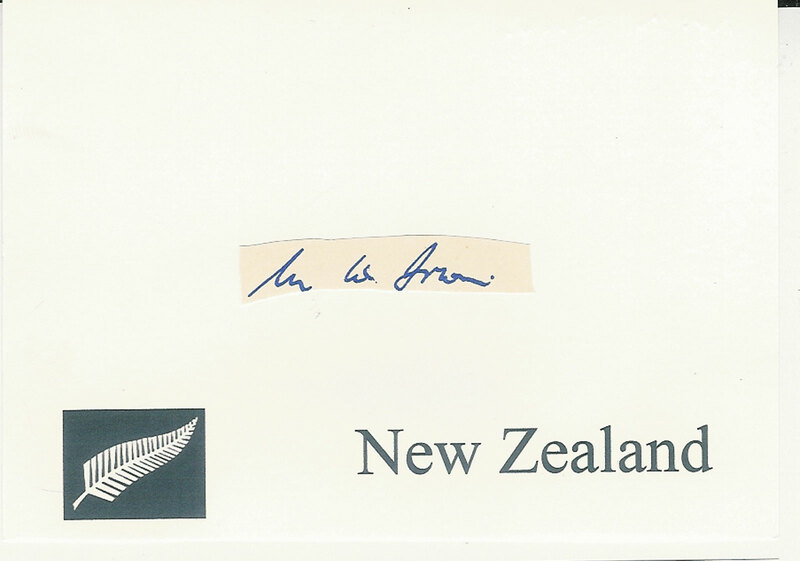 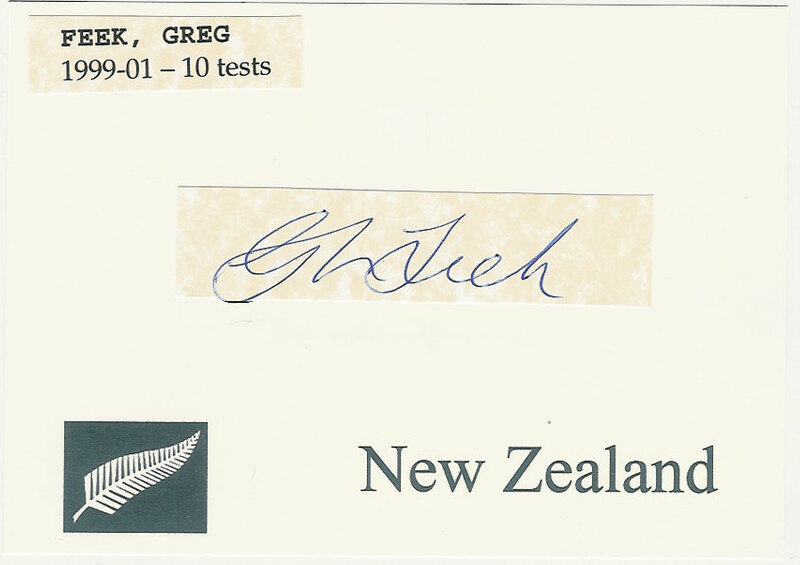 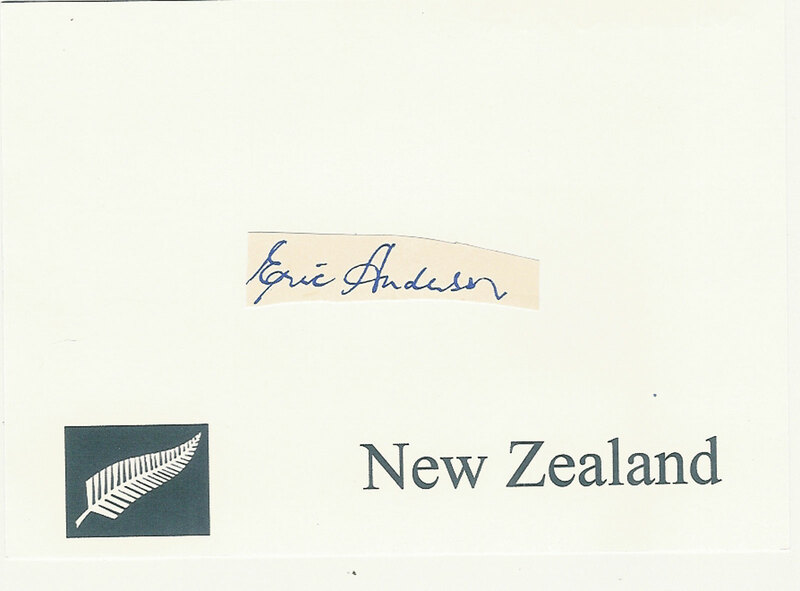 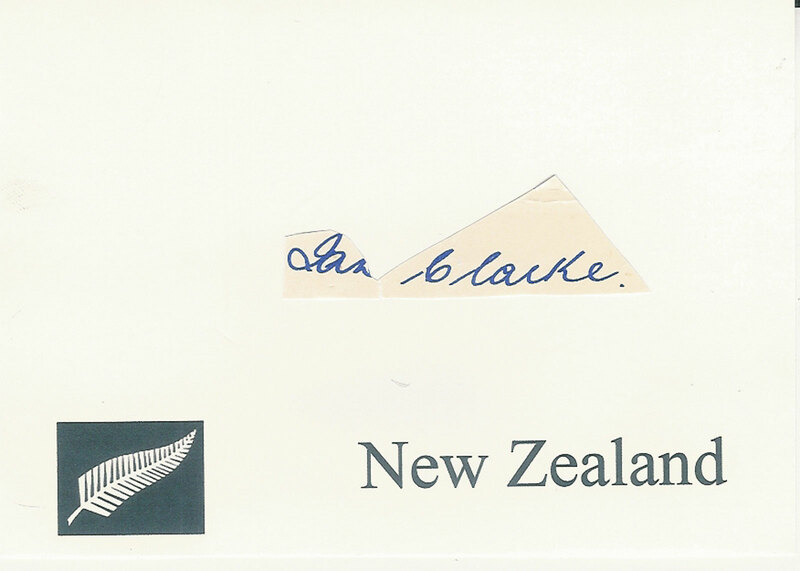 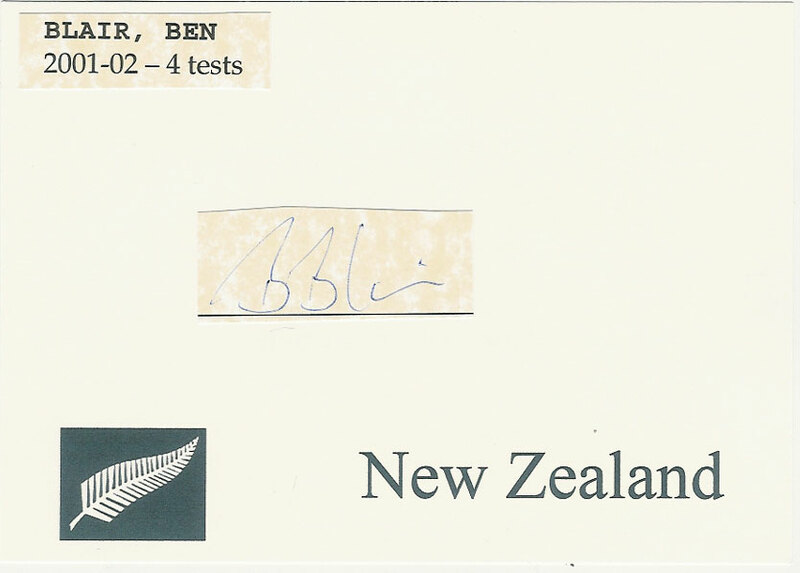 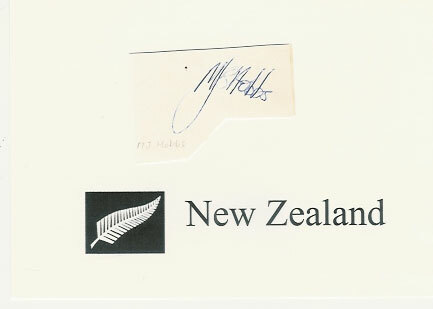 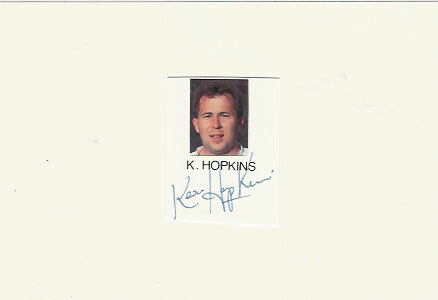 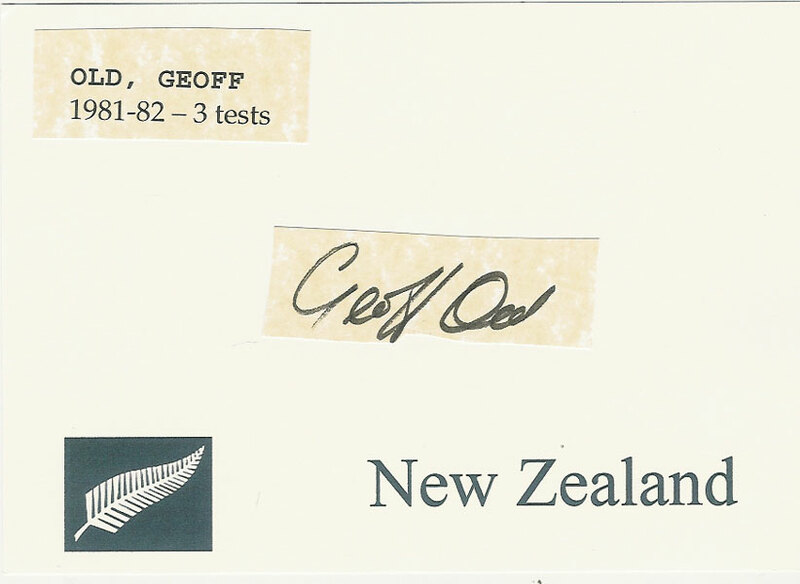 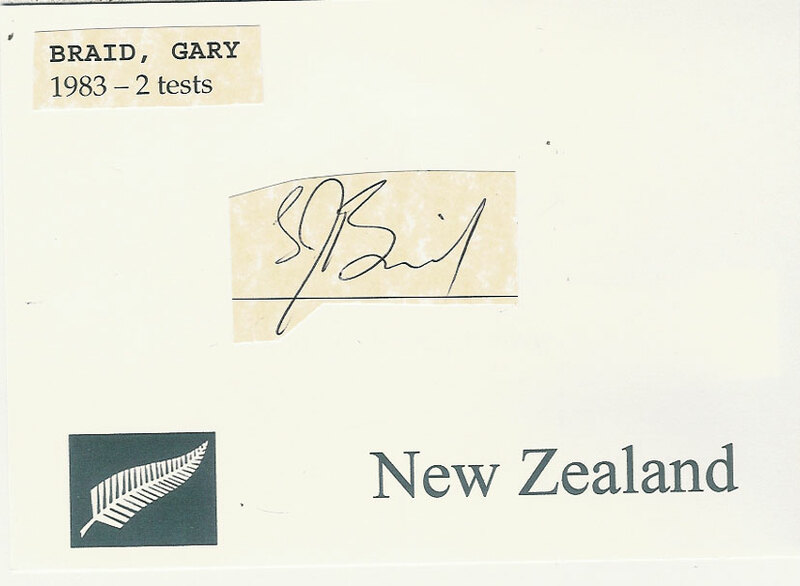 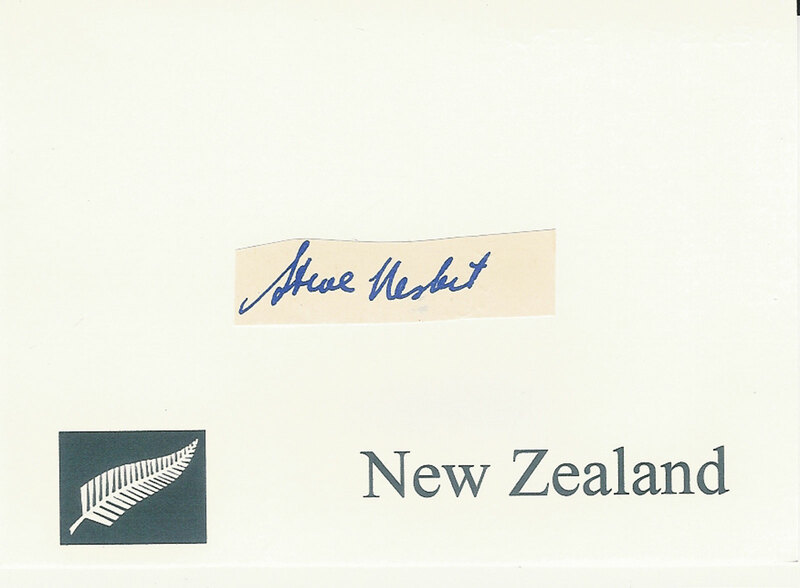 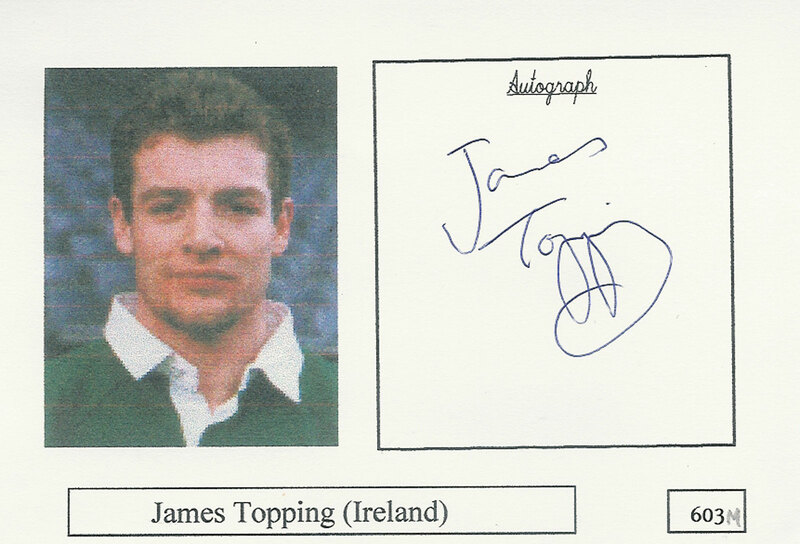 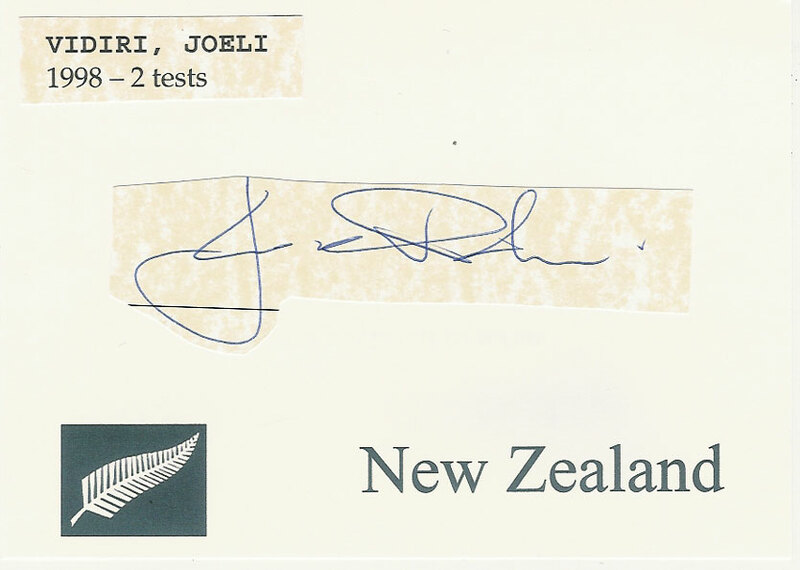 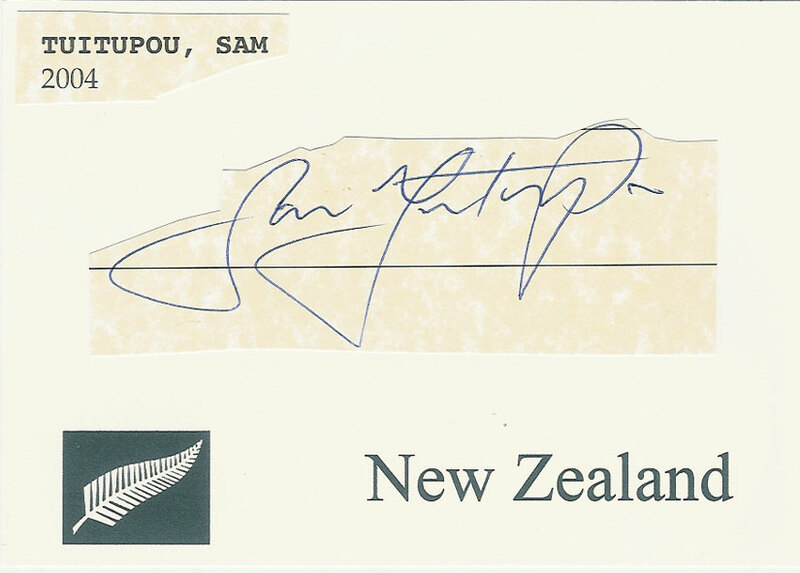 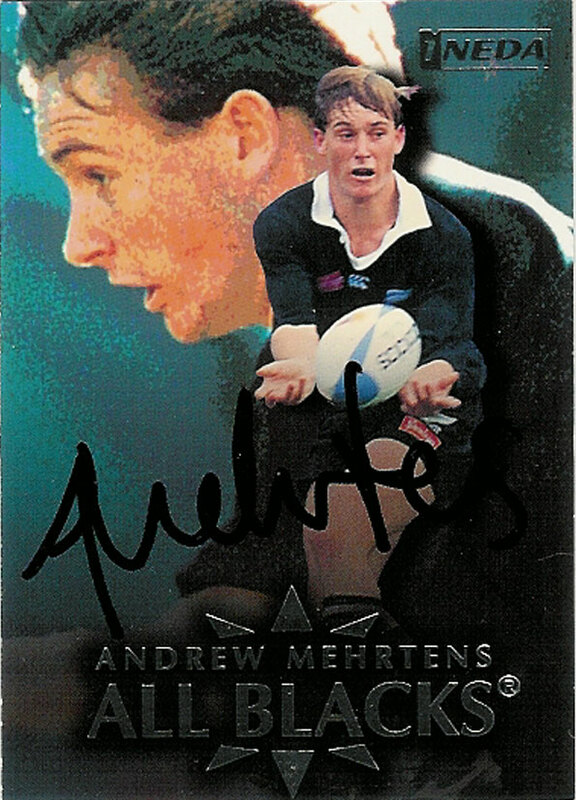 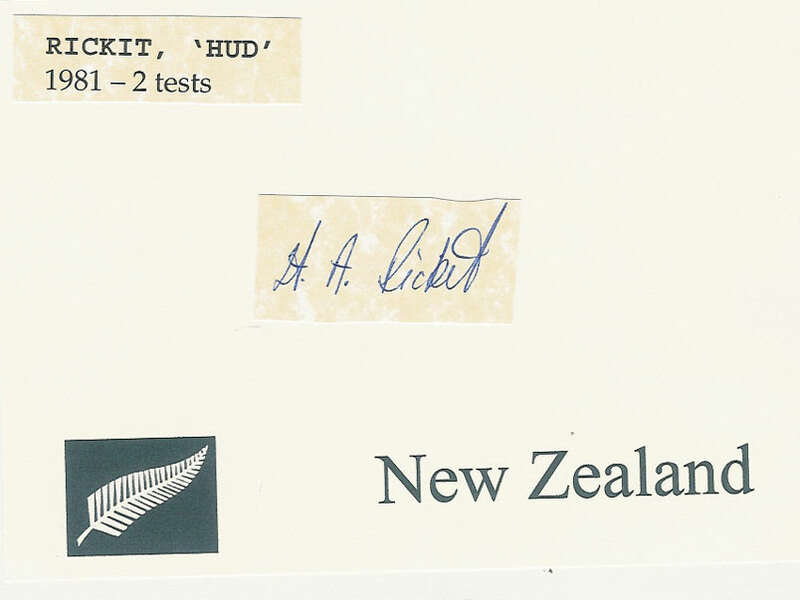 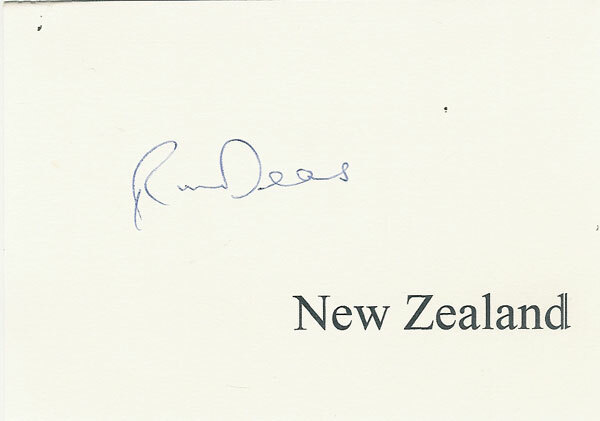 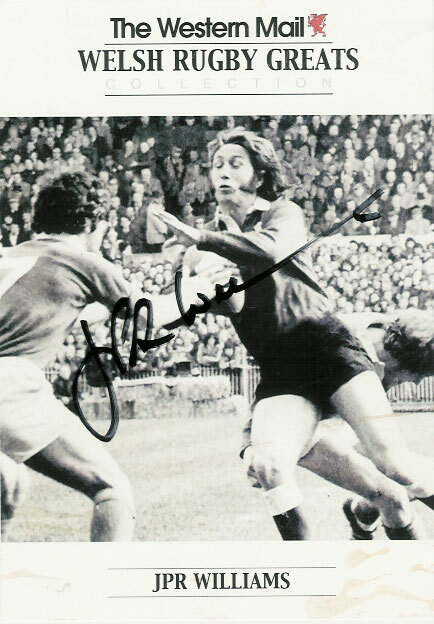 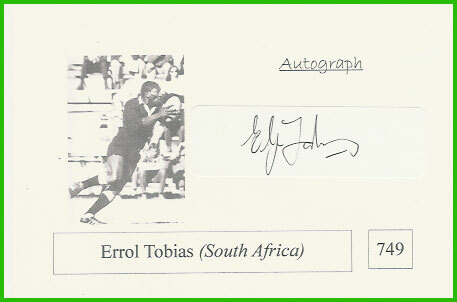 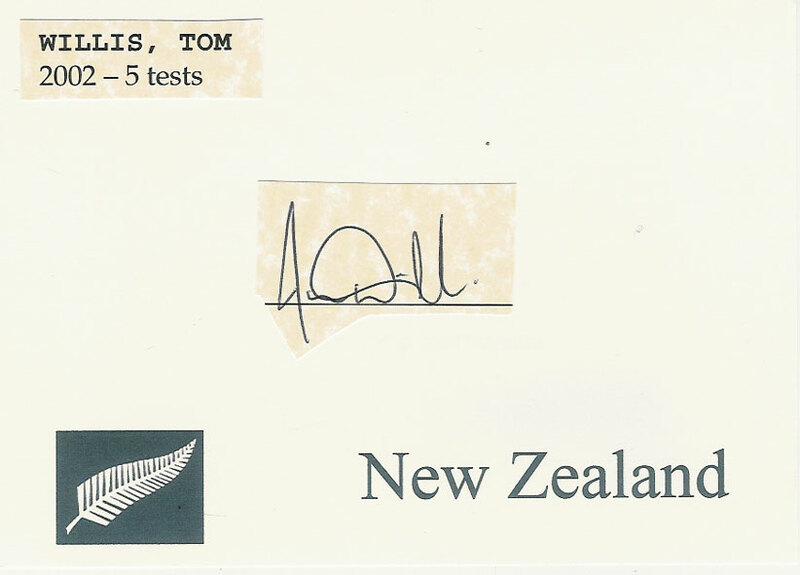 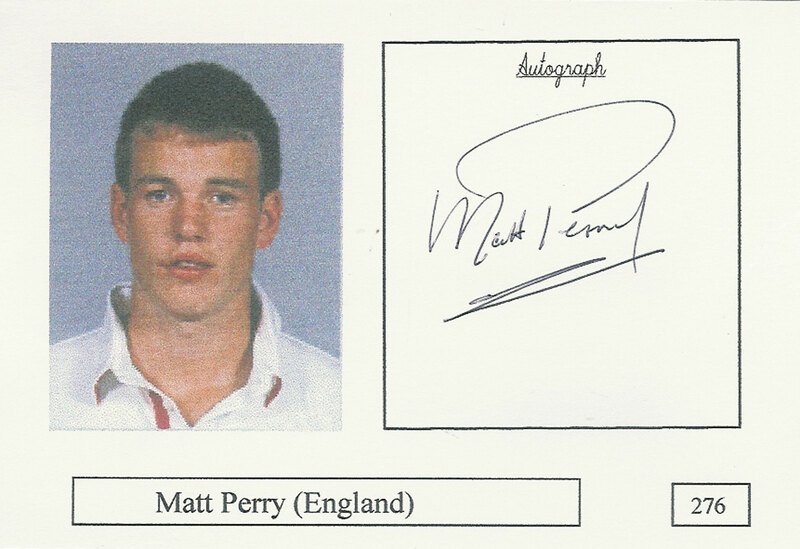 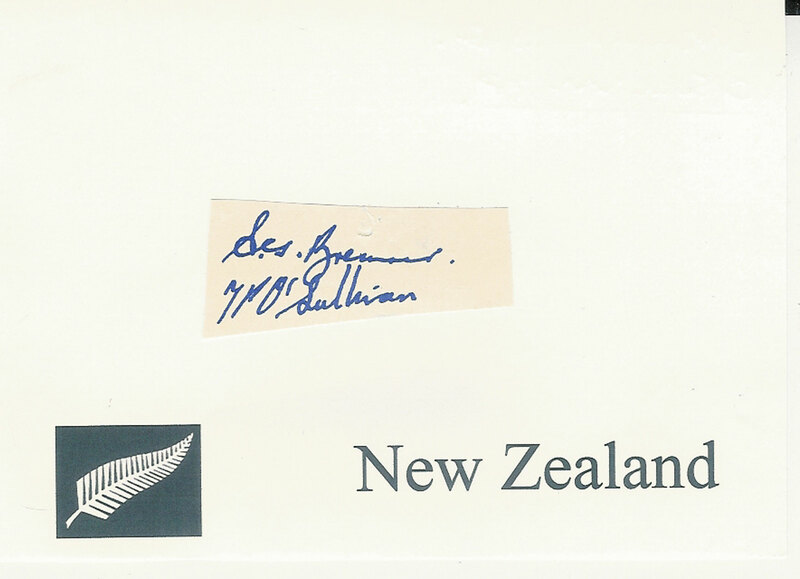 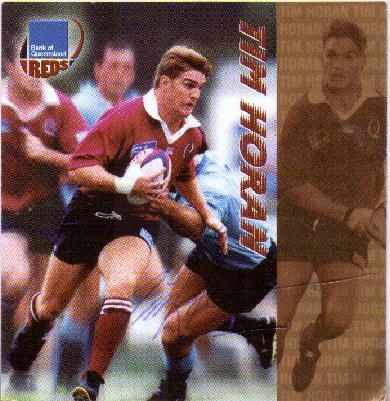 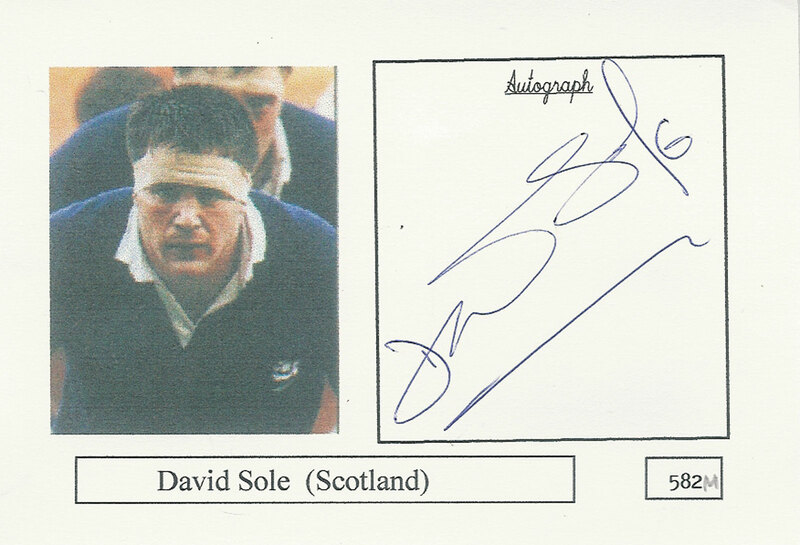 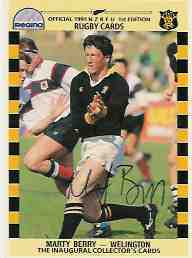 The autographs include the late Aaron Hopa of Waikato and Jonah Lomu of the Auckland Blues. 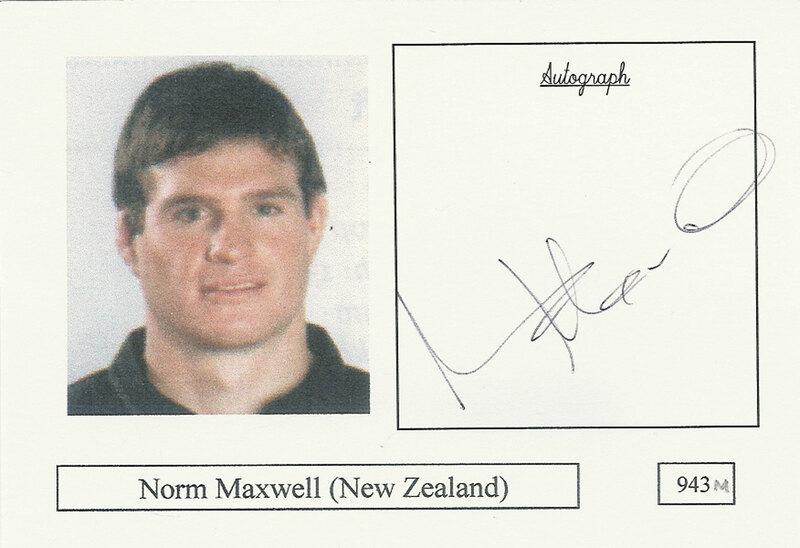 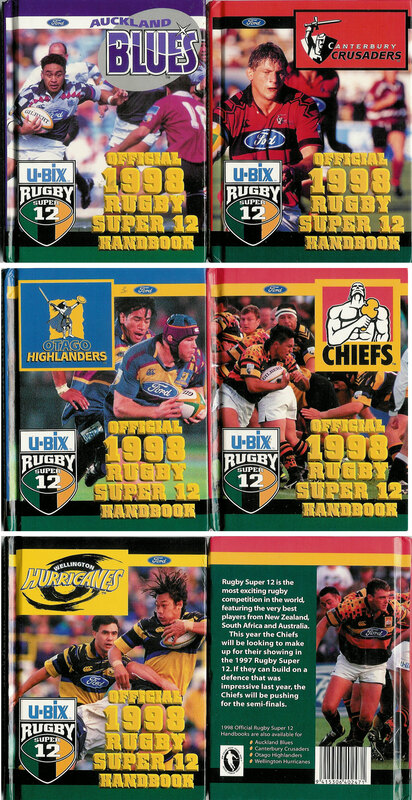 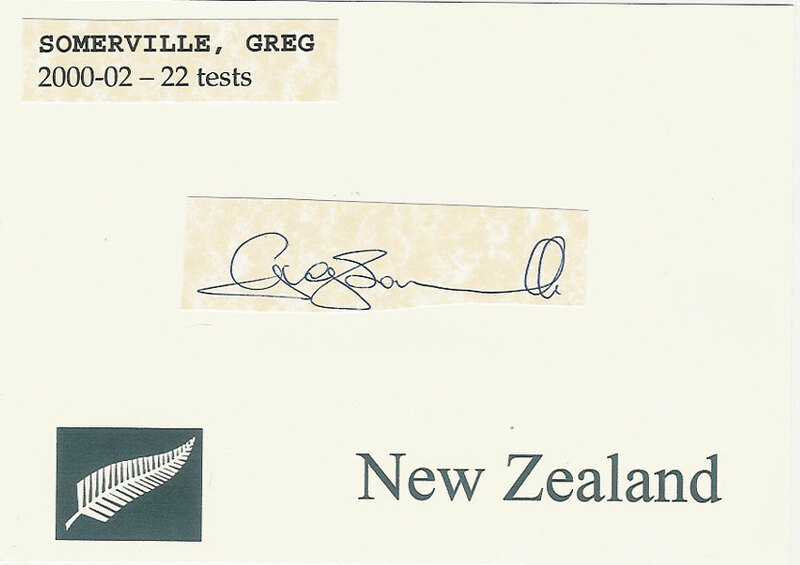 The only signature missing from the set is Otago Highlander, Manasa Bari who didn't play in the Super 12 for the 1998 season due to injury, at the time he was living in Fiji. 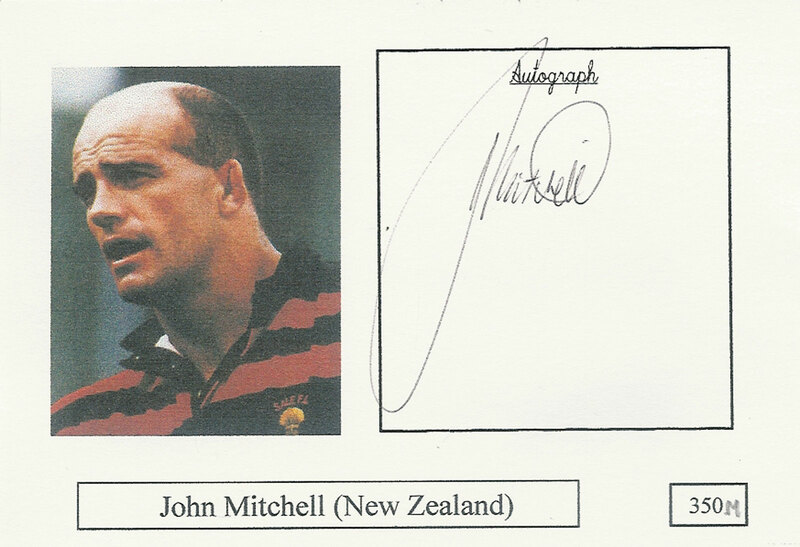 Please see the illustrations and below for more information on each booklet. 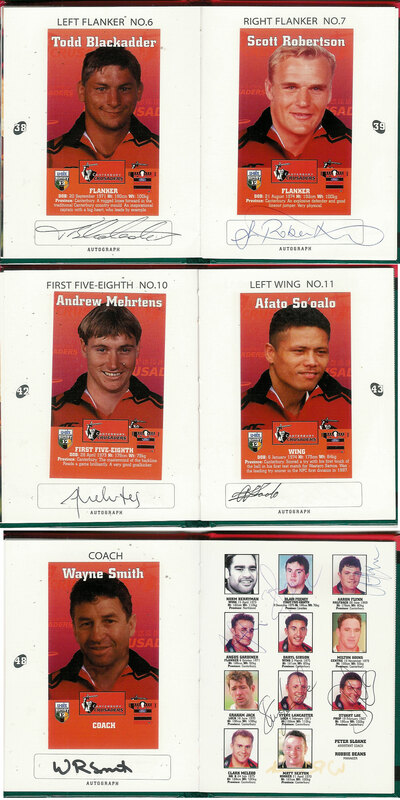 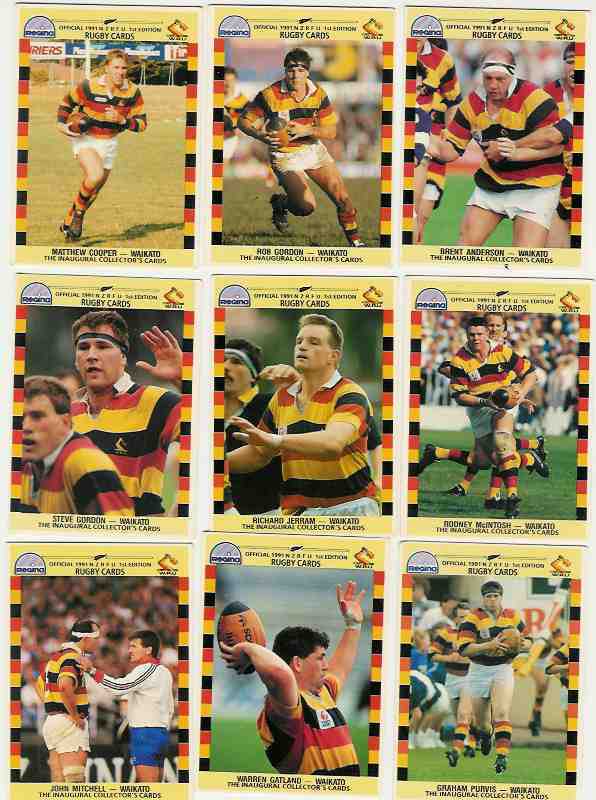 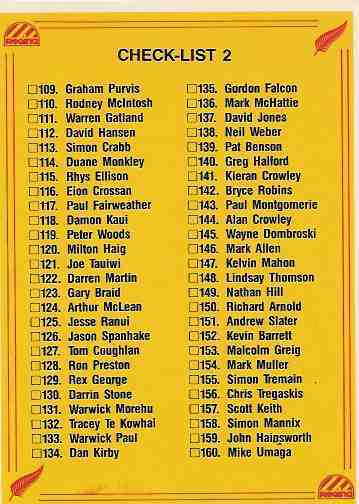 WAIKATO CHIEFS - All 20 sticker pages are signed by the respective players including Ian Jones, Aaron Hopa, Glen Osborne & Walter Little. 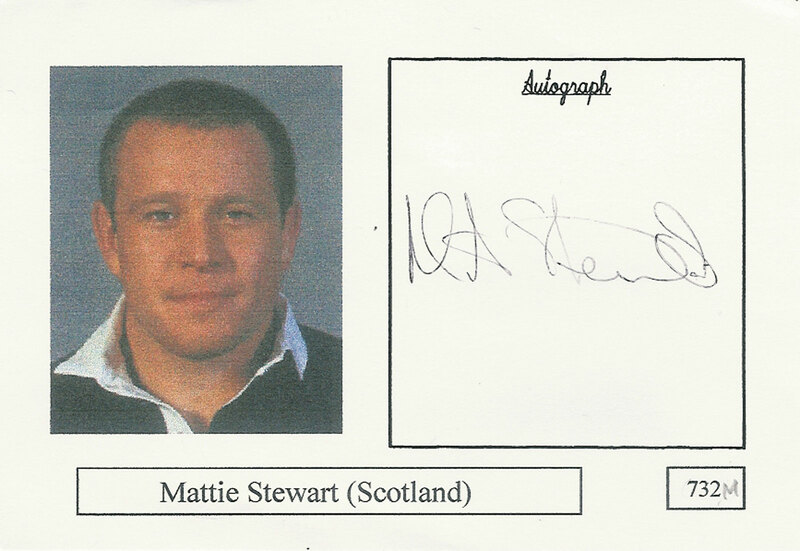 The are a further 6 autographs to the first two inside cover pages and Matthew Cooper has signed the additional players section. 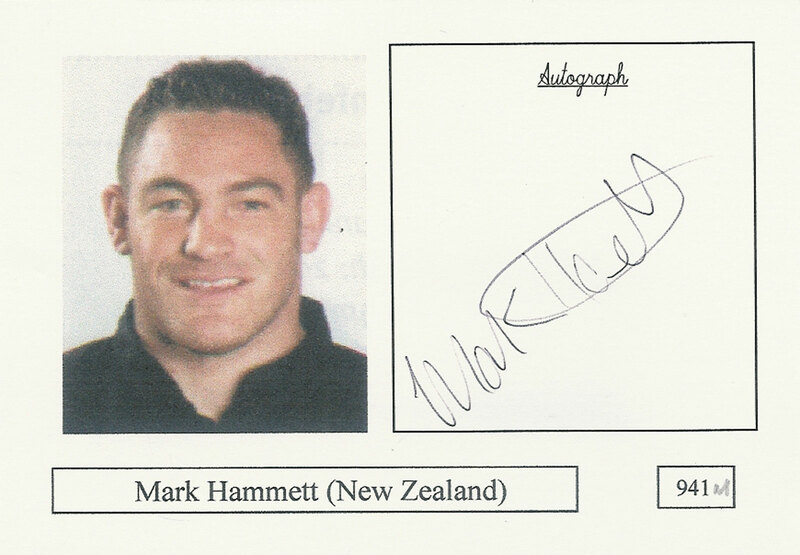 WELLINGTON HURRICANES - All 20 sticker pages are signed by the respective players including 'Bull' Allen, Norm Hewitt, Jon Preston, Stephen Bachop, Dougie Howlett, Alama Ieremia, Tana Umaga and Christian Cullen. 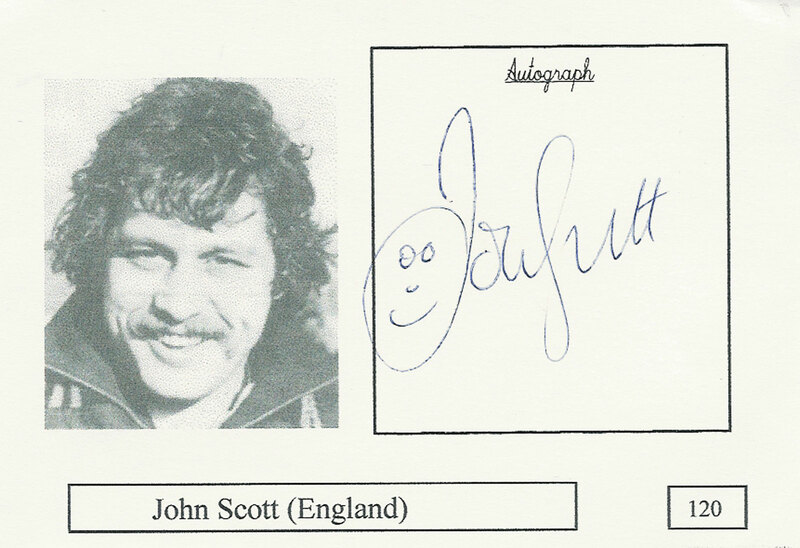 There are no additional autographs. 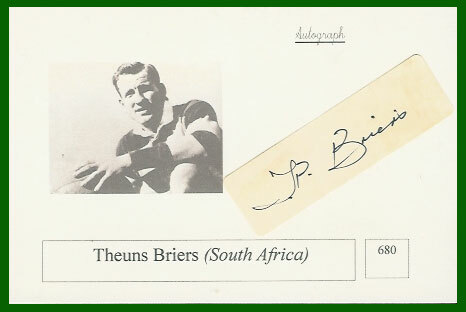 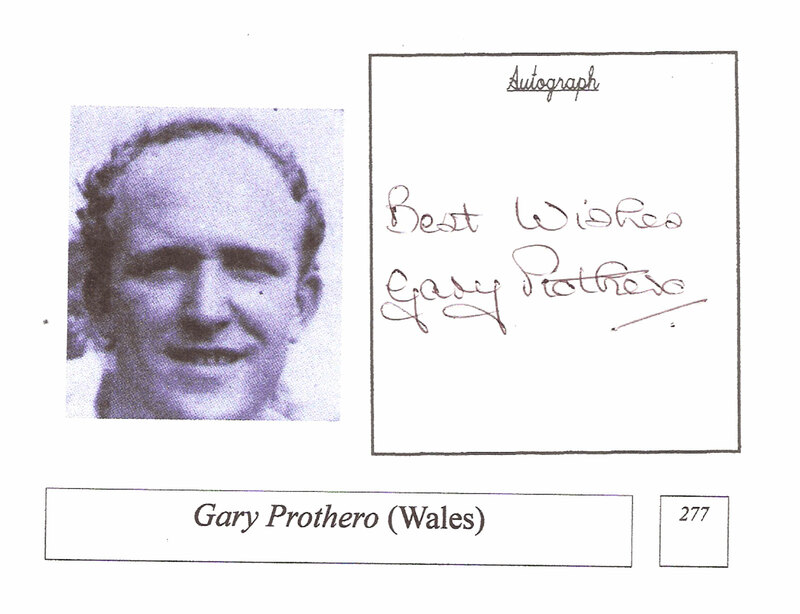 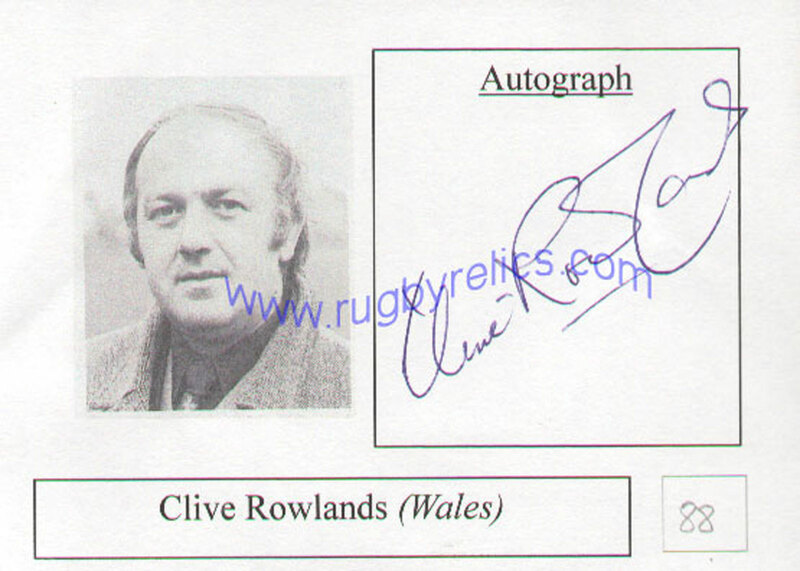 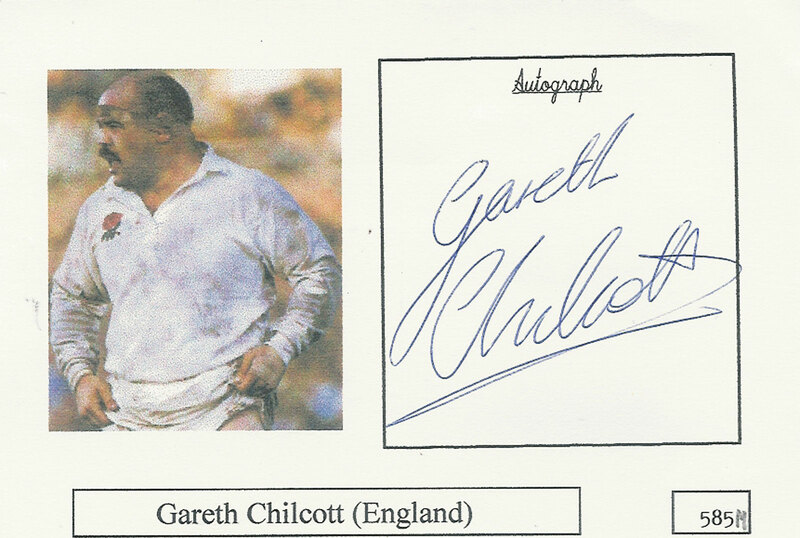 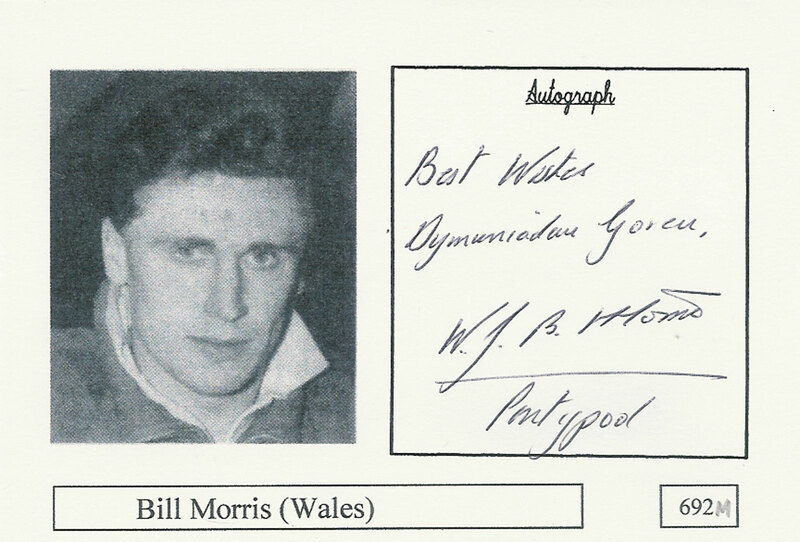 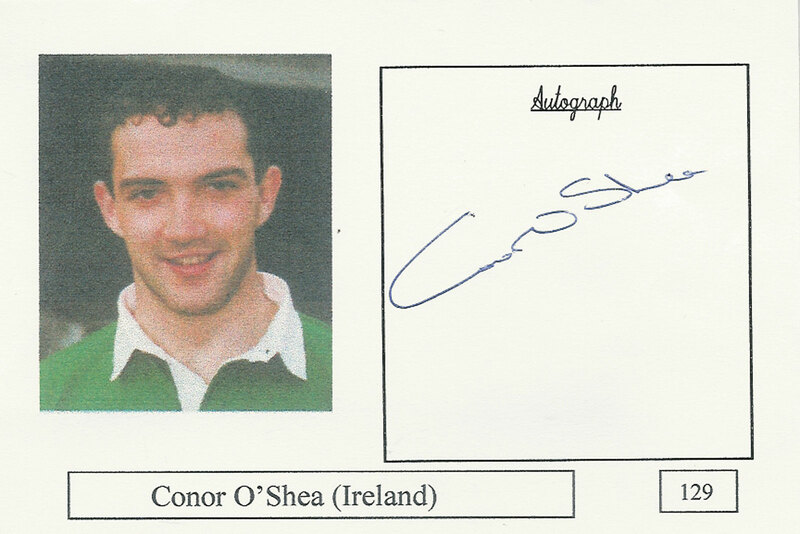 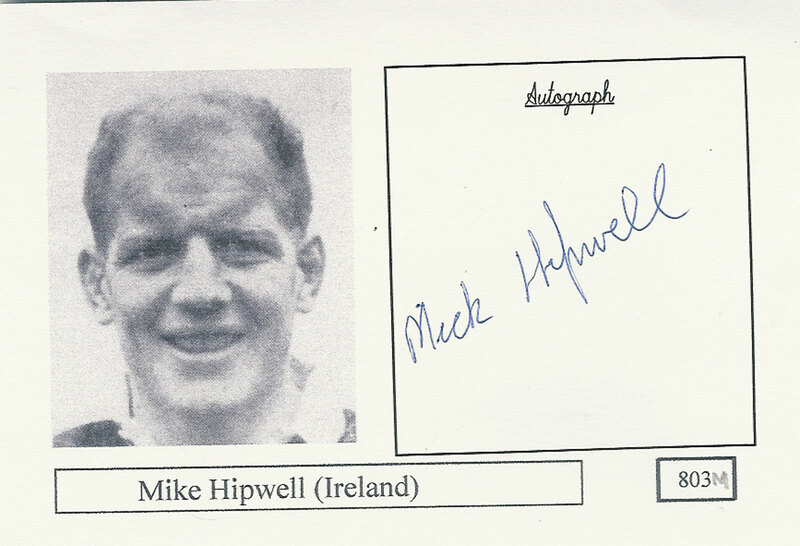 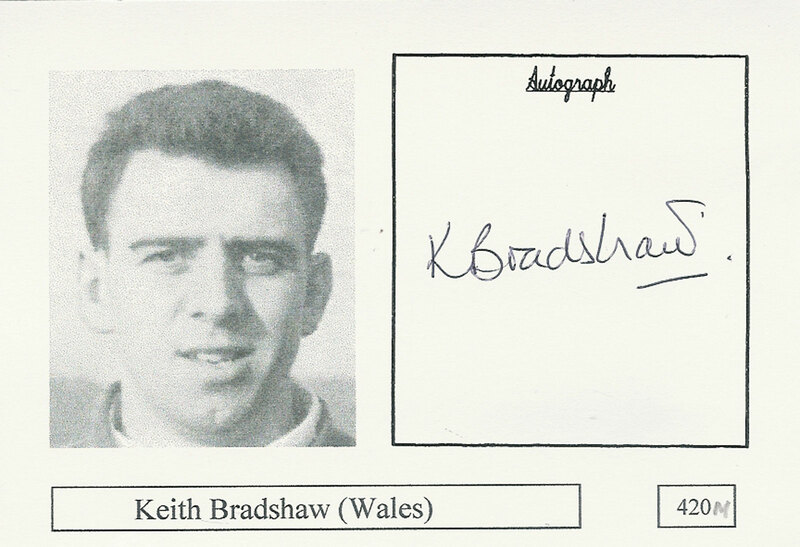 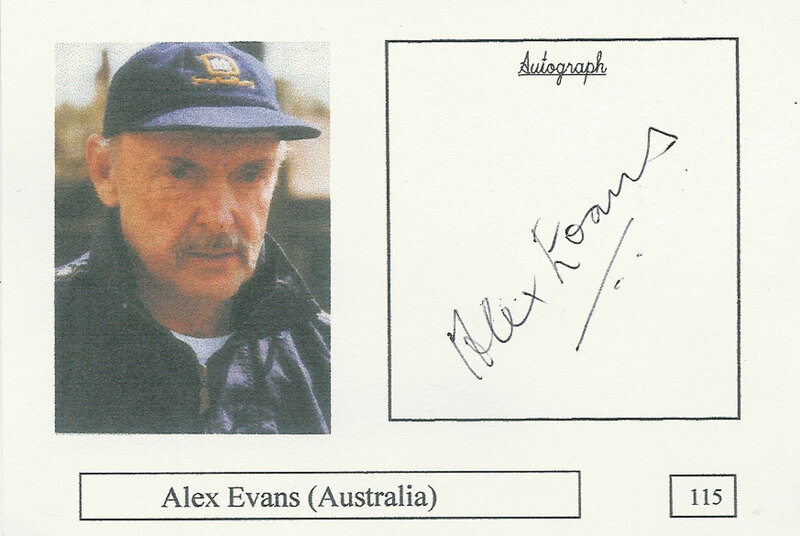 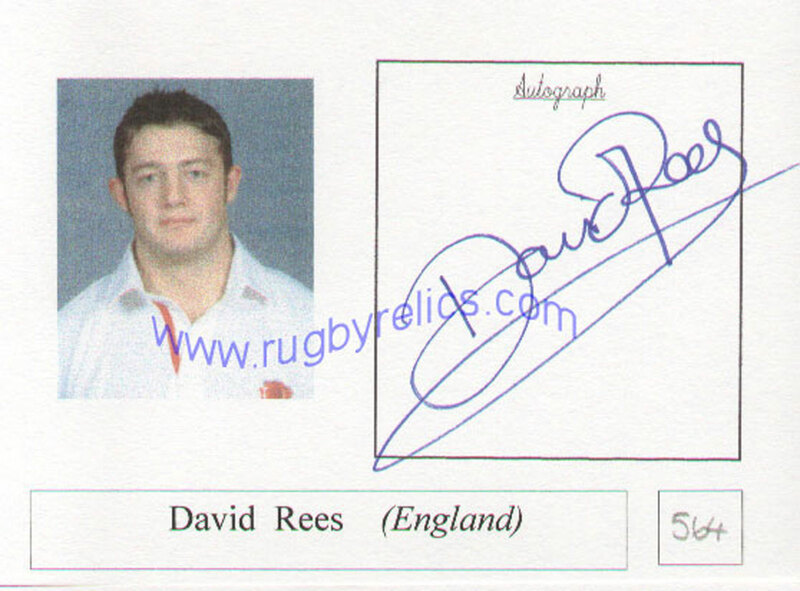 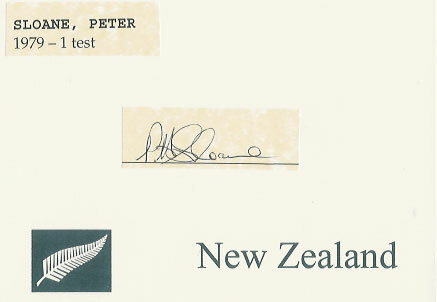 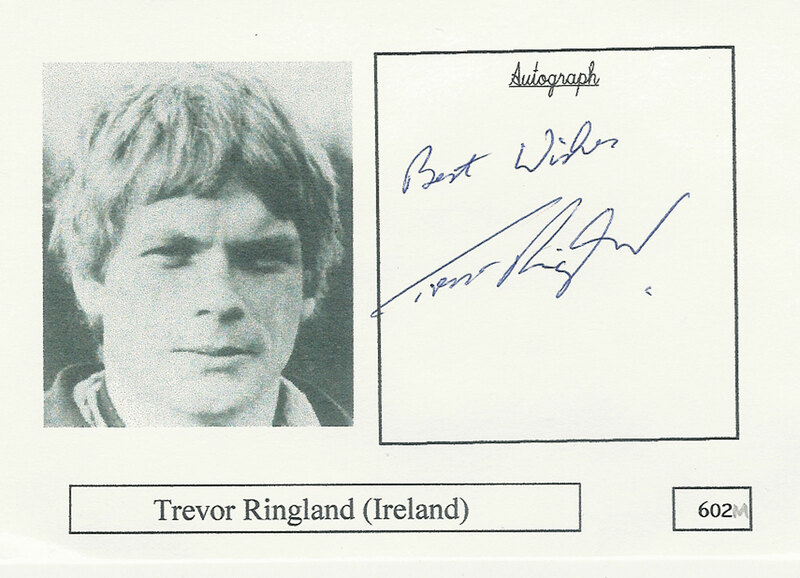 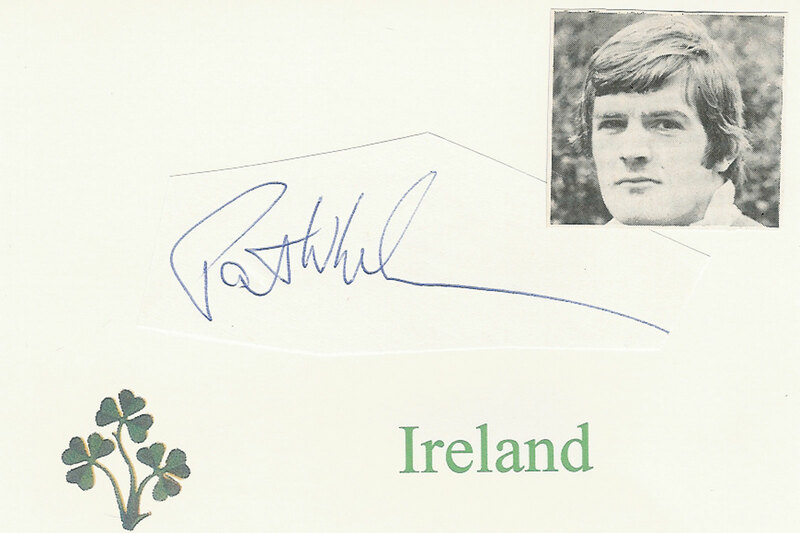 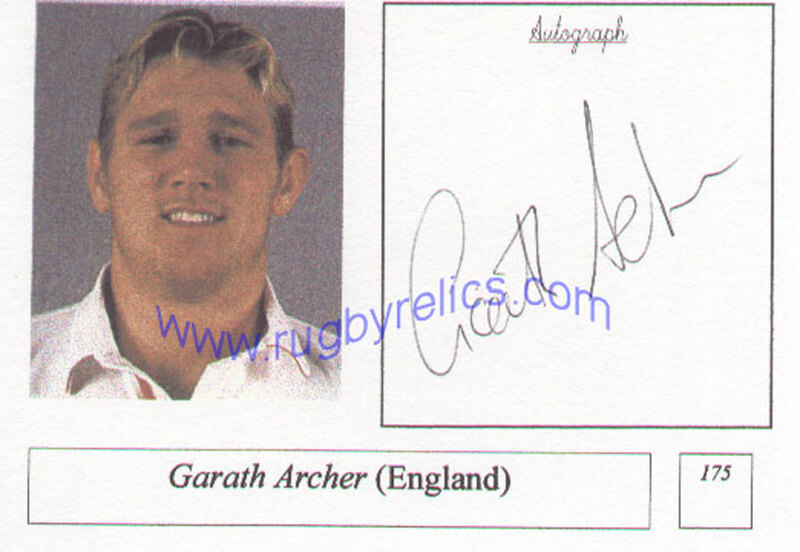 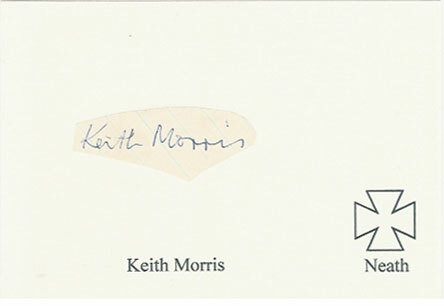 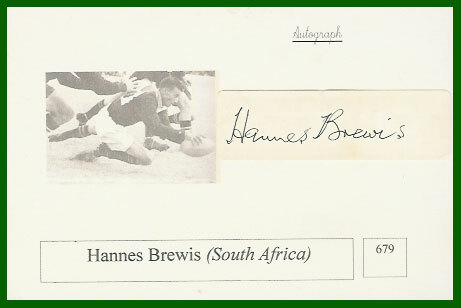 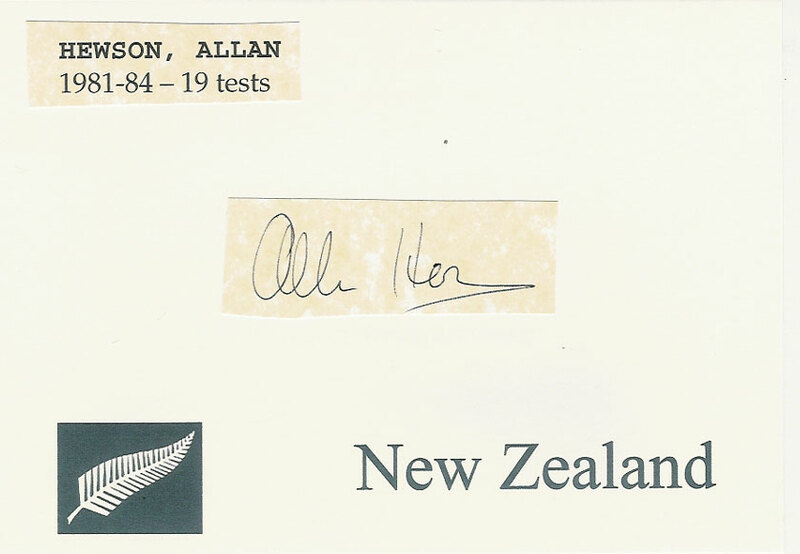 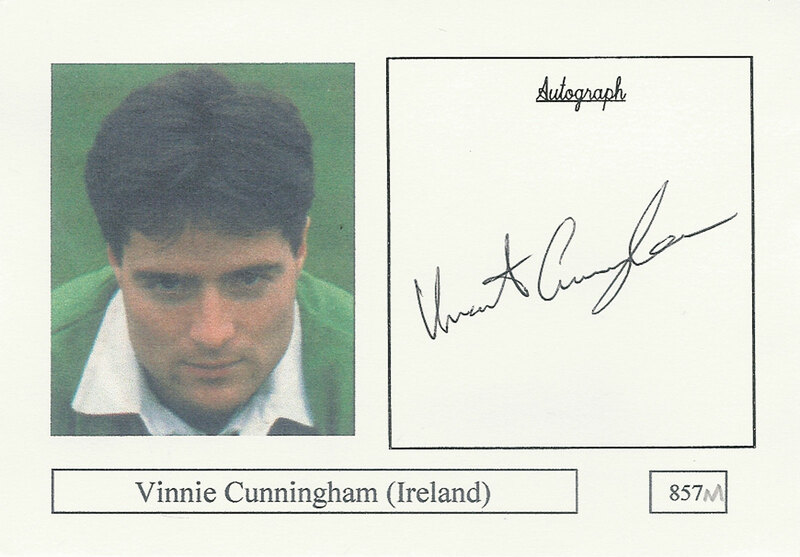 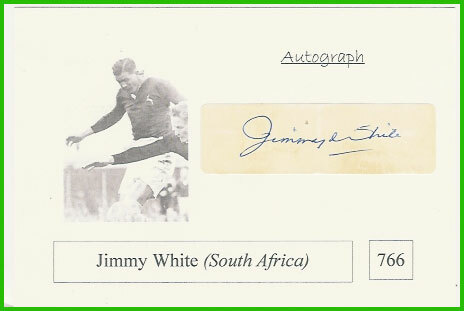 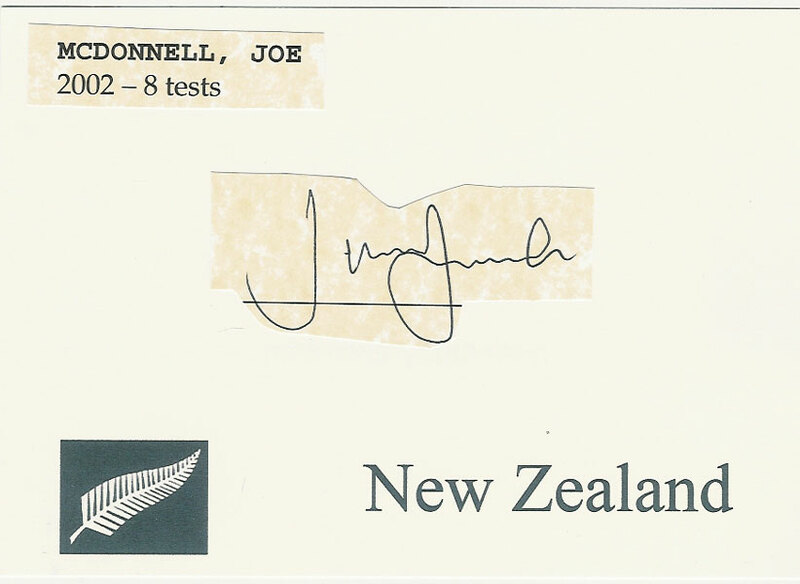 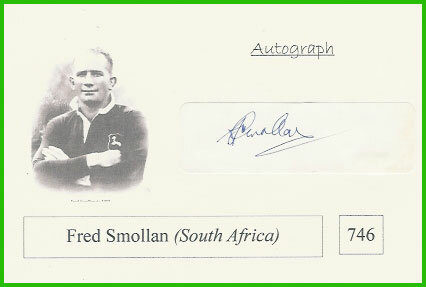 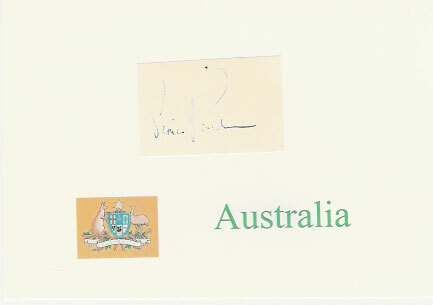 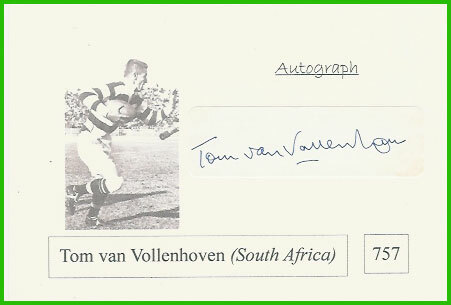 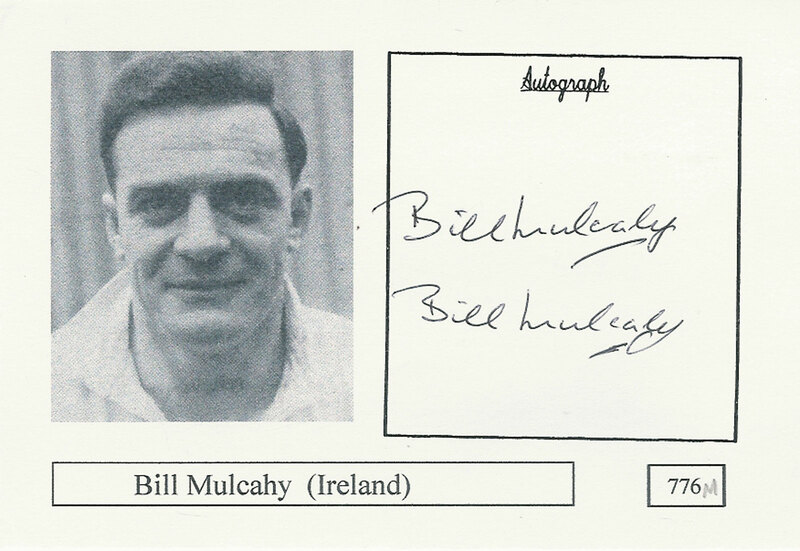 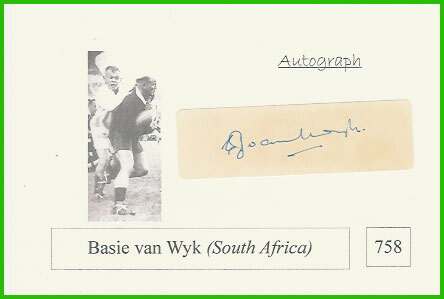 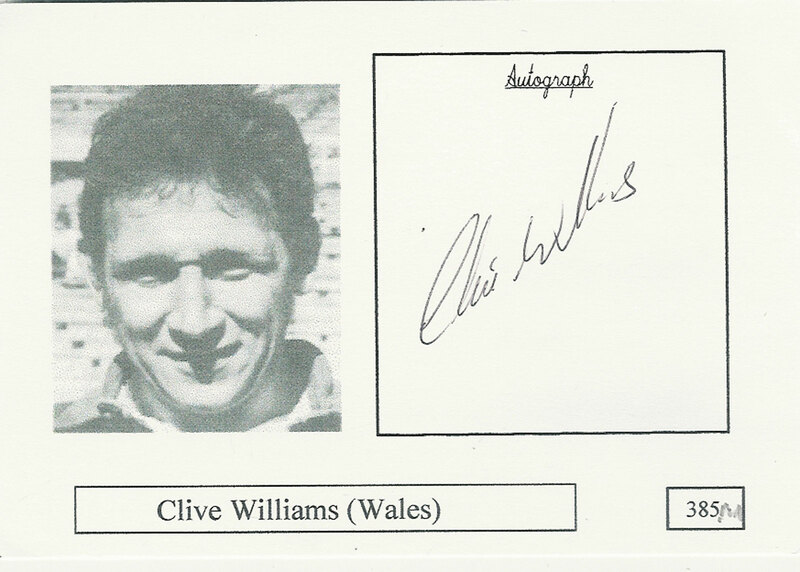 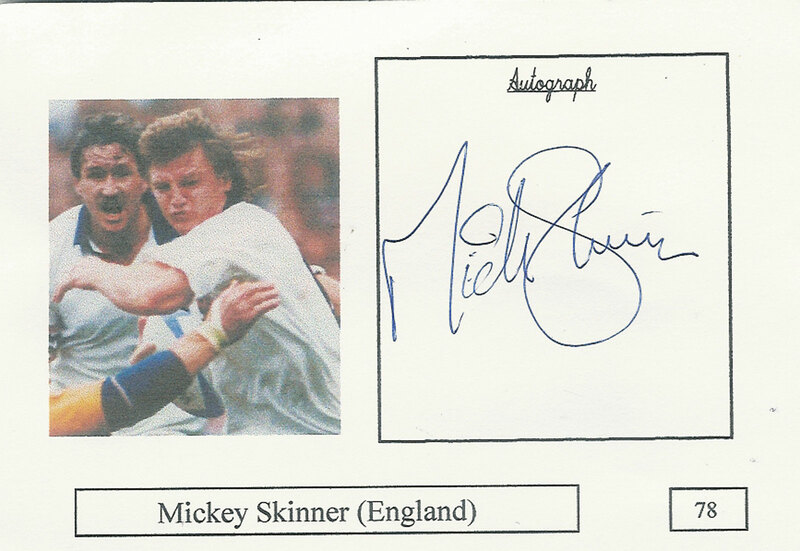 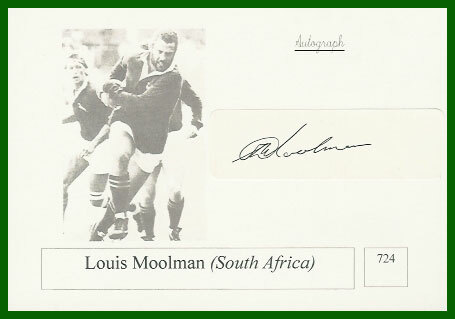 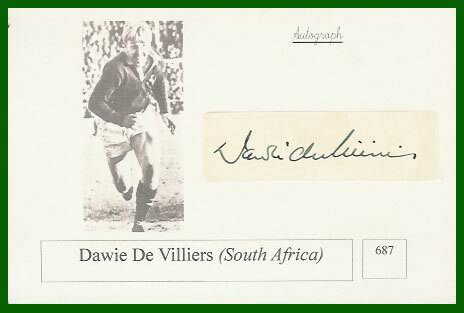 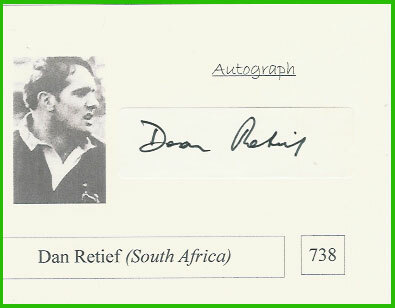 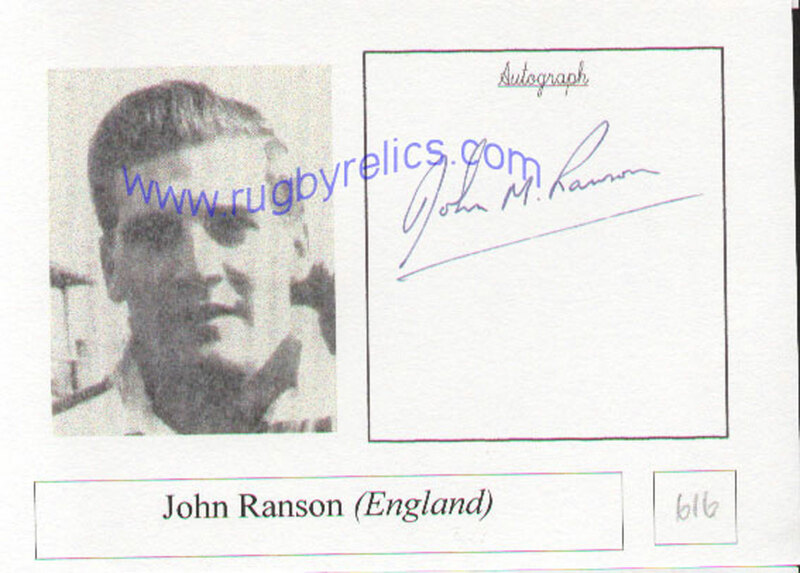 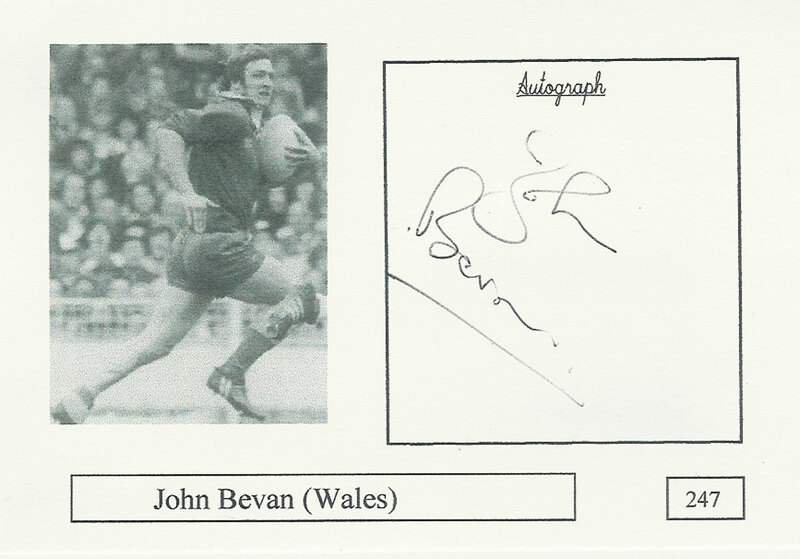 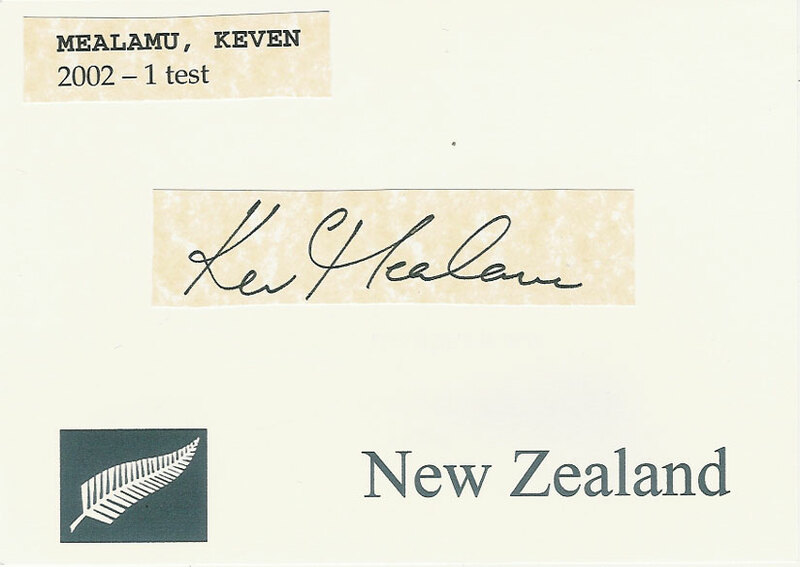 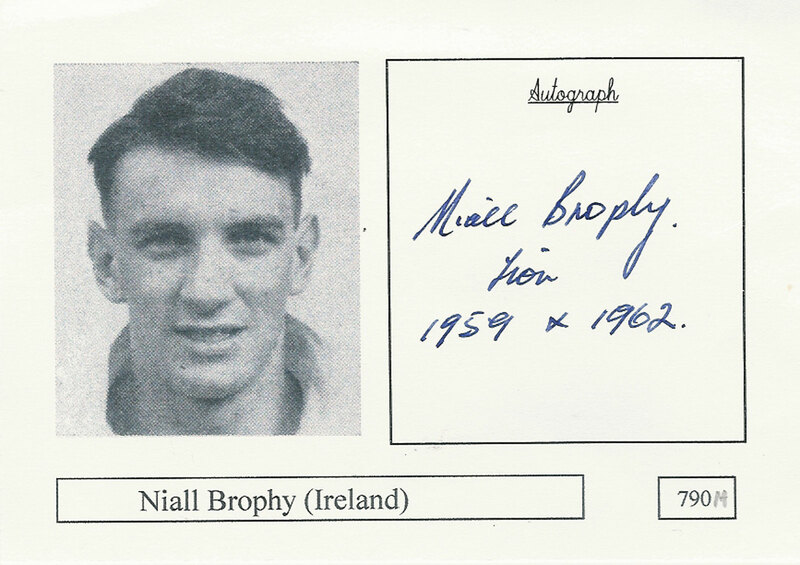 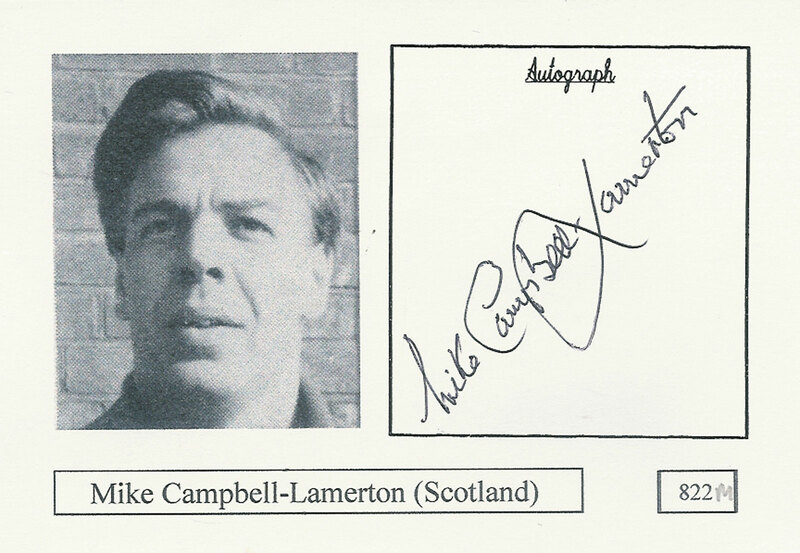 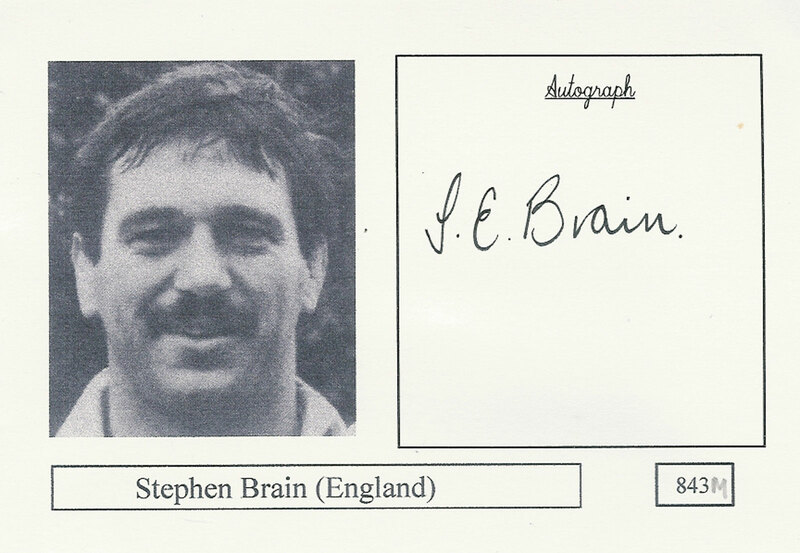 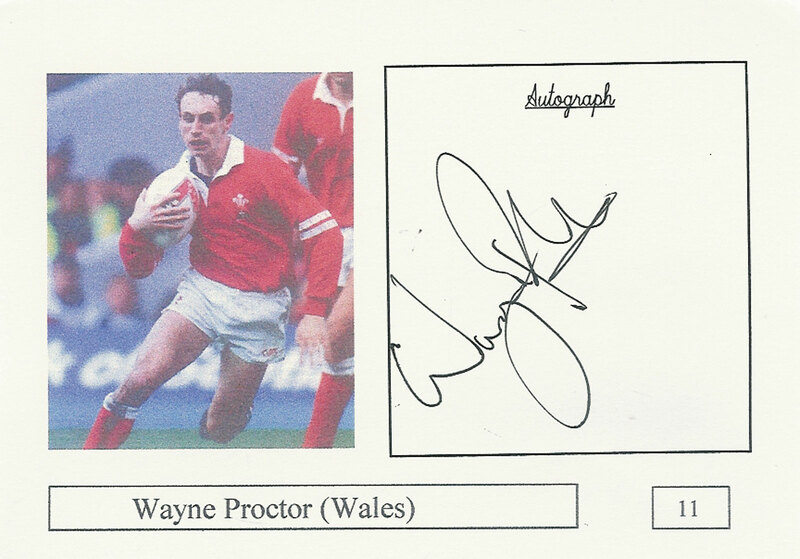 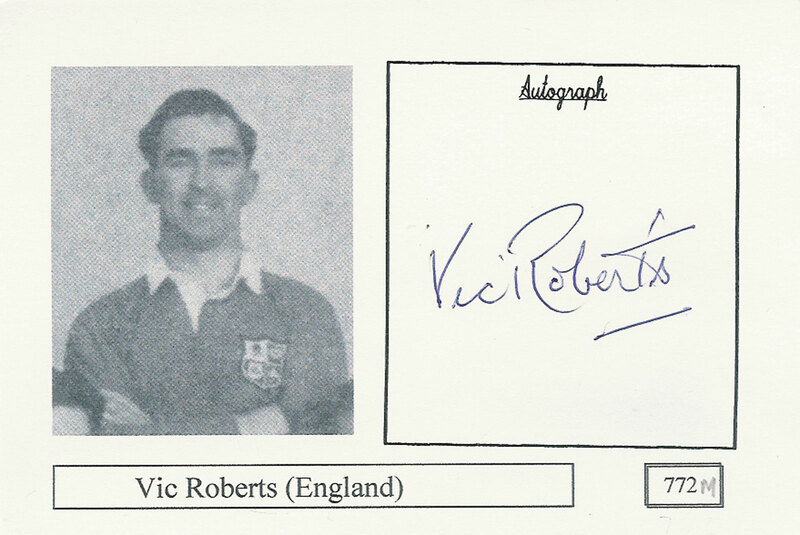 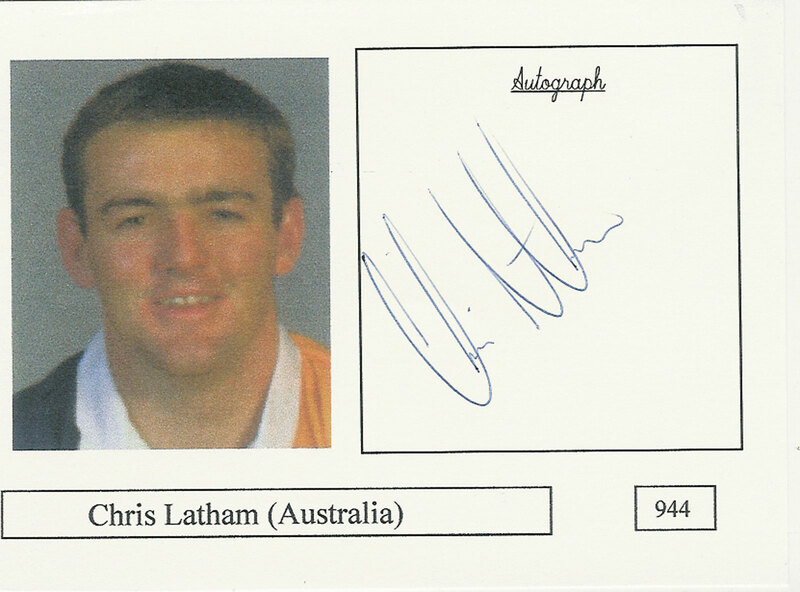 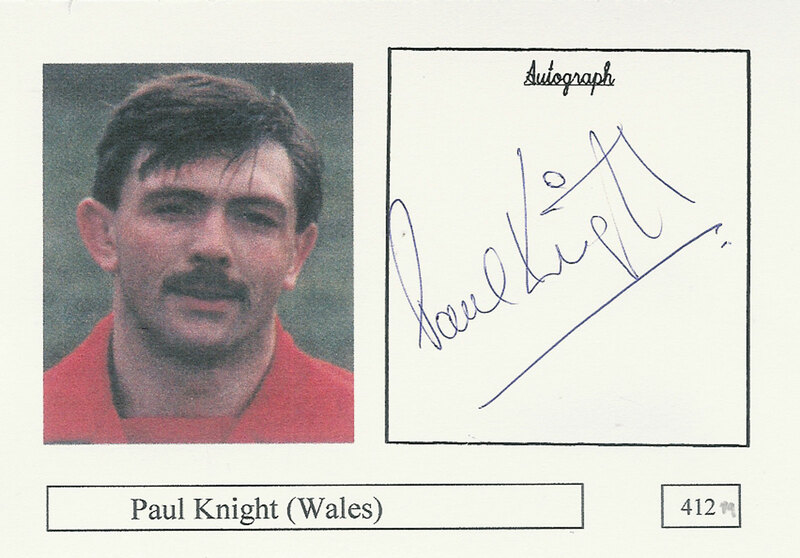 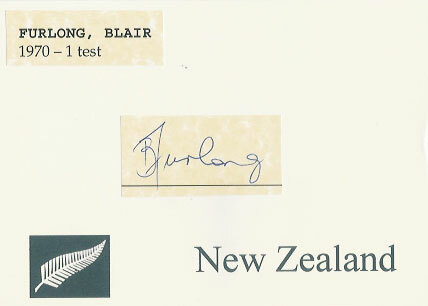 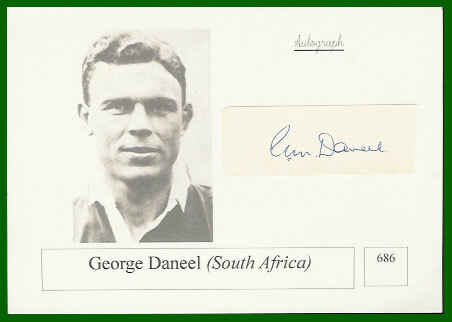 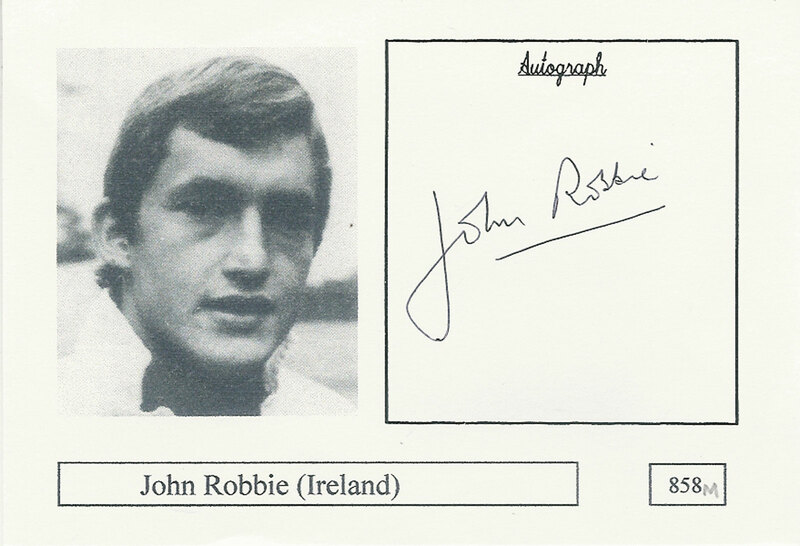 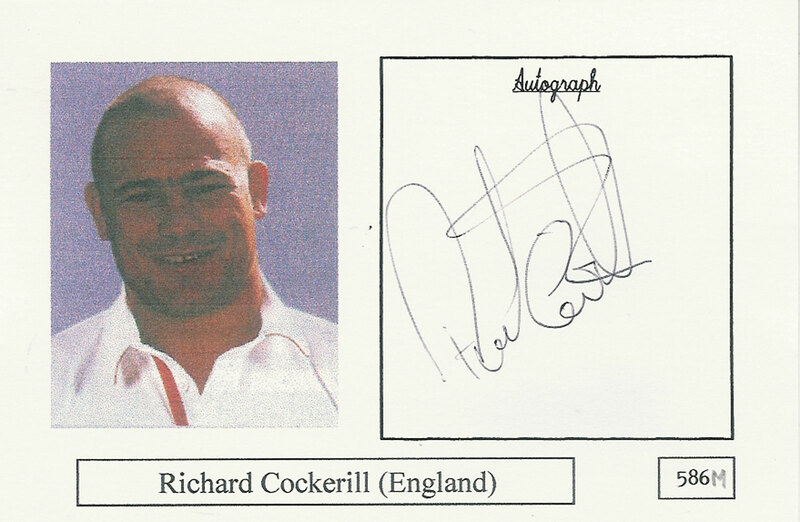 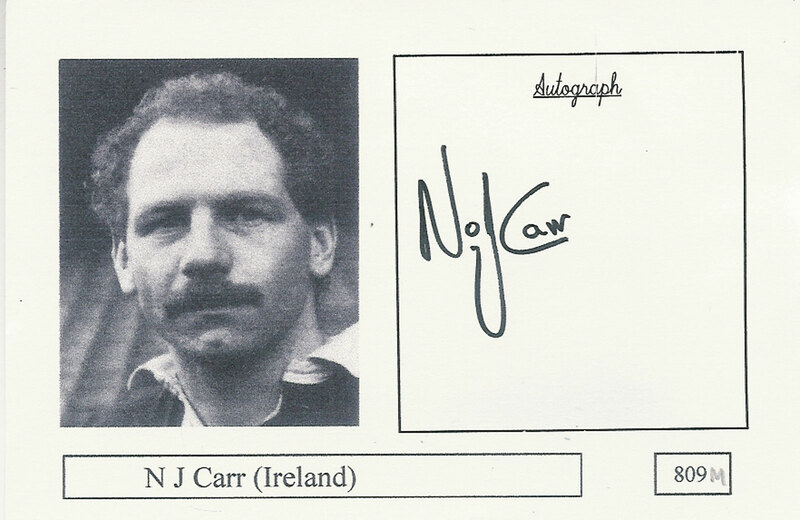 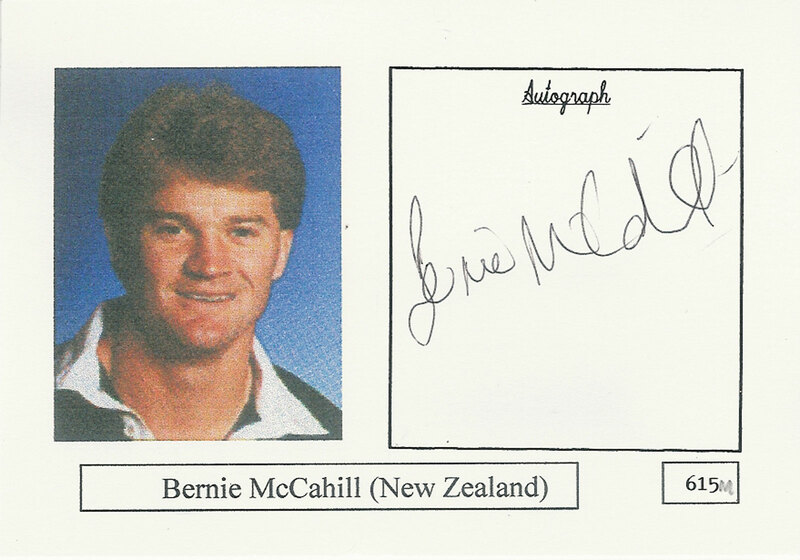 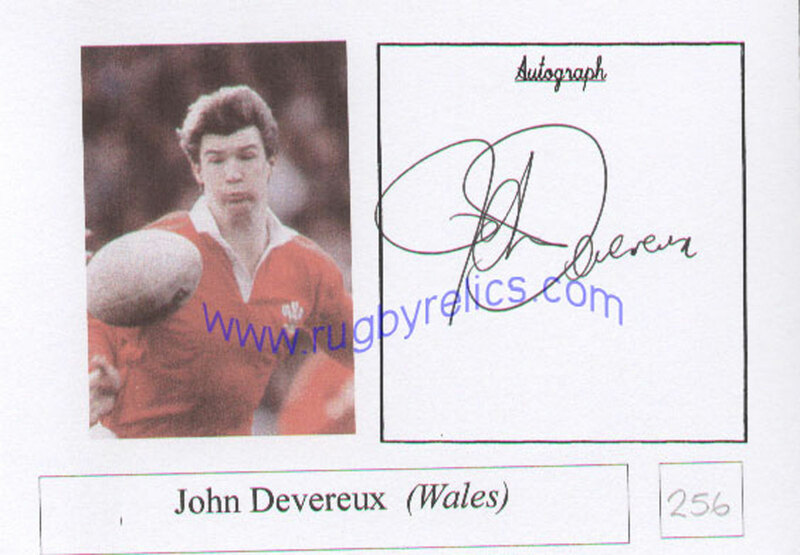 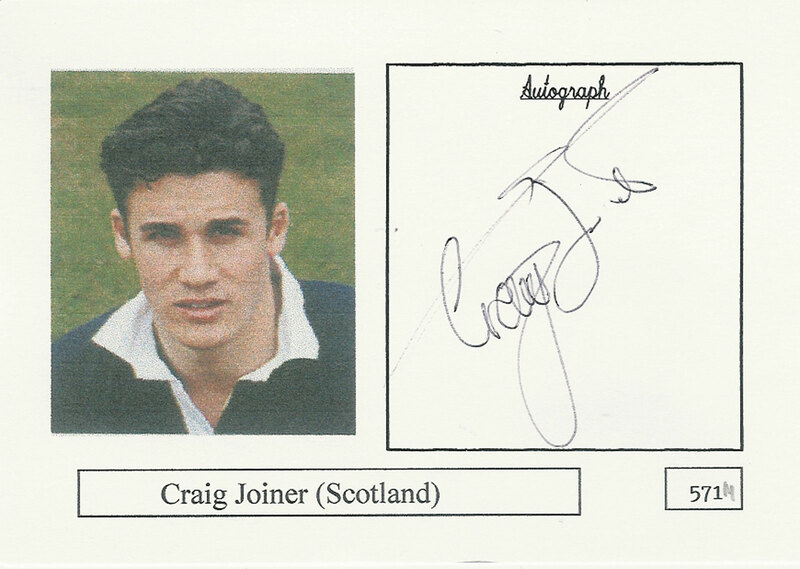 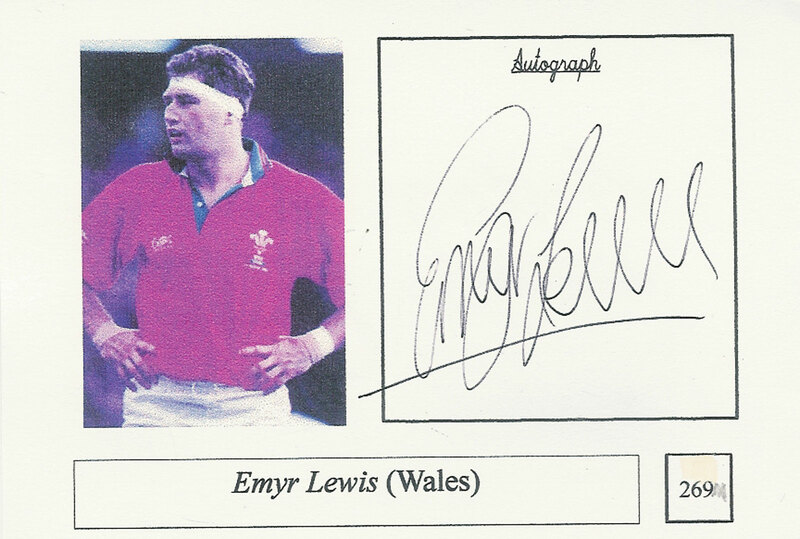 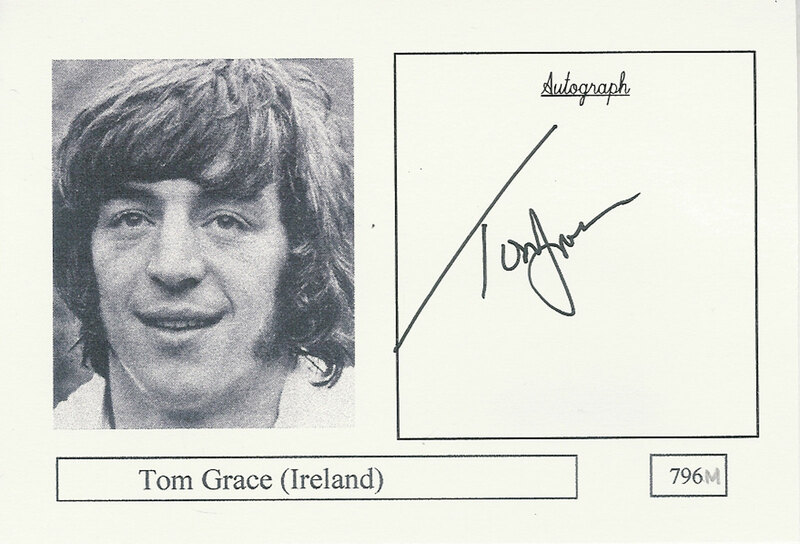 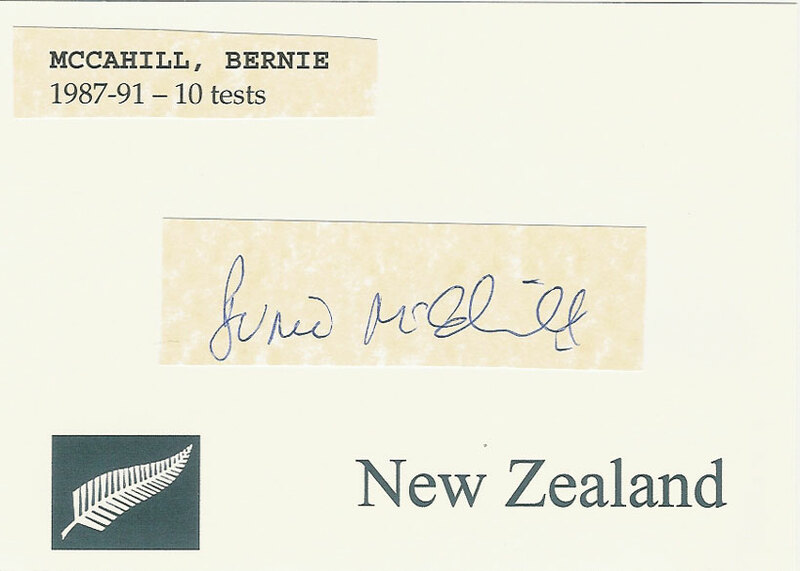 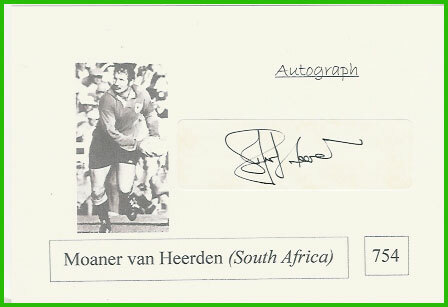 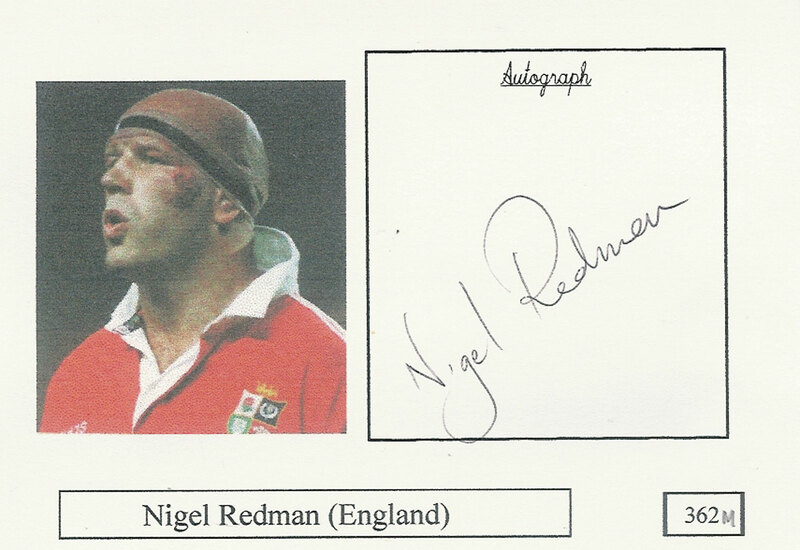 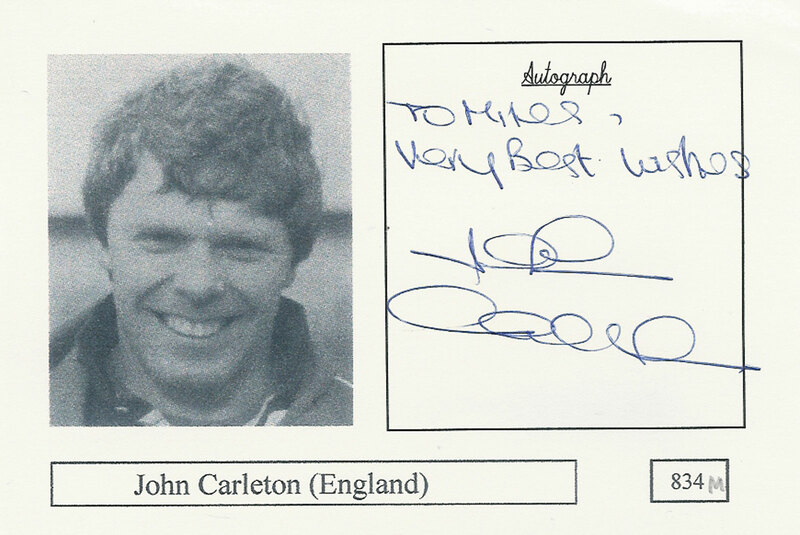 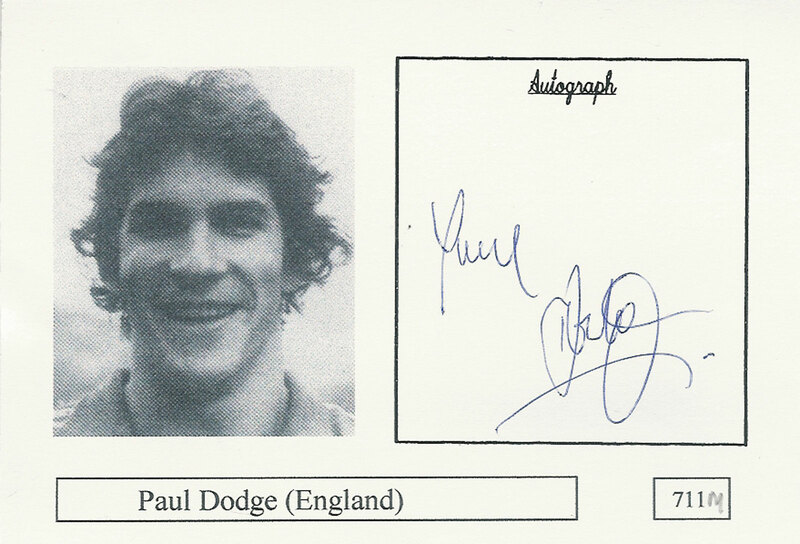 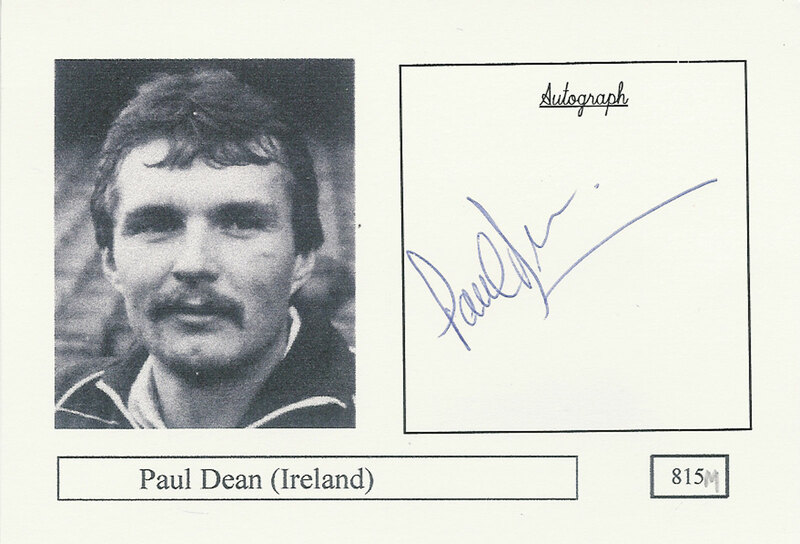 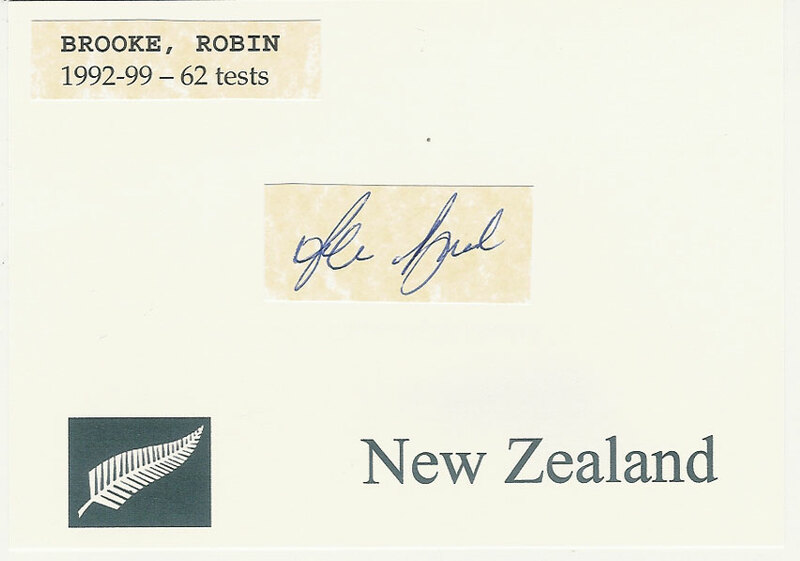 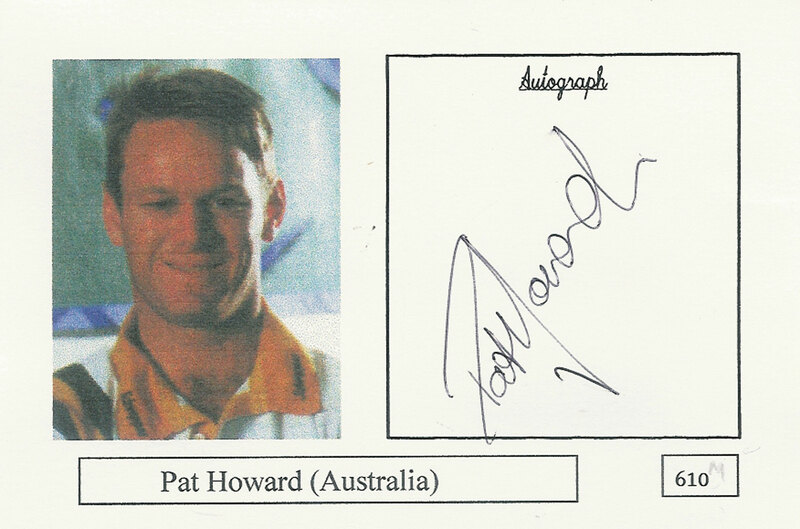 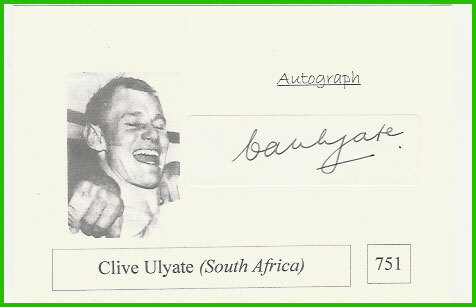 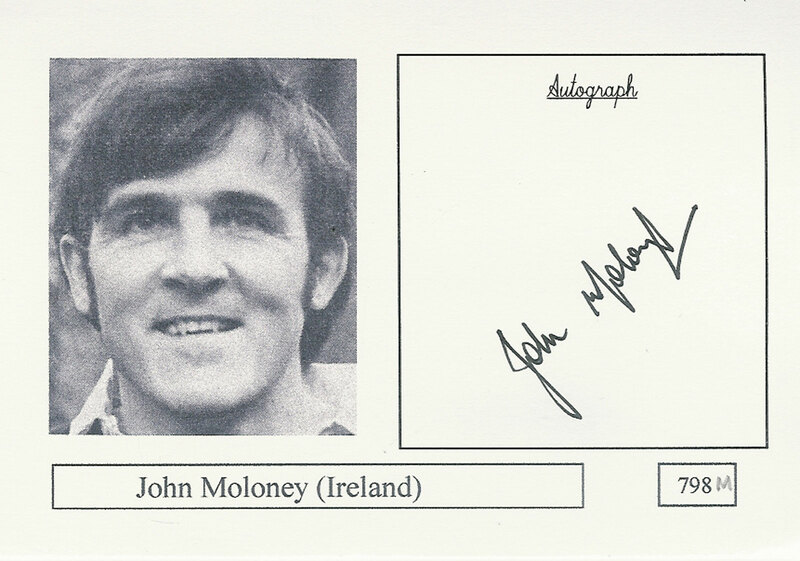 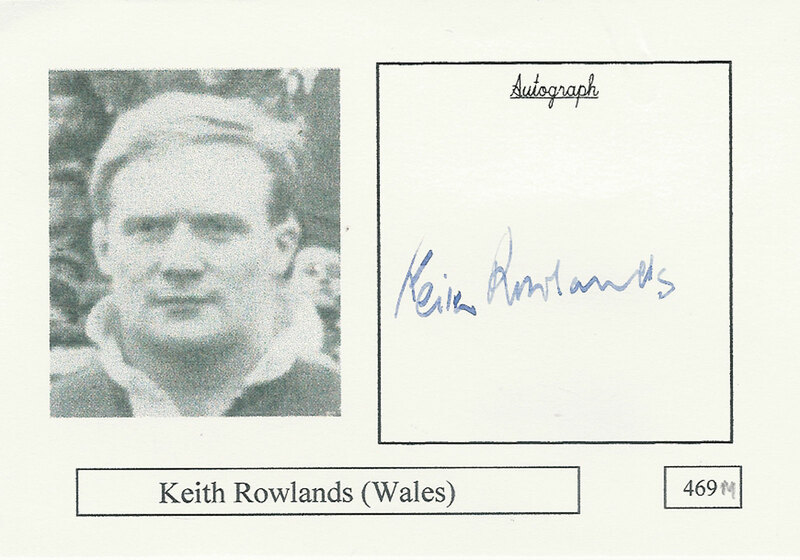 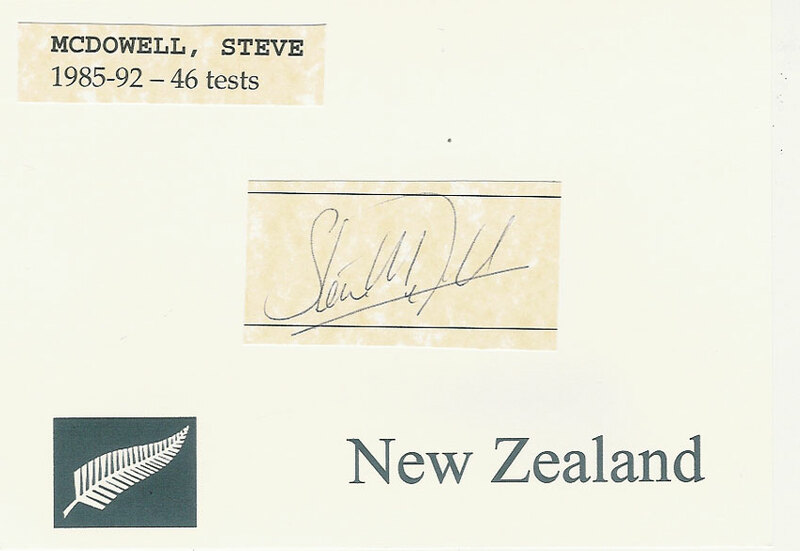 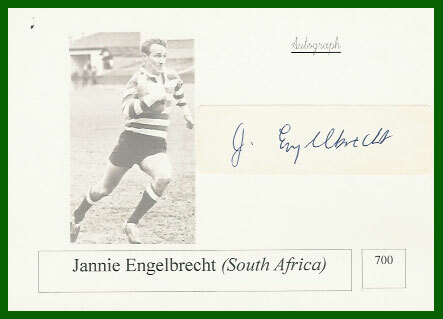 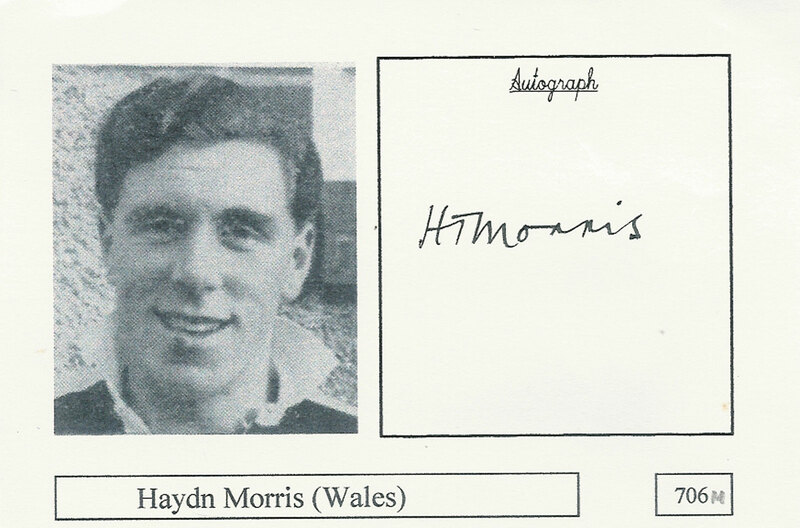 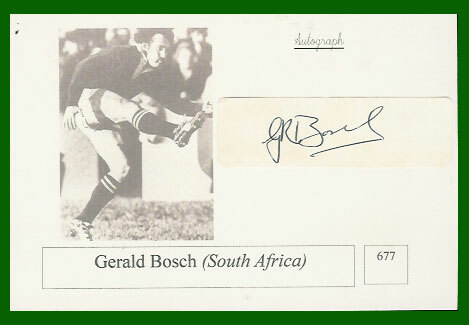 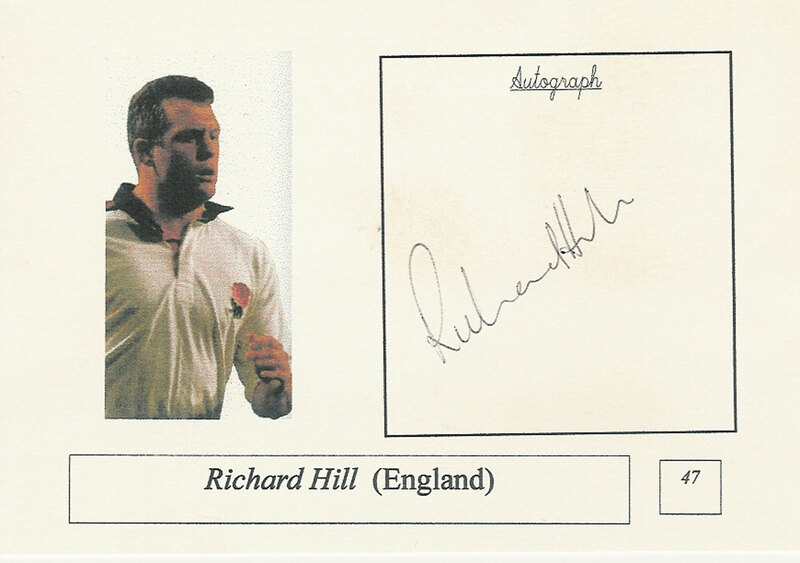 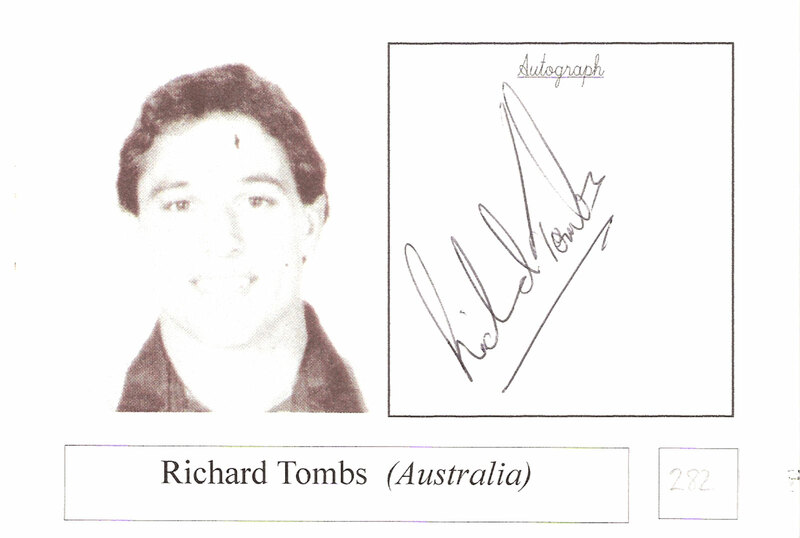 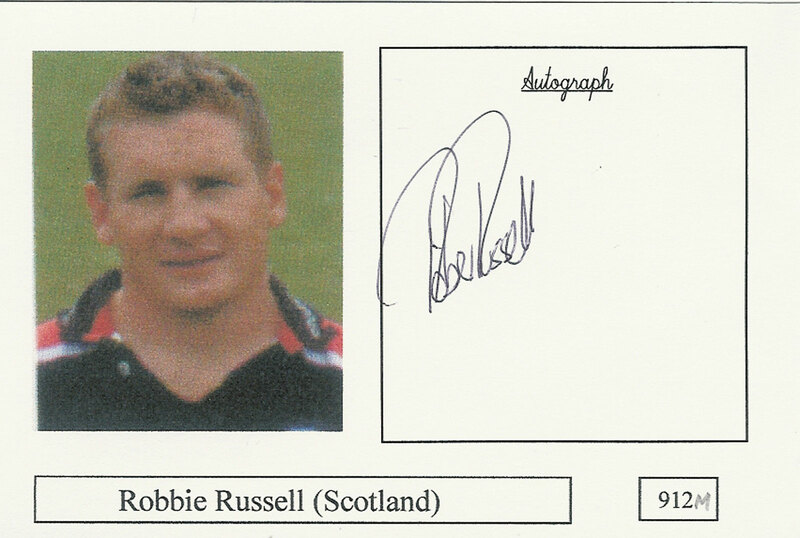 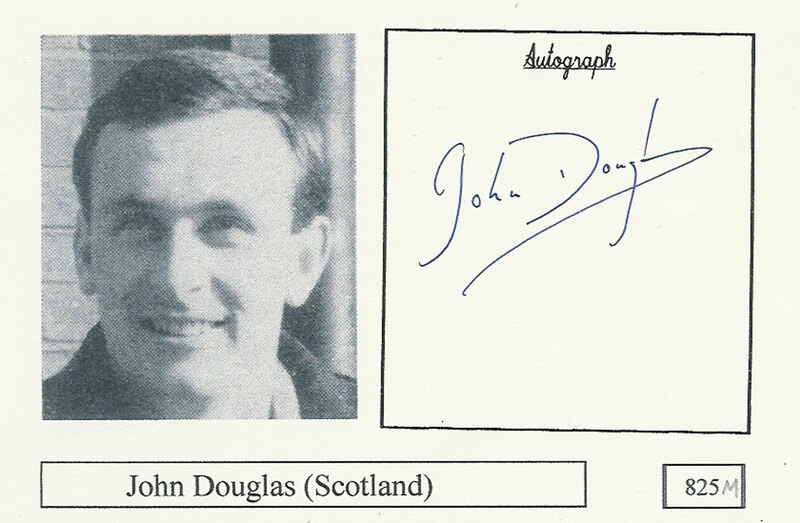 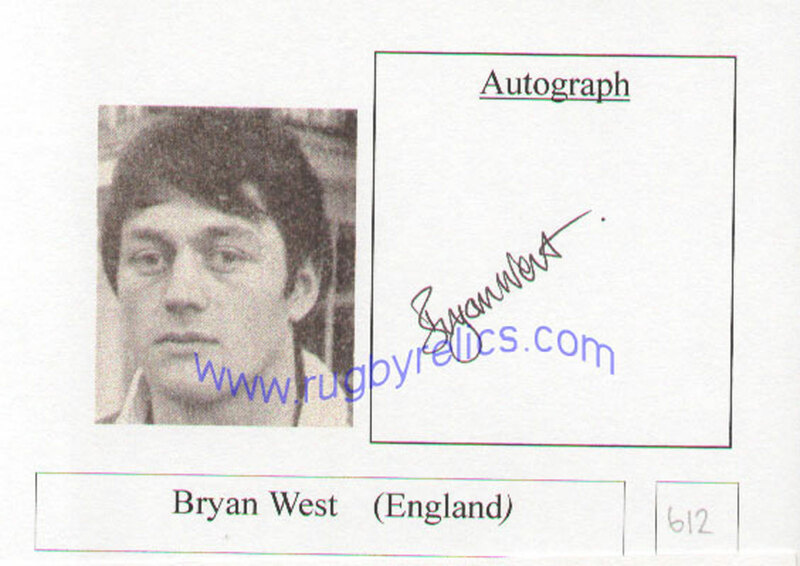 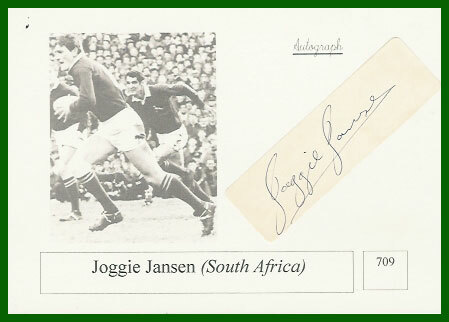 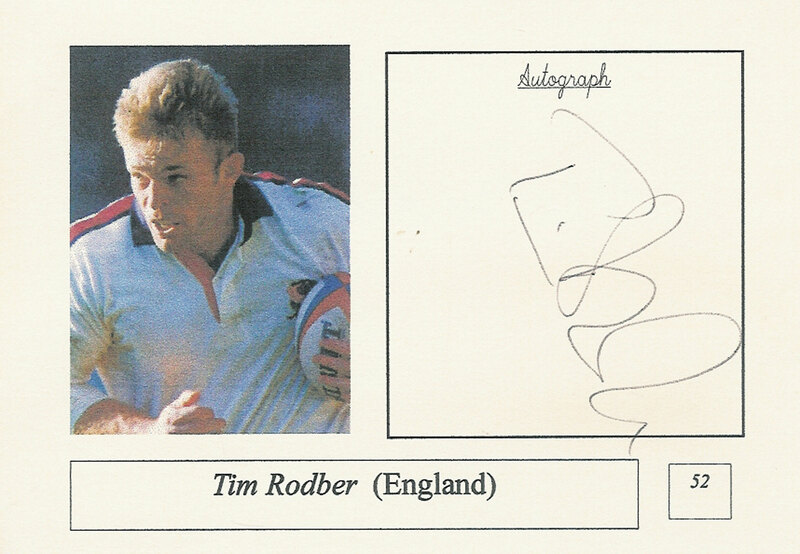 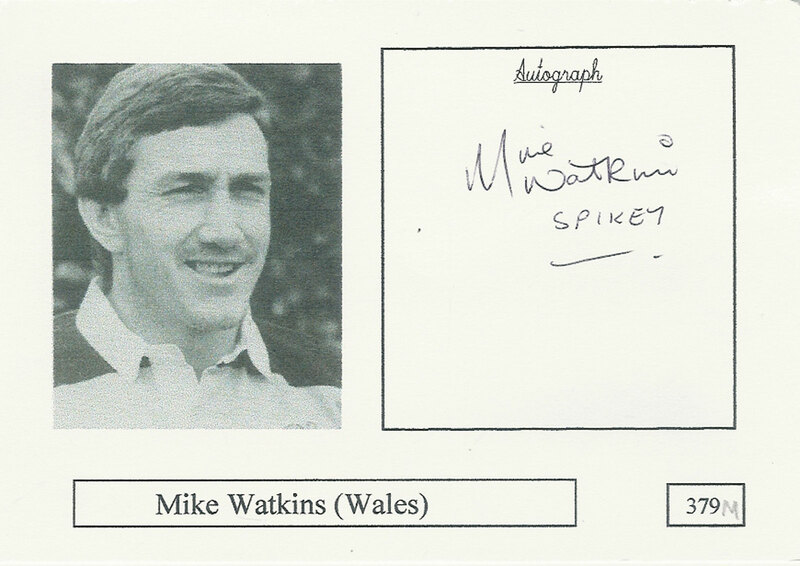 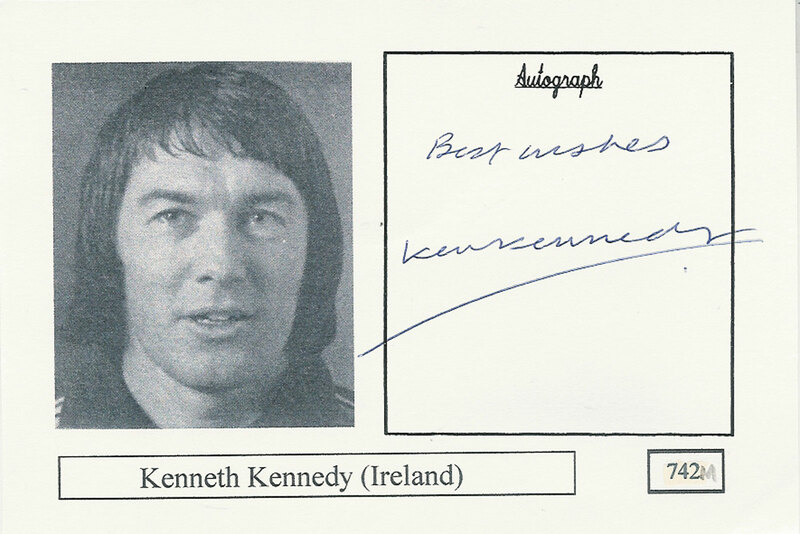 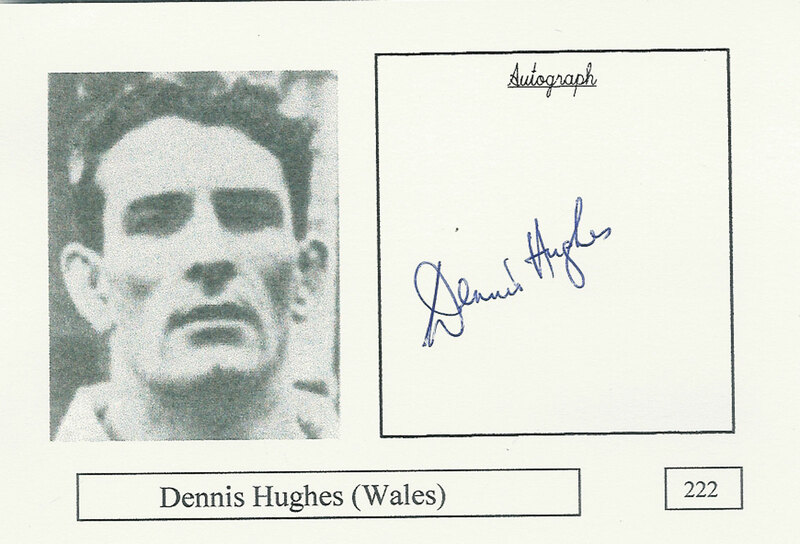 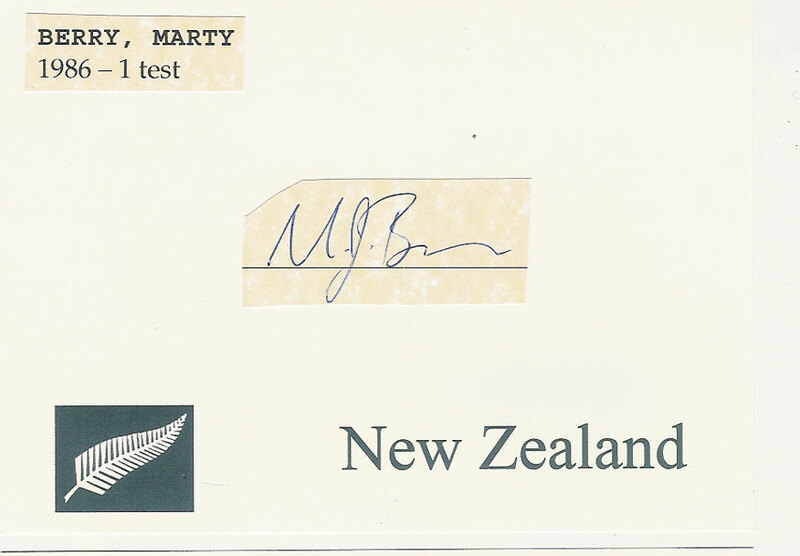 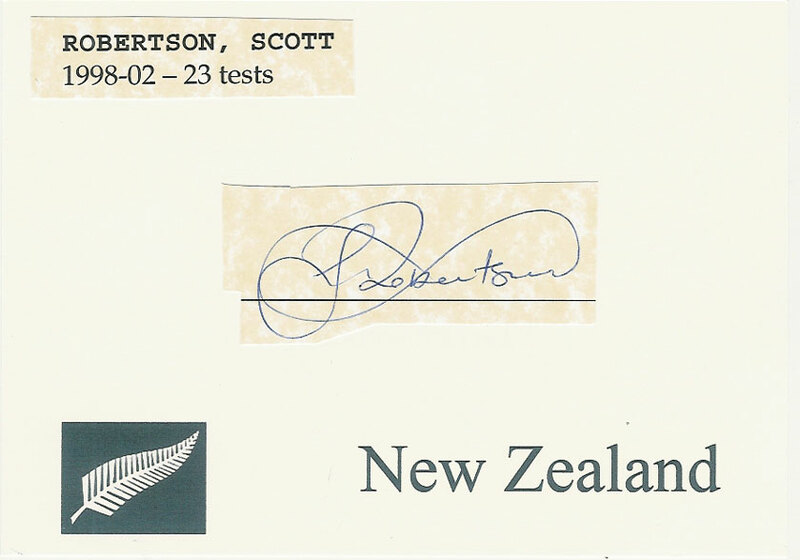 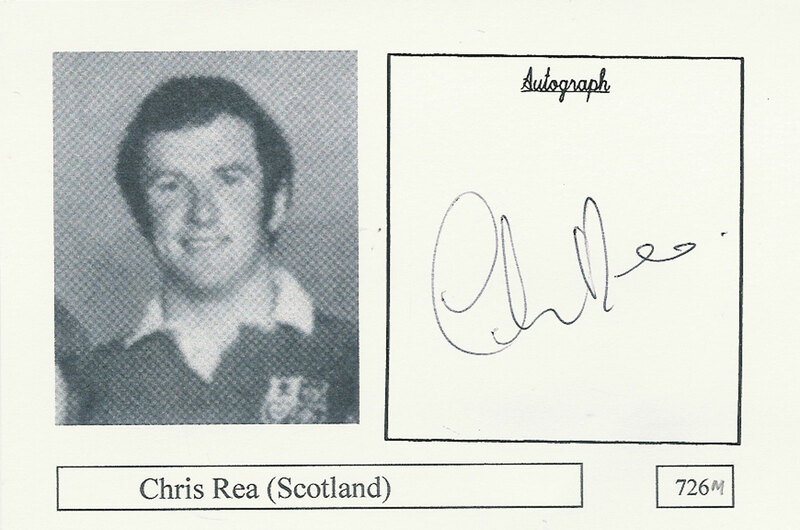 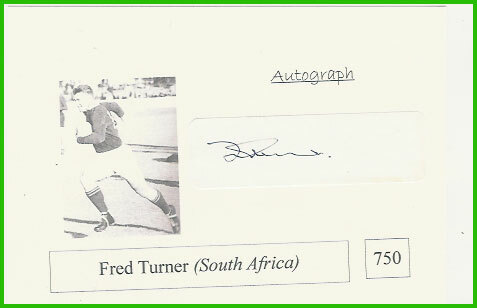 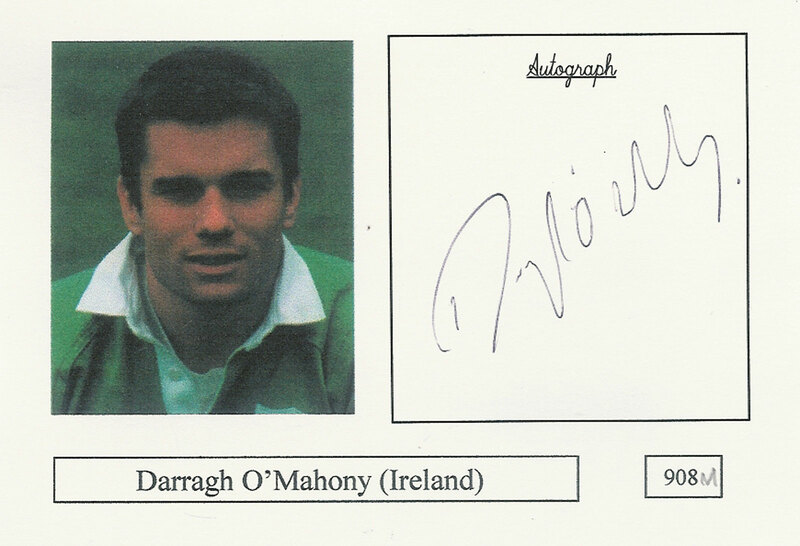 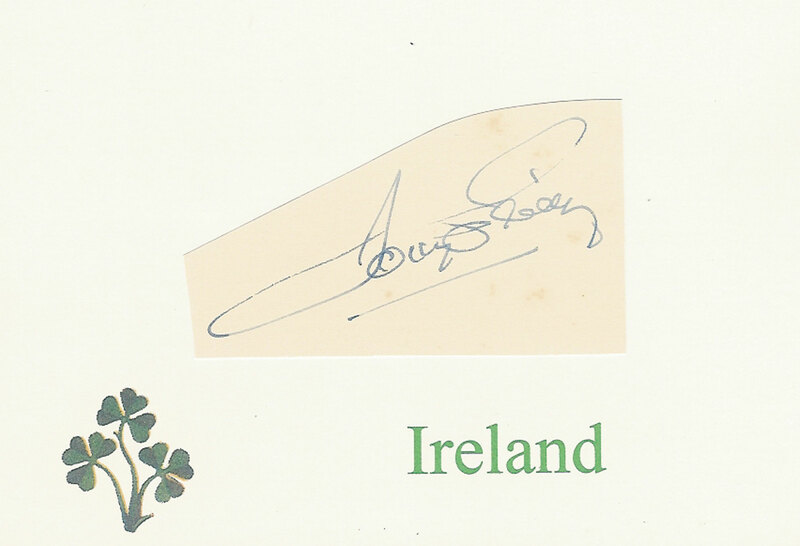 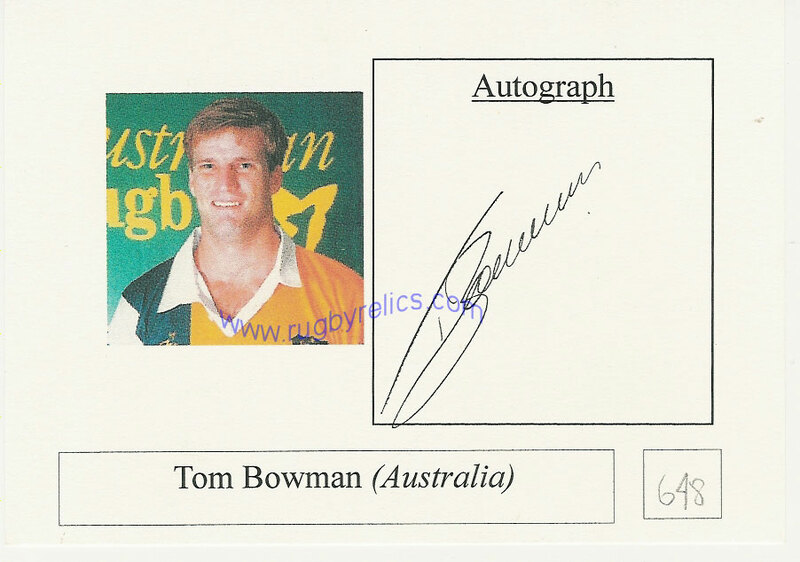 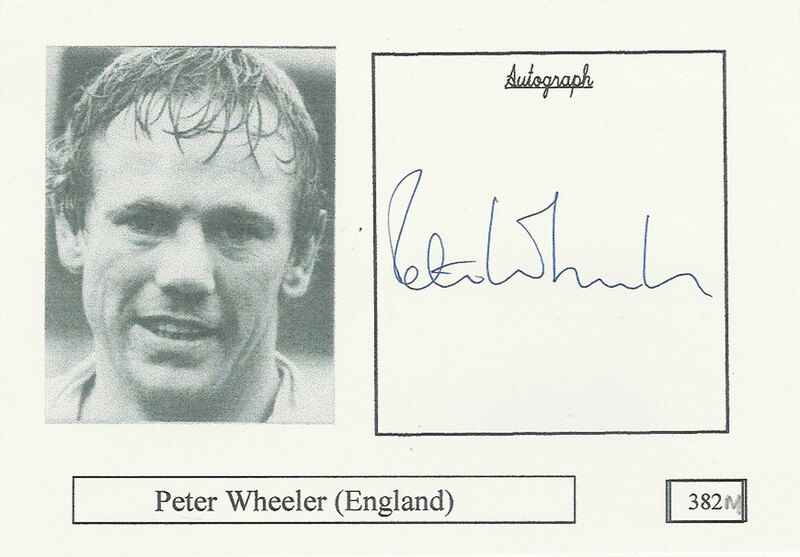 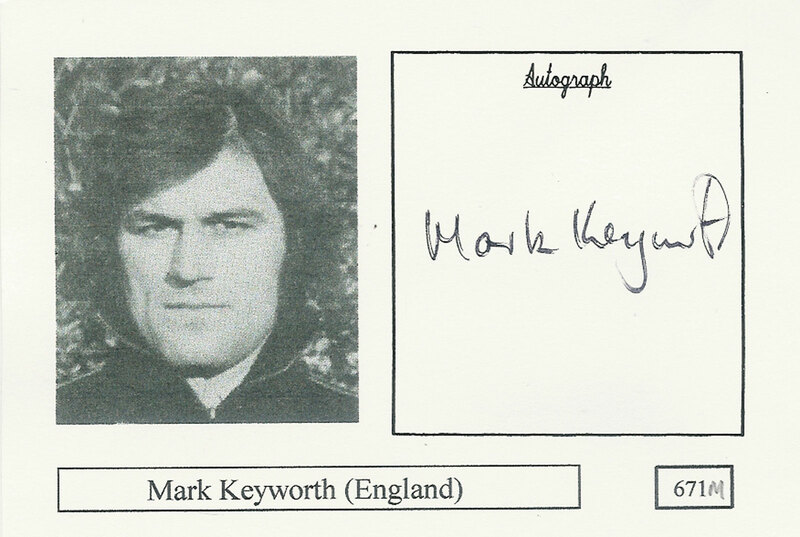 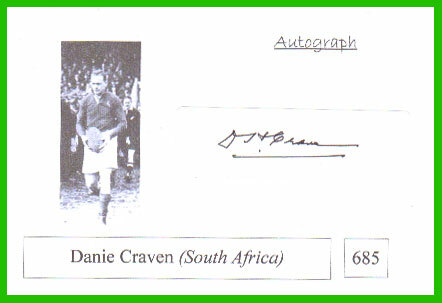 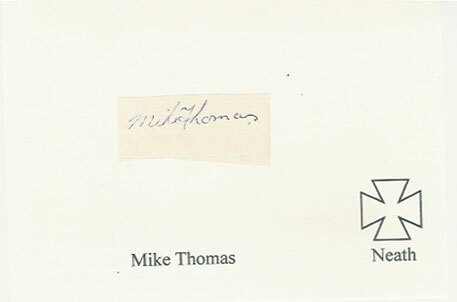 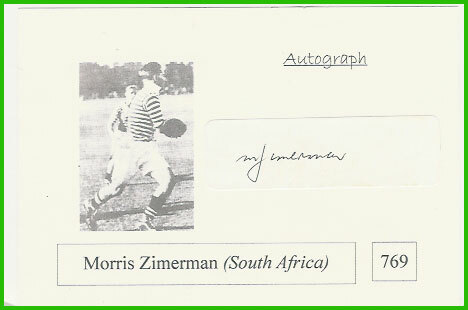 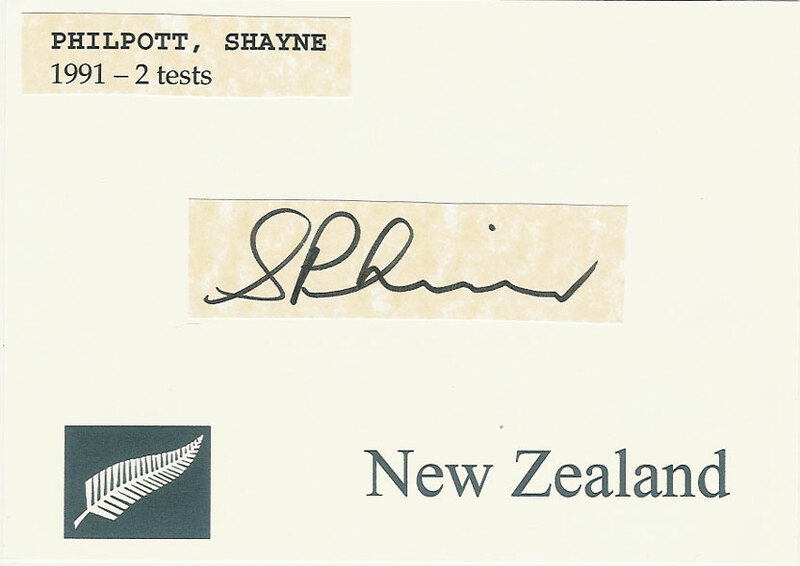 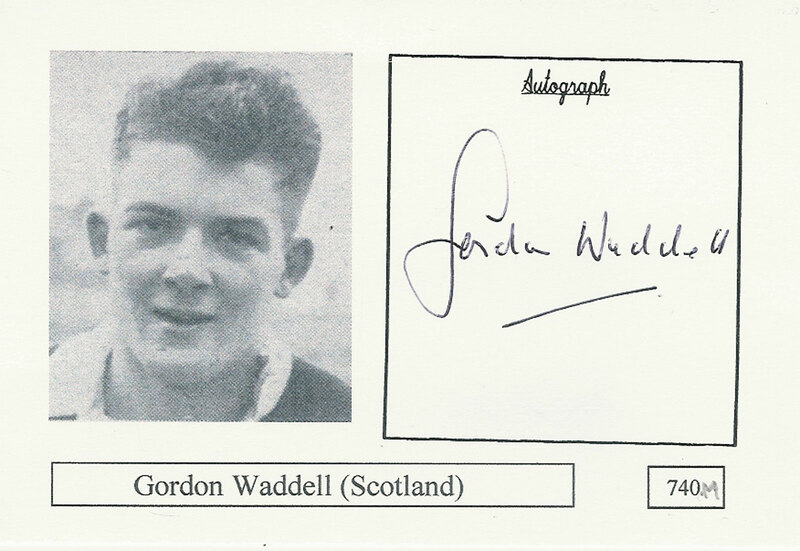 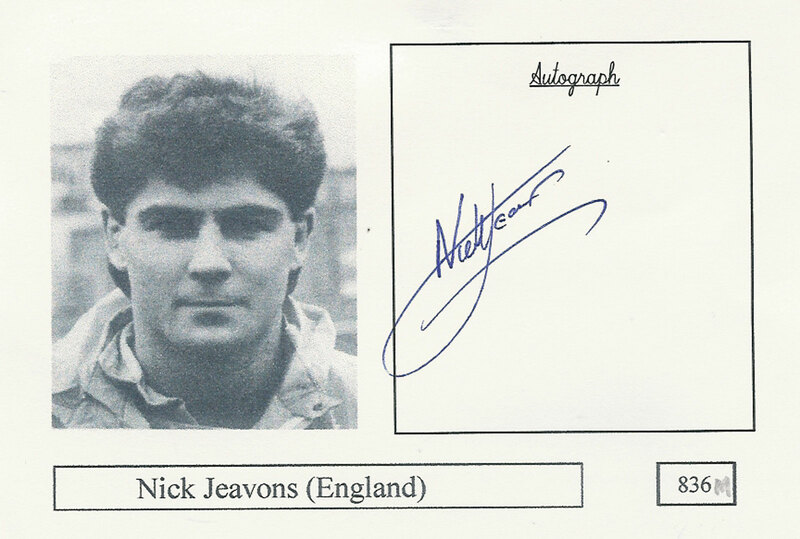 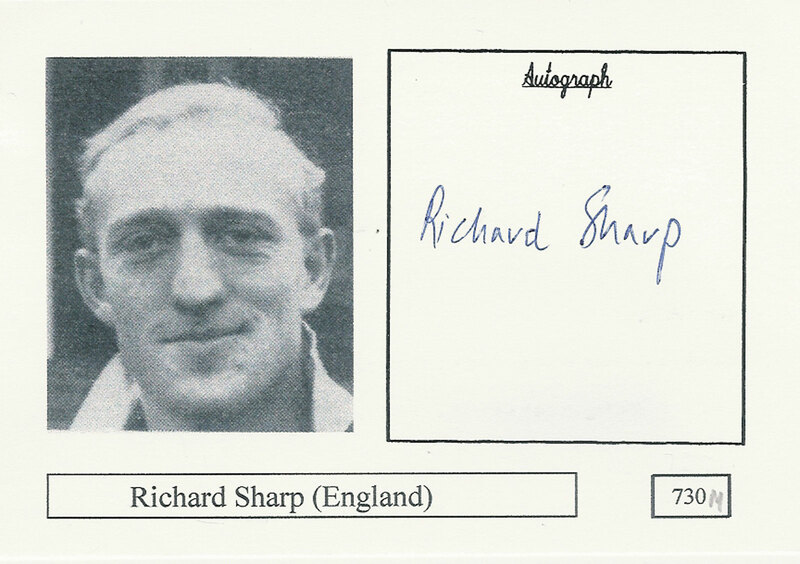 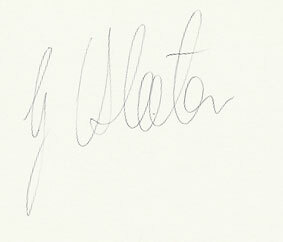 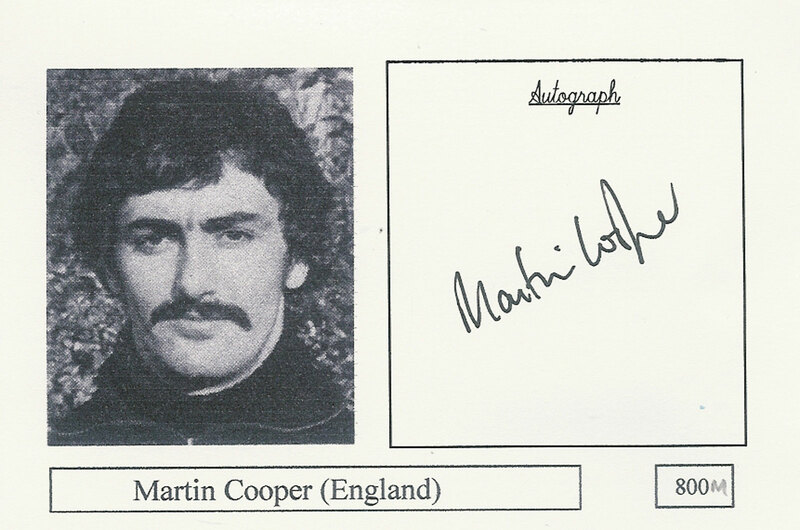 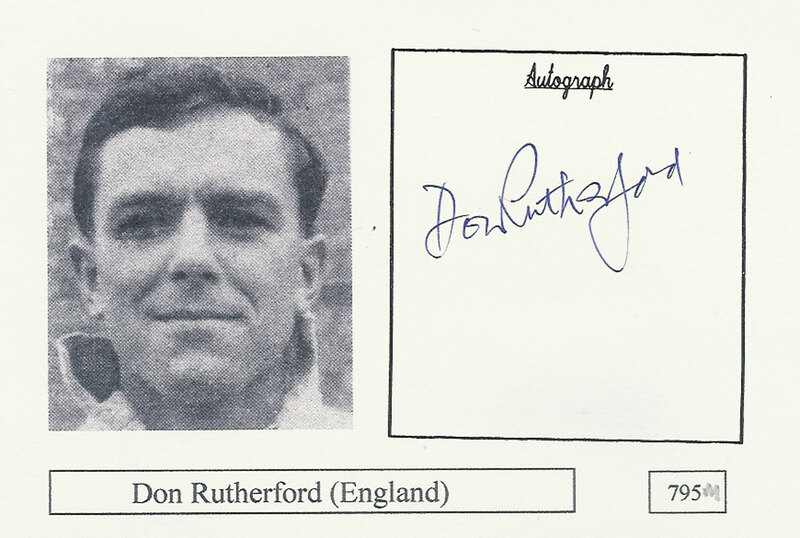 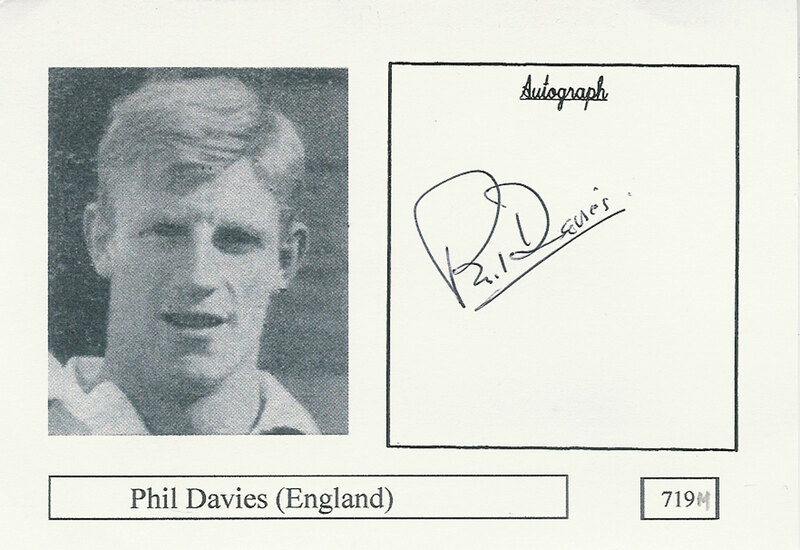 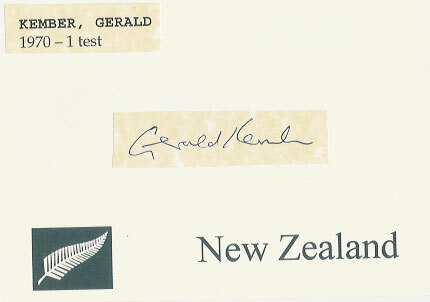 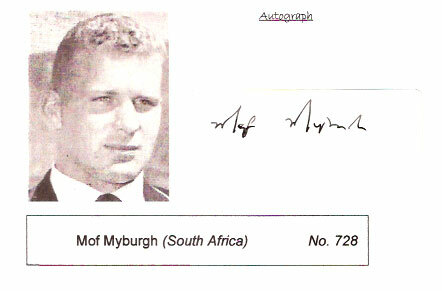 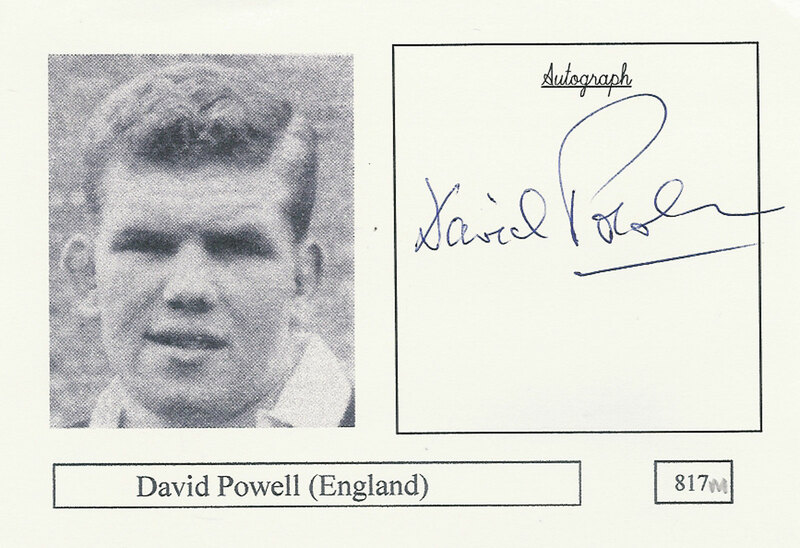 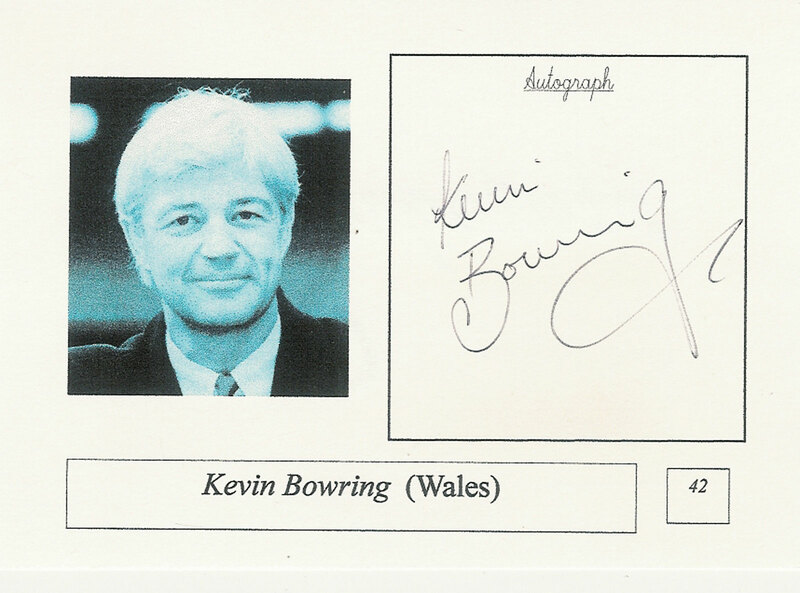 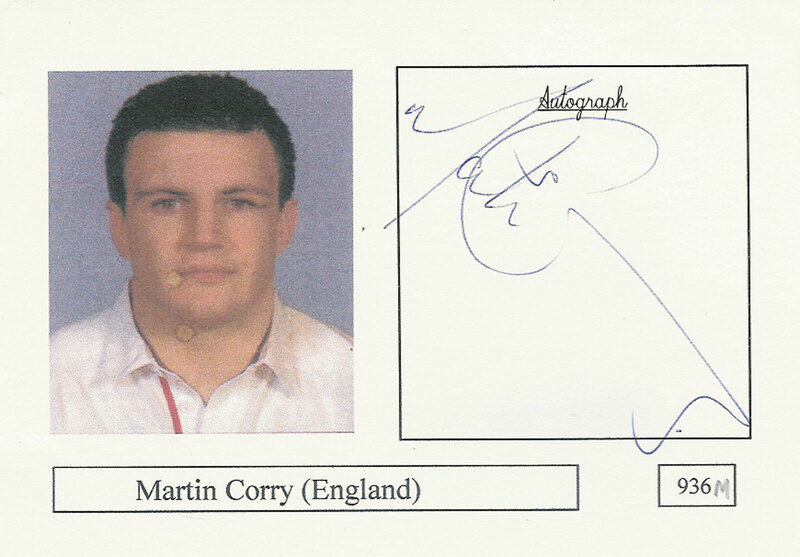 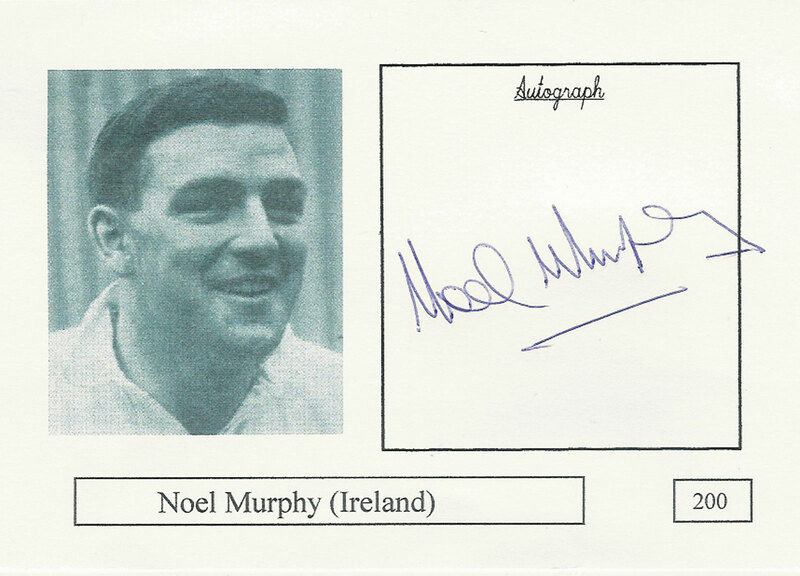 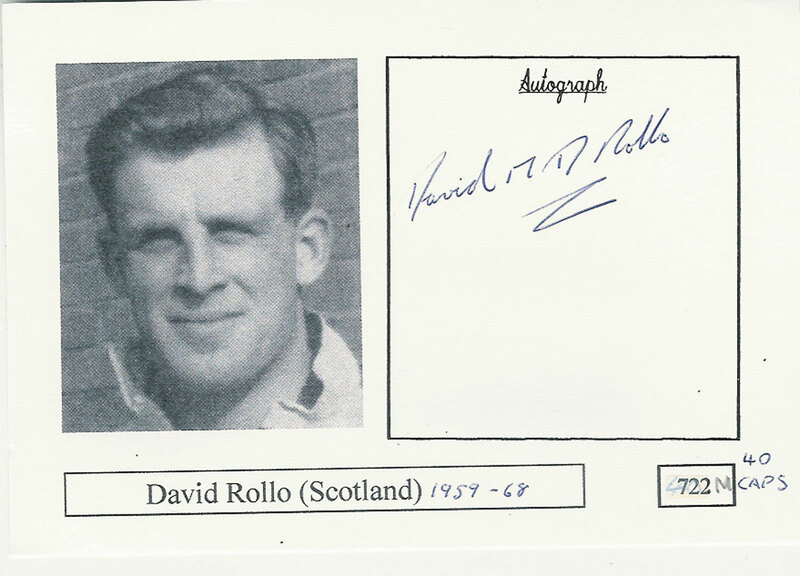 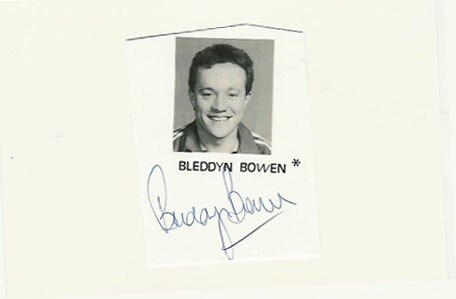 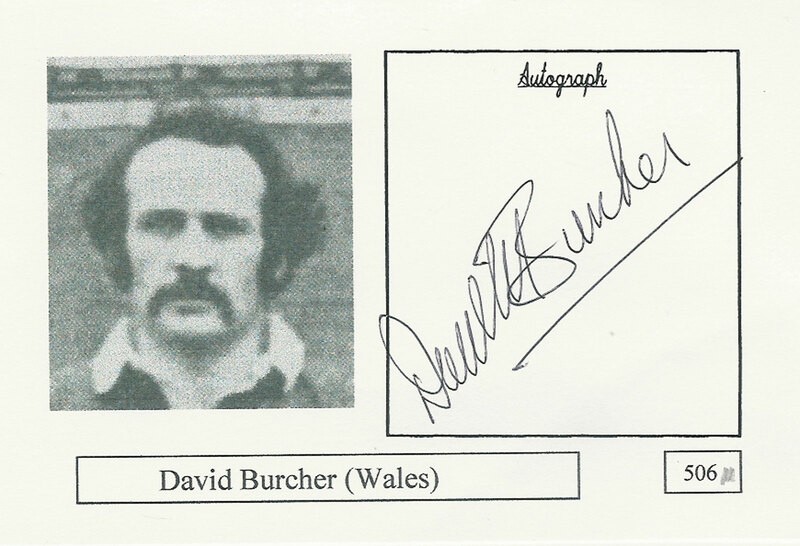 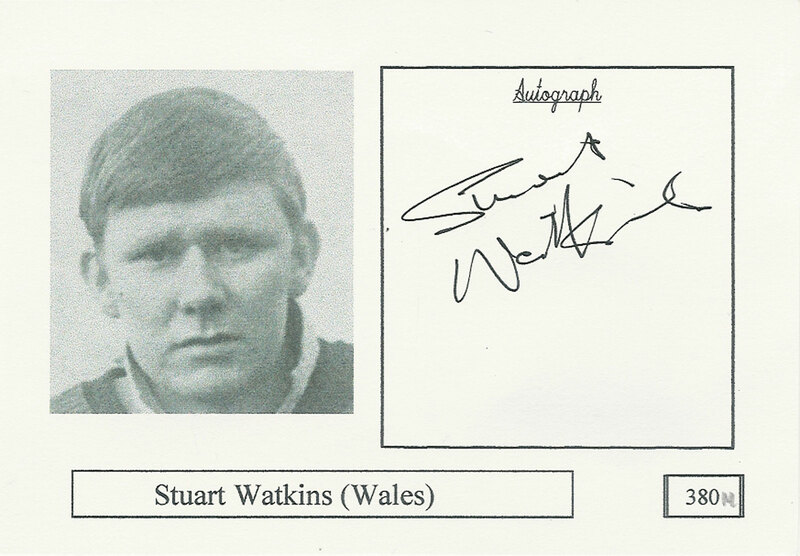 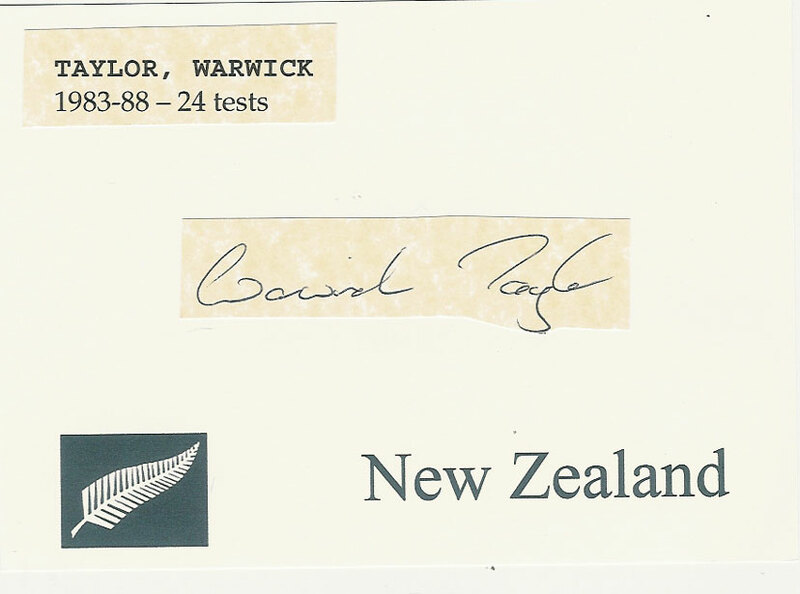 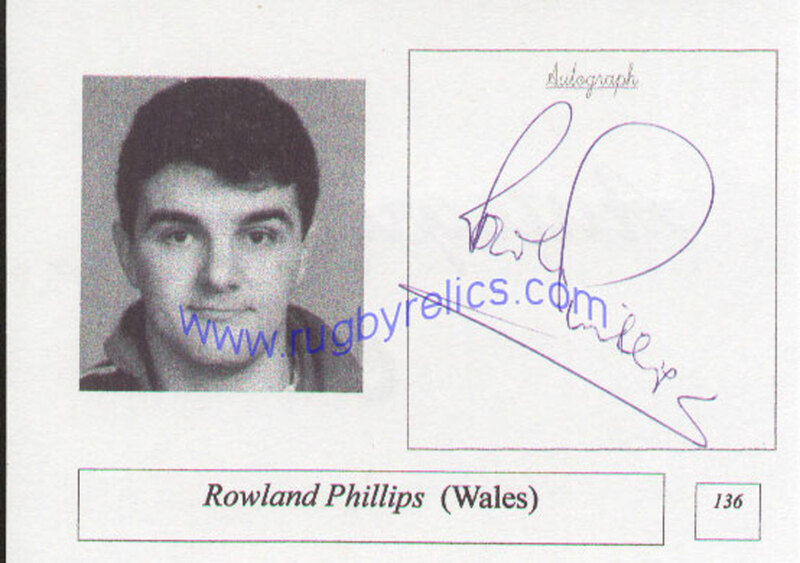 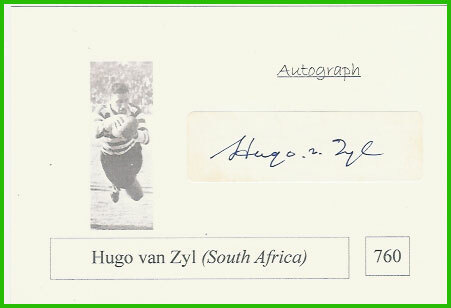 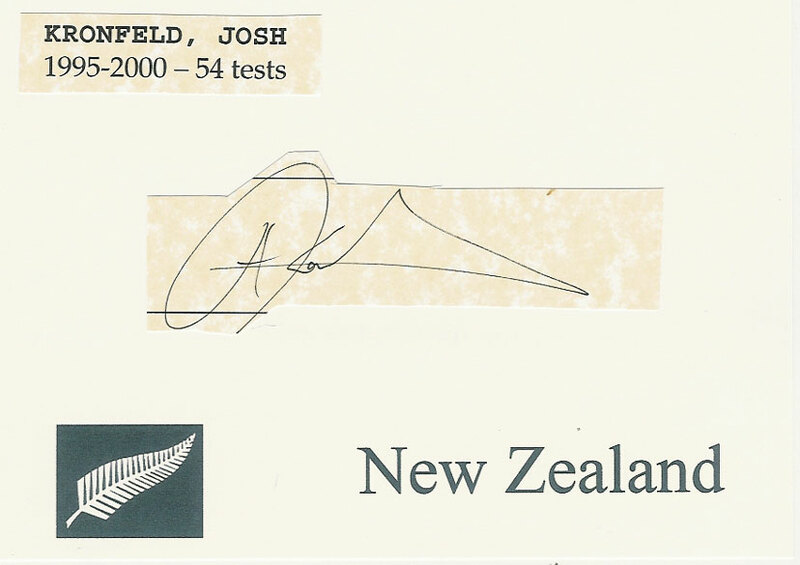 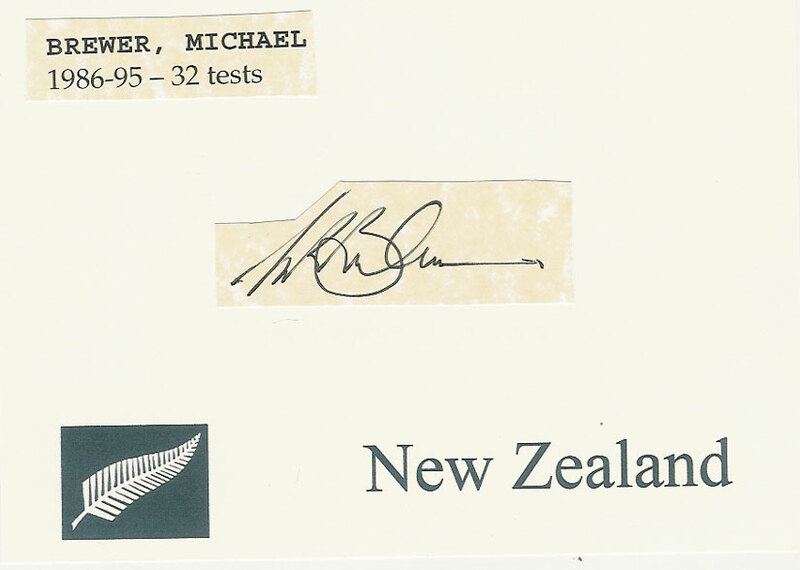 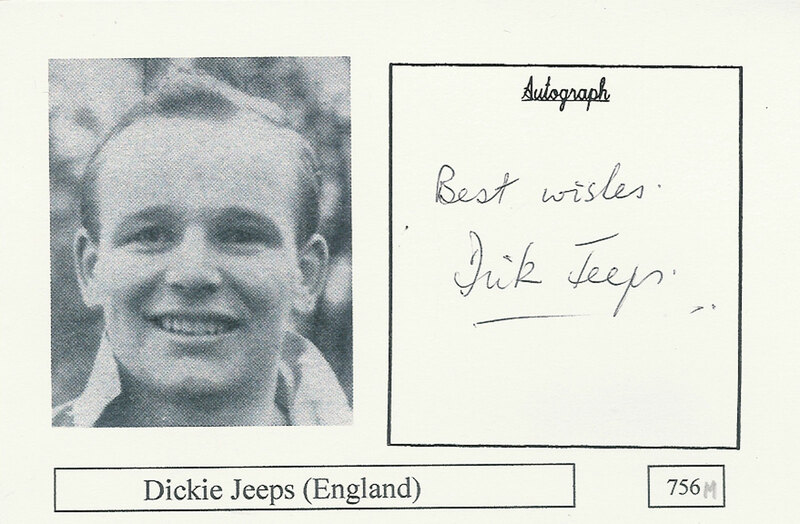 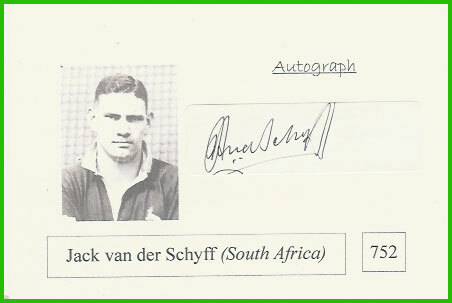 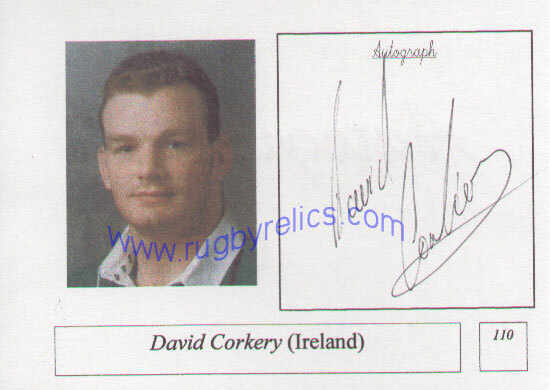 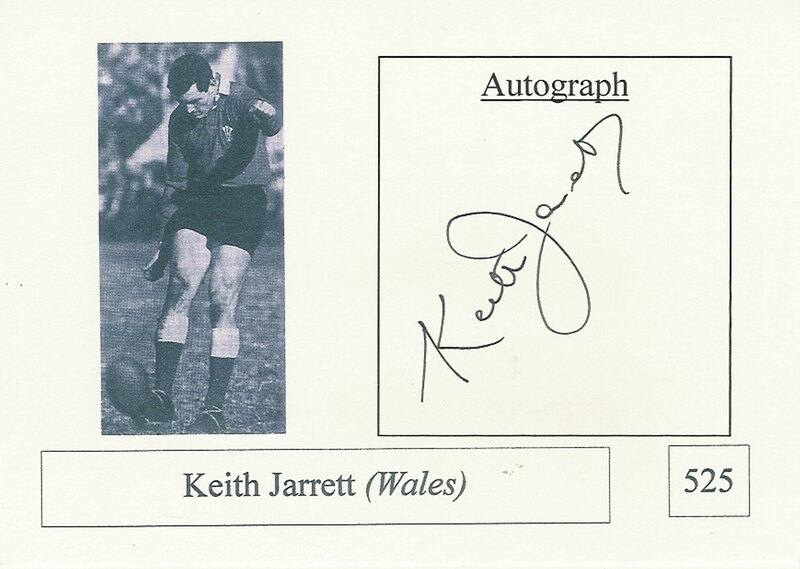 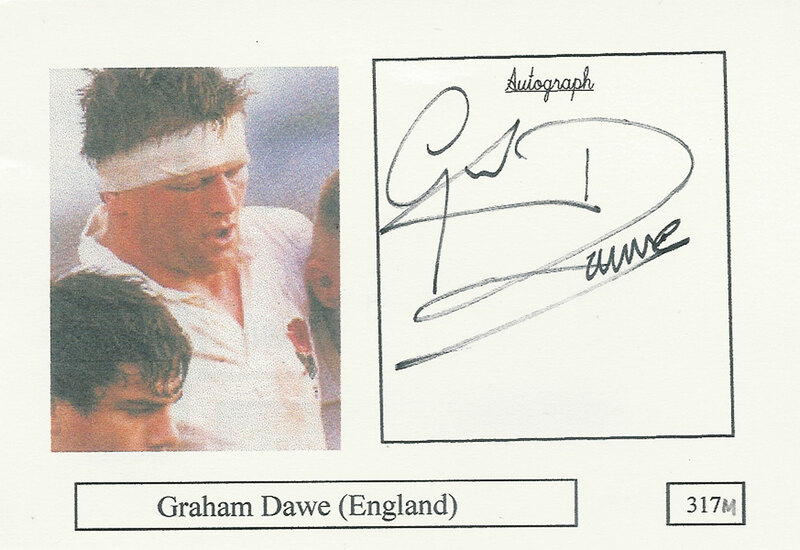 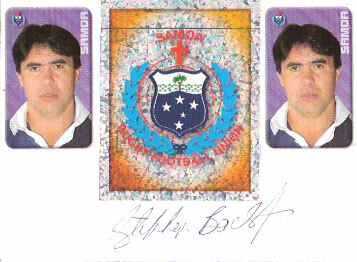 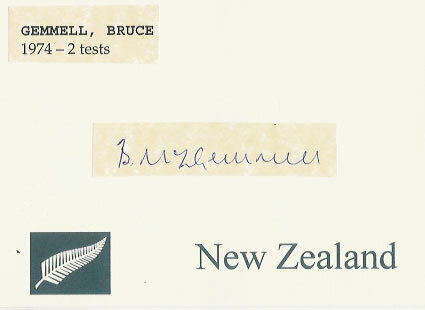 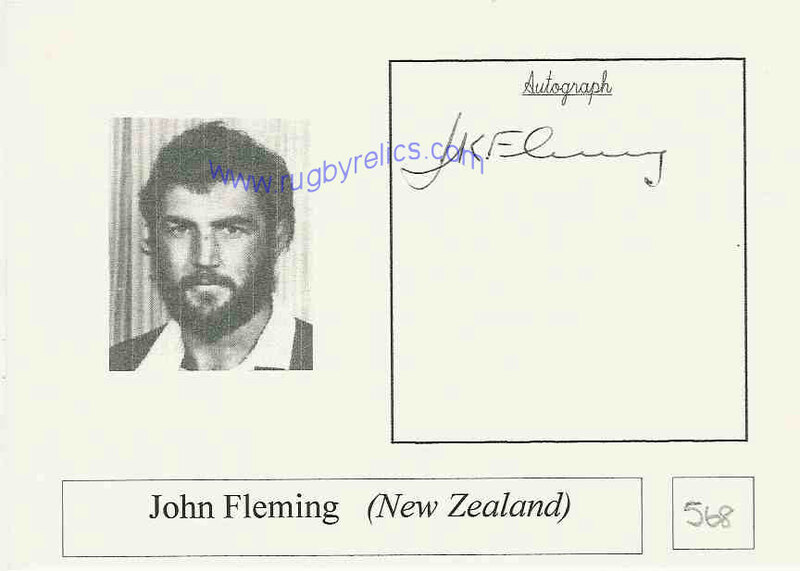 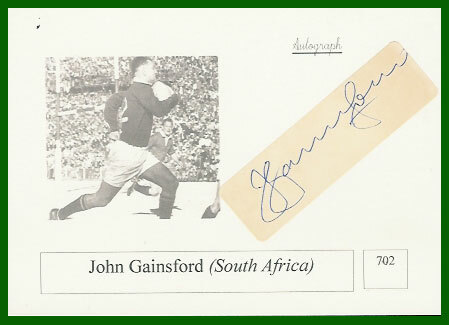 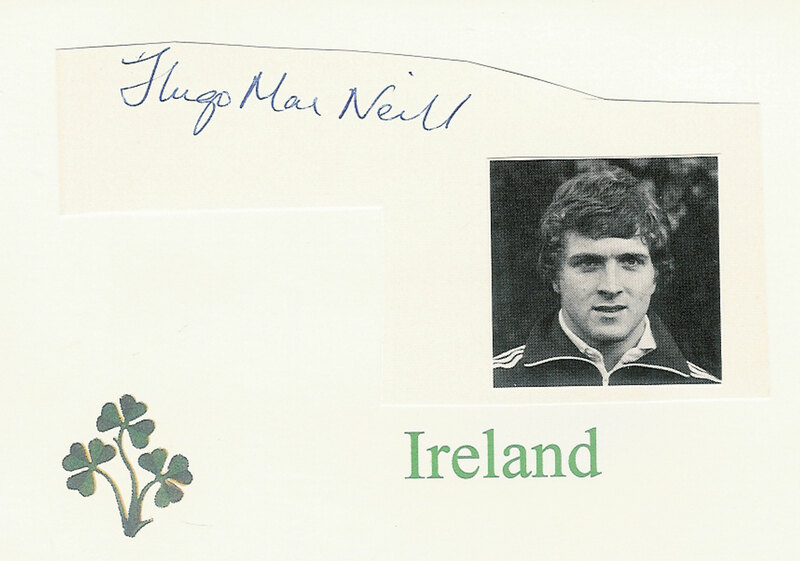 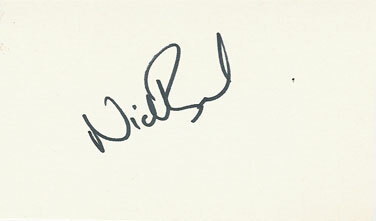 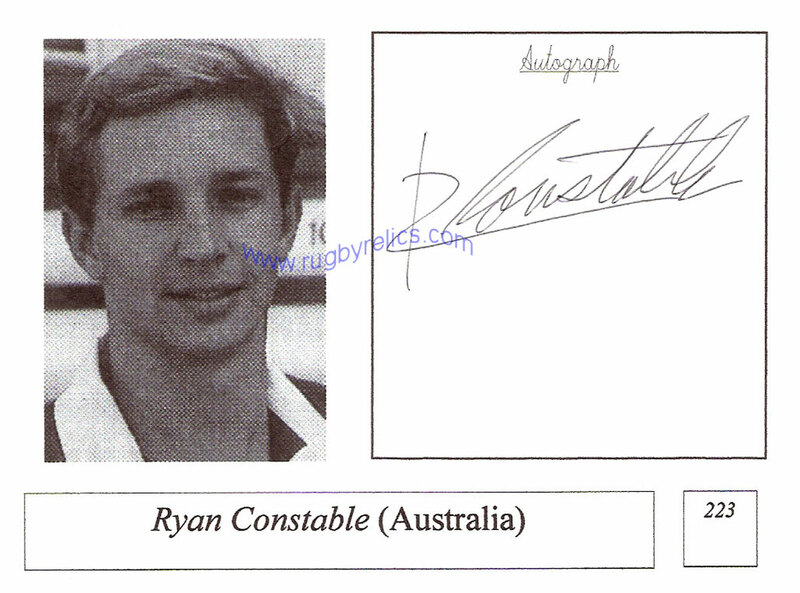 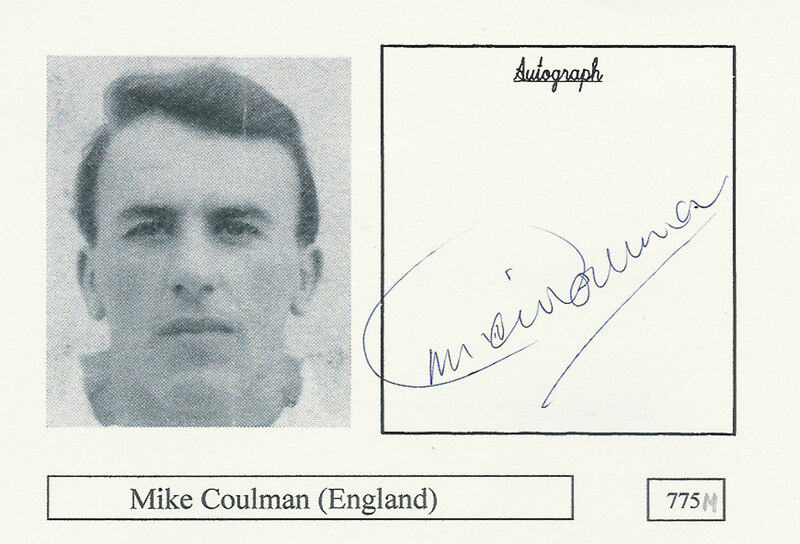 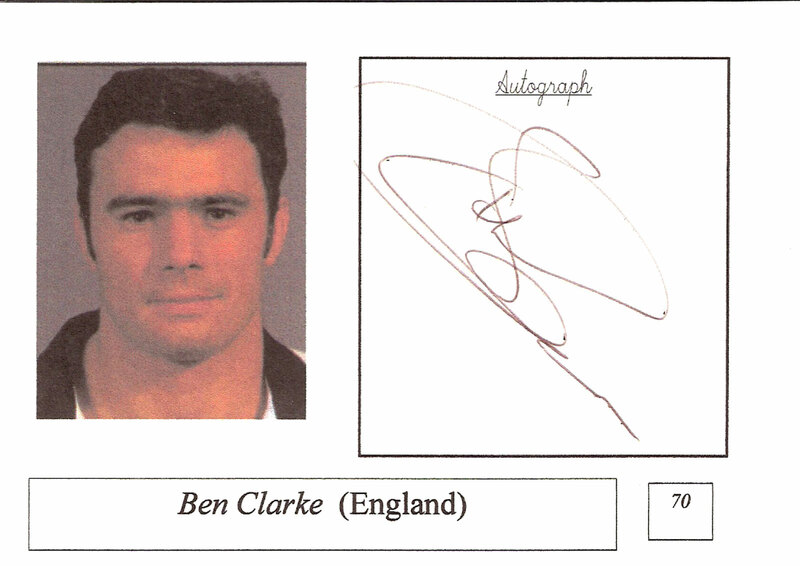 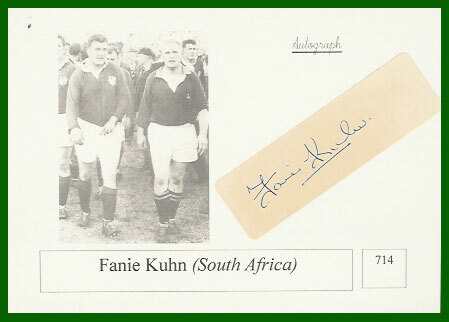 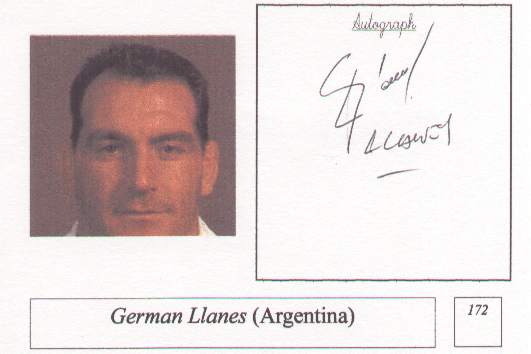 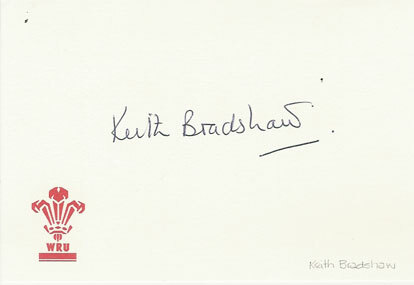 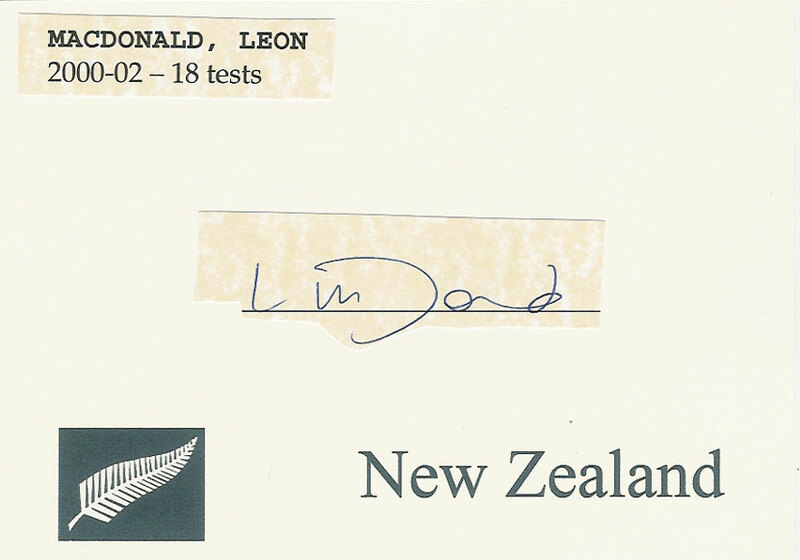 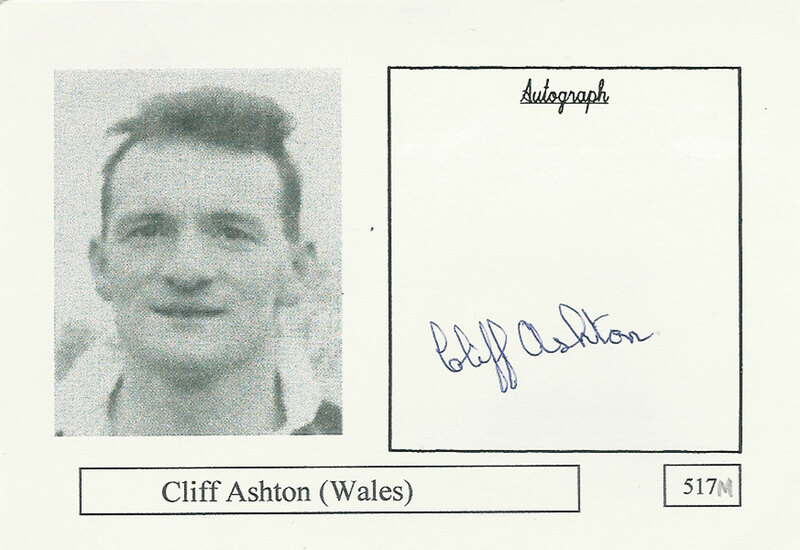 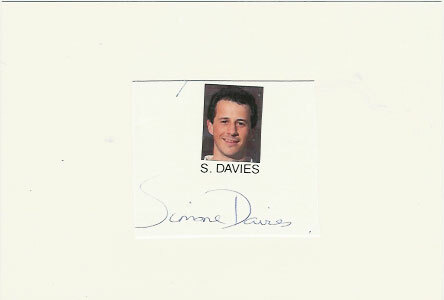 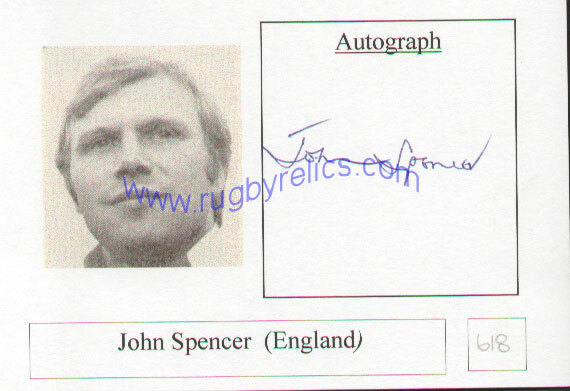 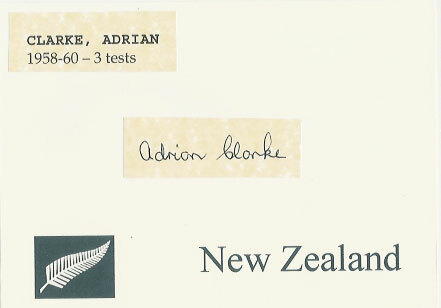 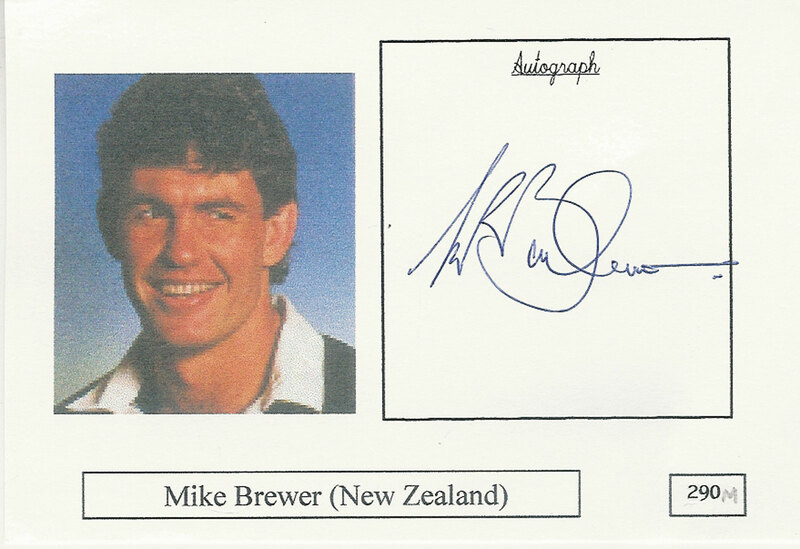 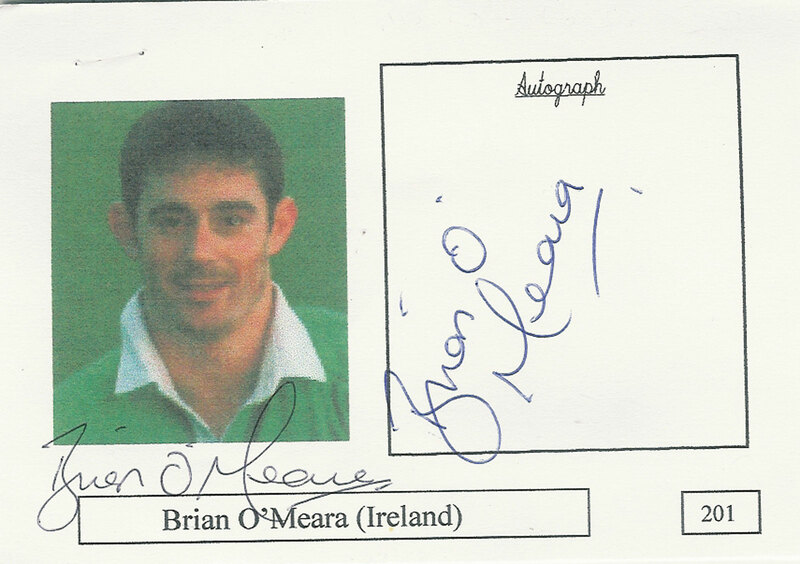 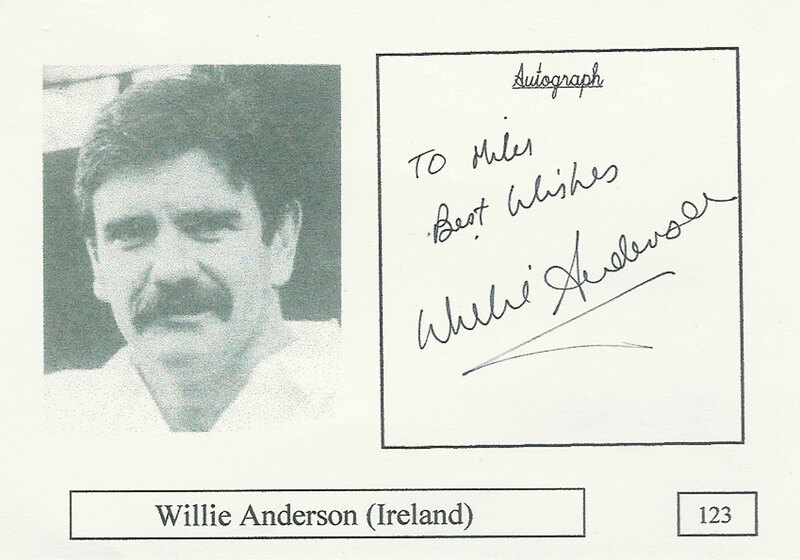 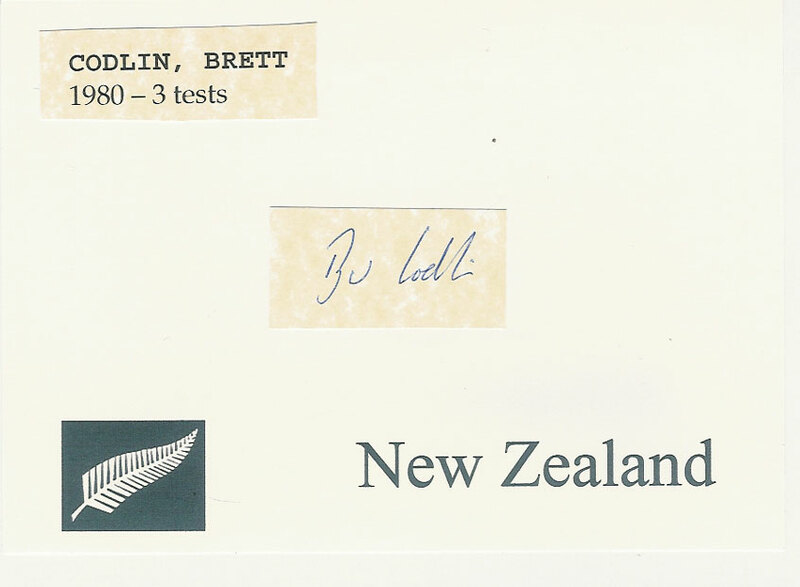 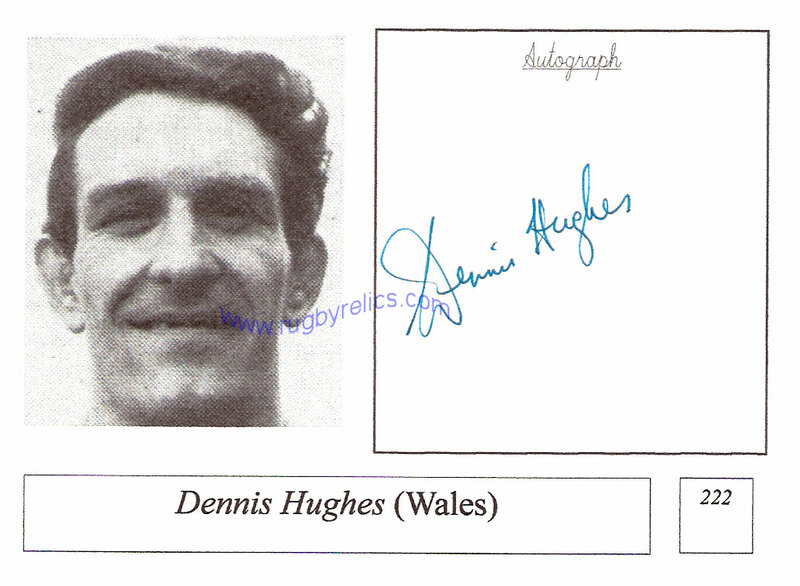 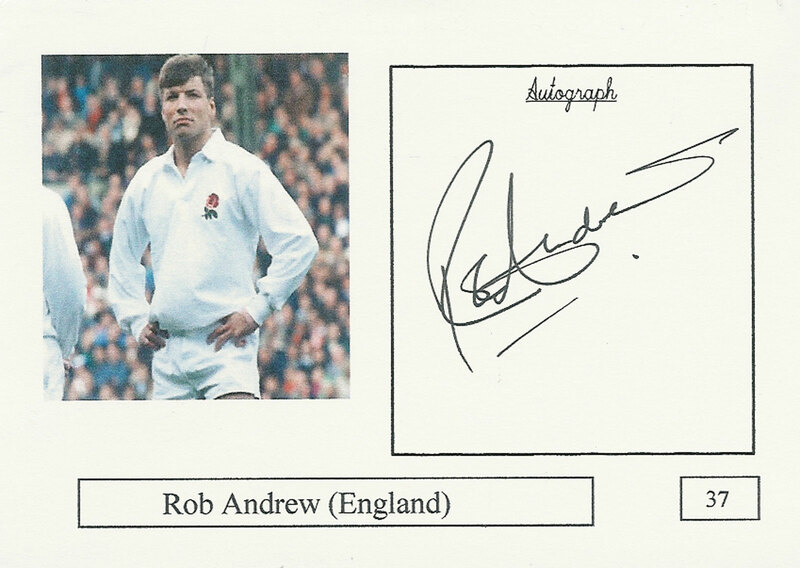 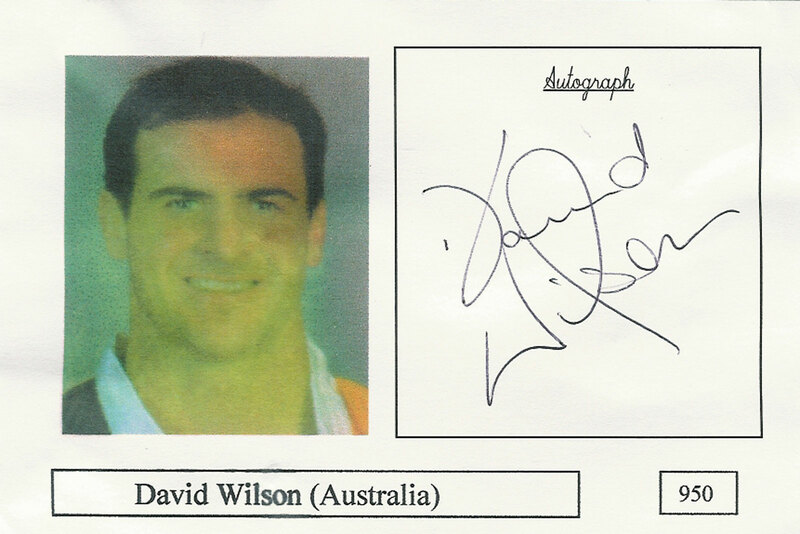 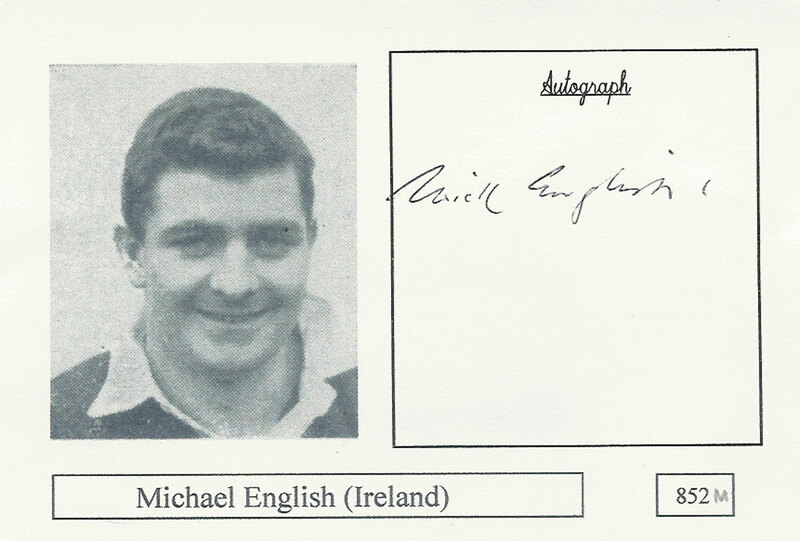 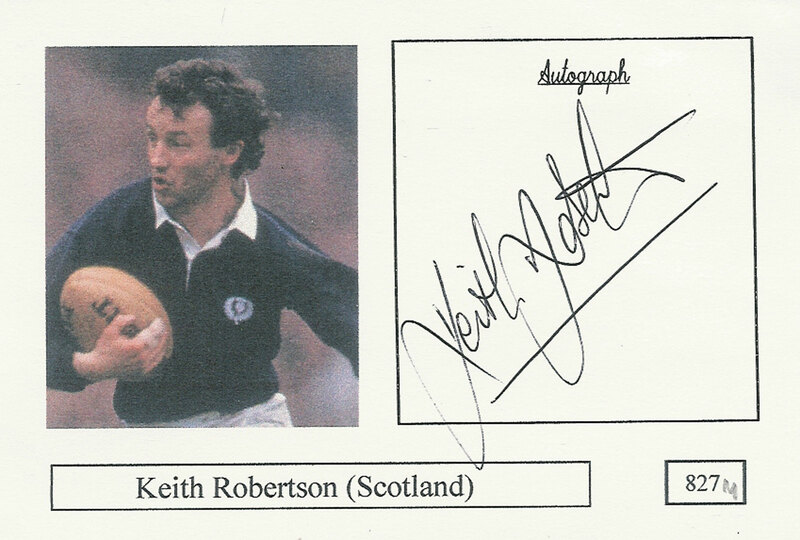 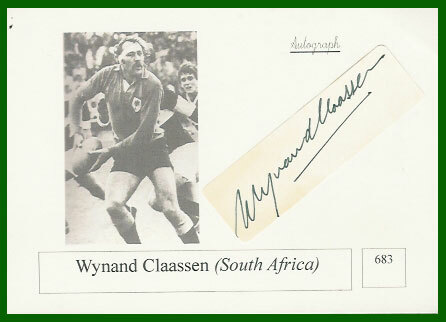 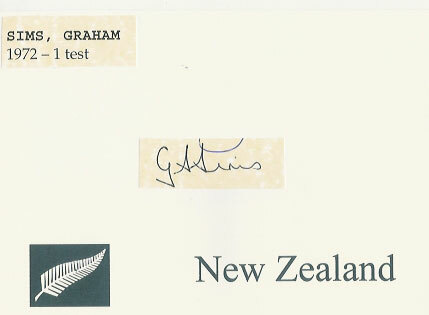 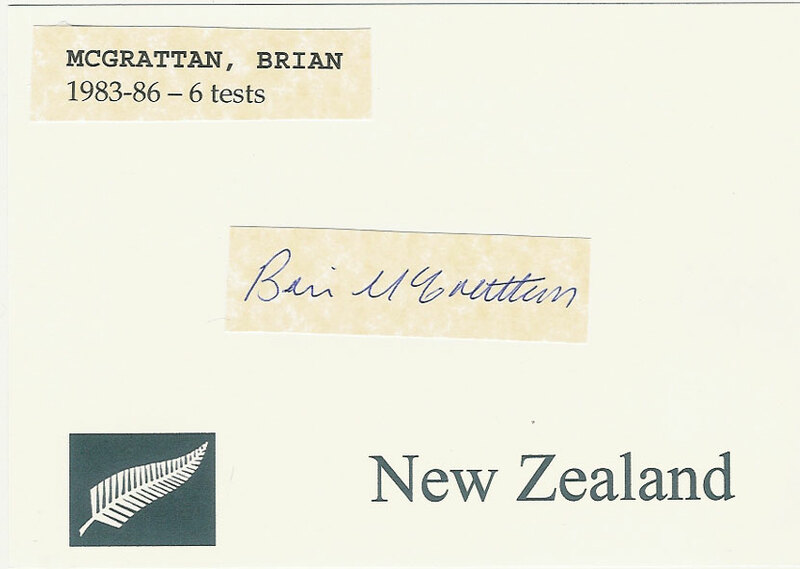 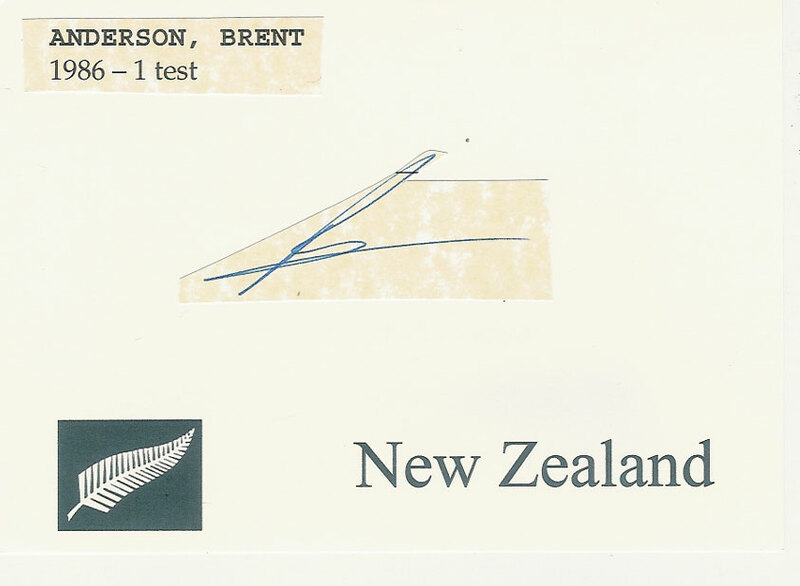 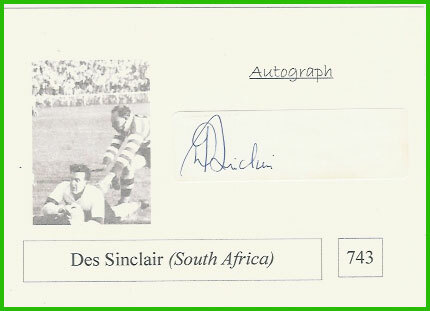 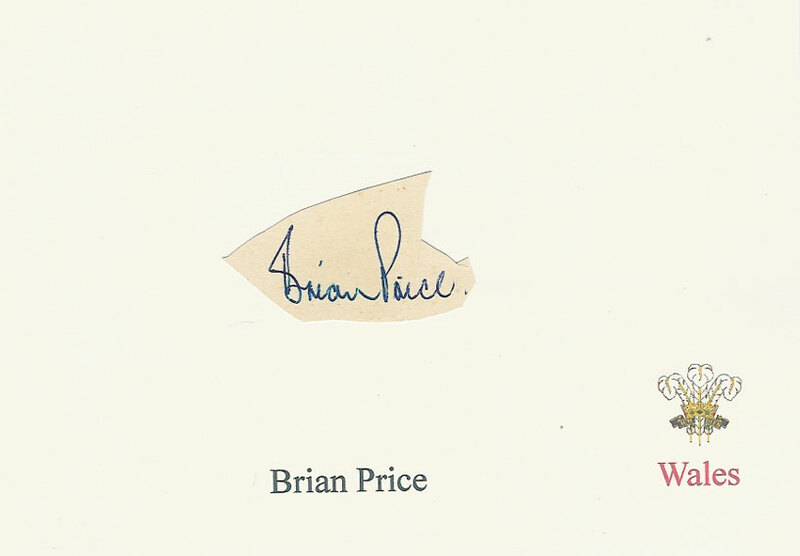 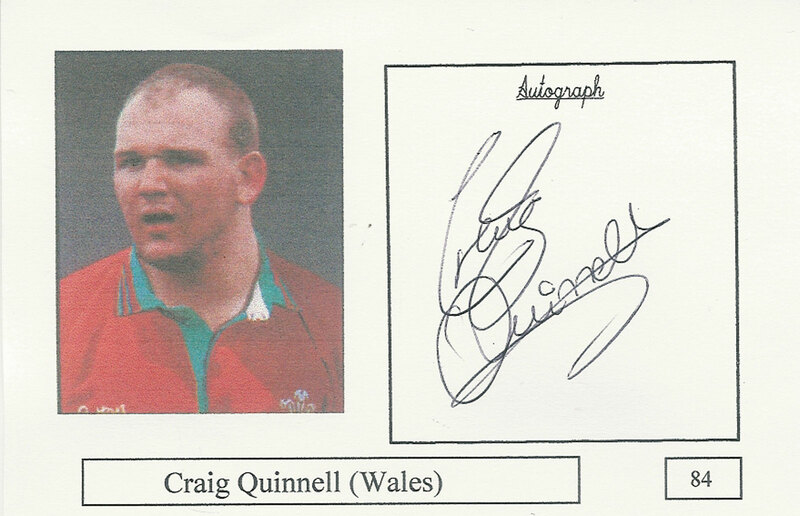 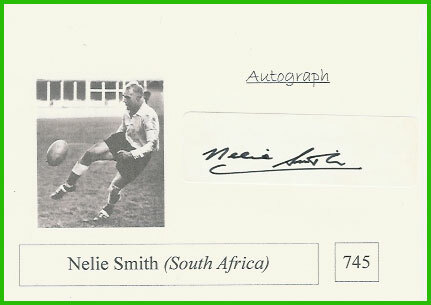 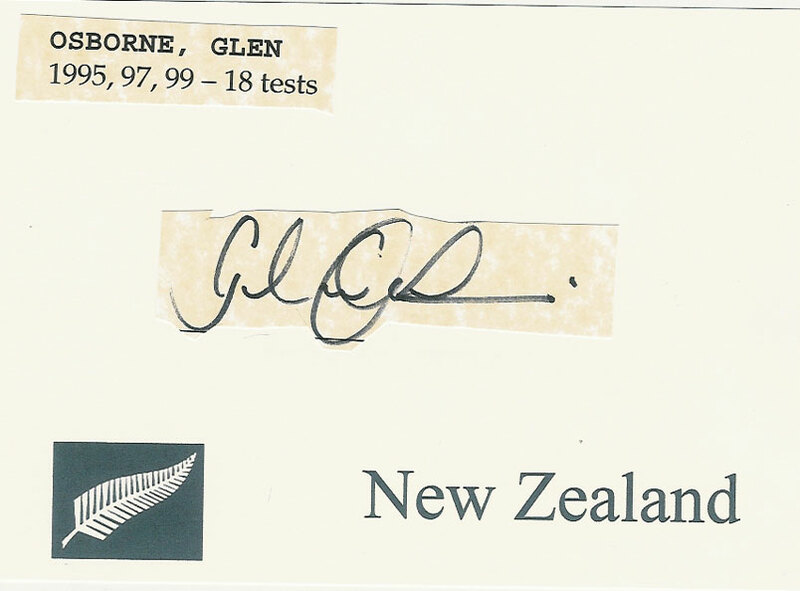 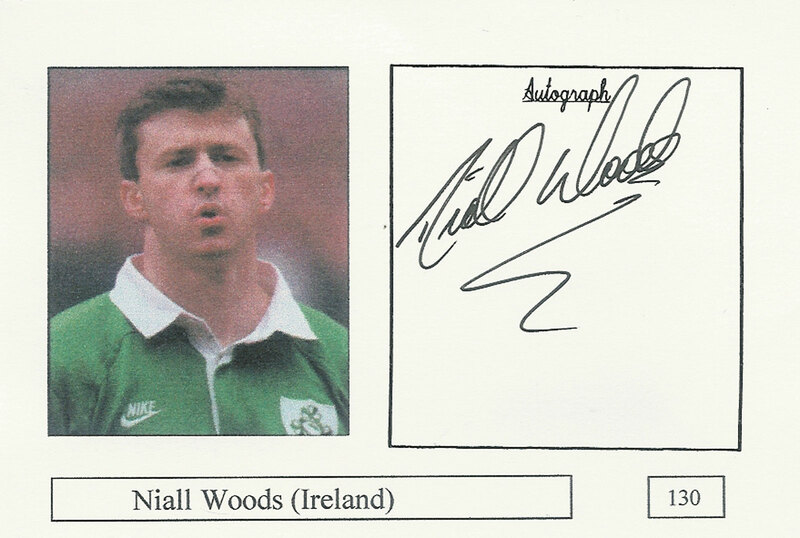 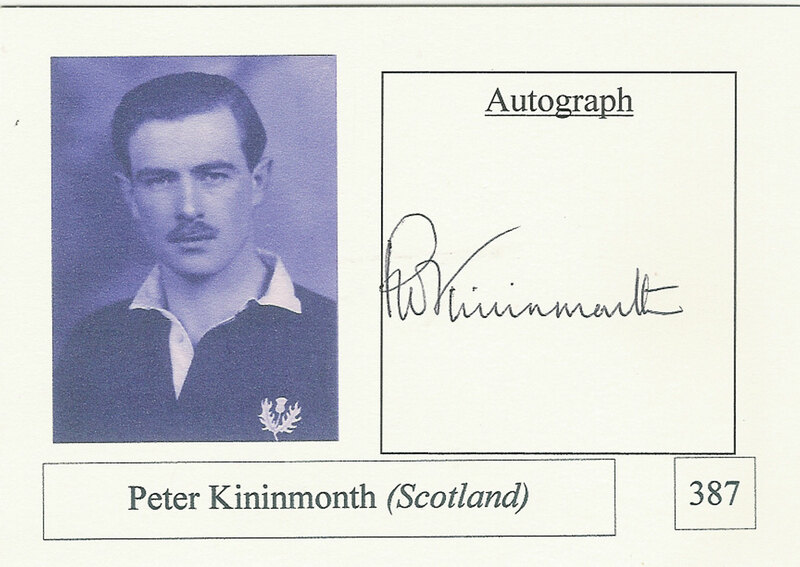 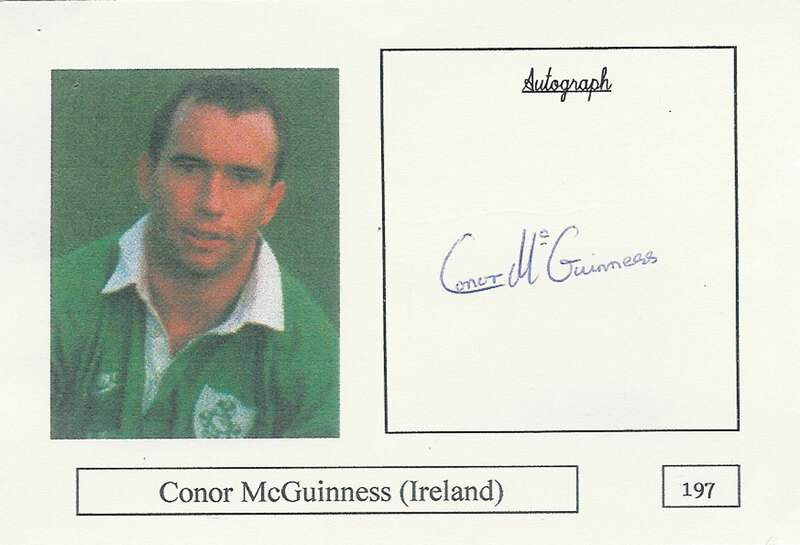 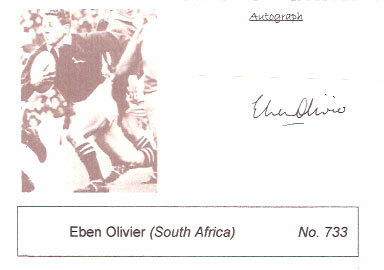 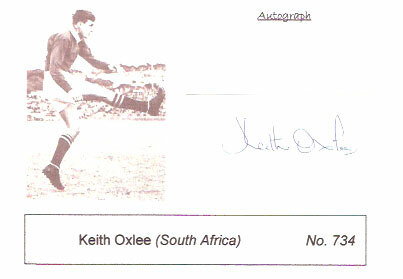 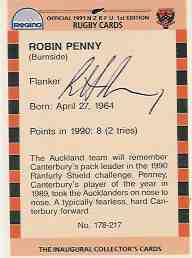 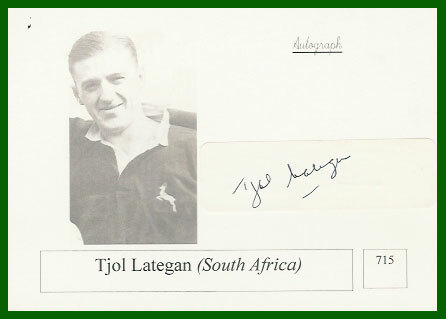 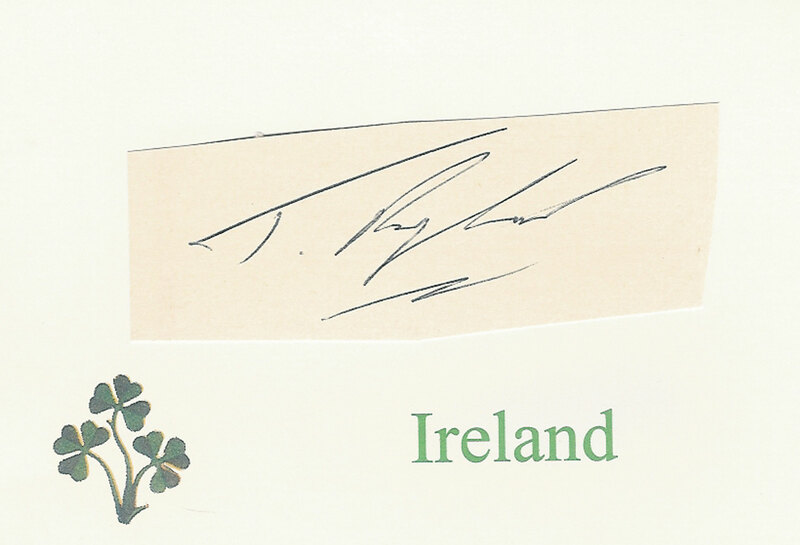 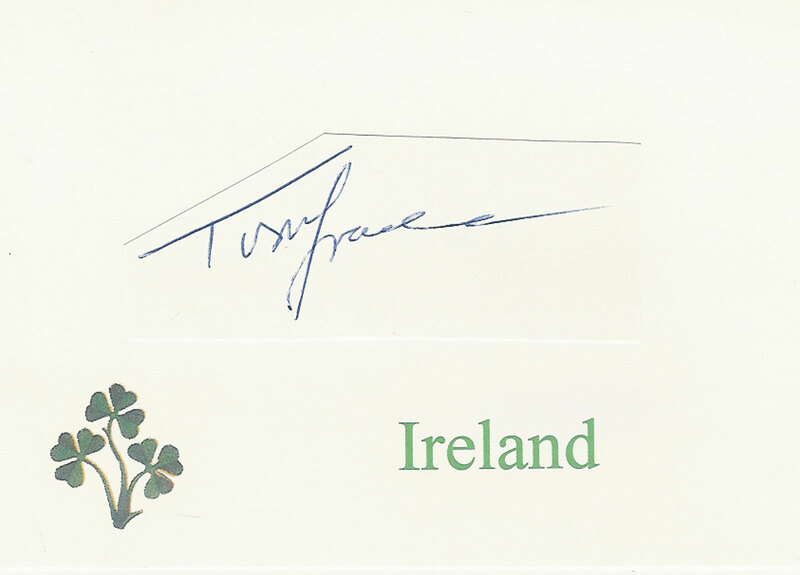 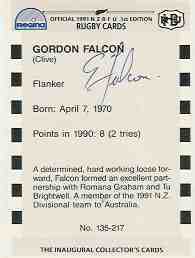 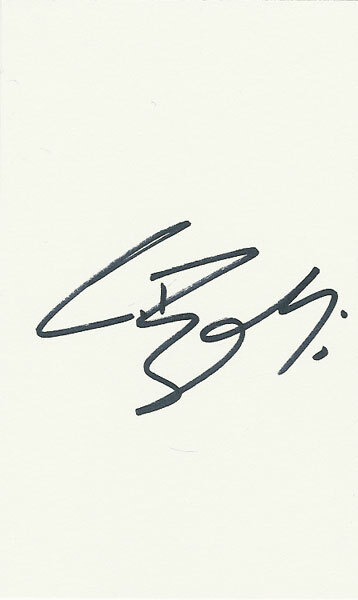 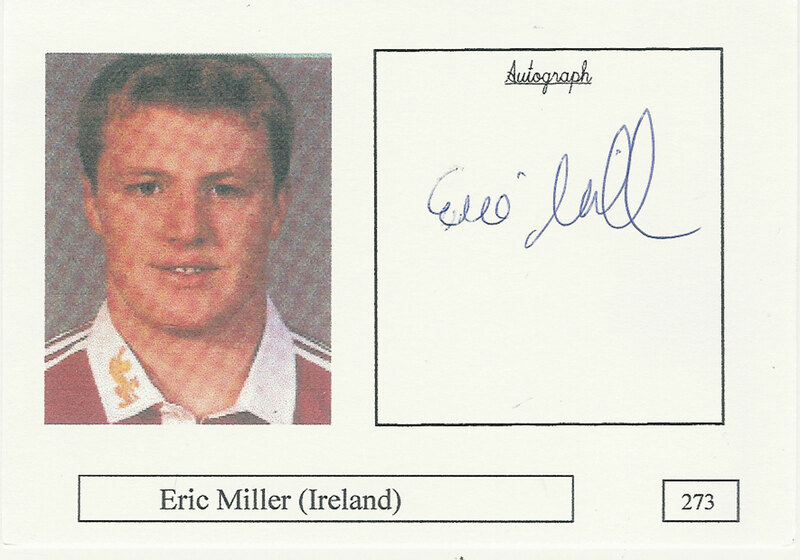 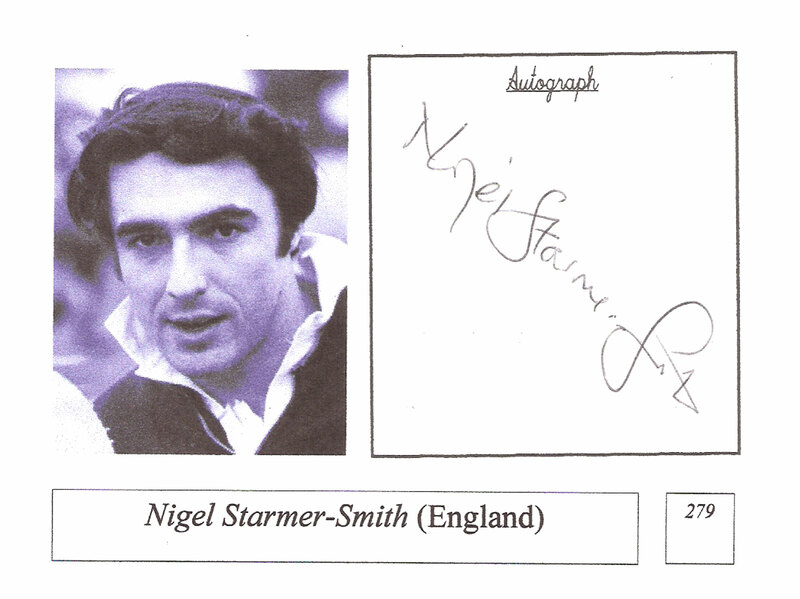 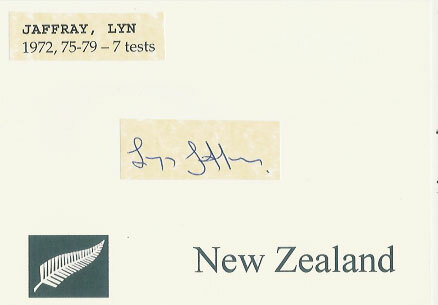 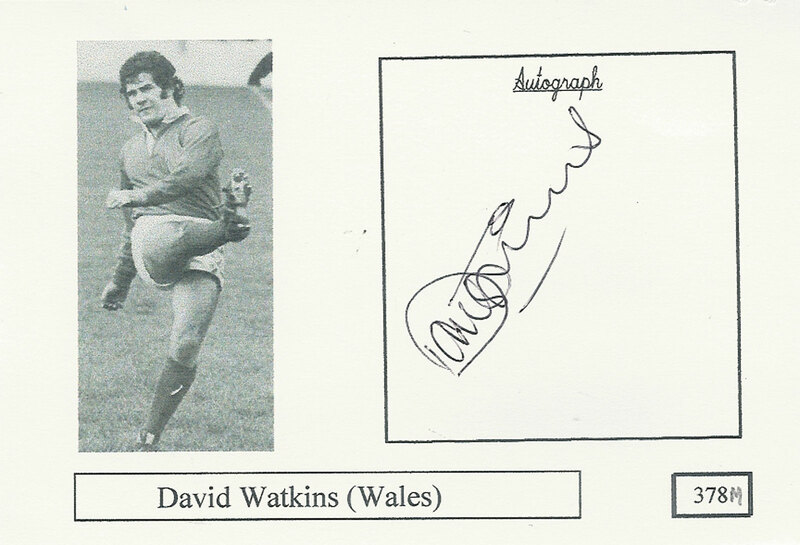 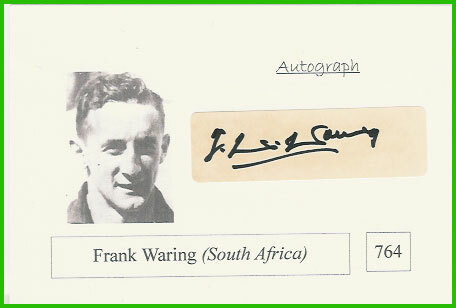 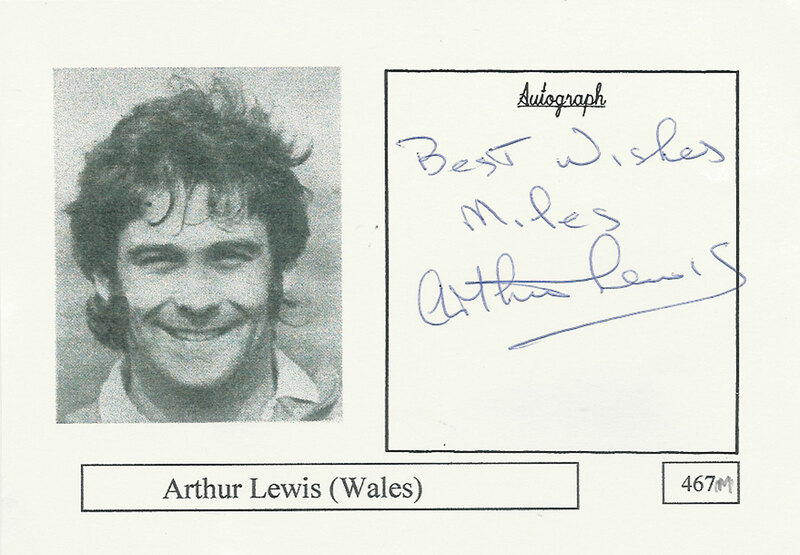 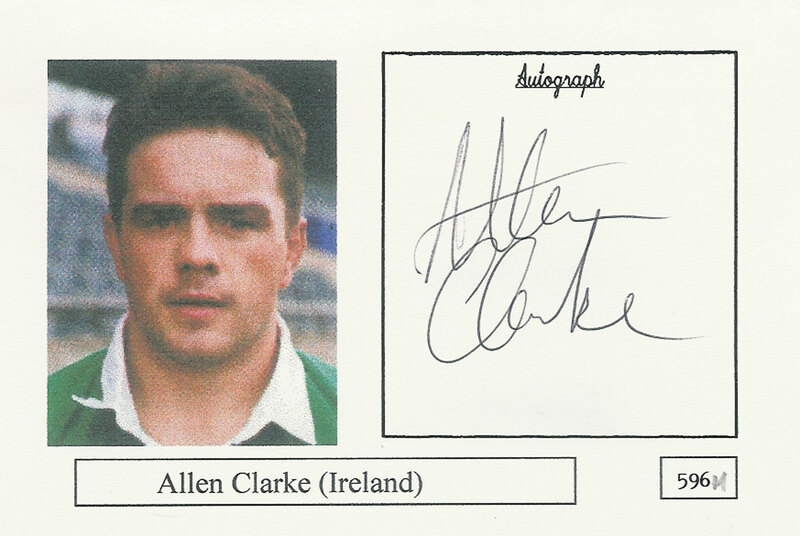 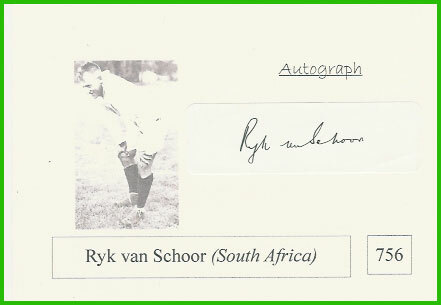 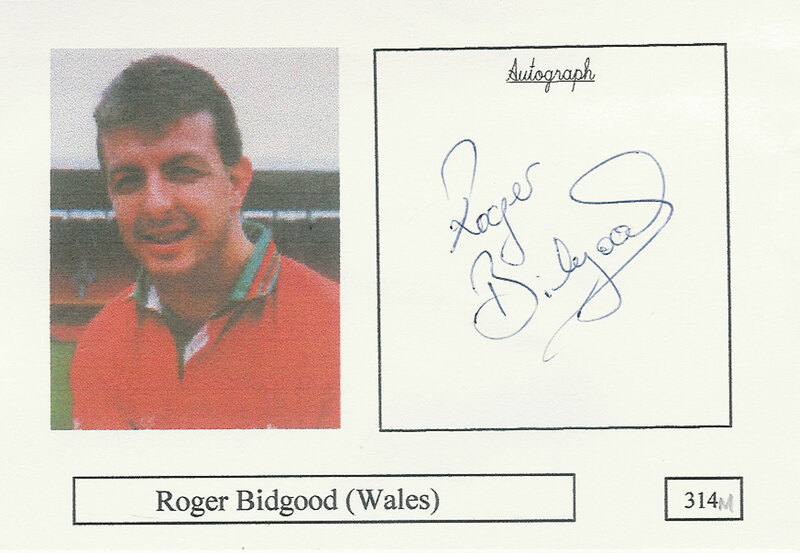 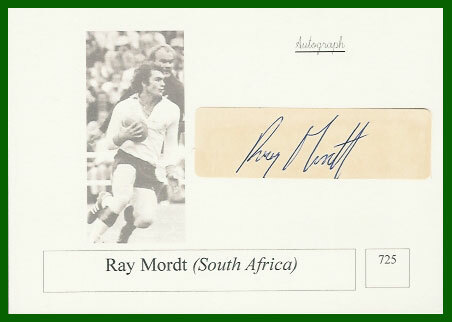 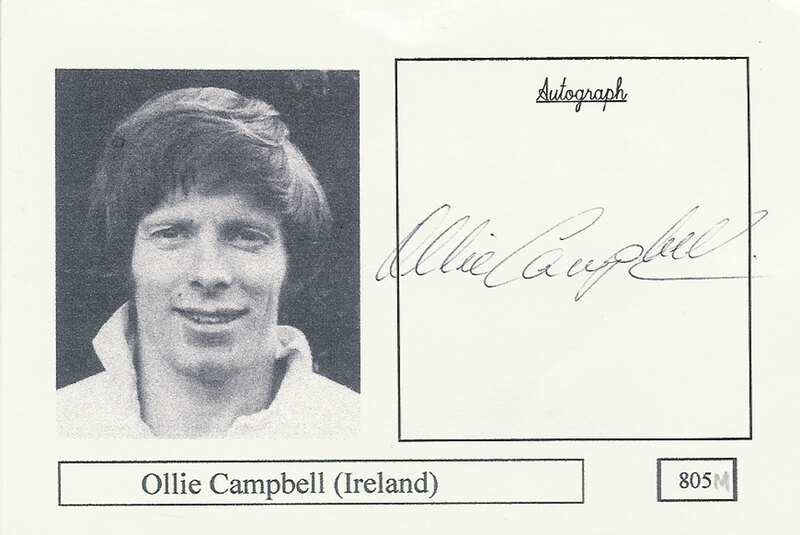 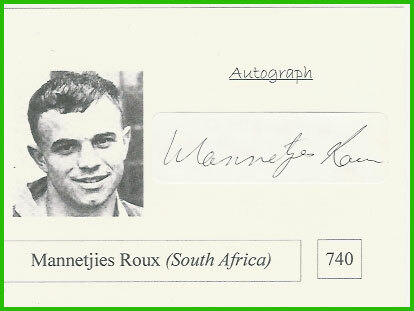 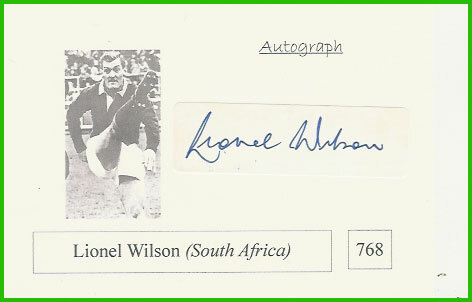 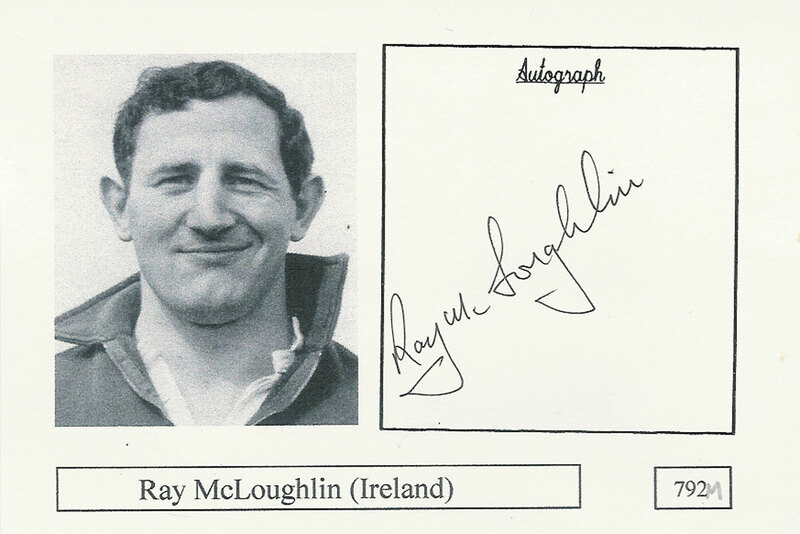 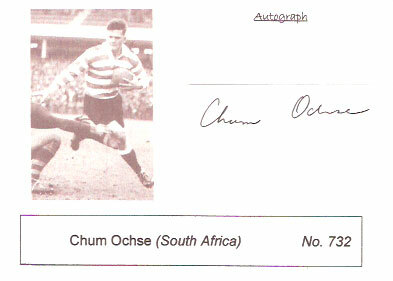 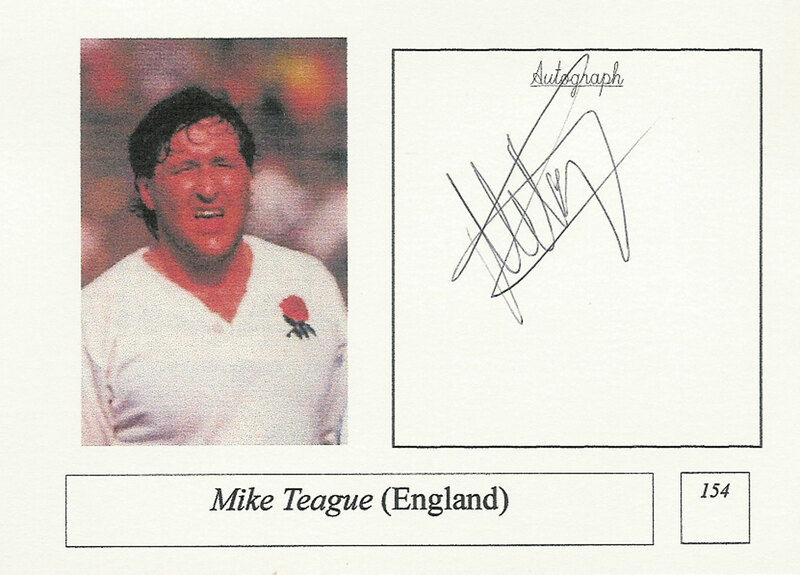 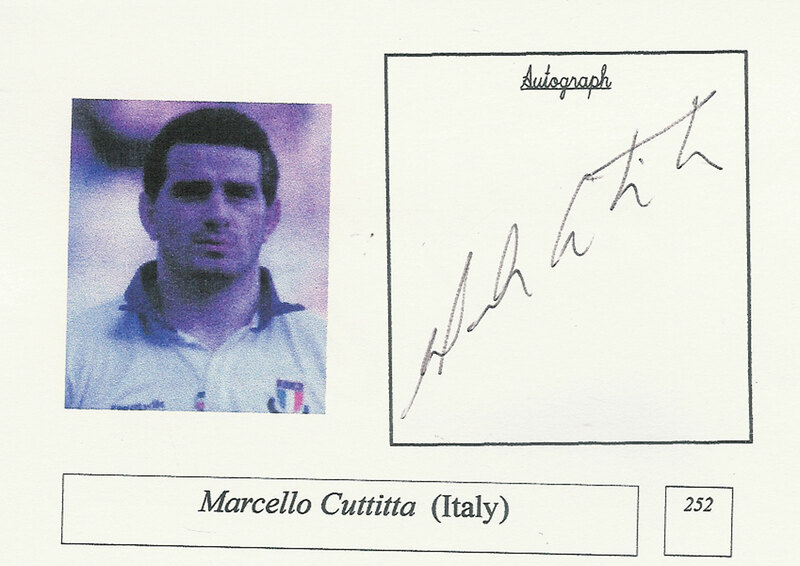 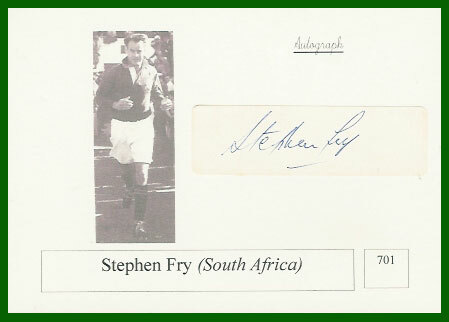 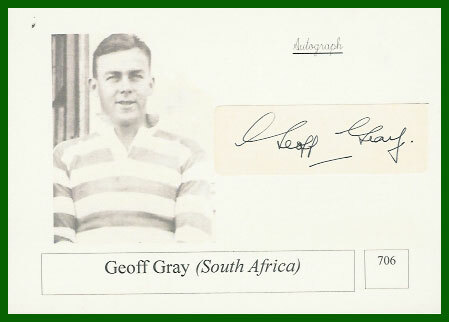 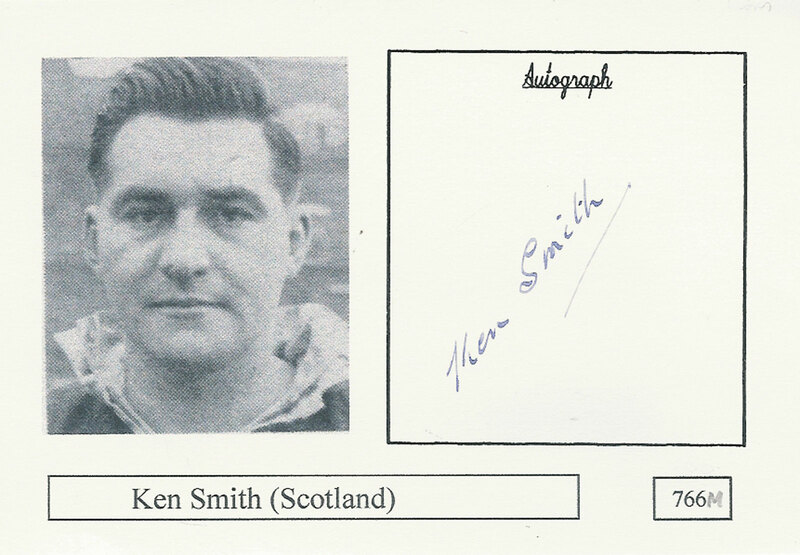 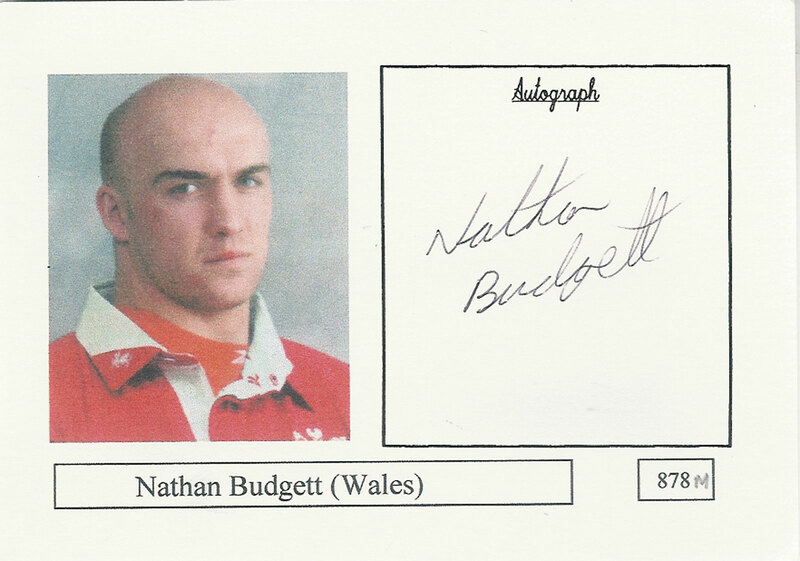 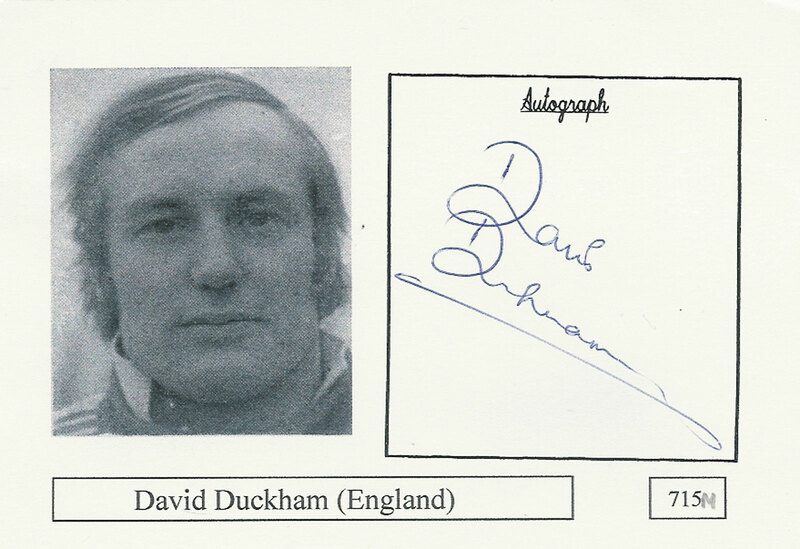 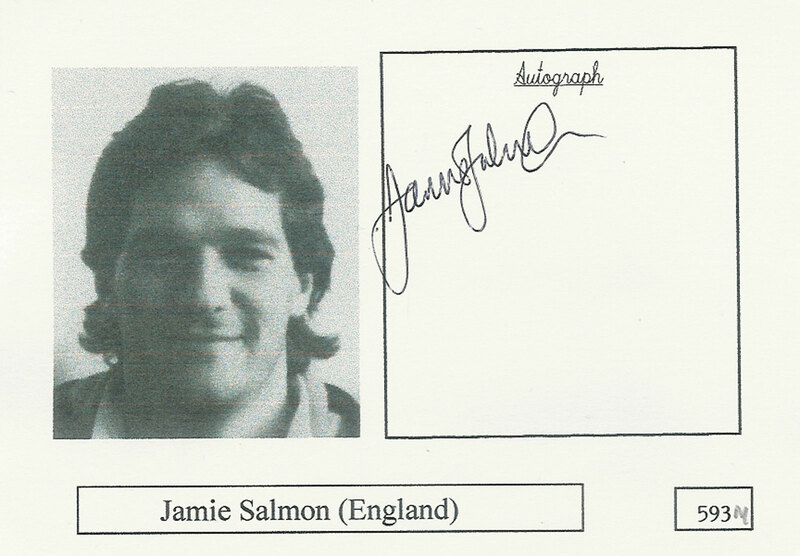 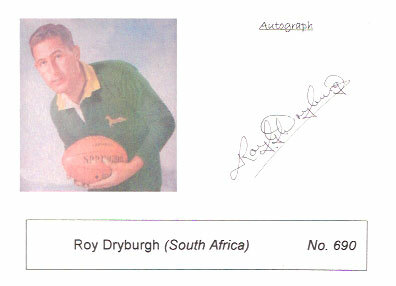 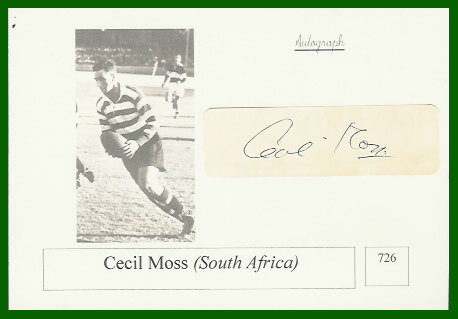 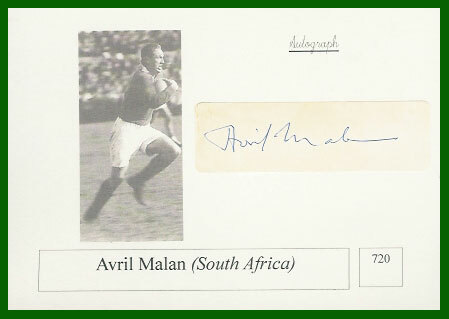 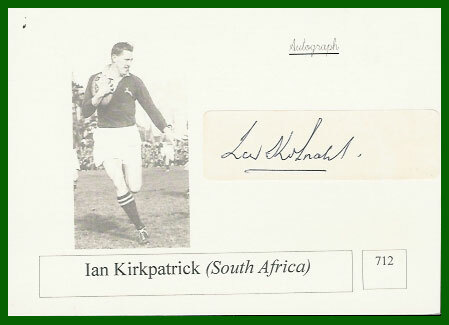 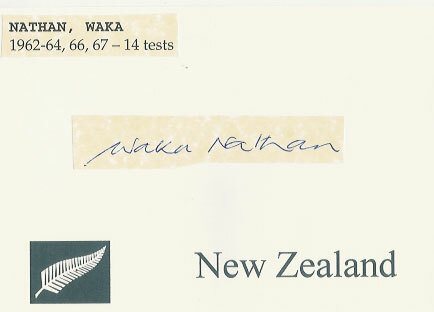 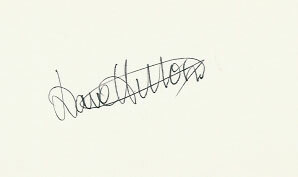 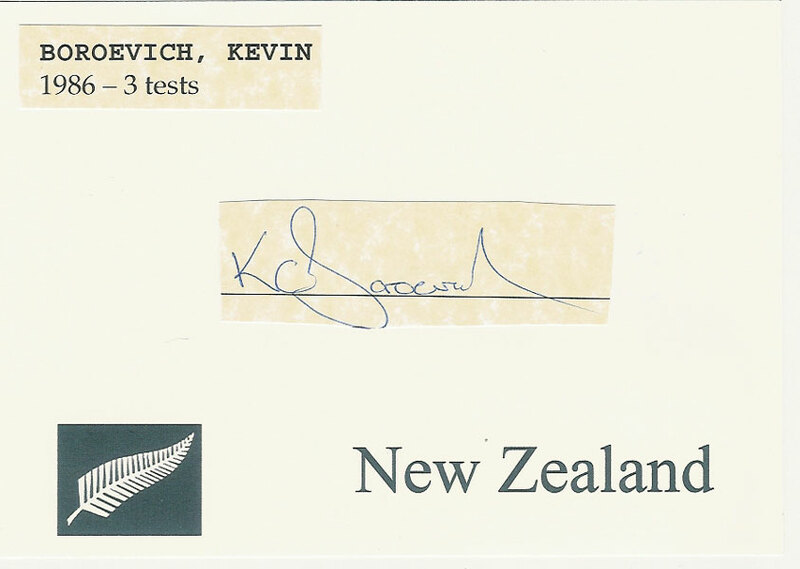 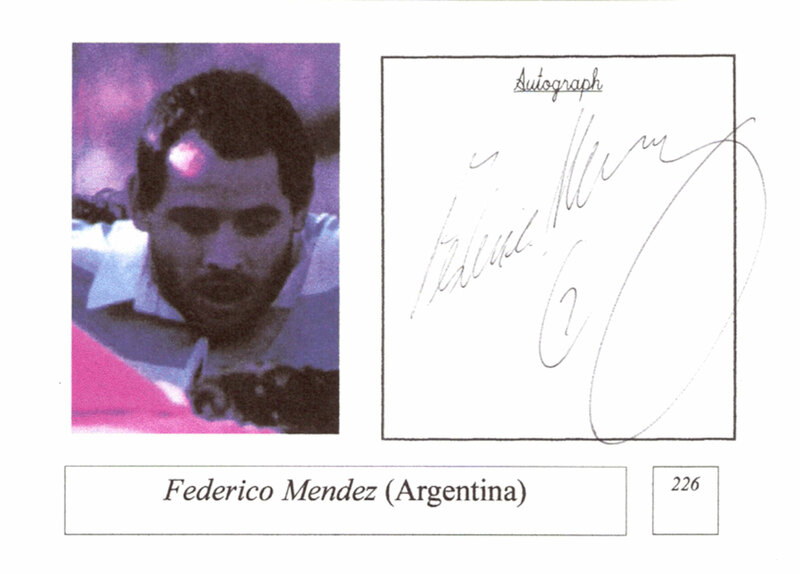 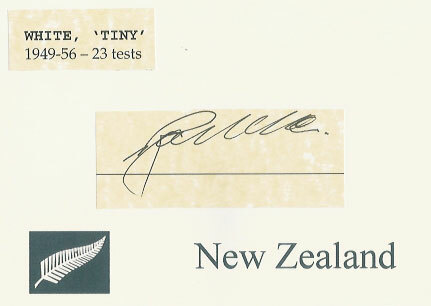 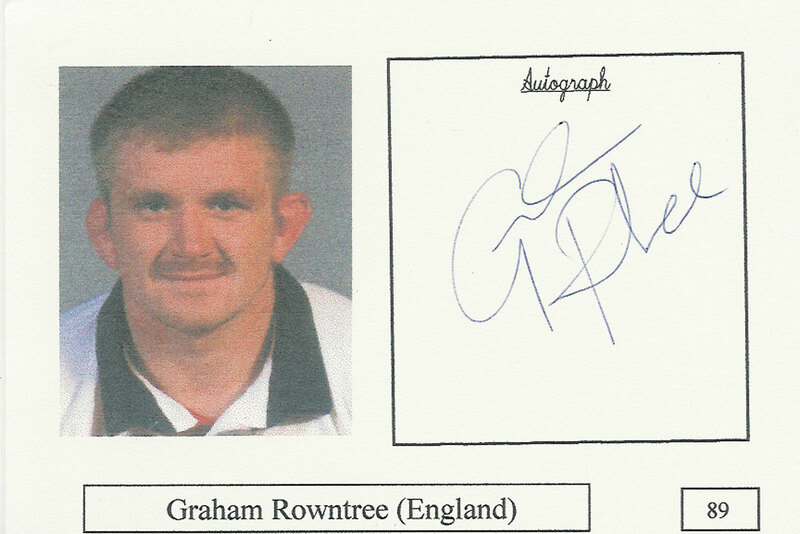 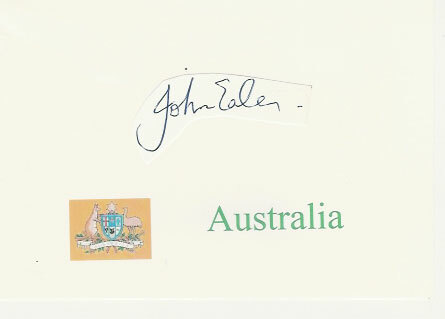 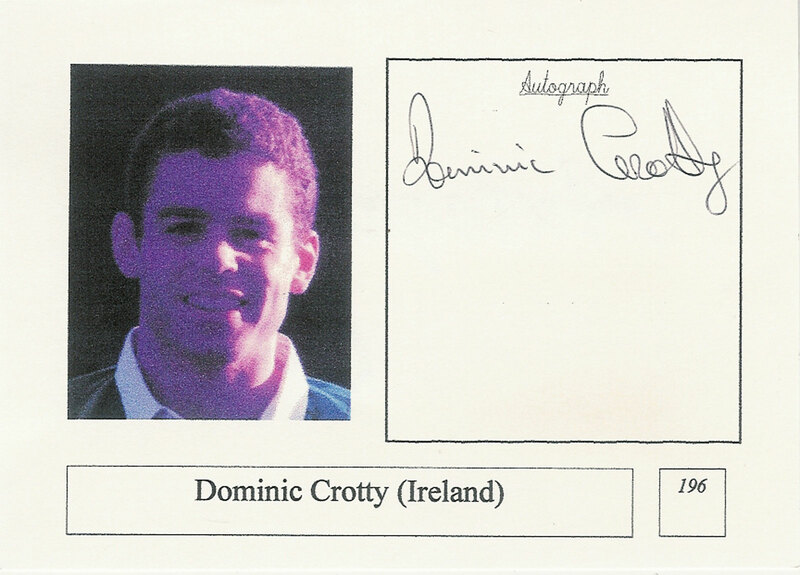 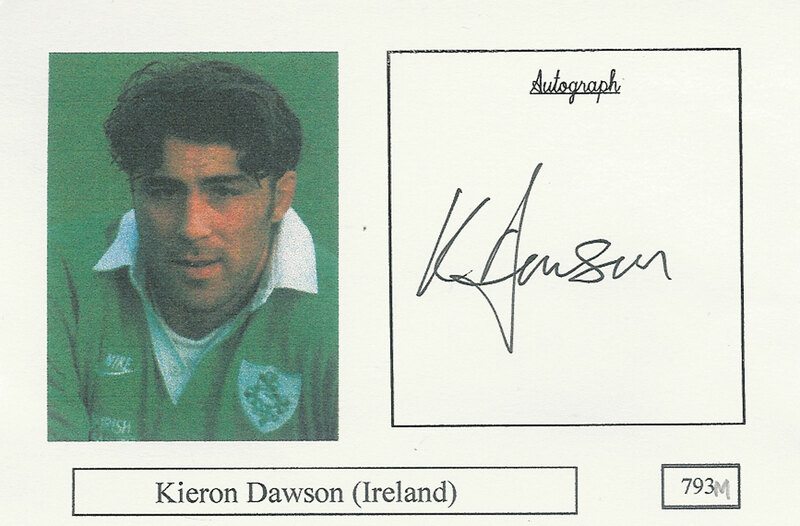 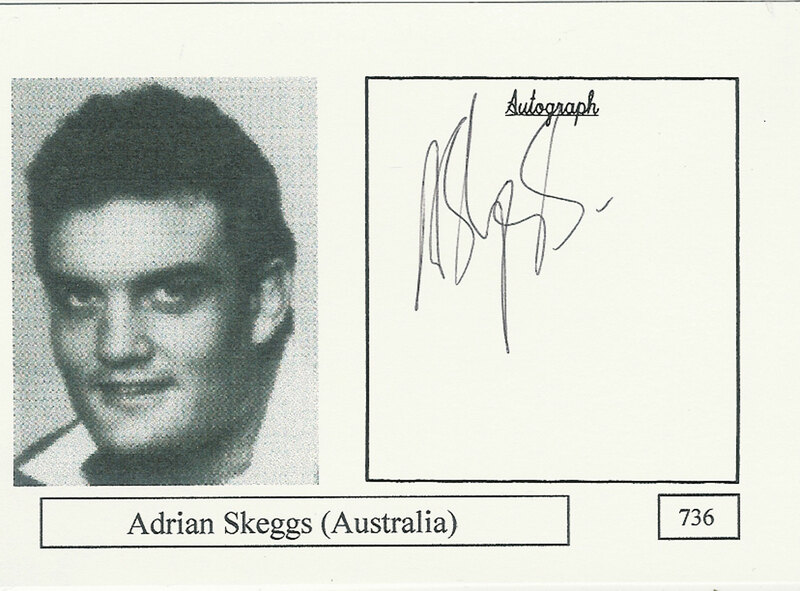 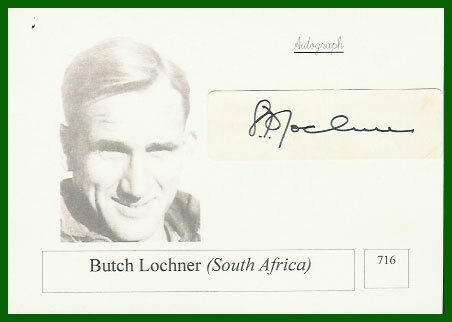 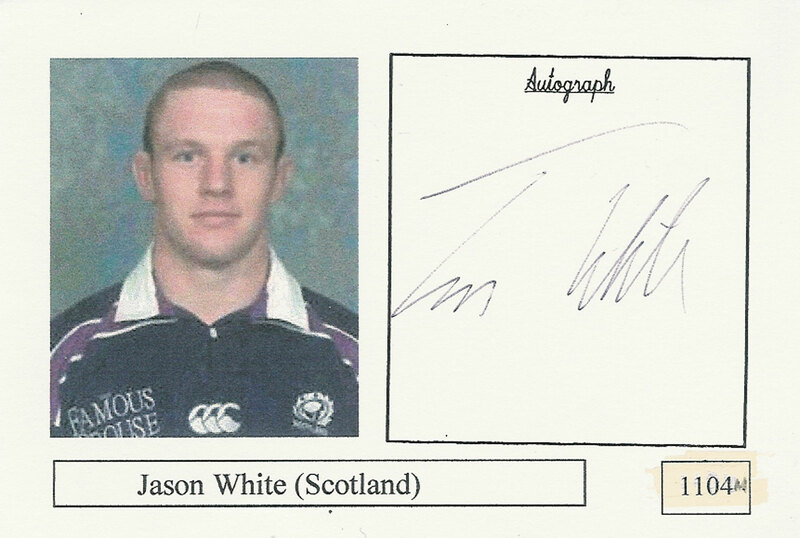 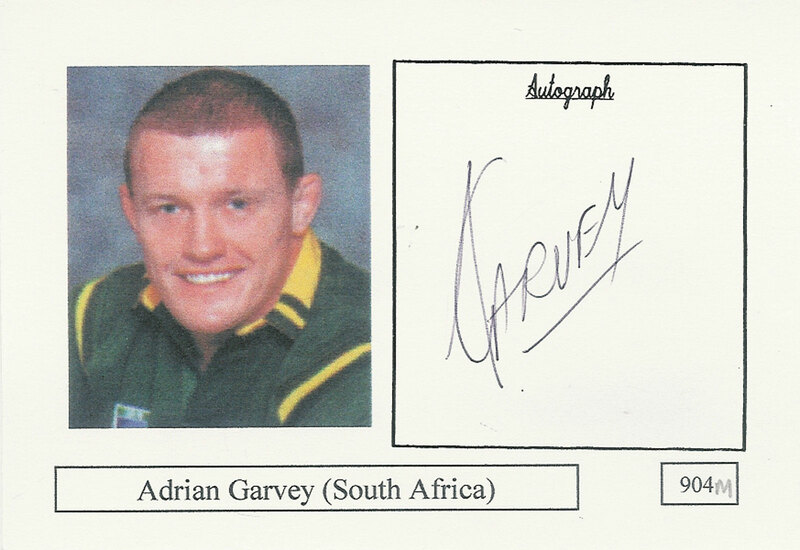 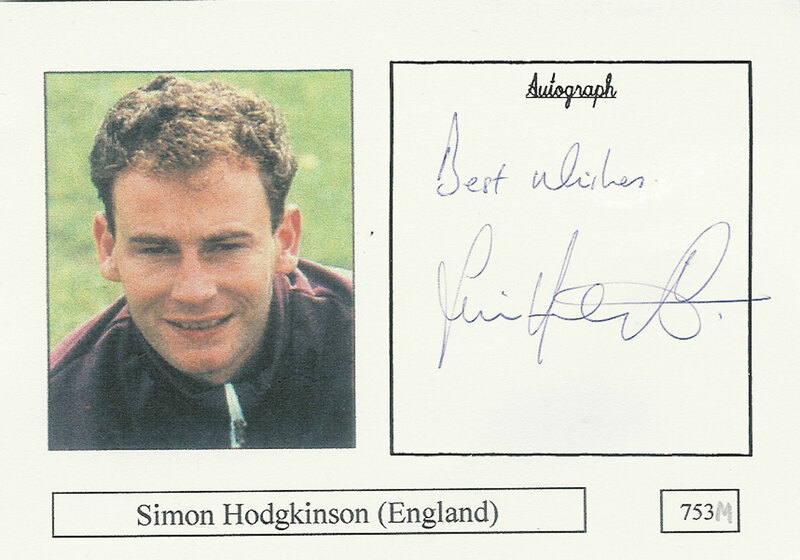 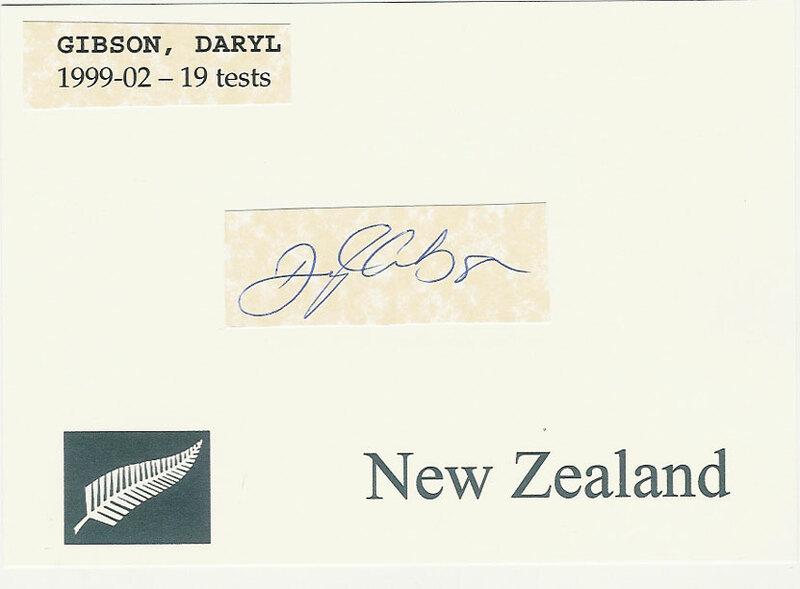 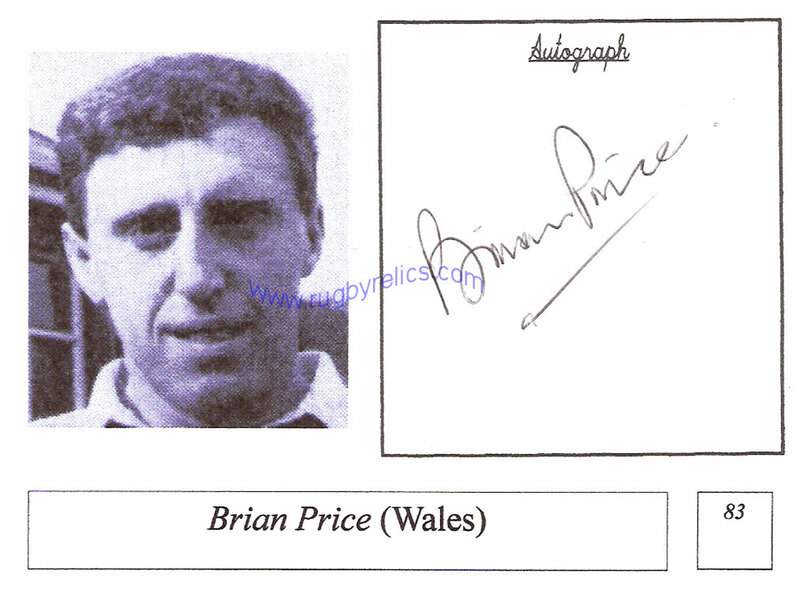 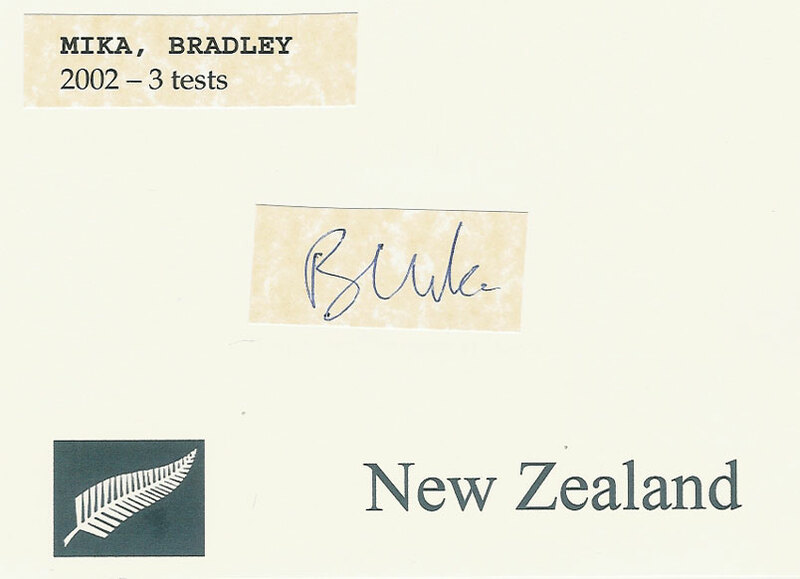 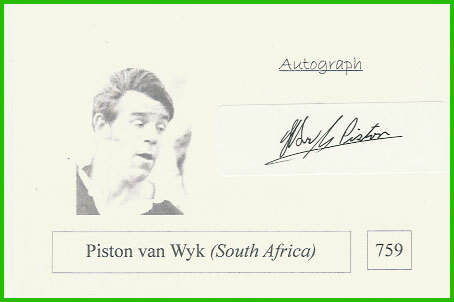 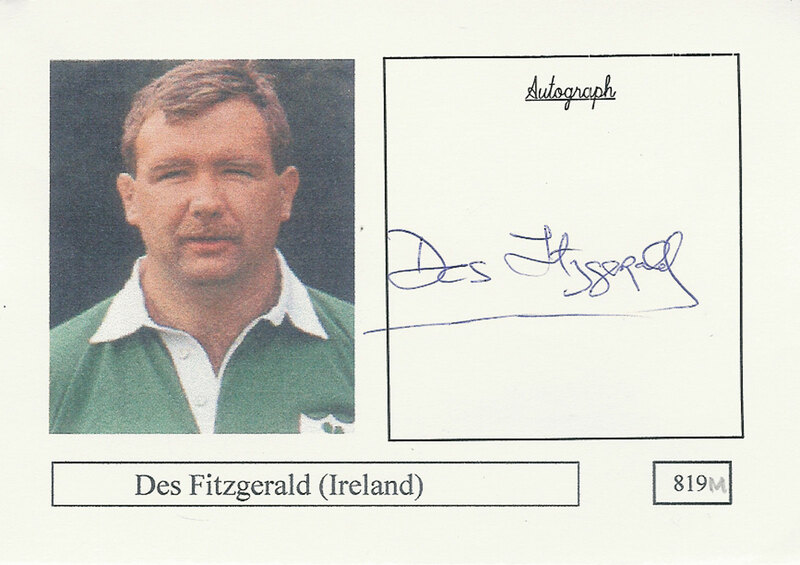 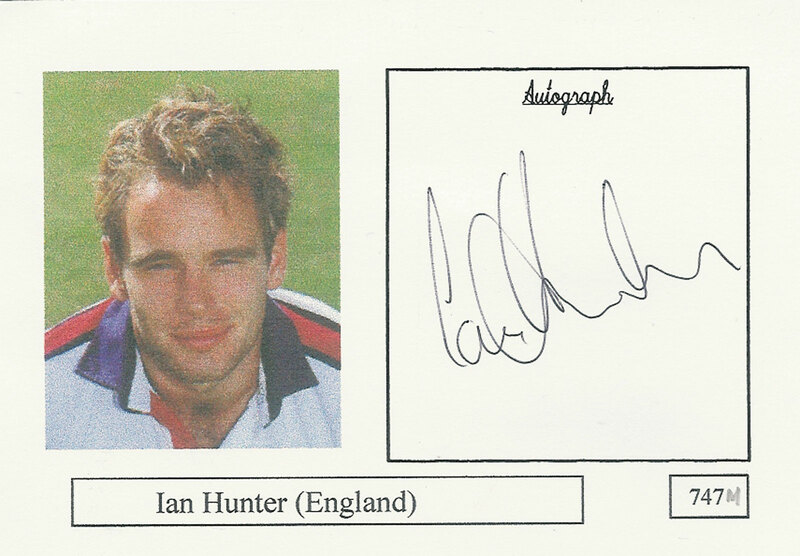 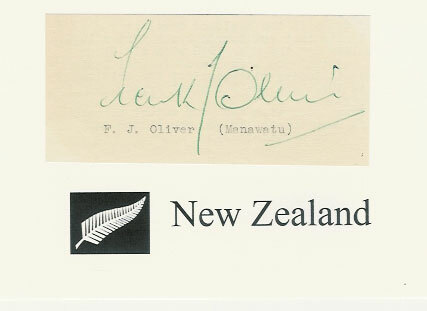 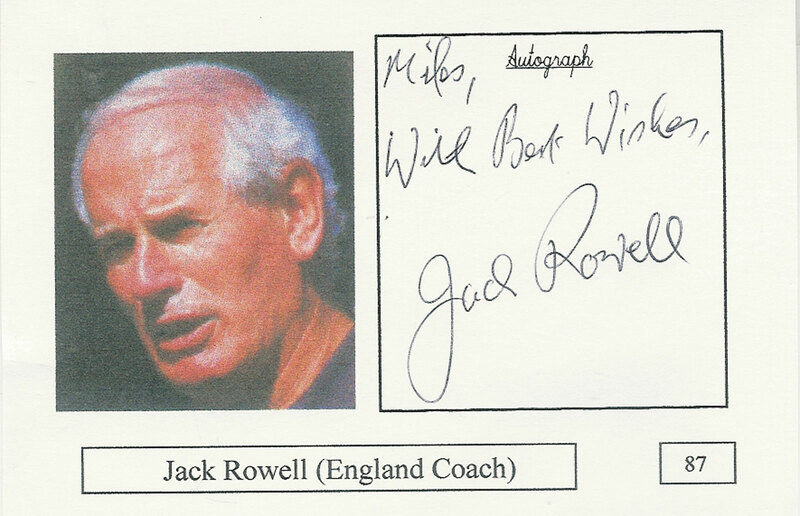 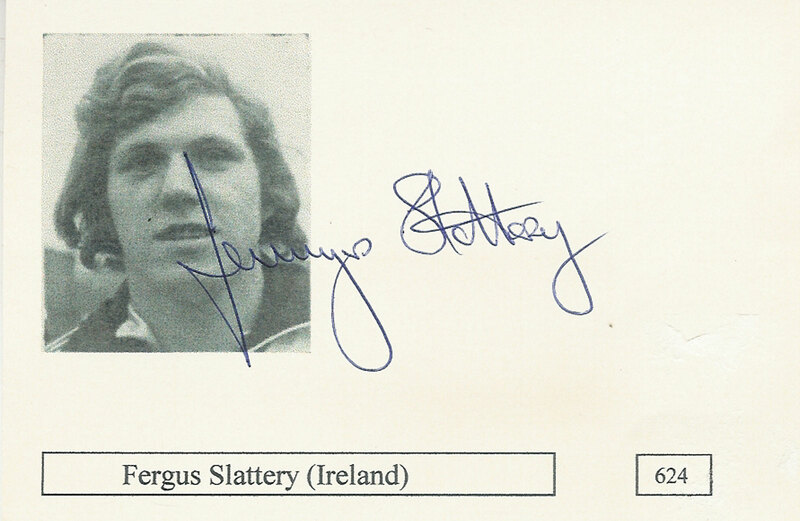 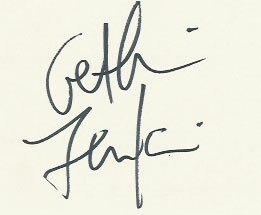 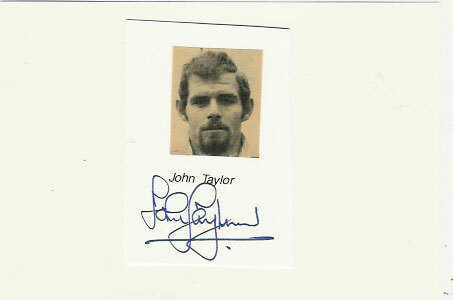 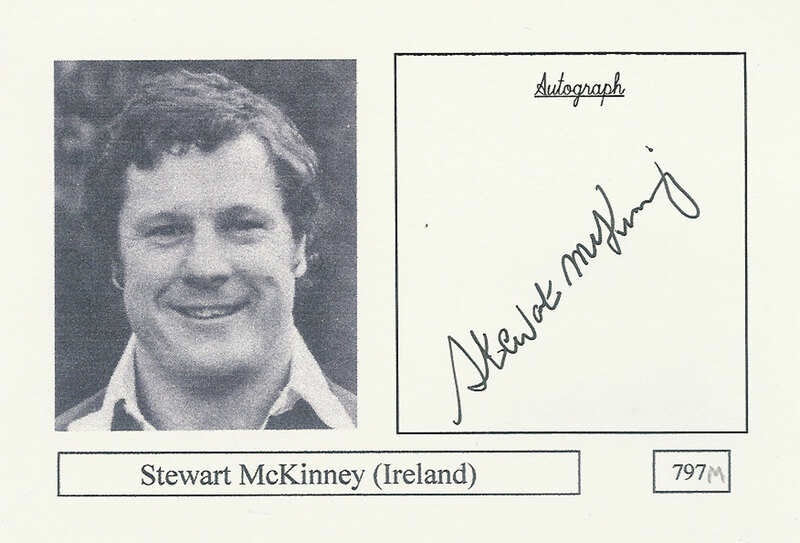 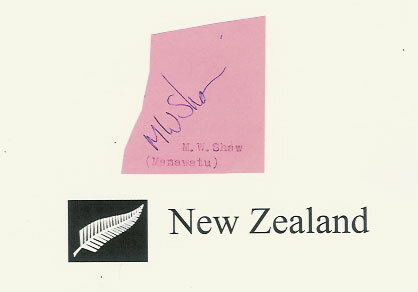 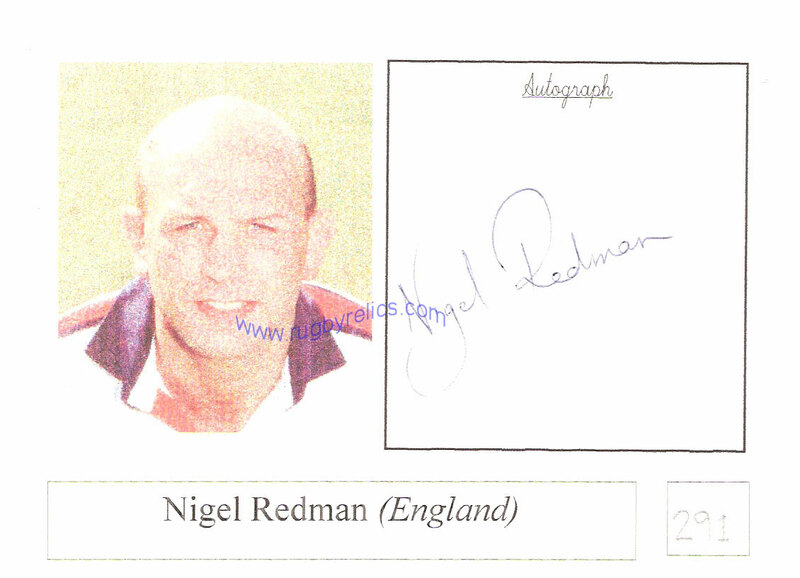 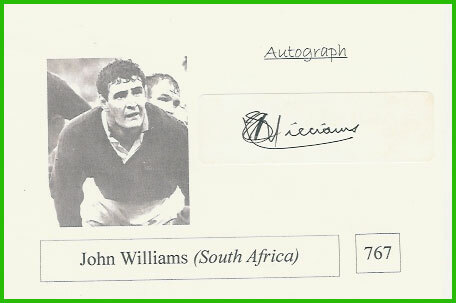 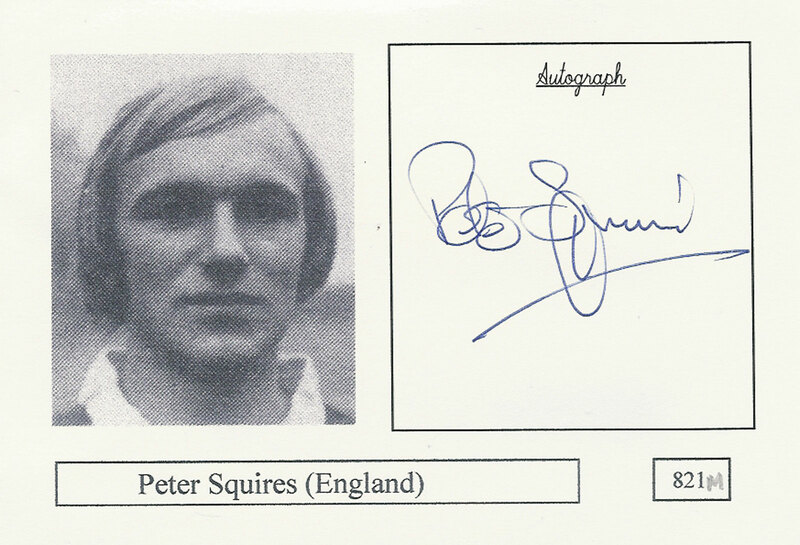 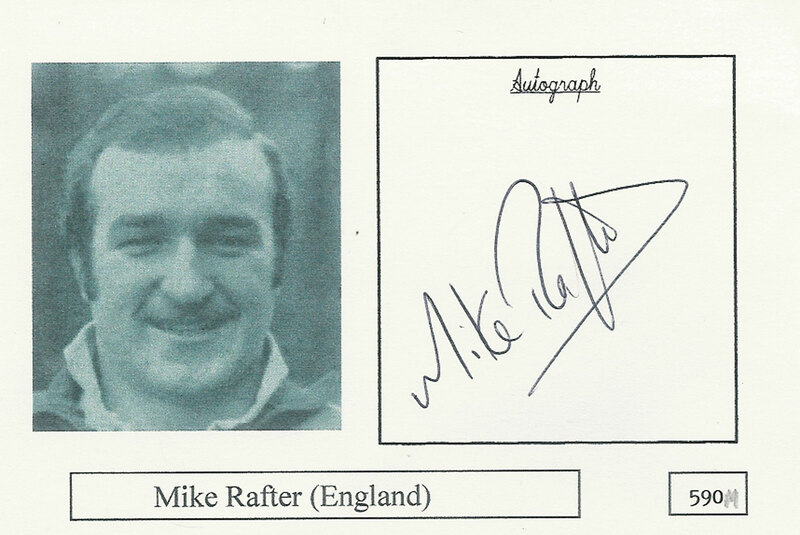 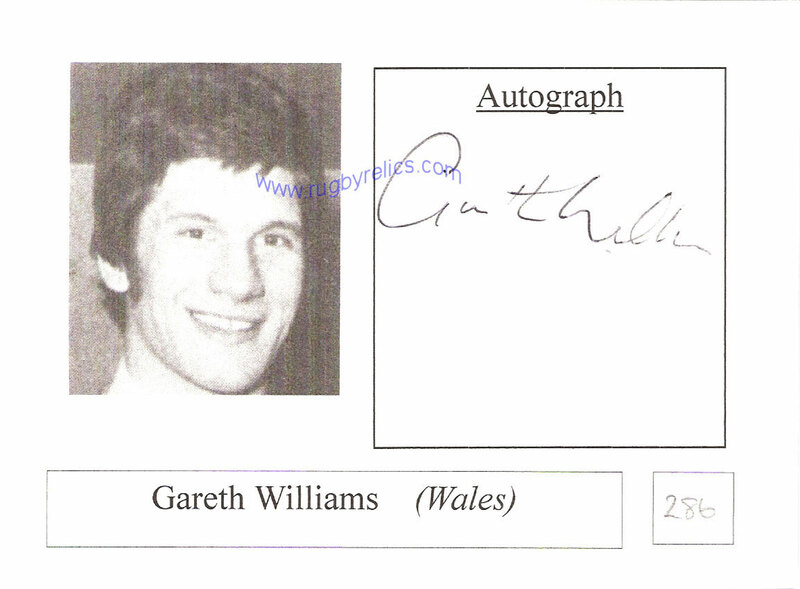 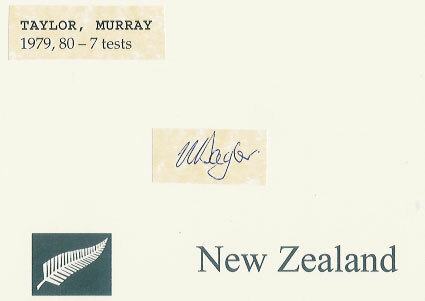 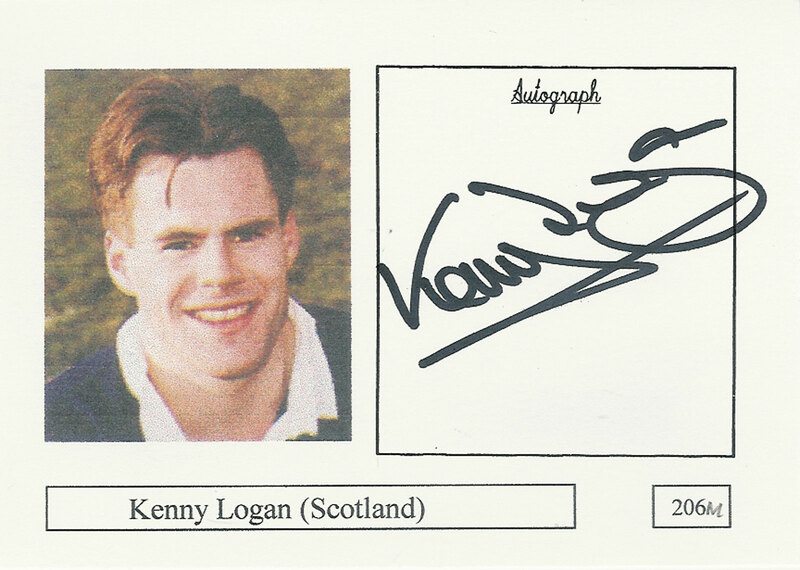 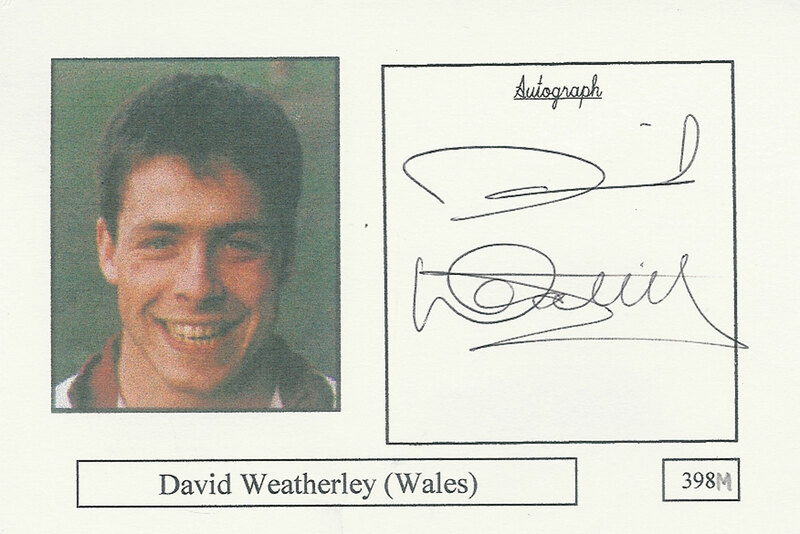 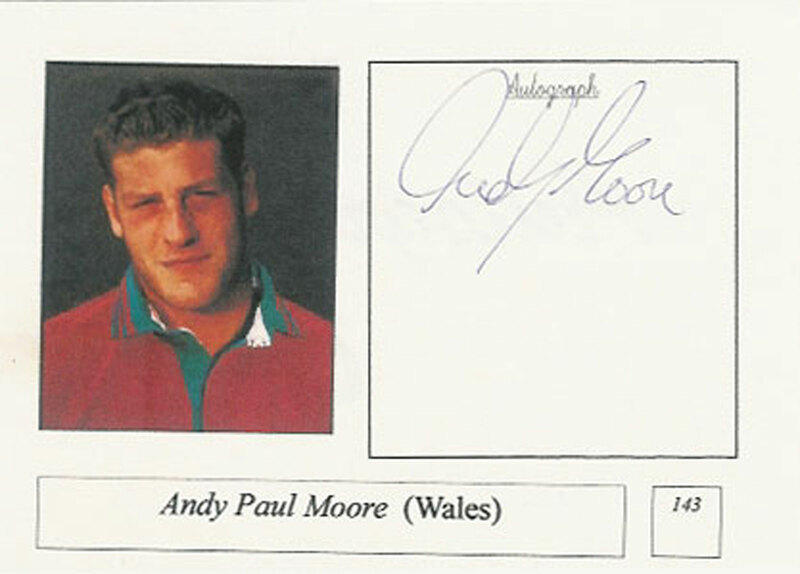 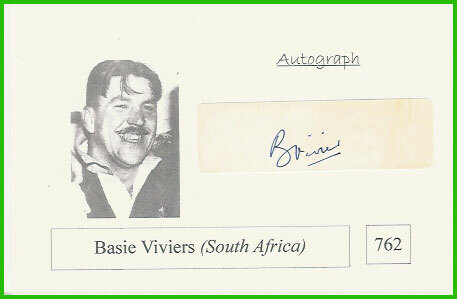 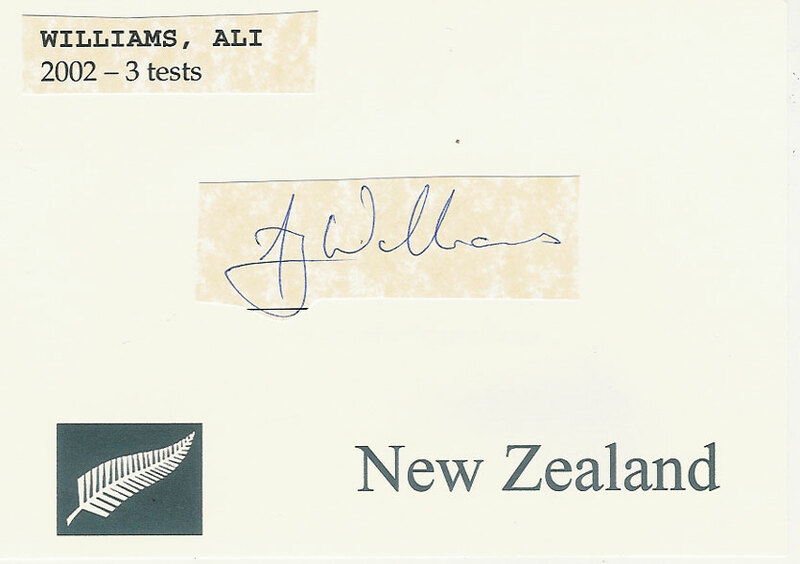 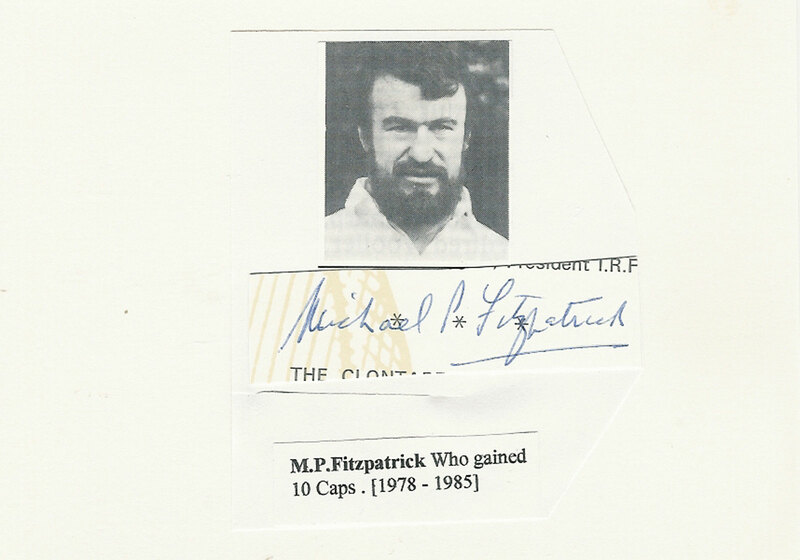 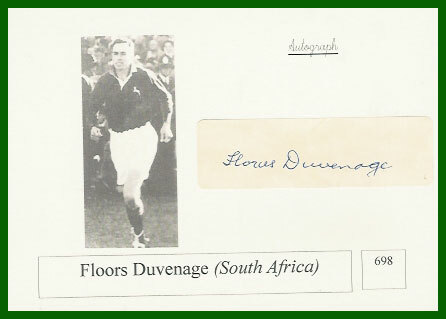 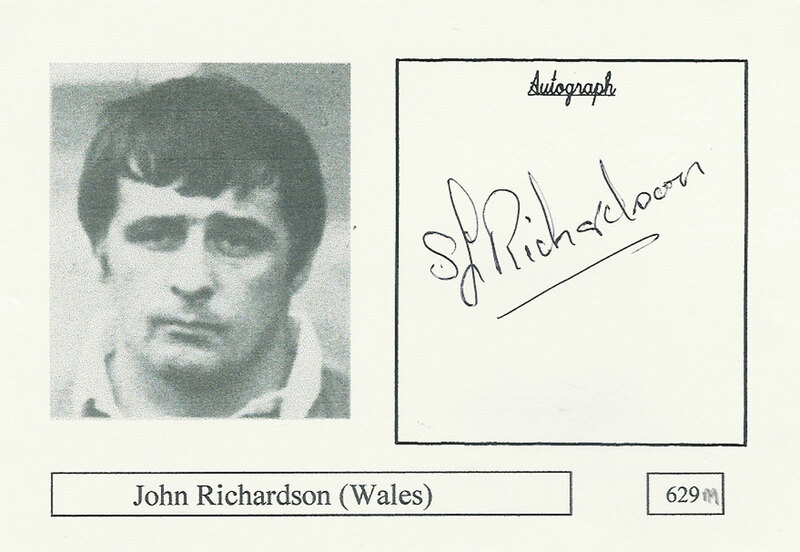 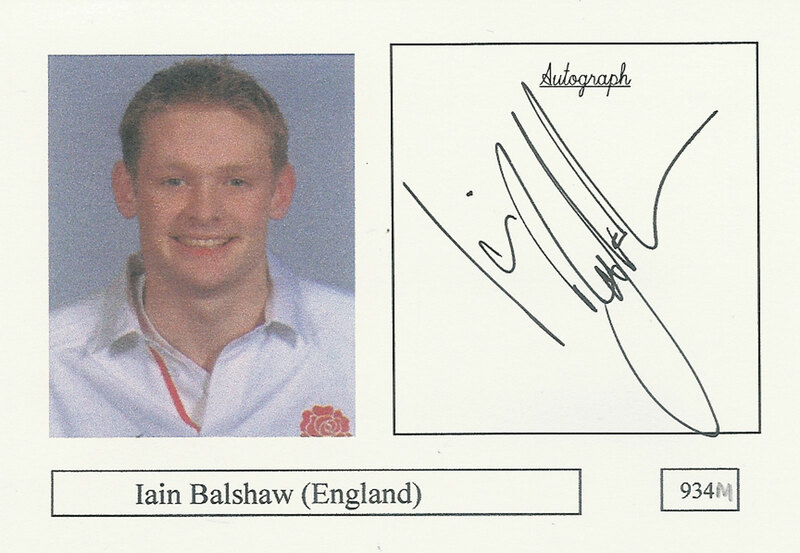 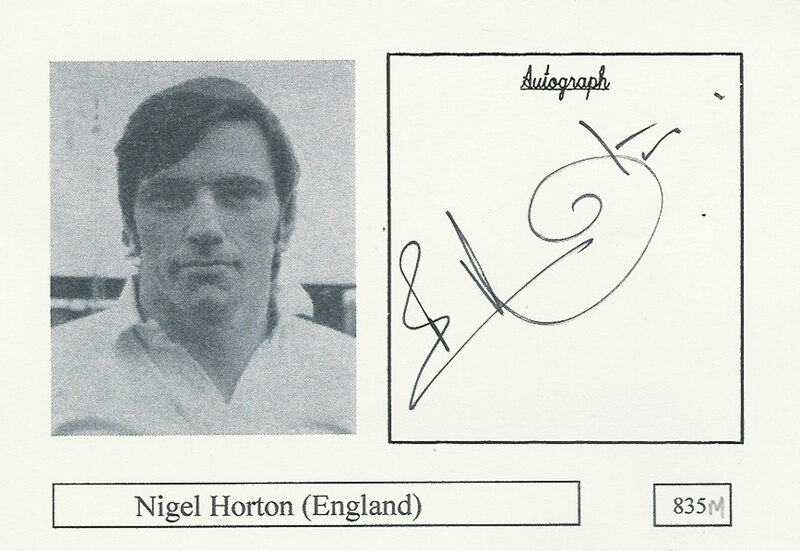 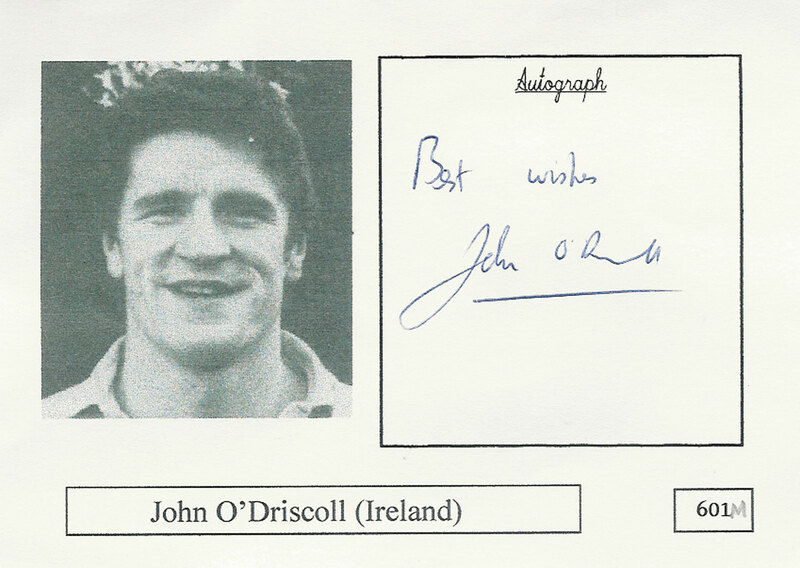 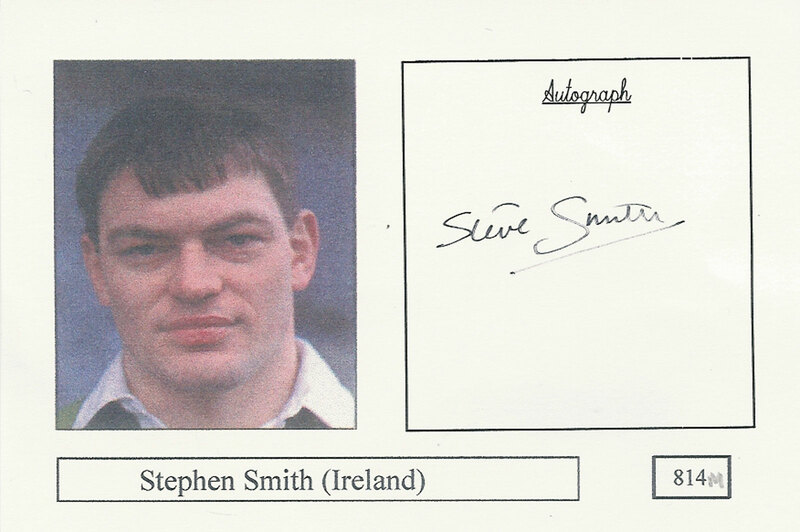 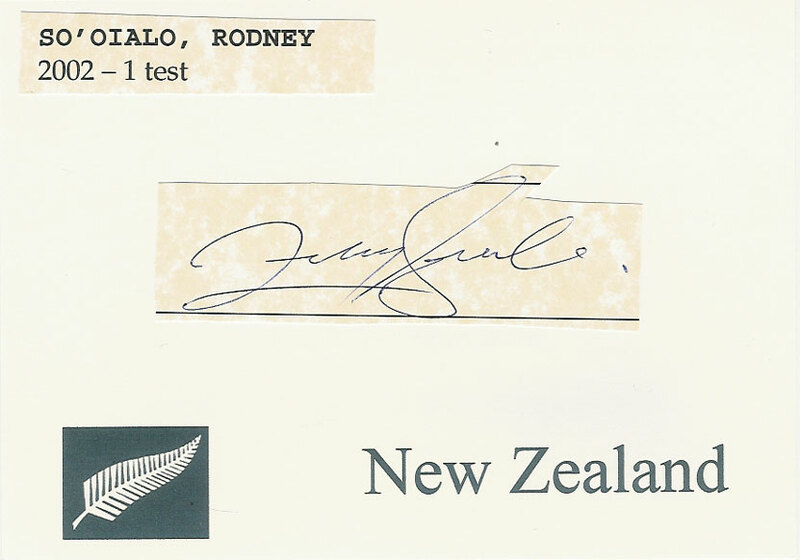 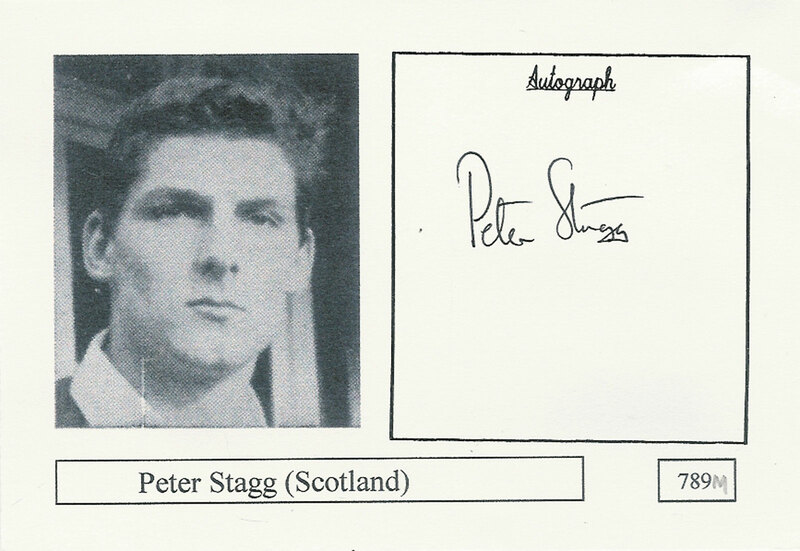 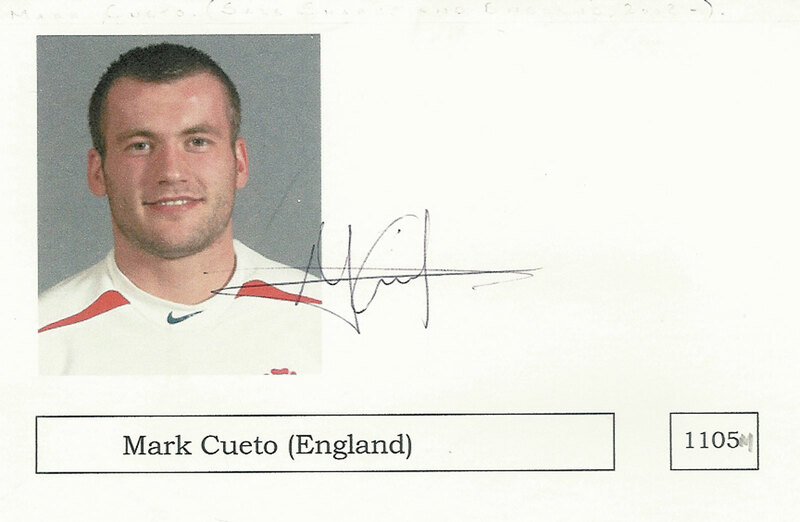 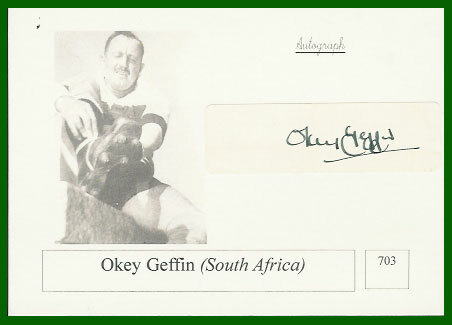 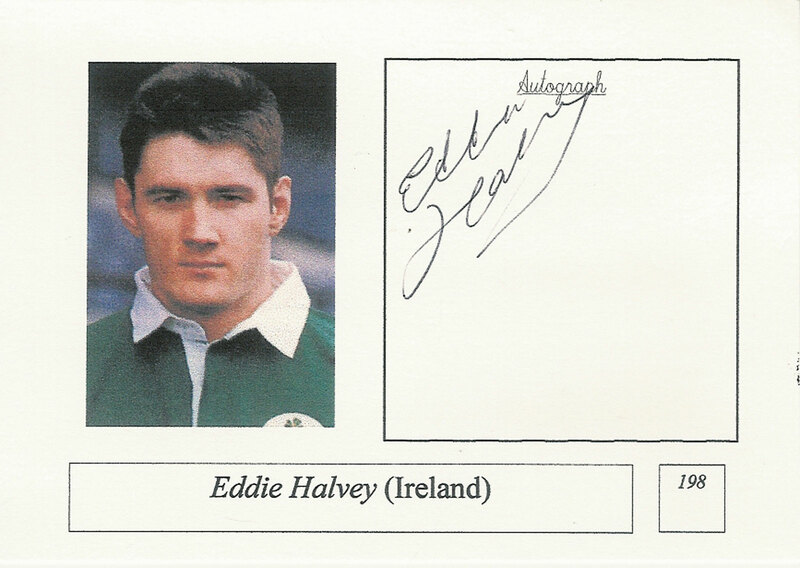 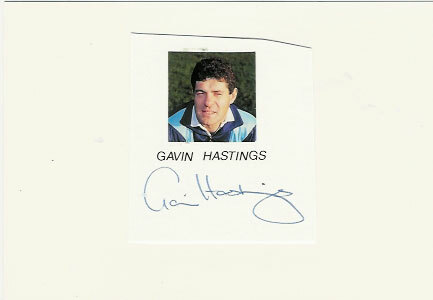 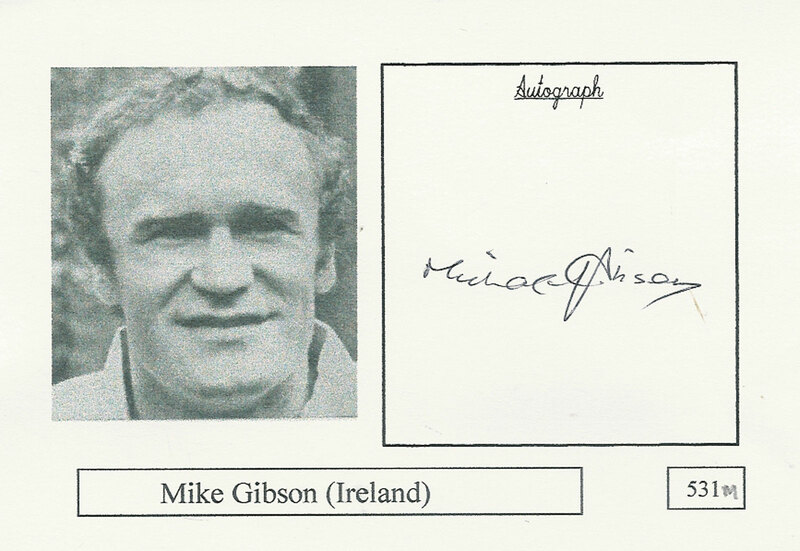 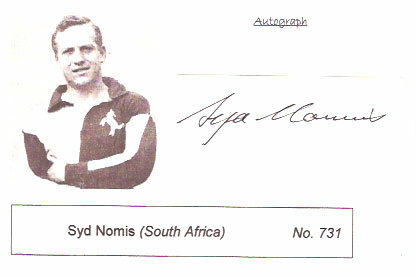 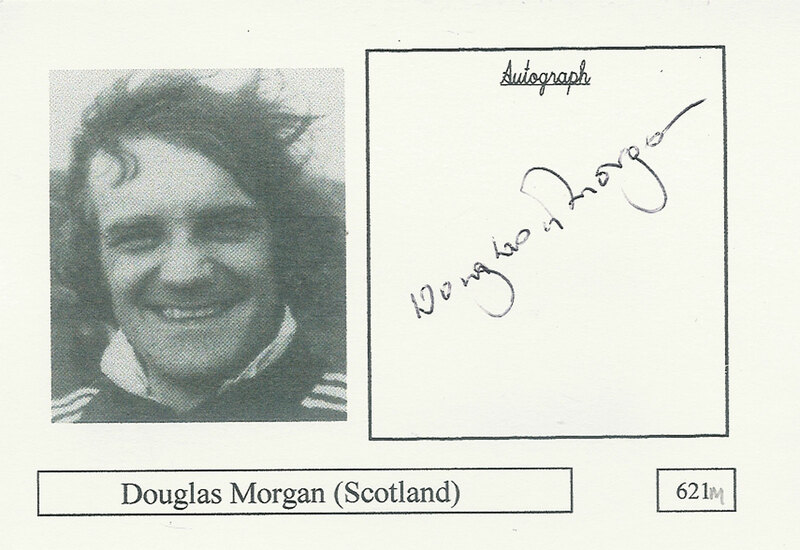 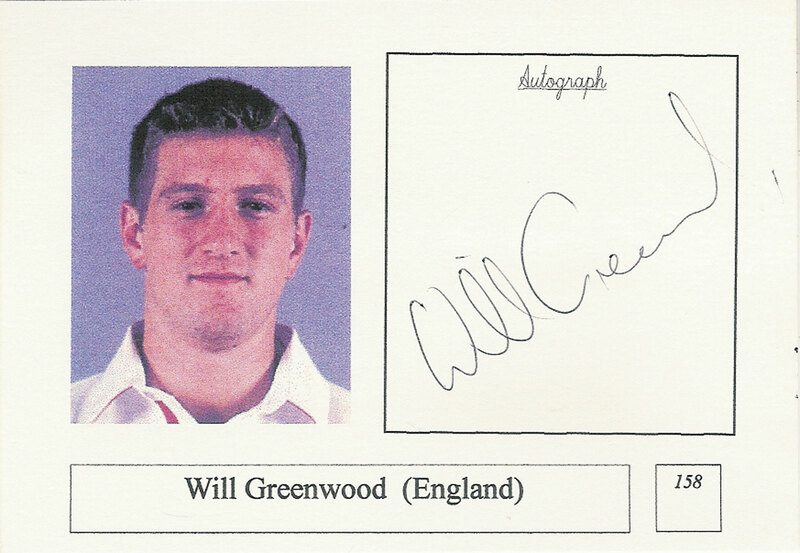 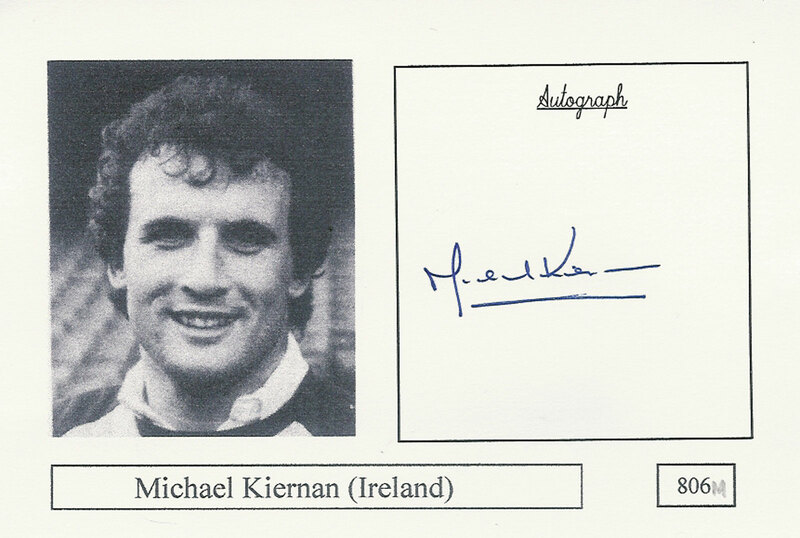 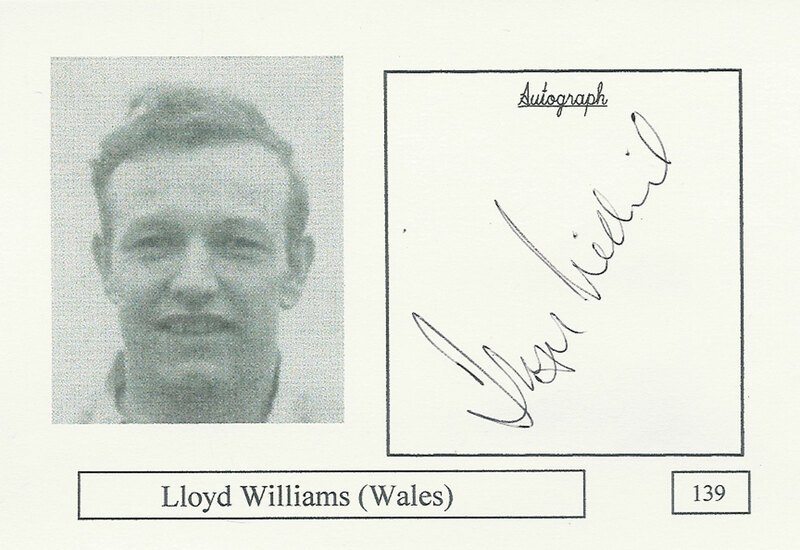 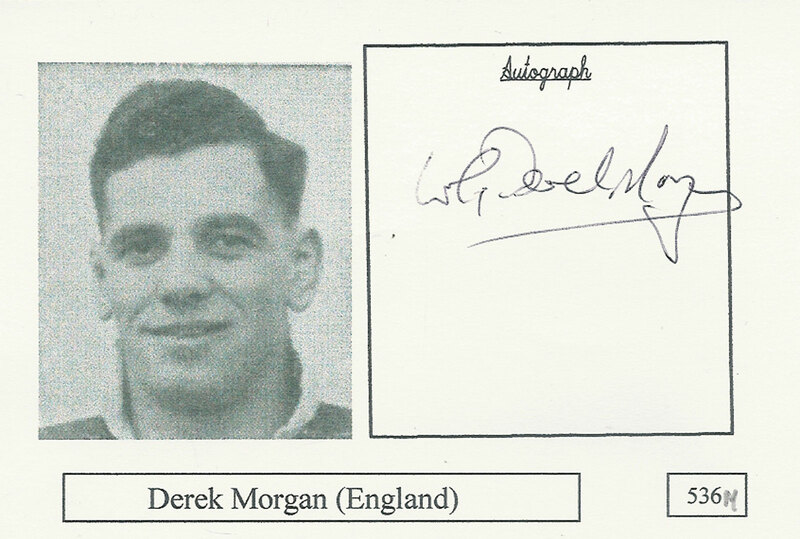 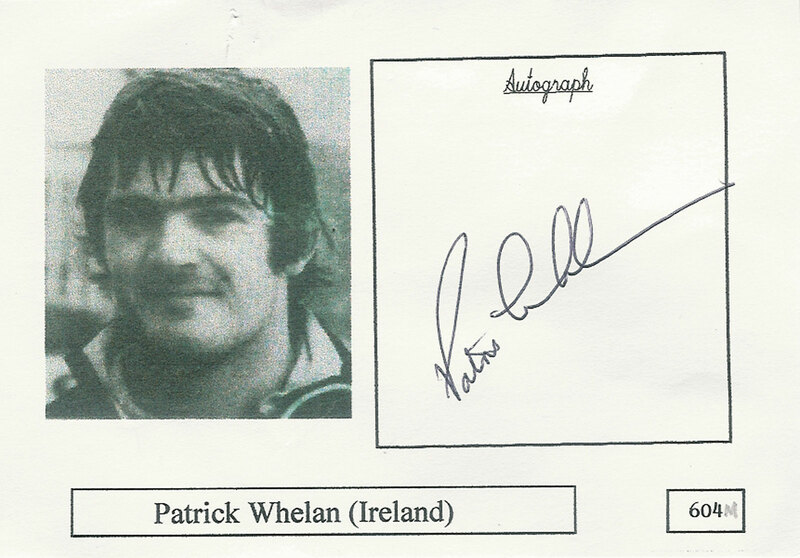 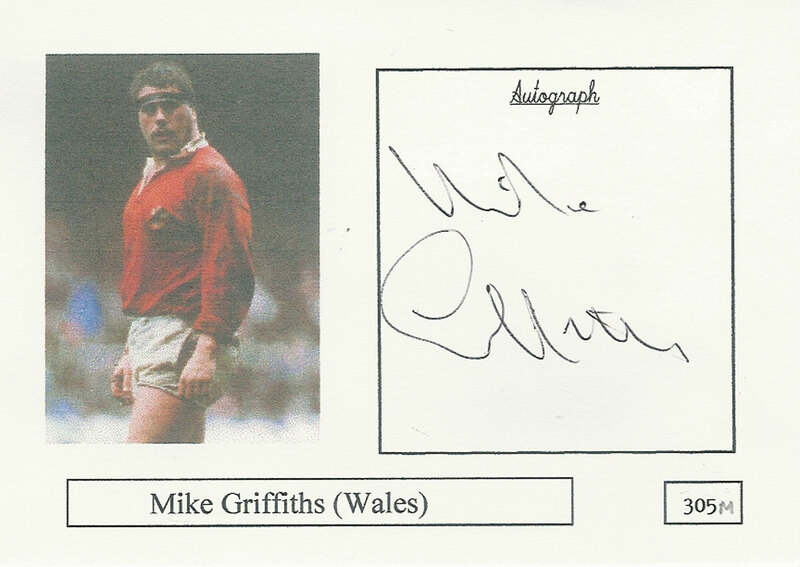 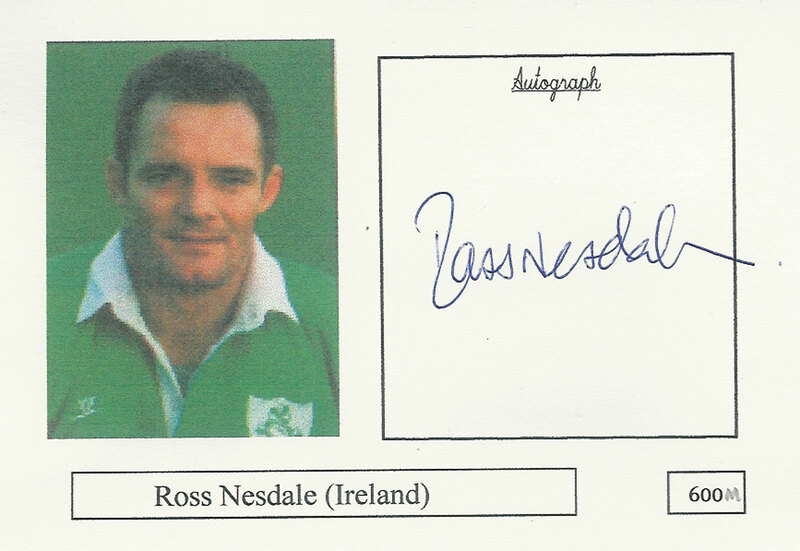 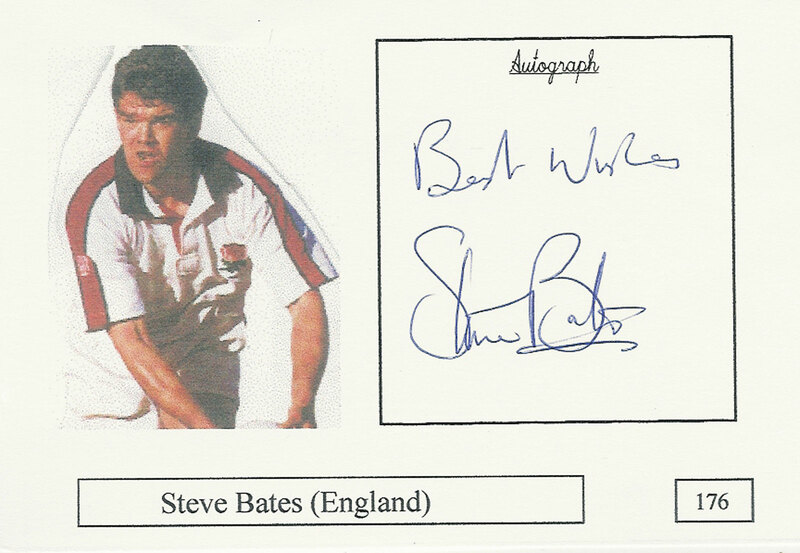 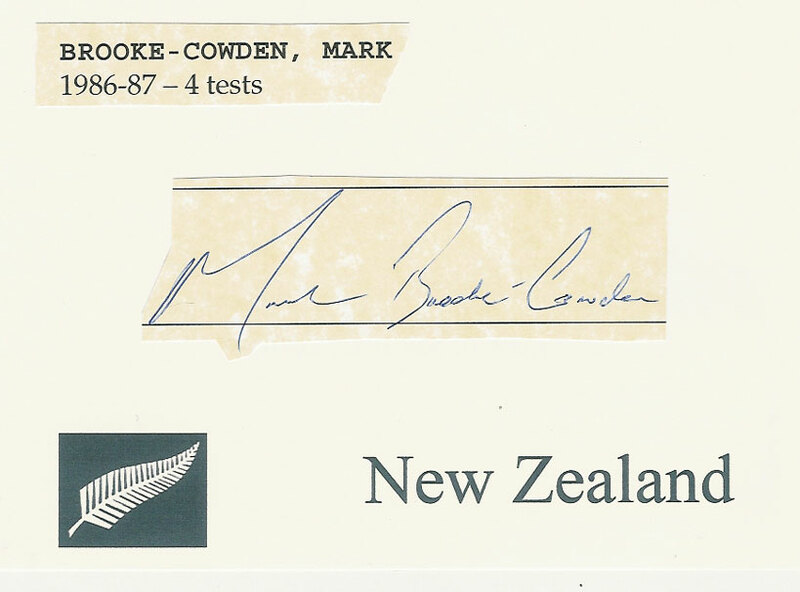 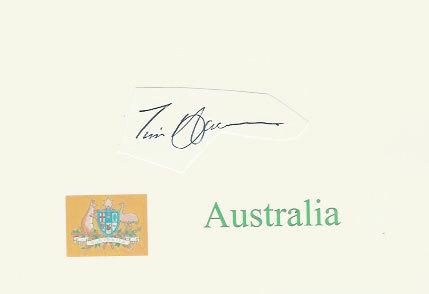 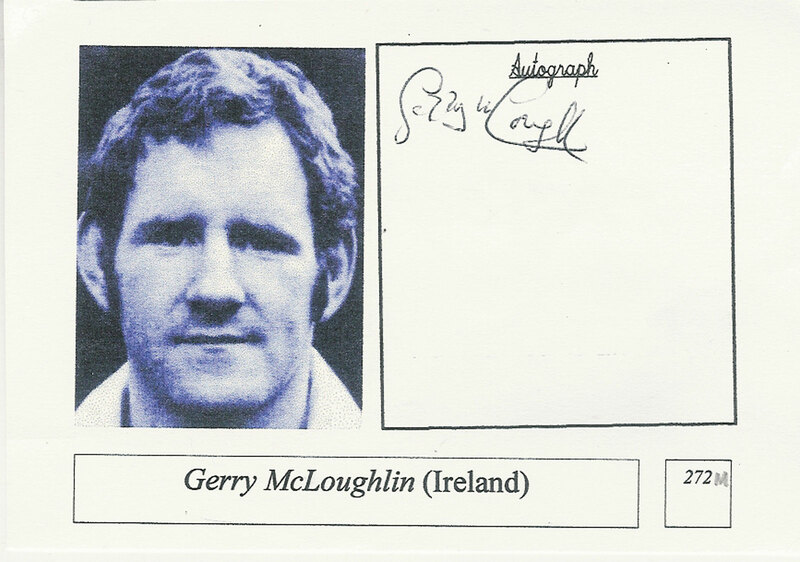 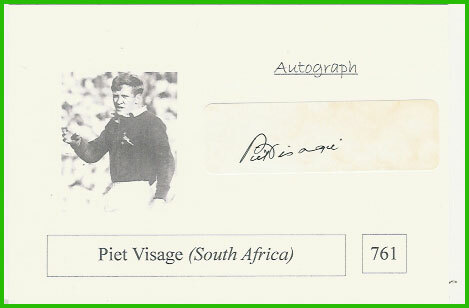 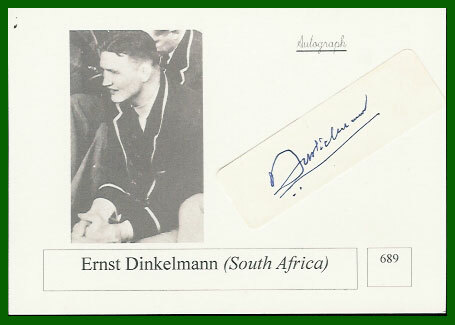 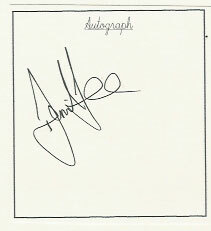 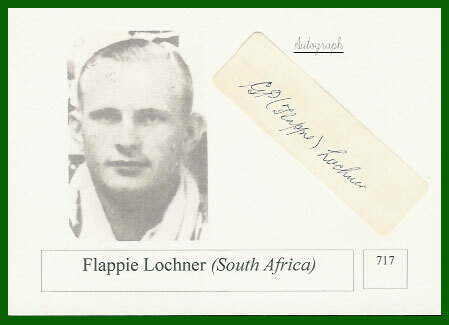 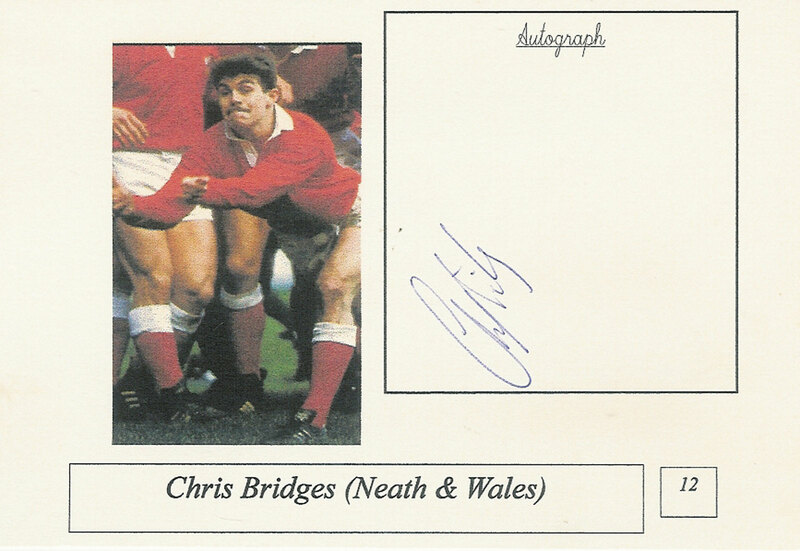 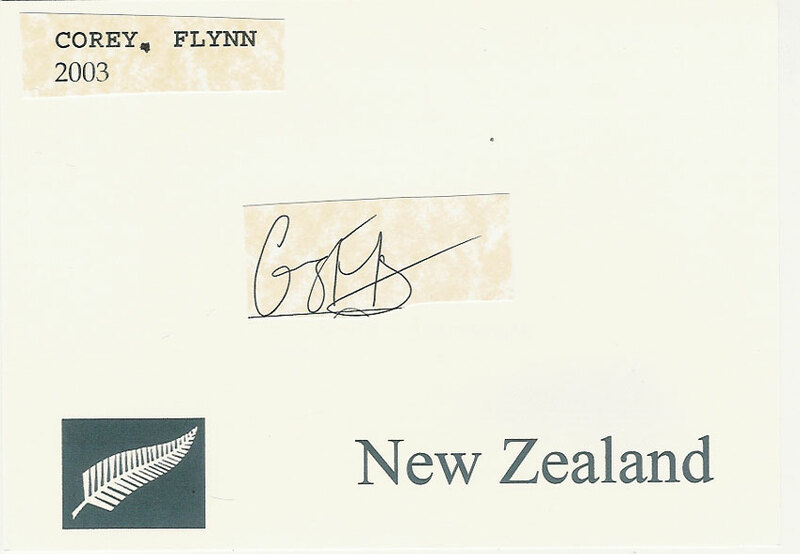 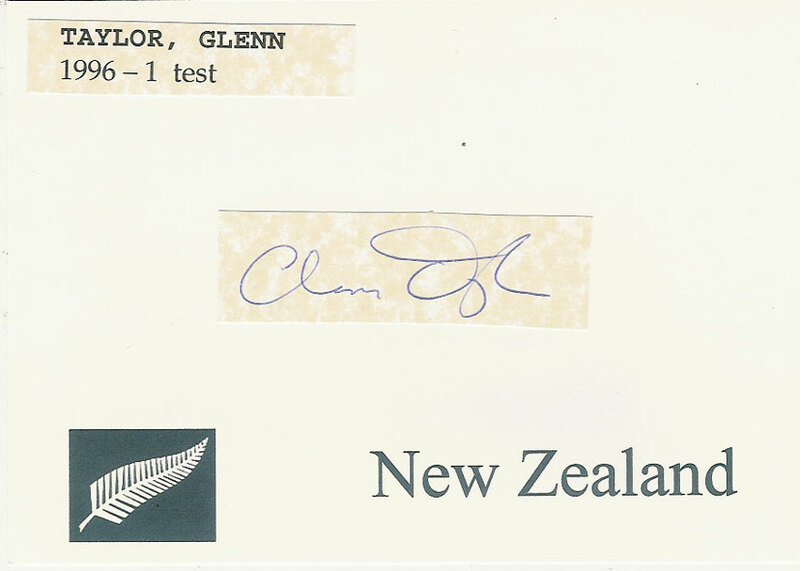 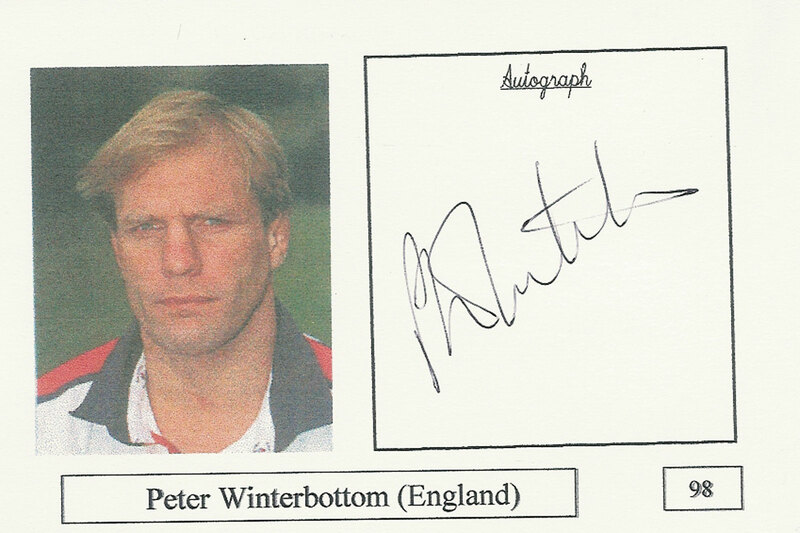 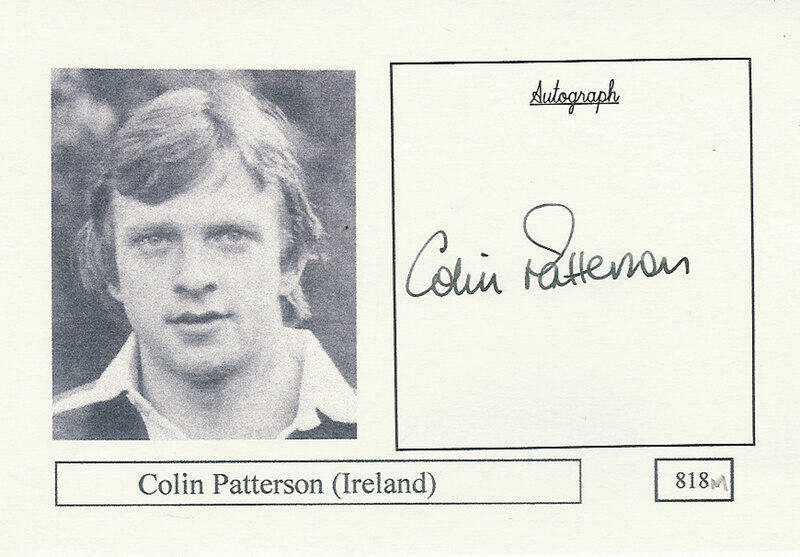 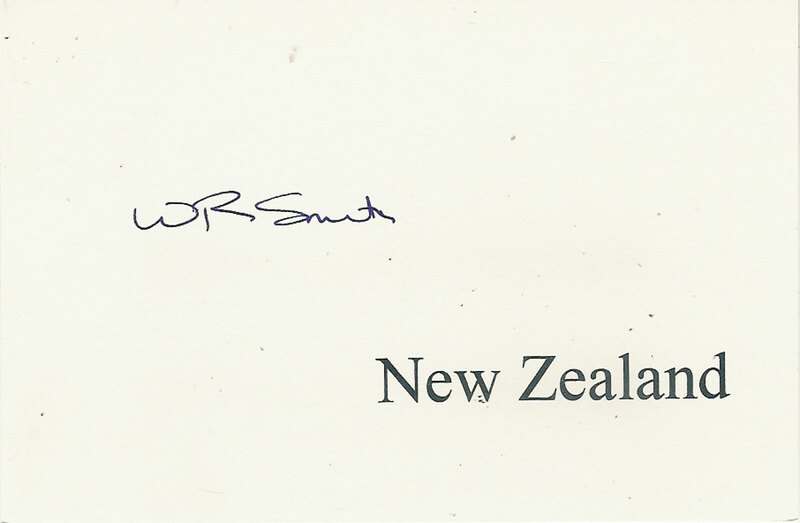 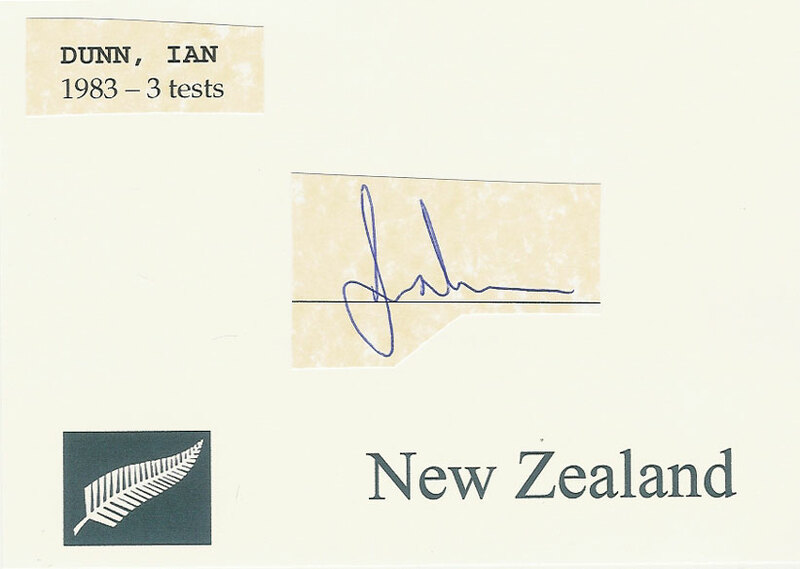 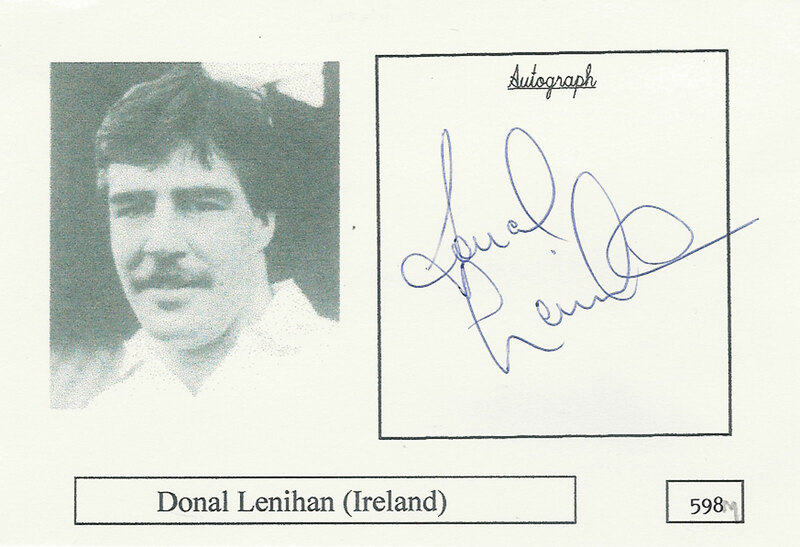 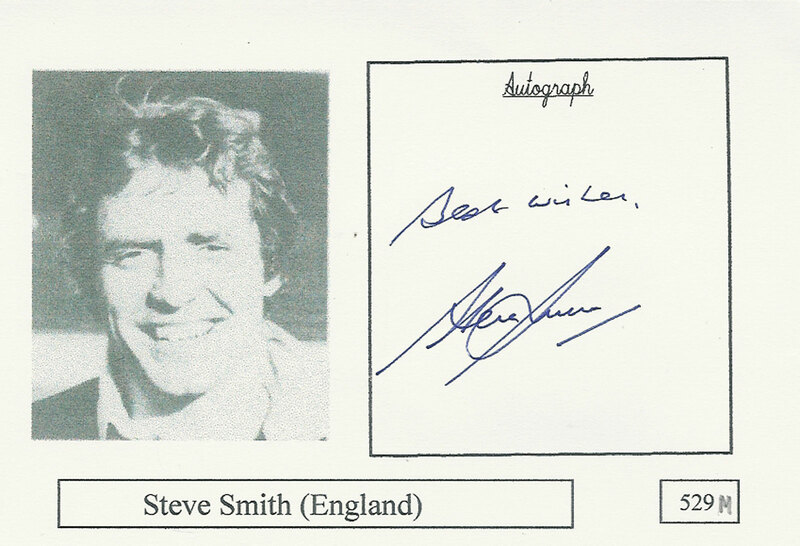 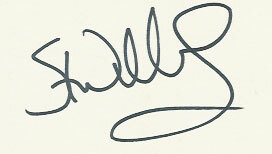 A selection of individual autographs which have been collected on plain sheets of paper or card, occasionally the country, team badge of other information will accompany the autograph, please see the illustration for more information. 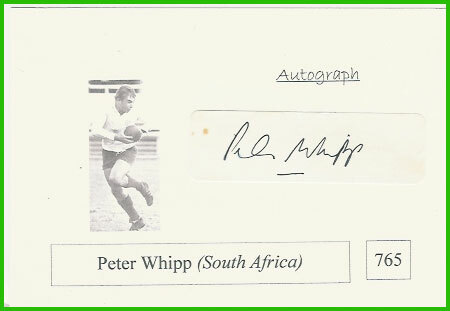 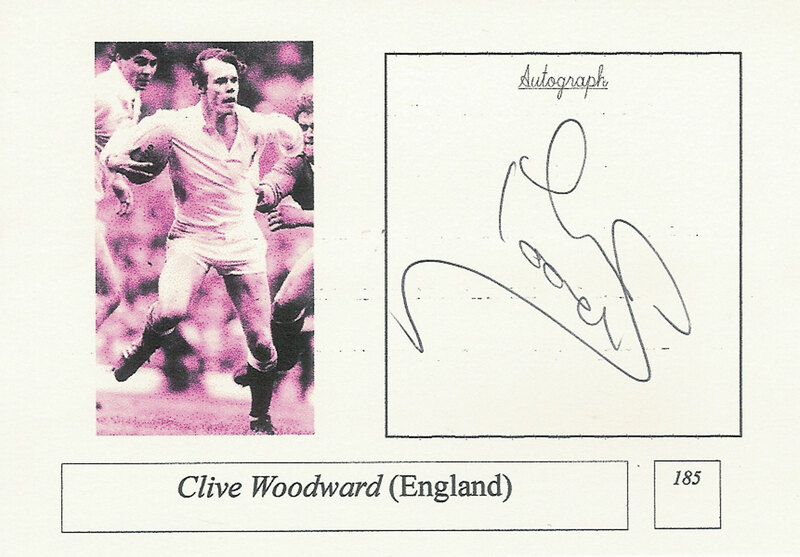 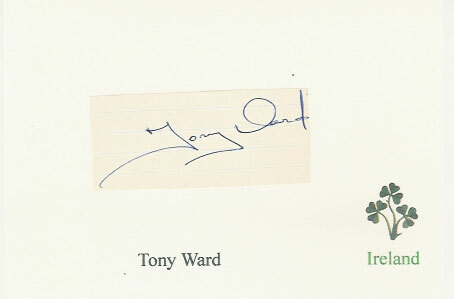 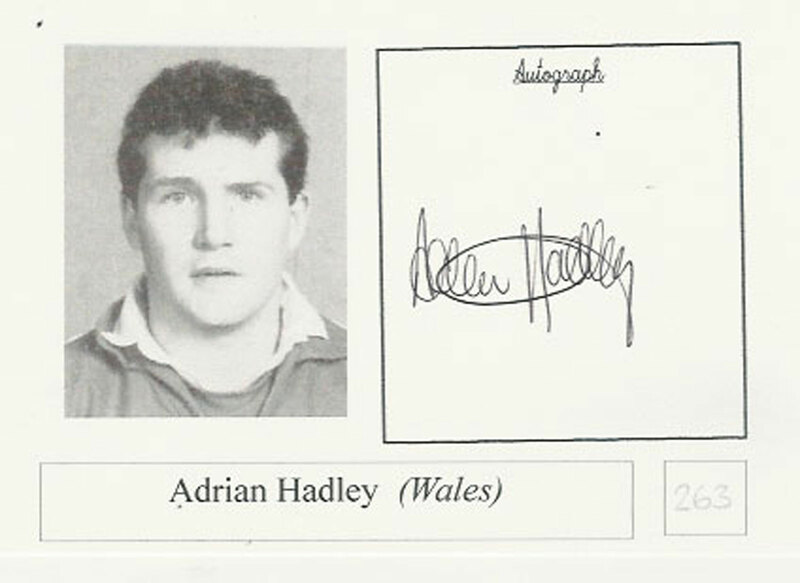 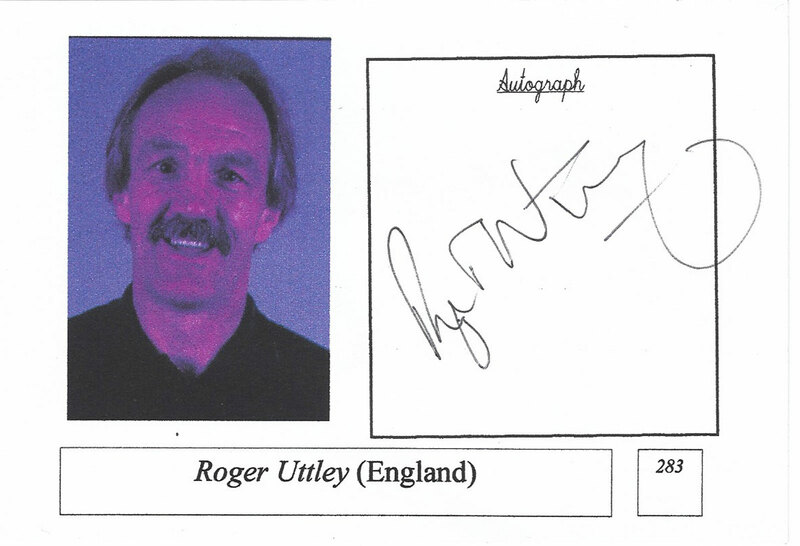 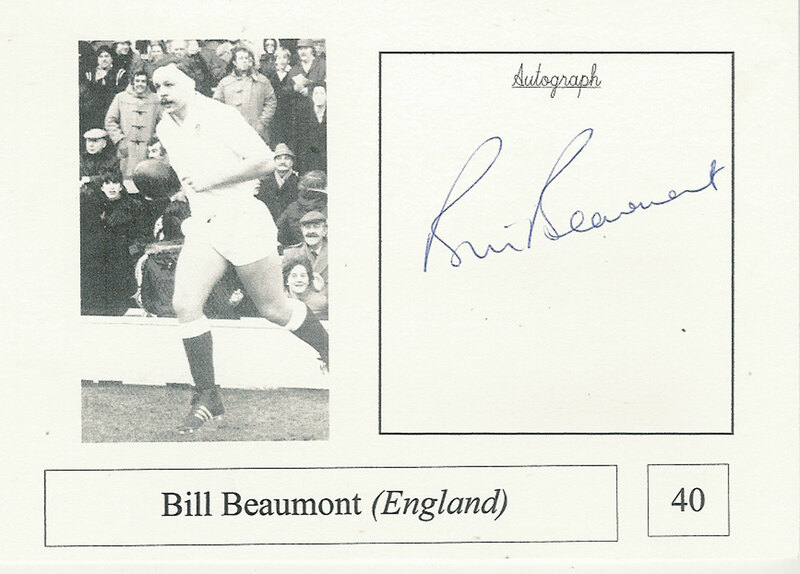 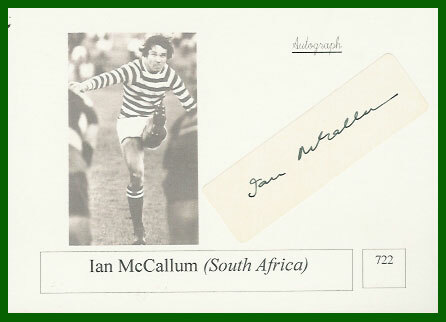 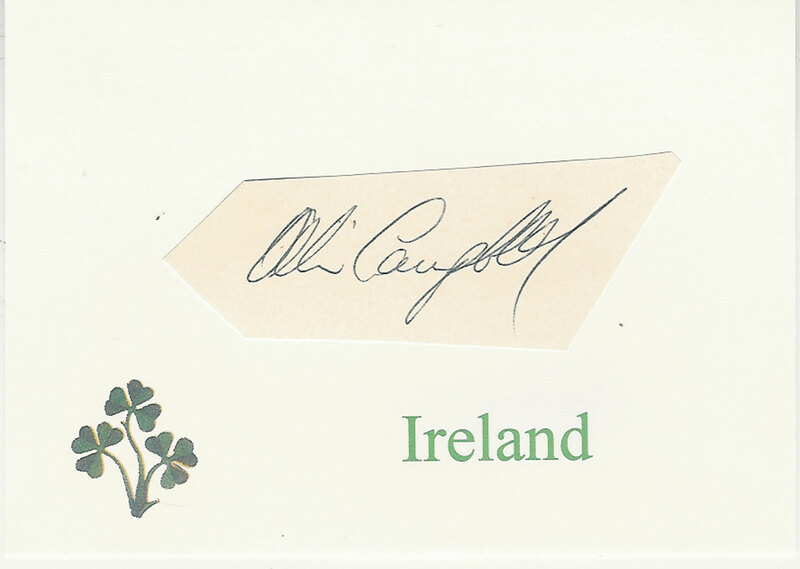 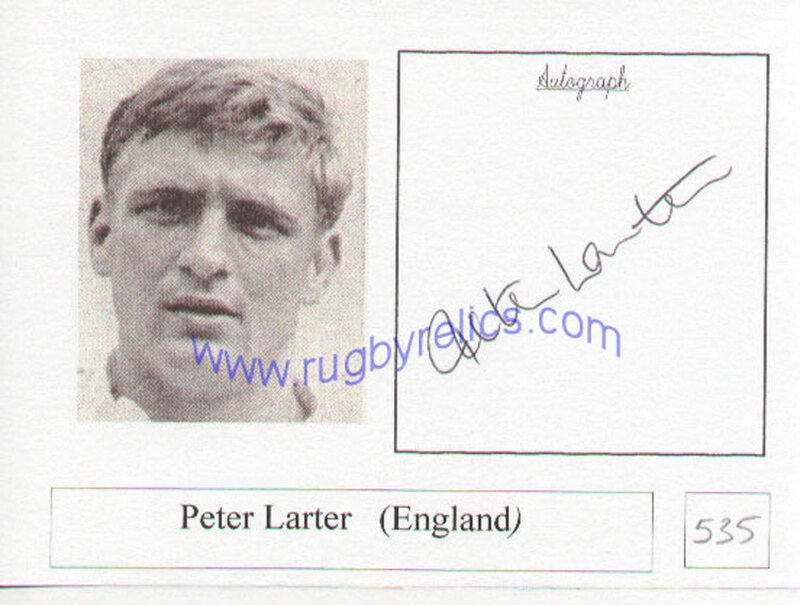 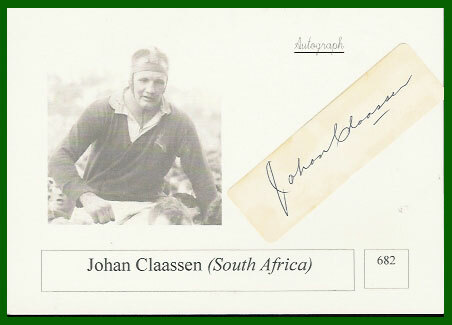 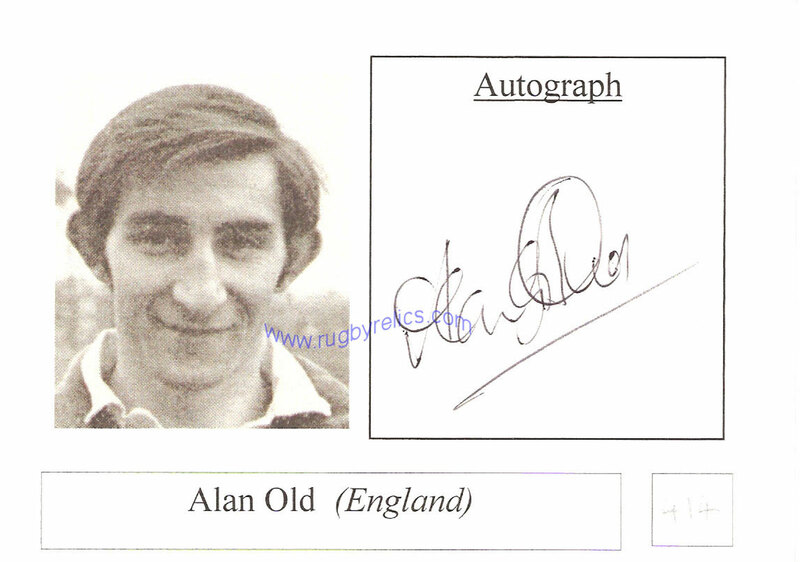 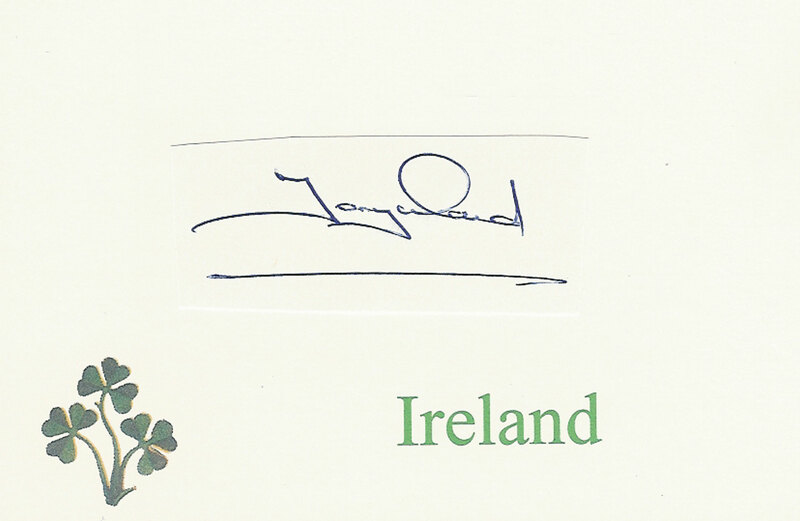 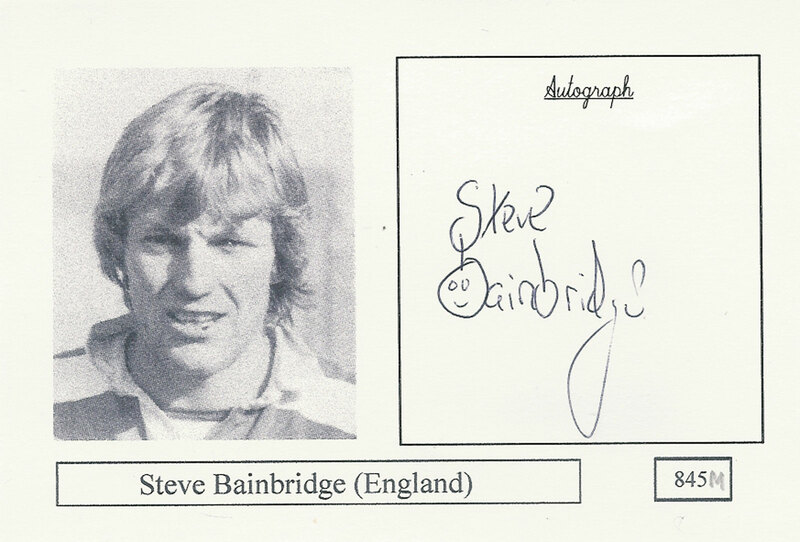 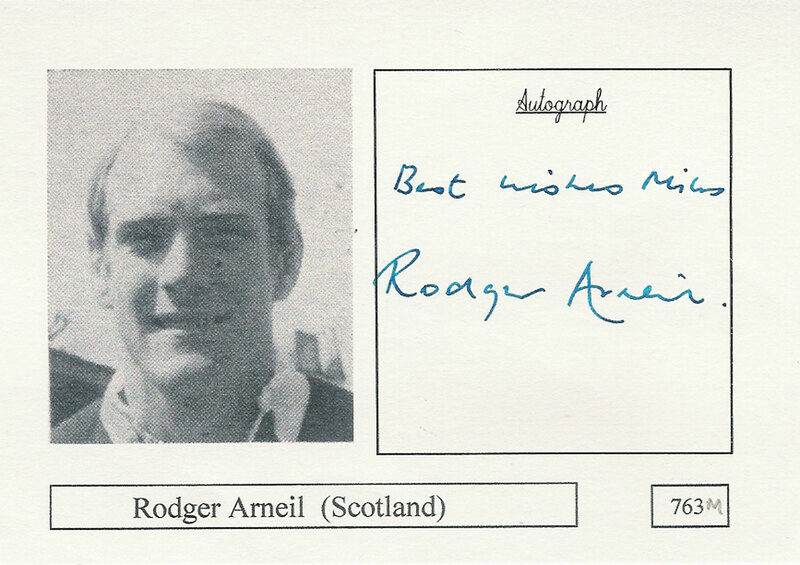 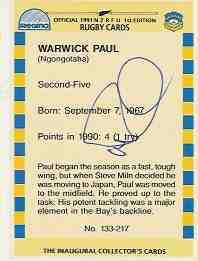 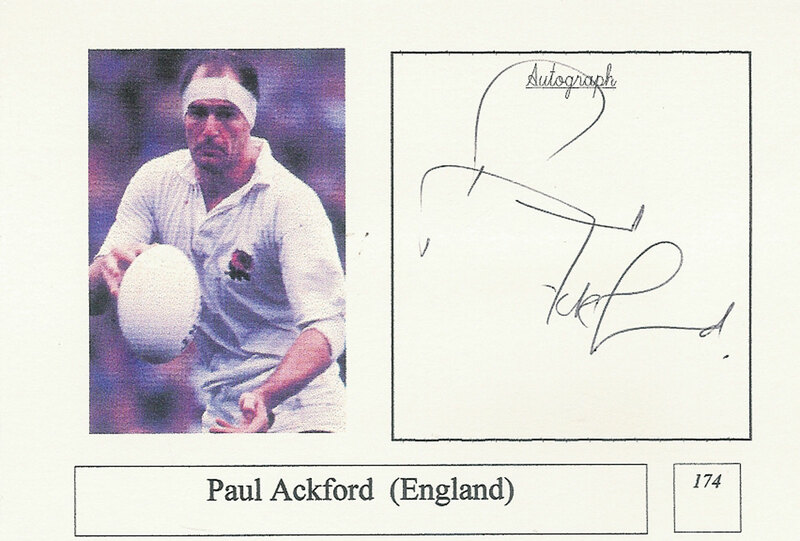 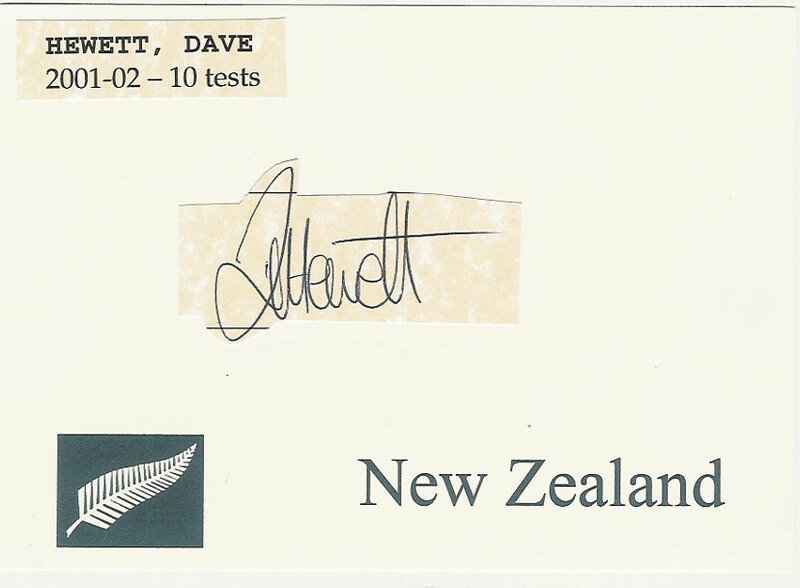 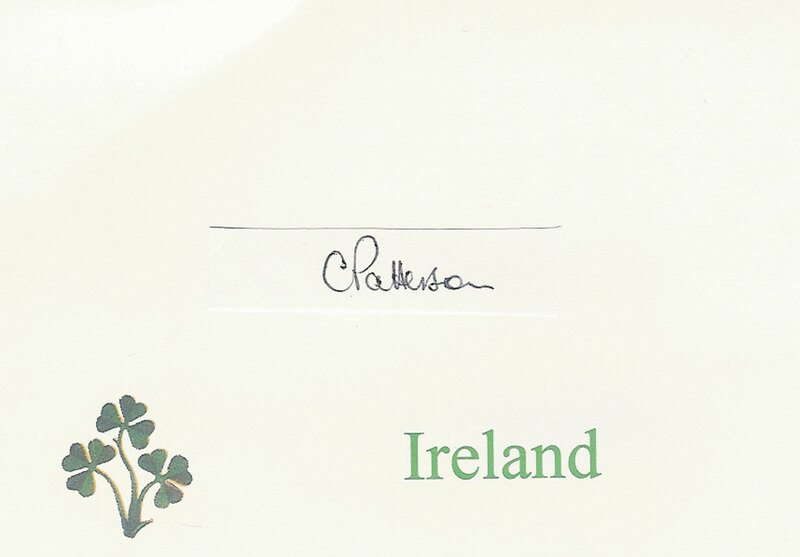 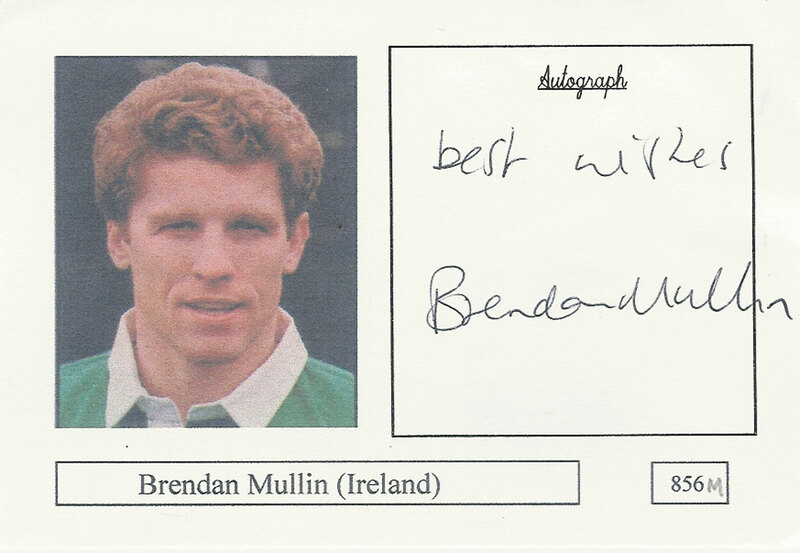 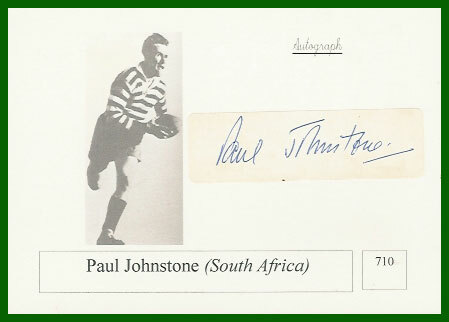 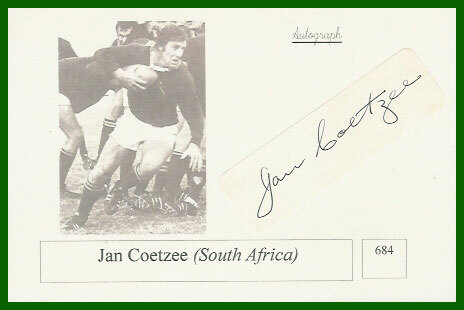 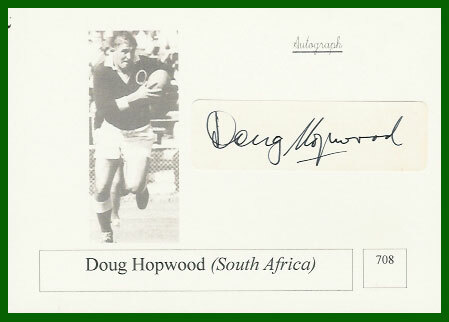 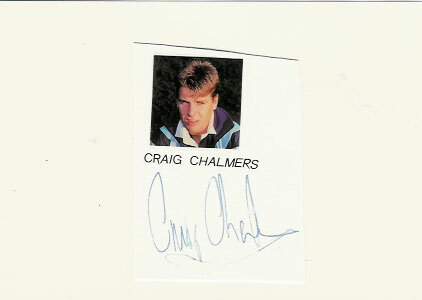 clipped = the autograph has been neatly removed from autographed sheets/programmes/books etc and added to an A6 (postcard sized card). 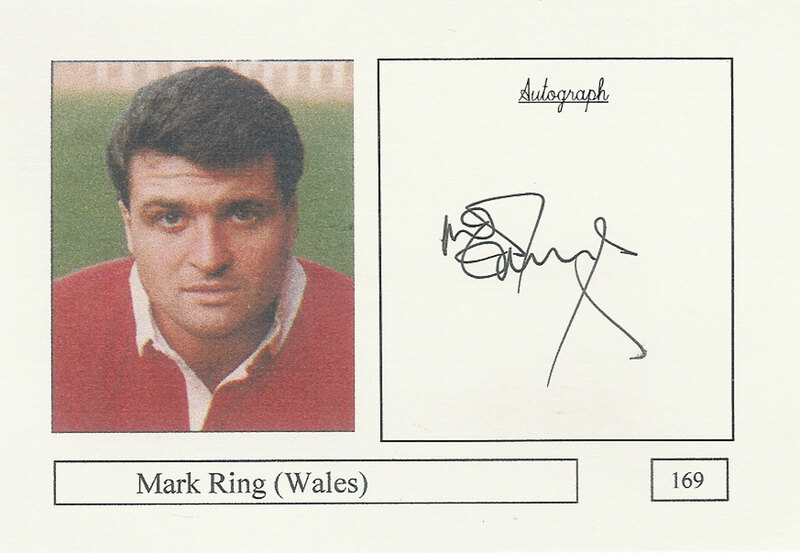 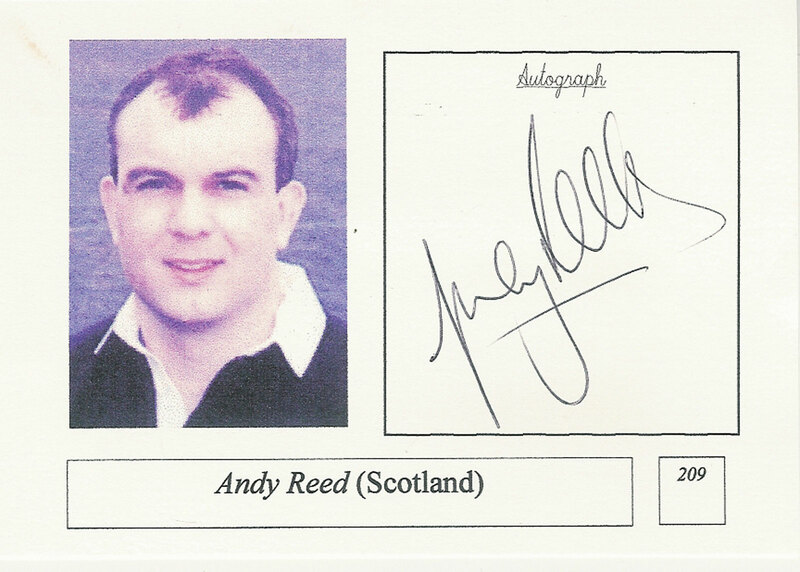 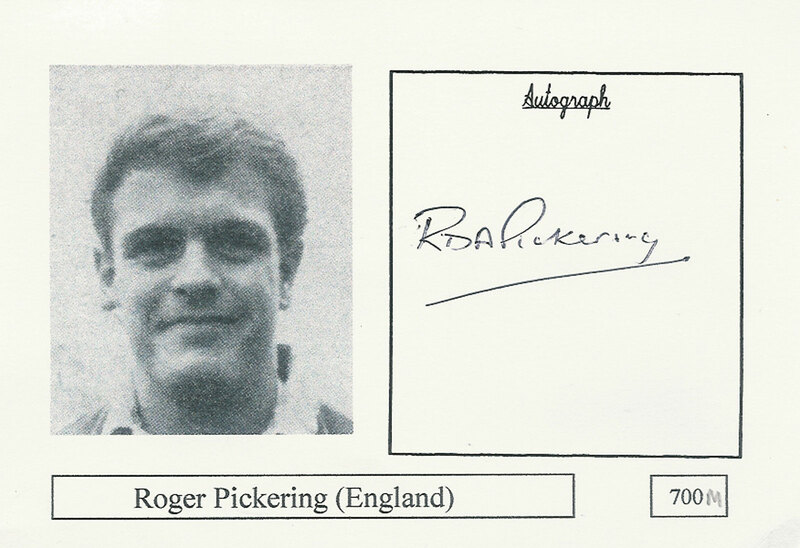 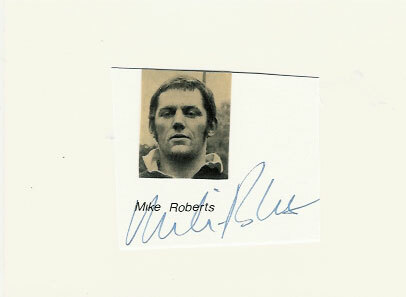 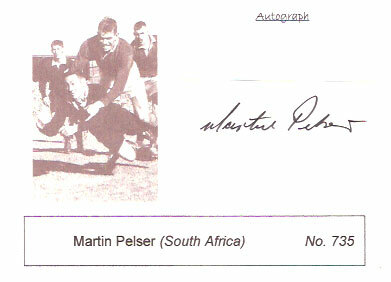 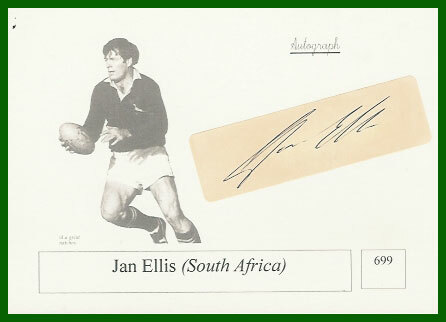 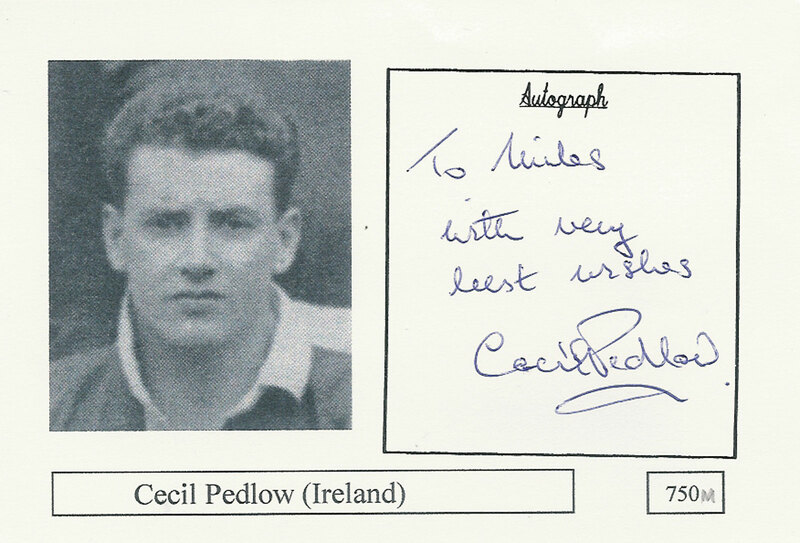 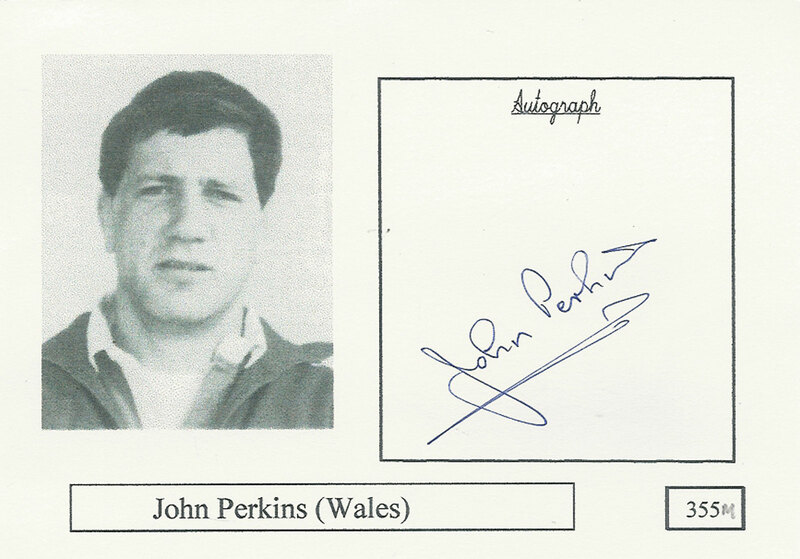 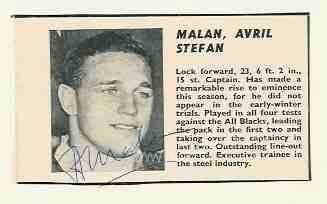 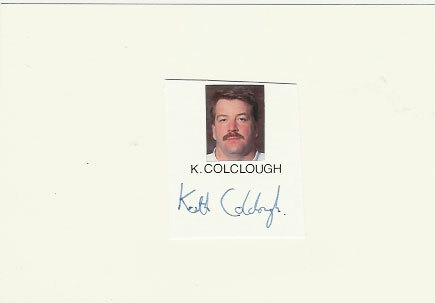 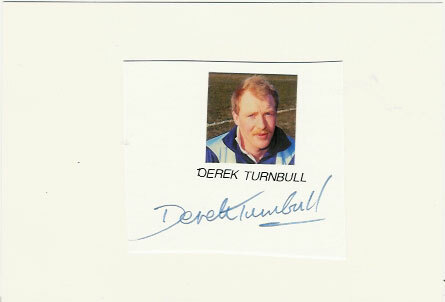 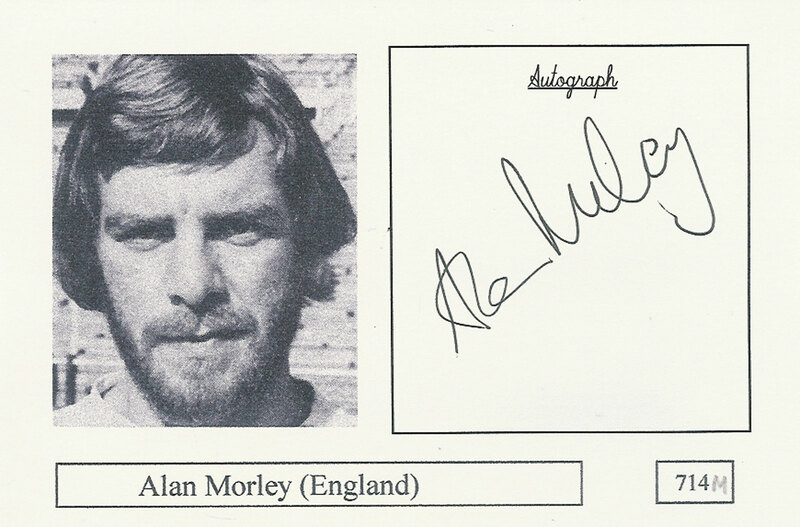 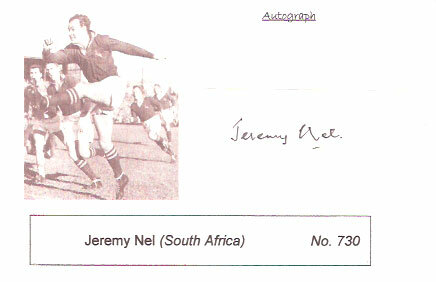 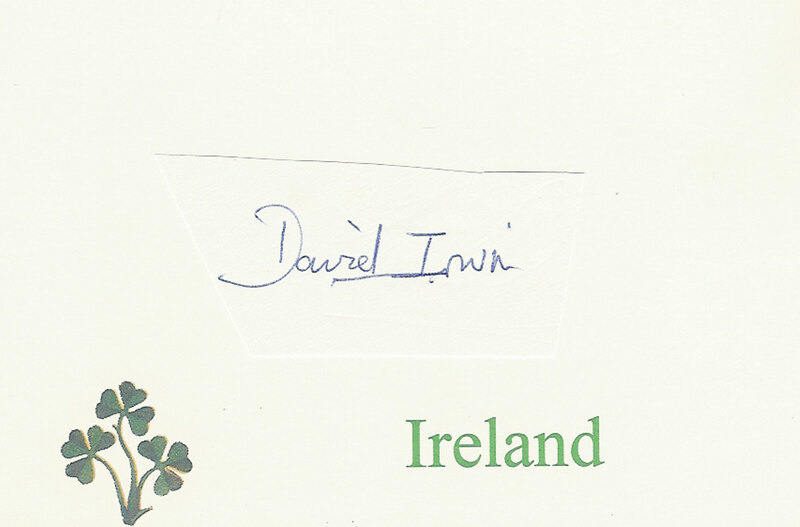 ips clipped = autograph across photo or name cut from programme or magazine added to an A6 (postcard sized card).